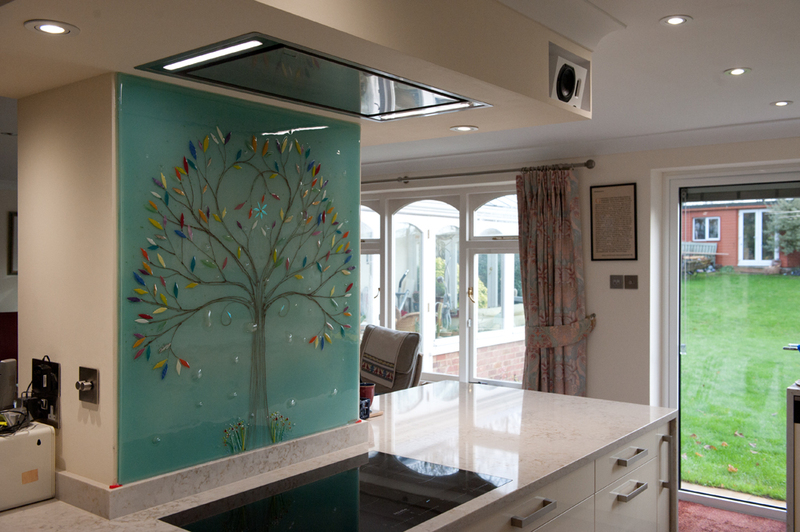 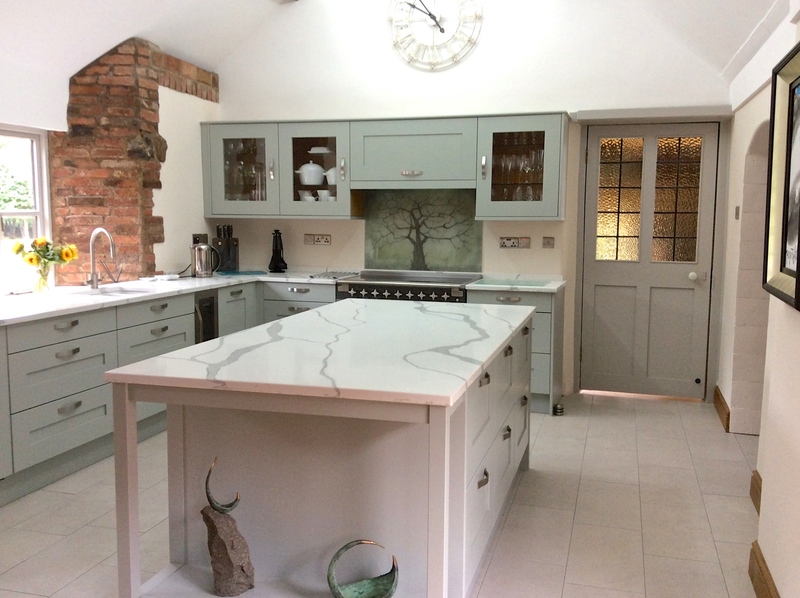 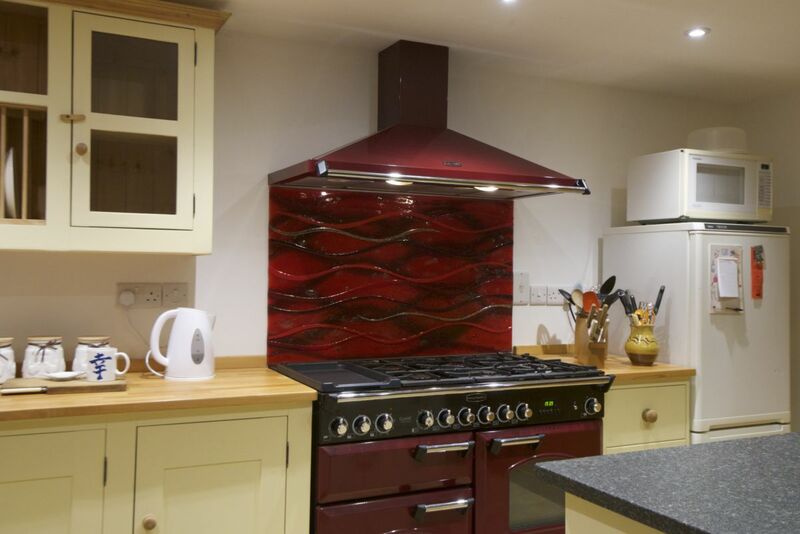 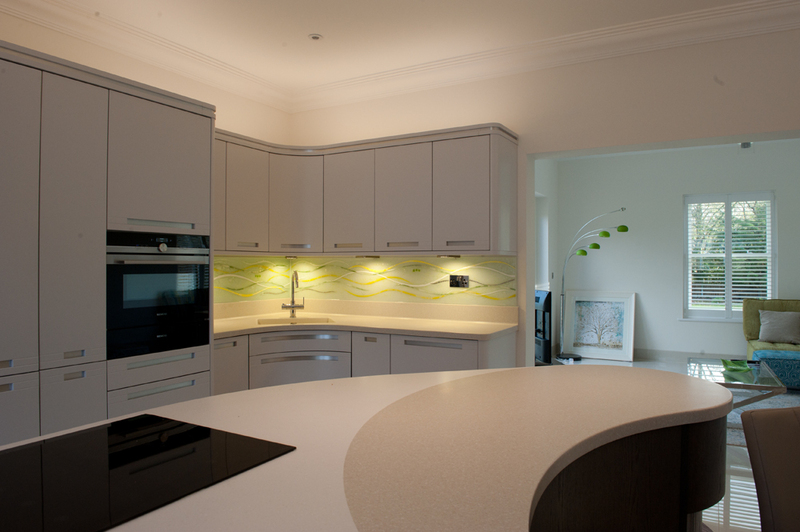 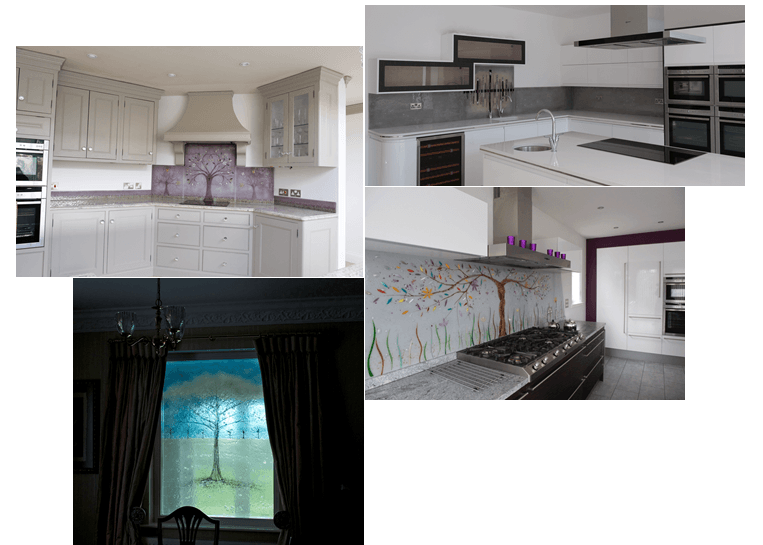 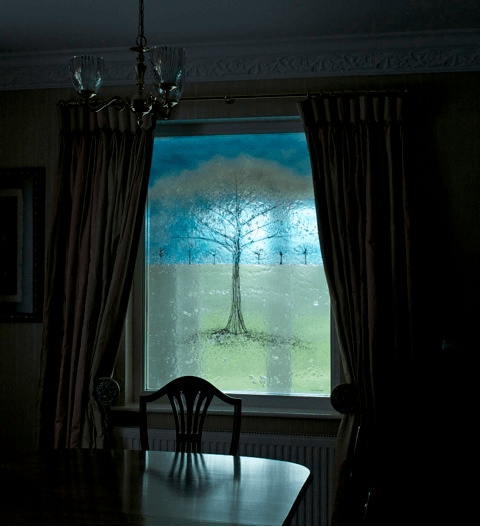 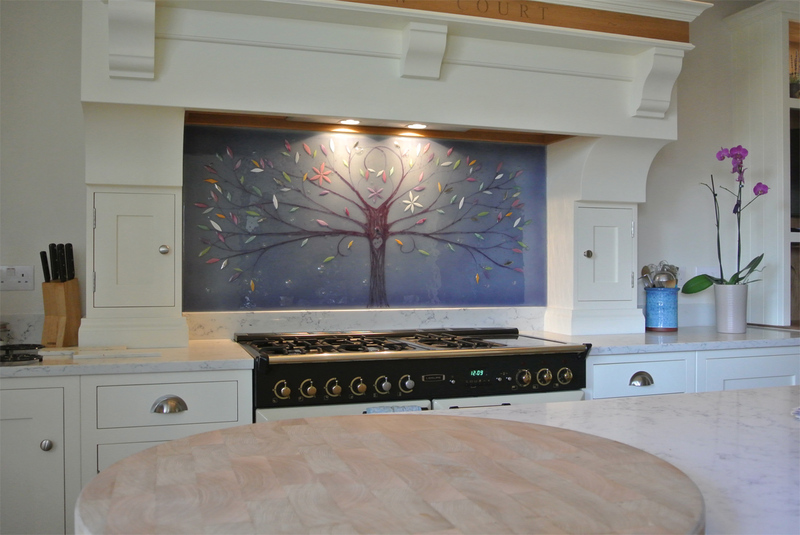 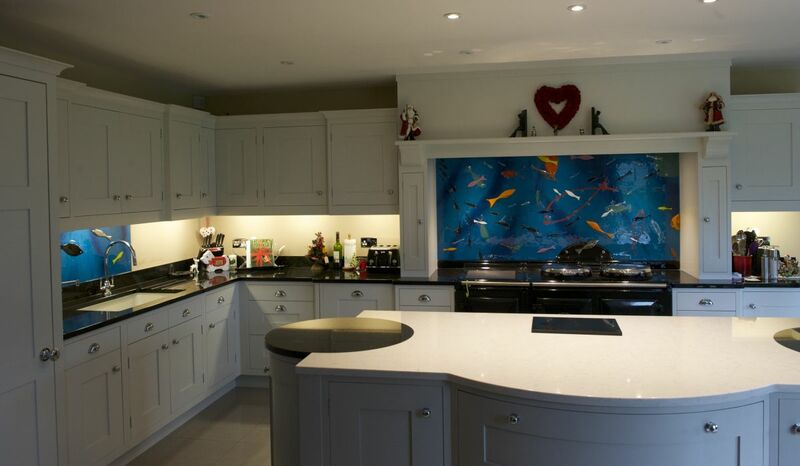 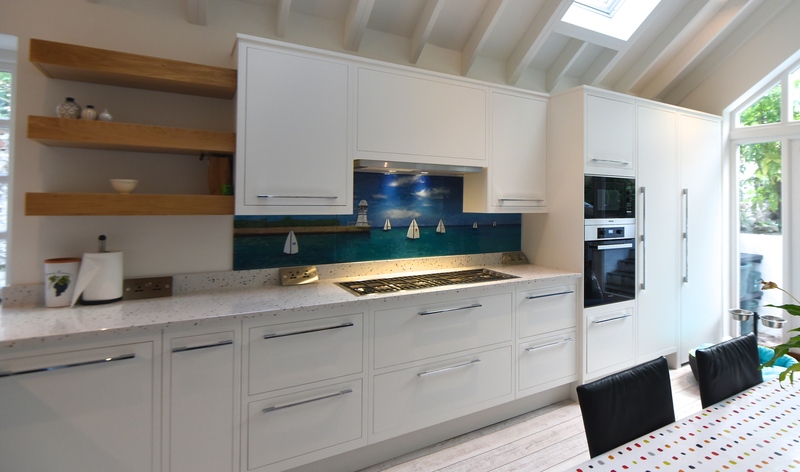 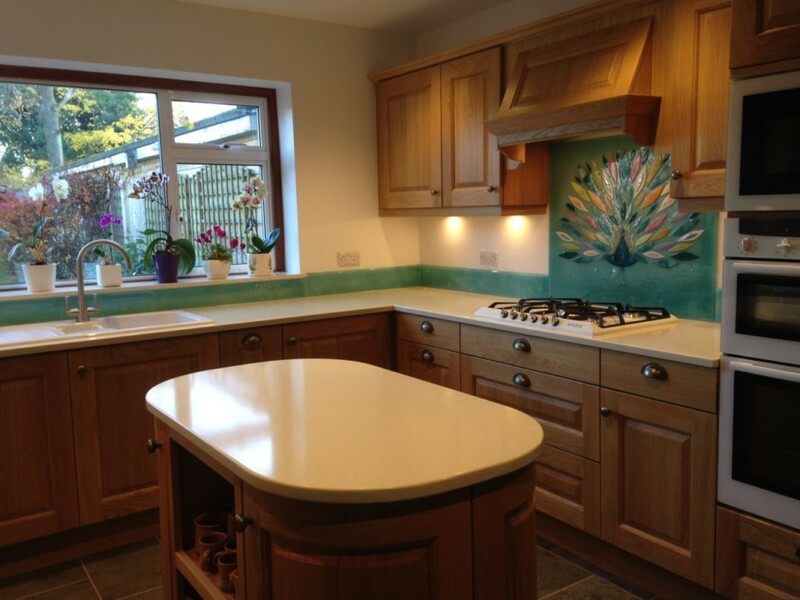 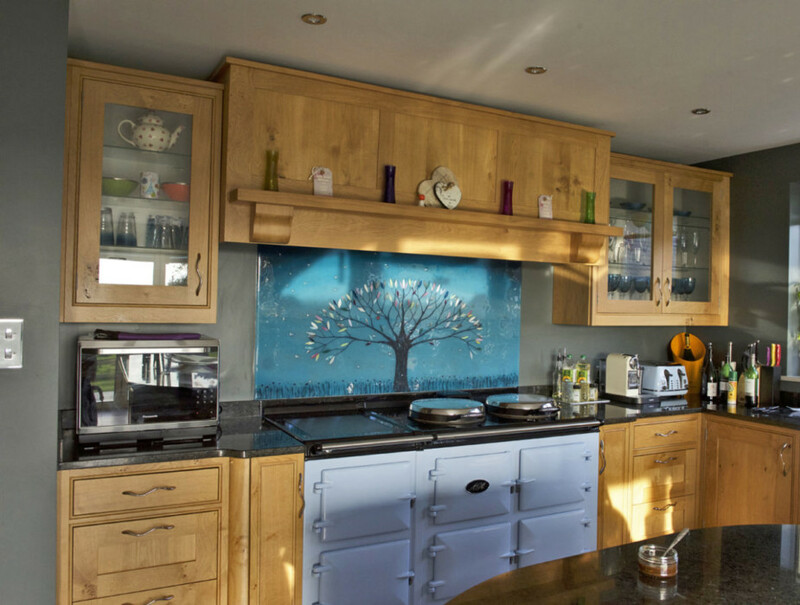 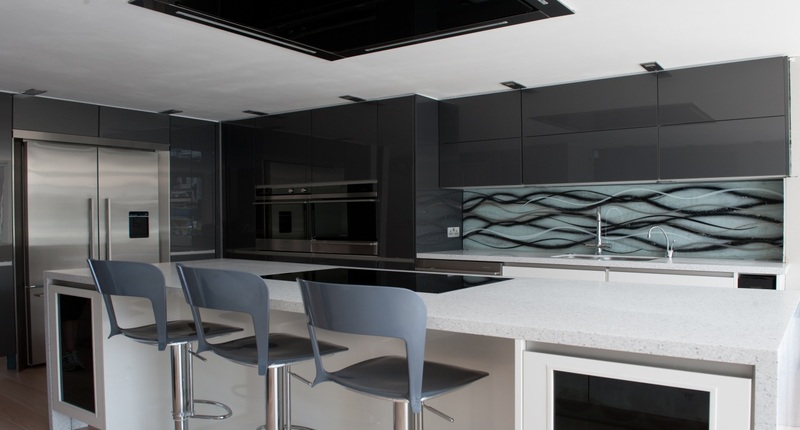 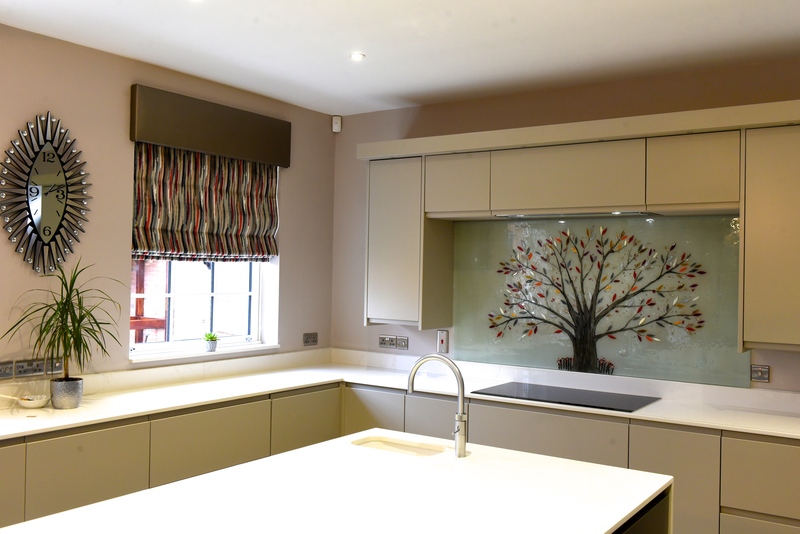 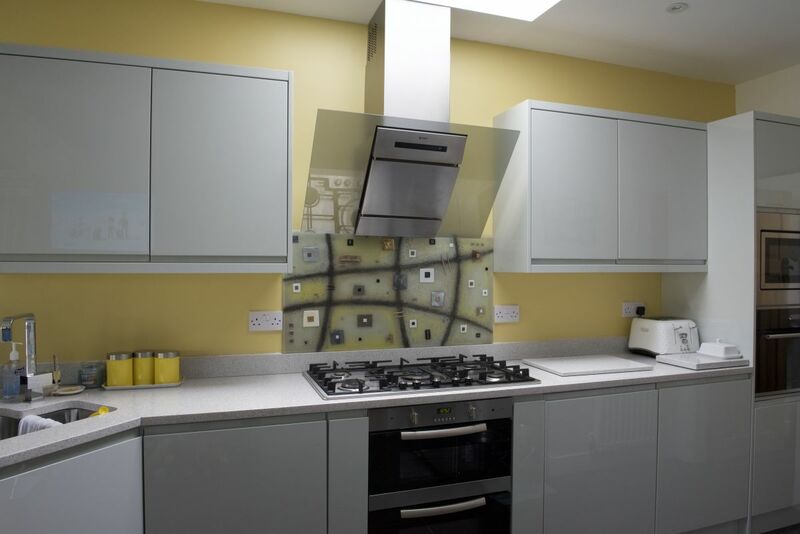 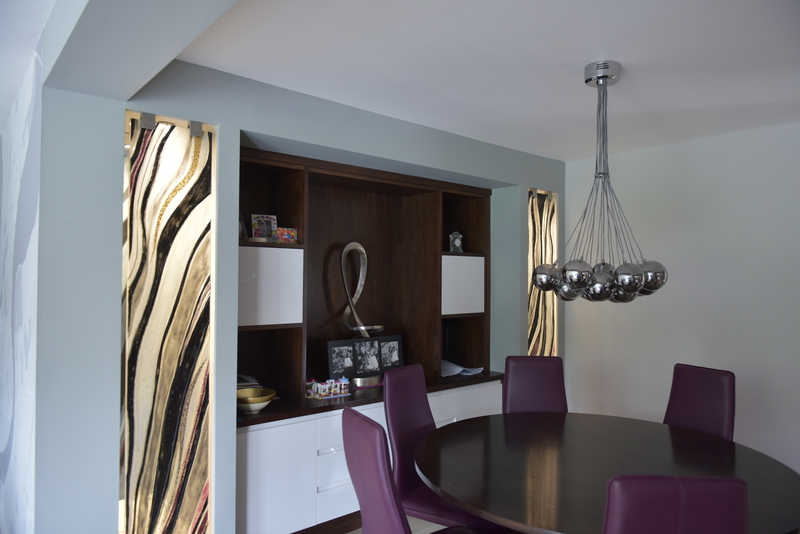 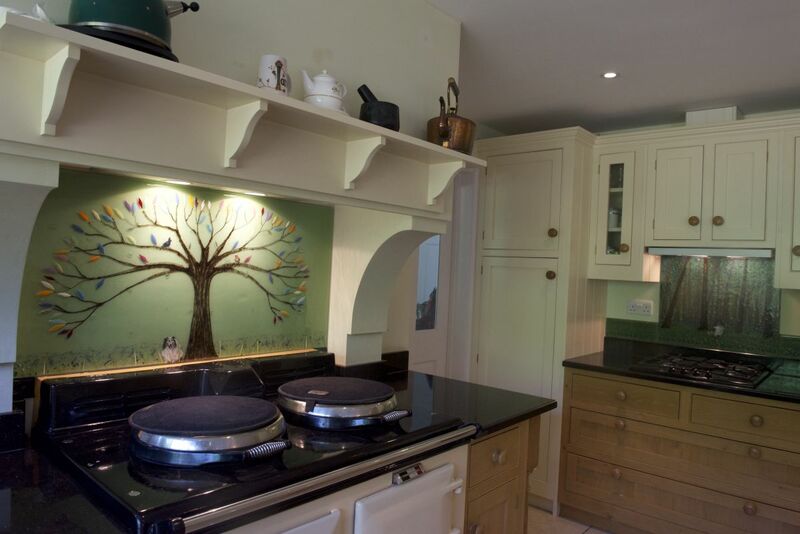 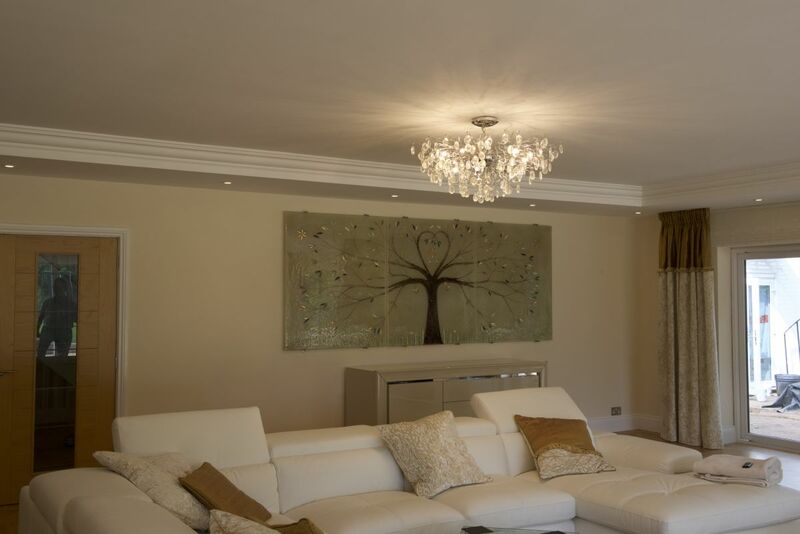 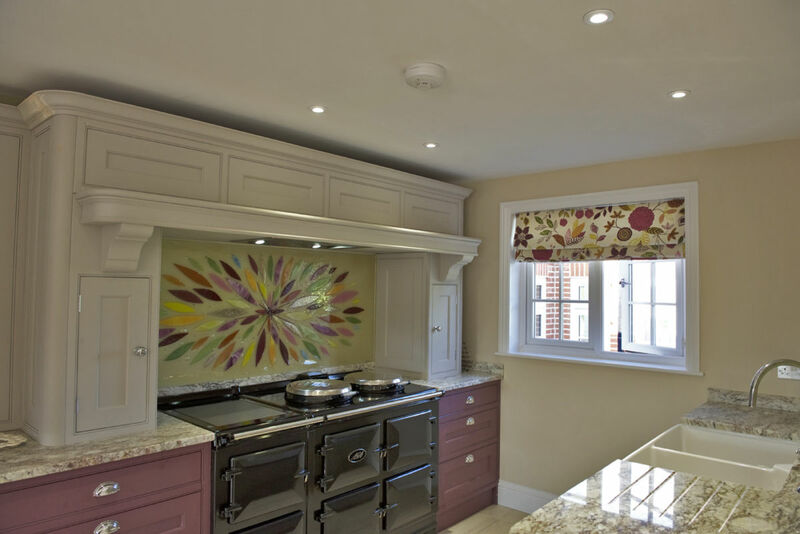 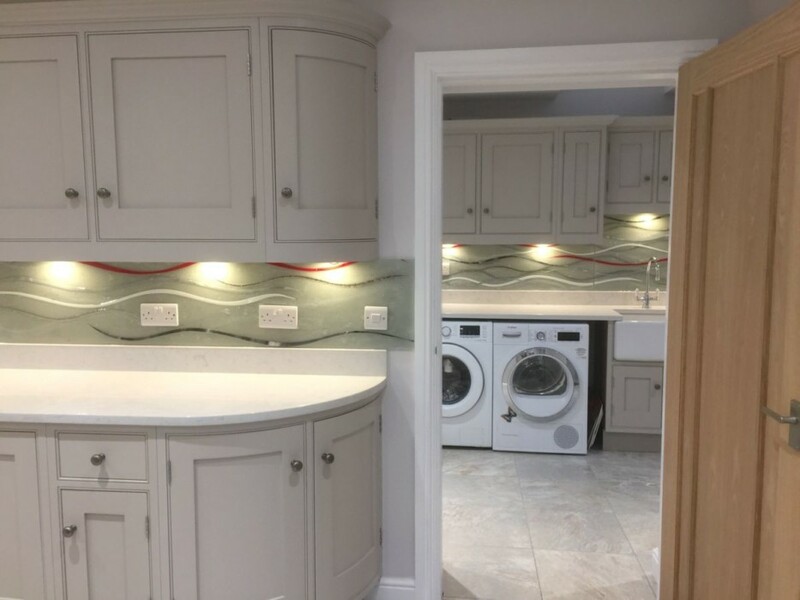 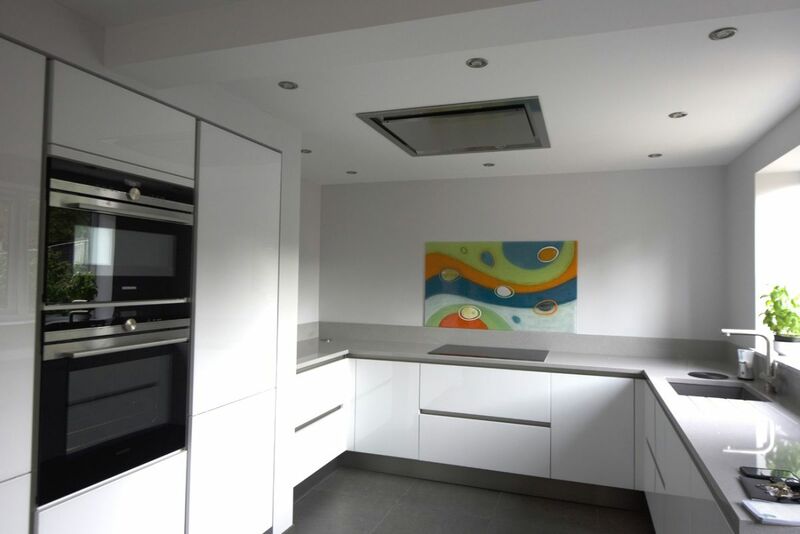 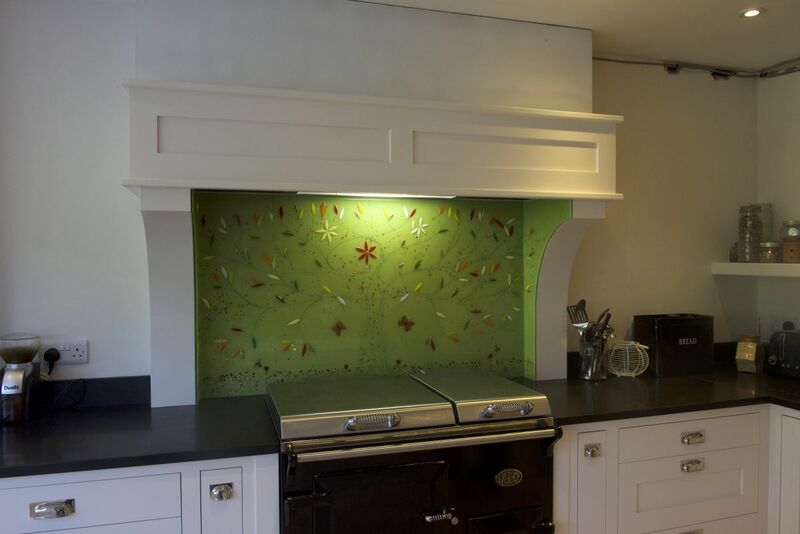 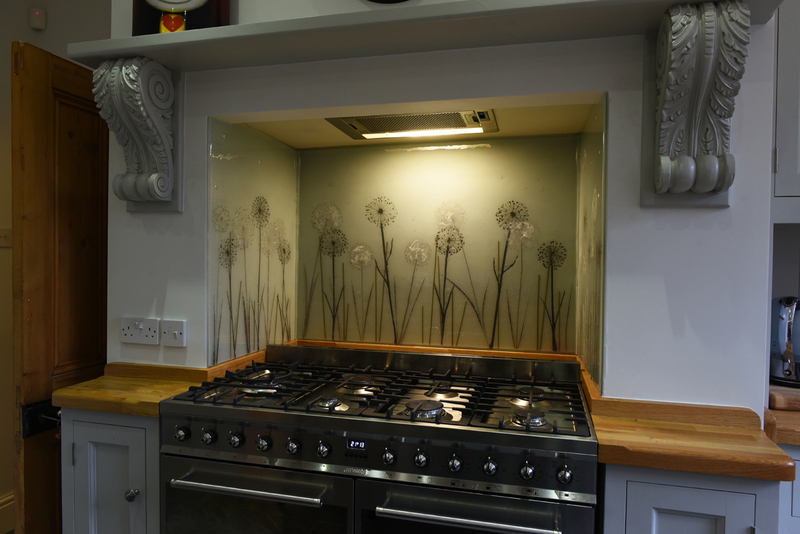 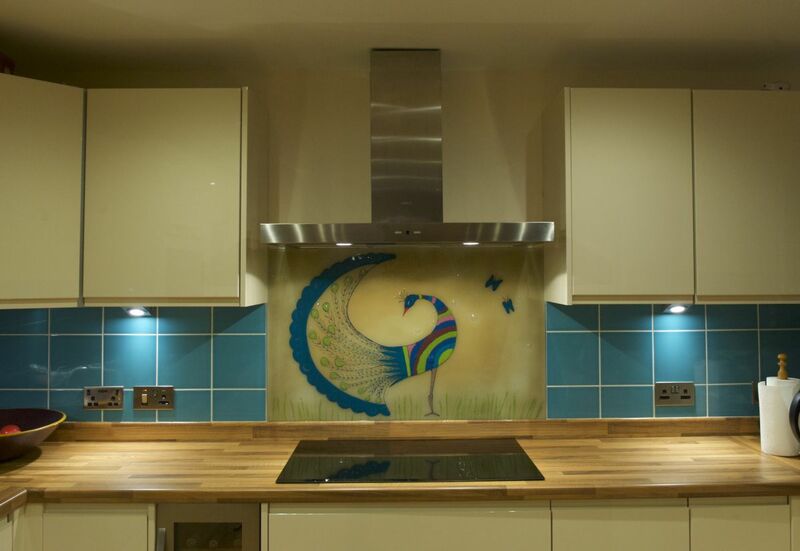 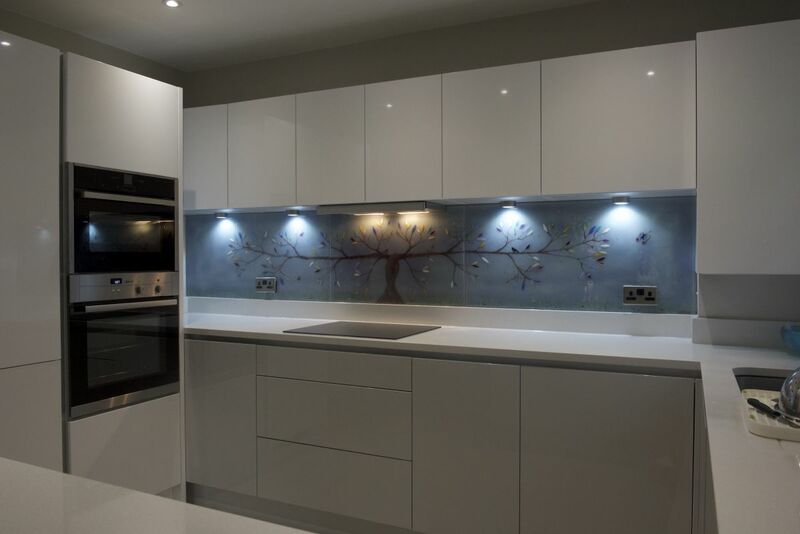 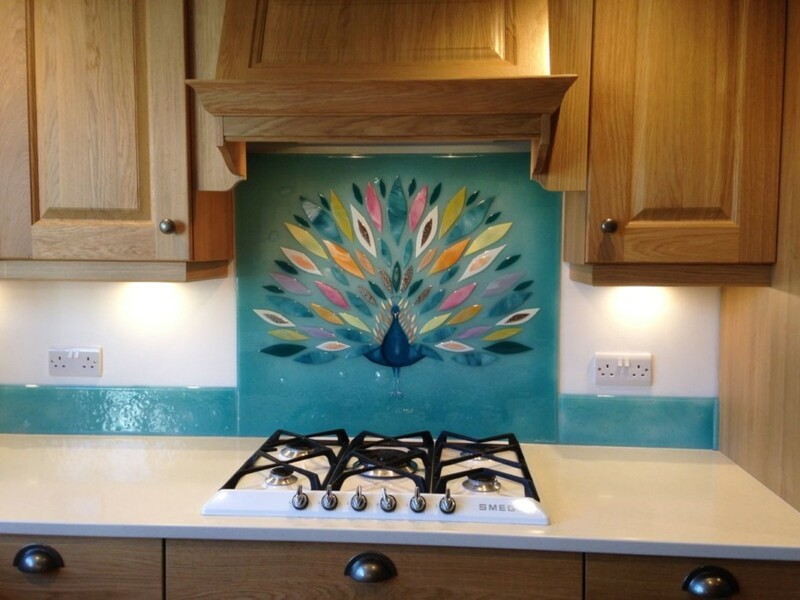 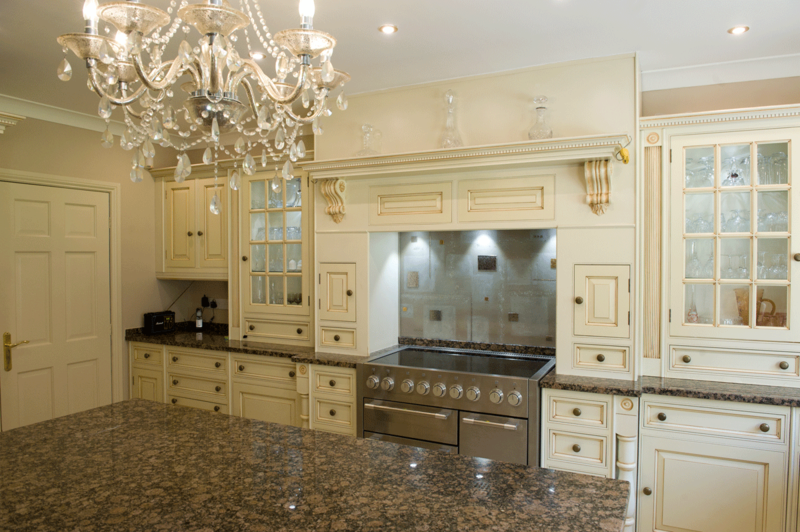 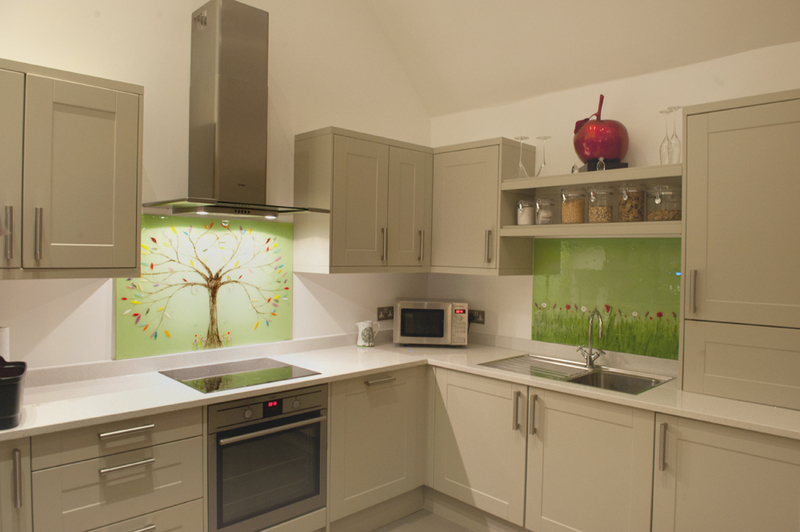 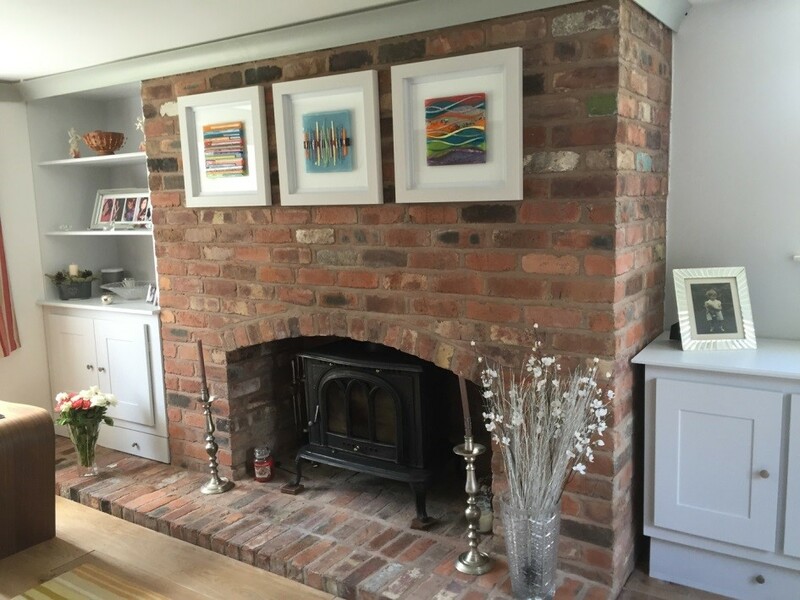 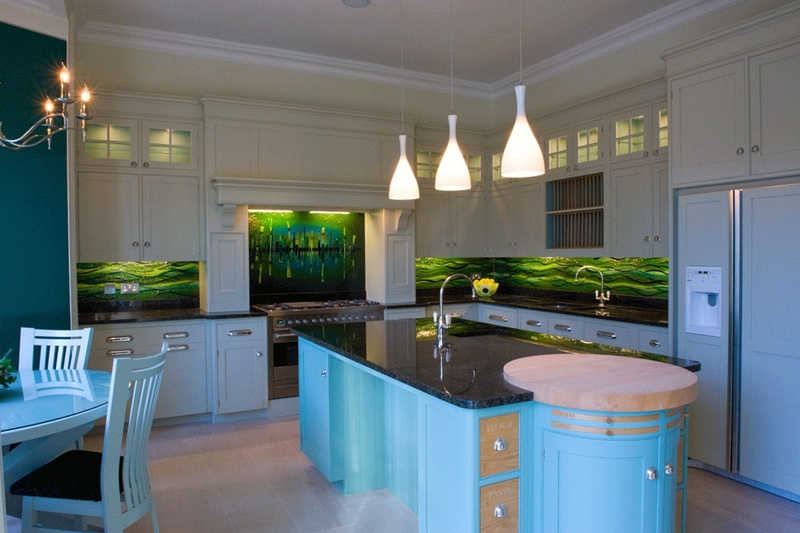 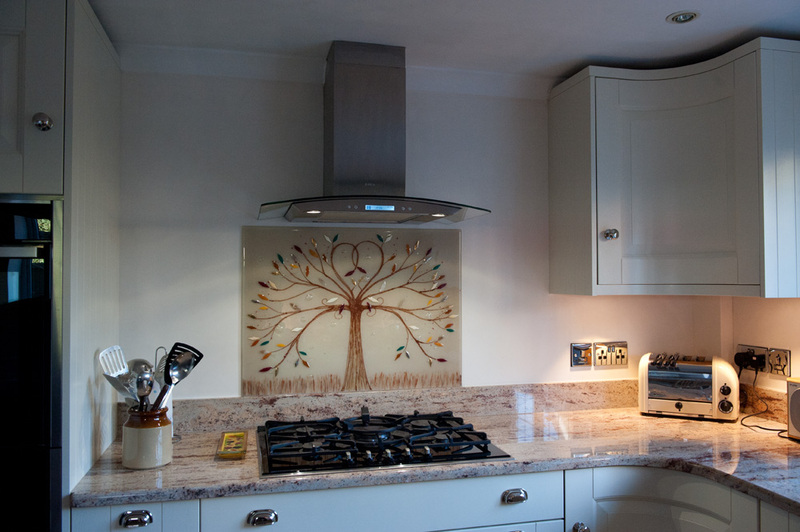 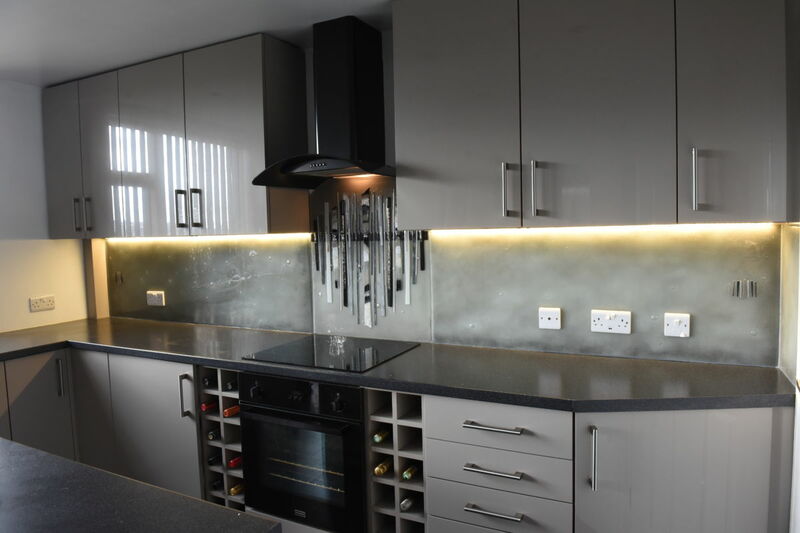 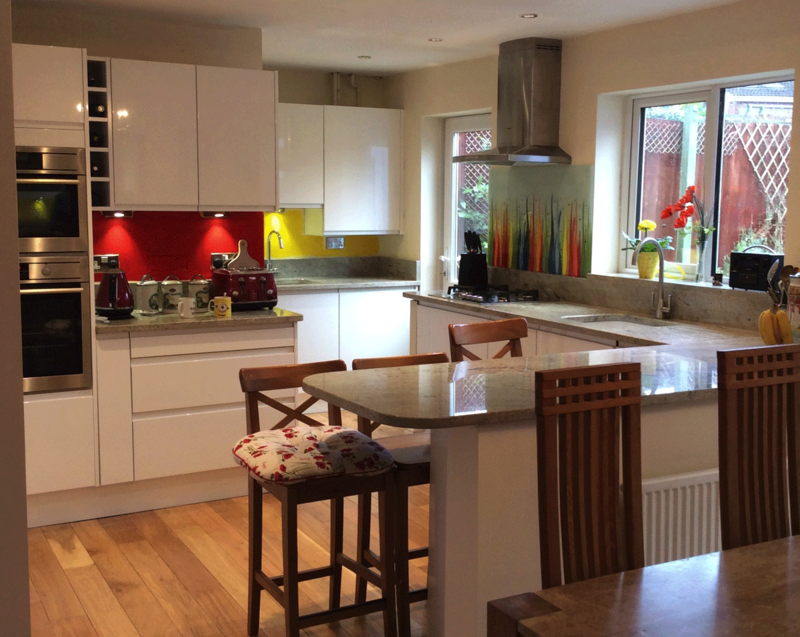 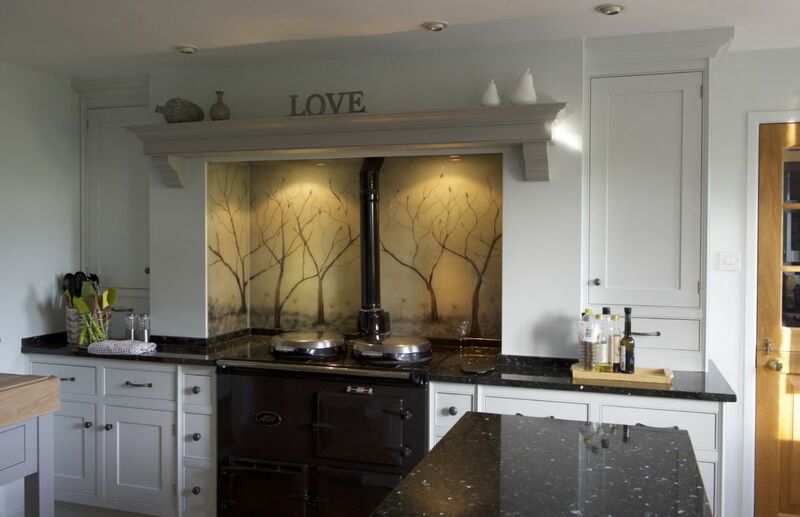 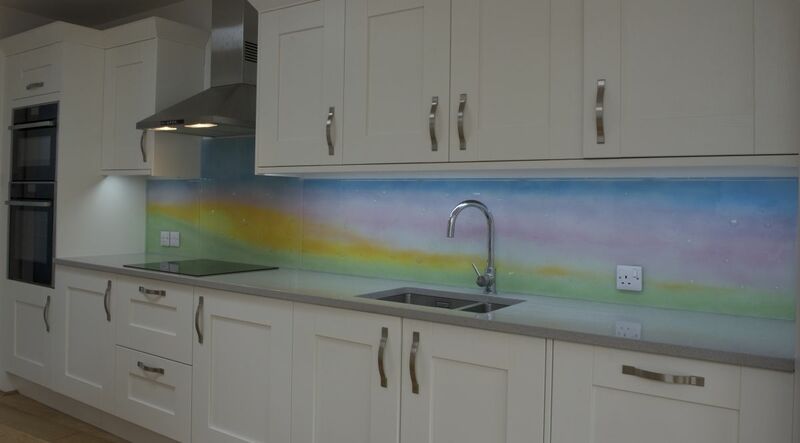 Here’s one of our most recent glass splashbacks, created for a home in High Legh, Cheshire. 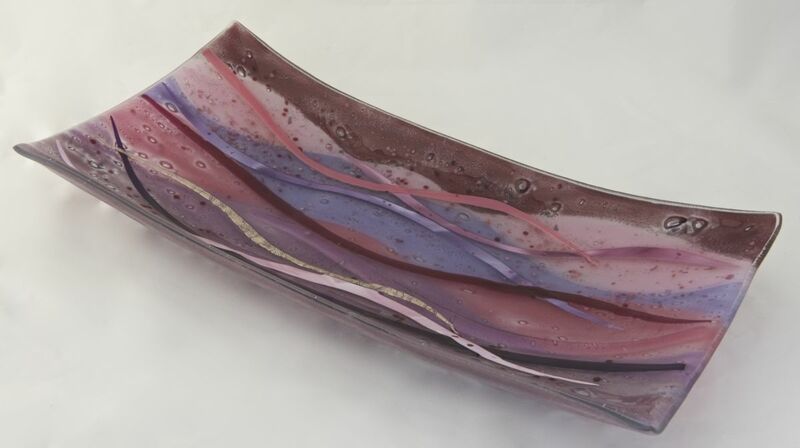 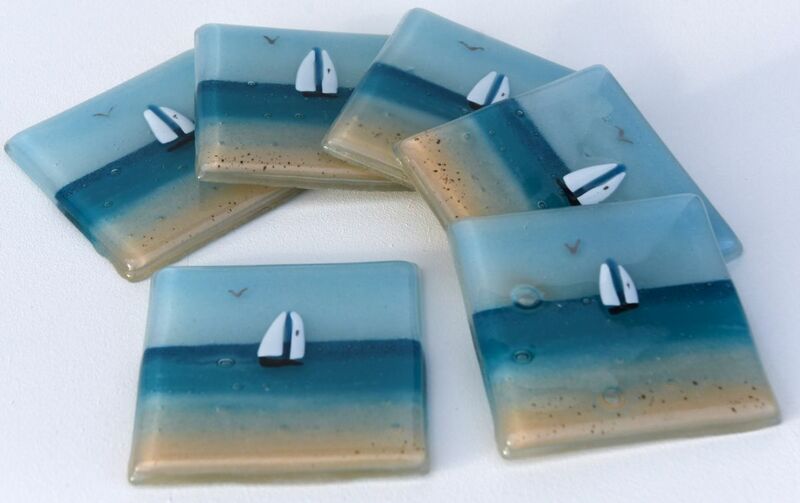 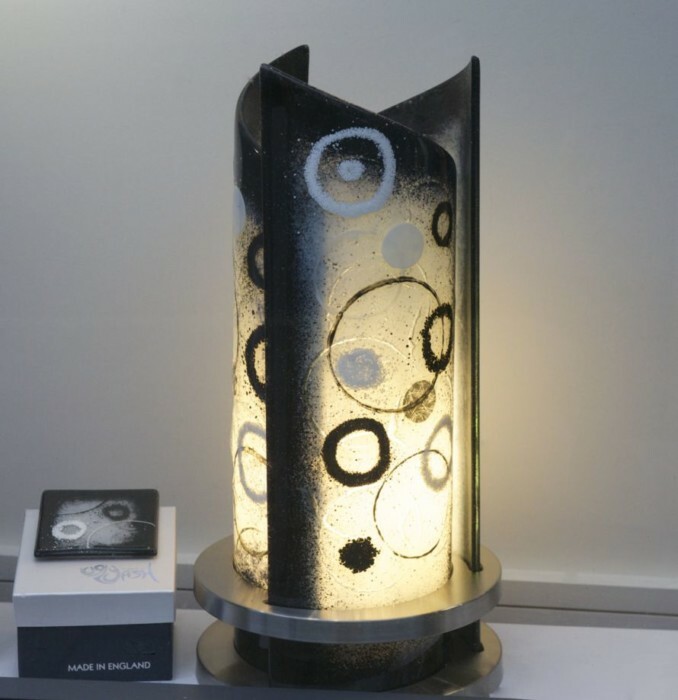 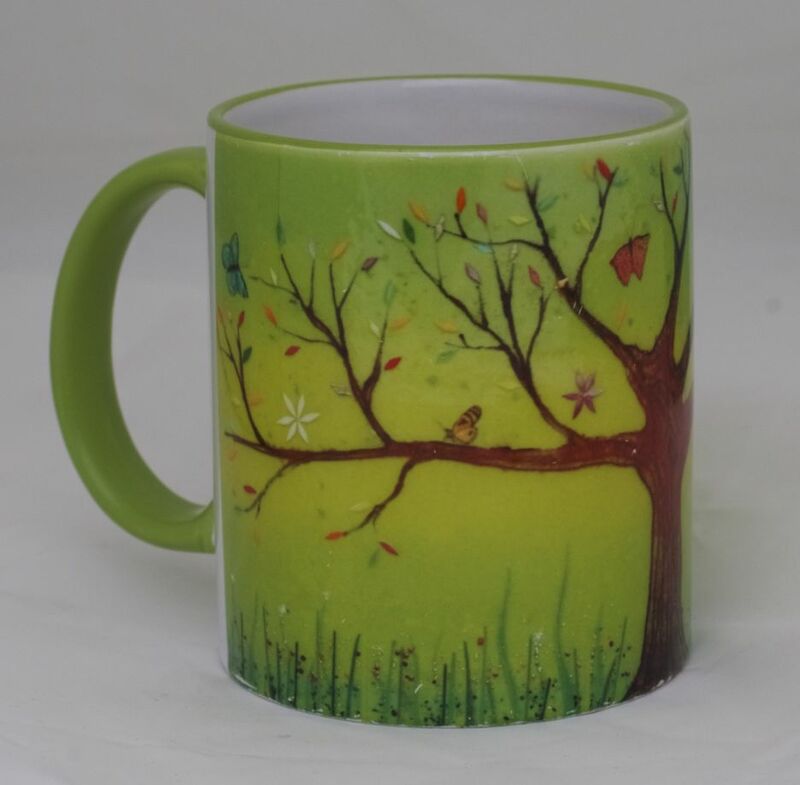 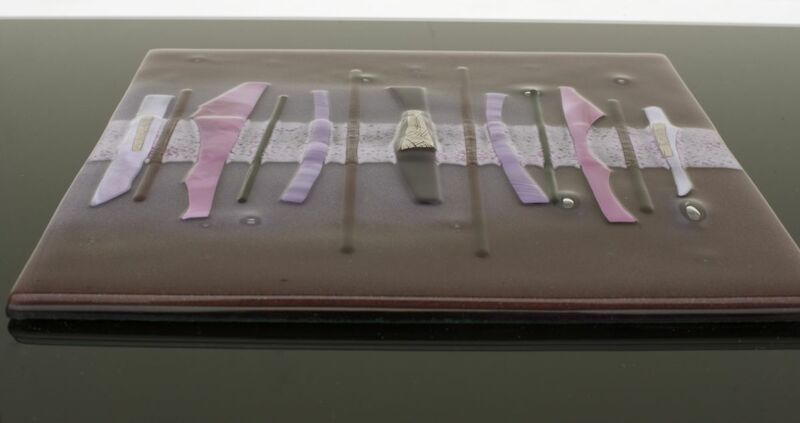 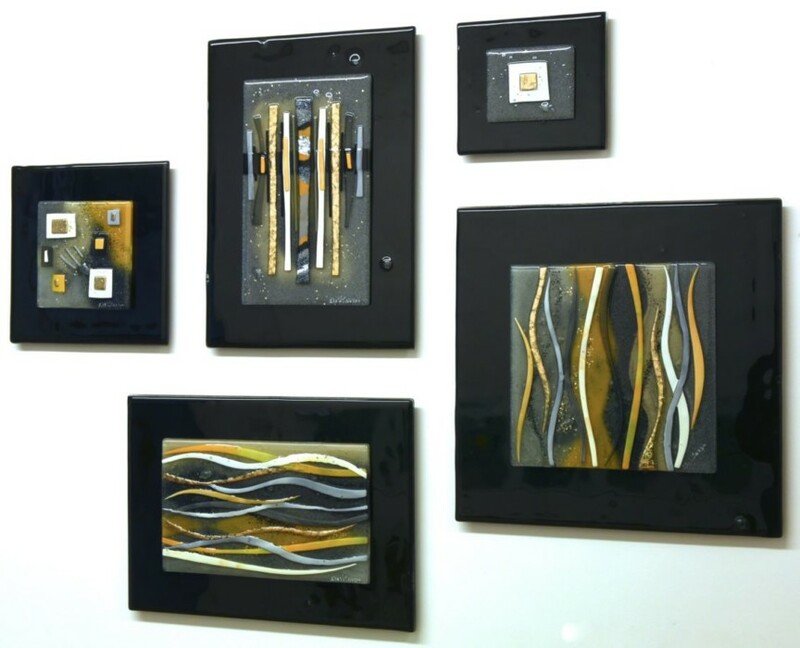 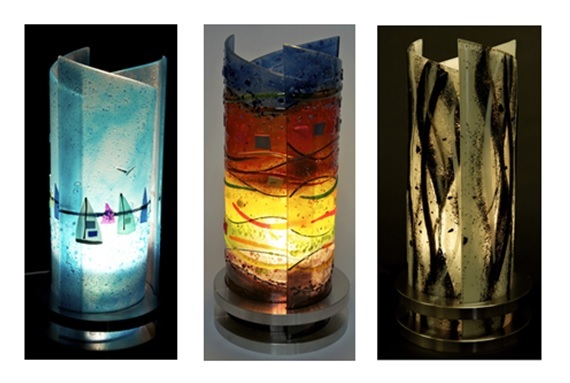 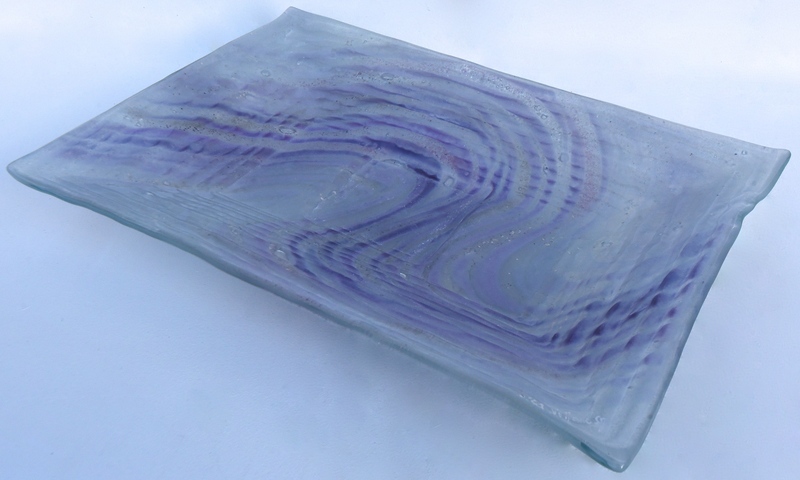 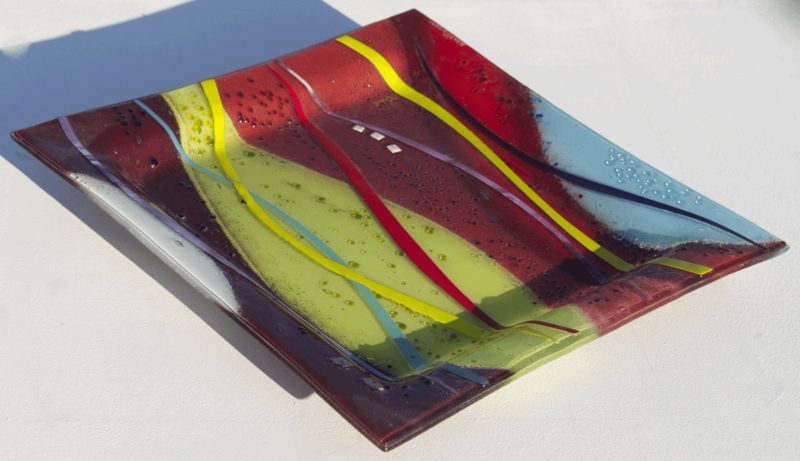 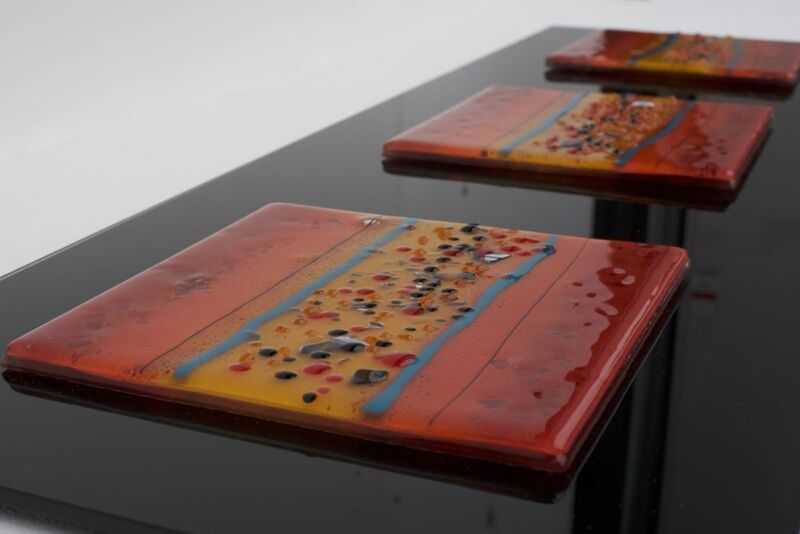 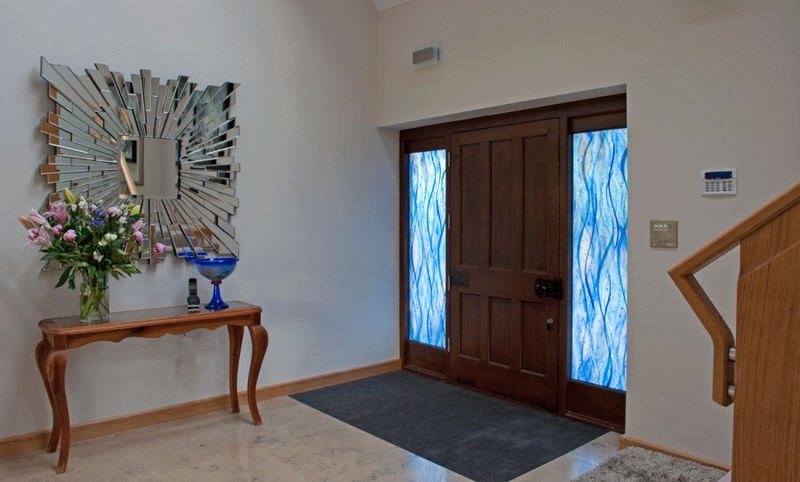 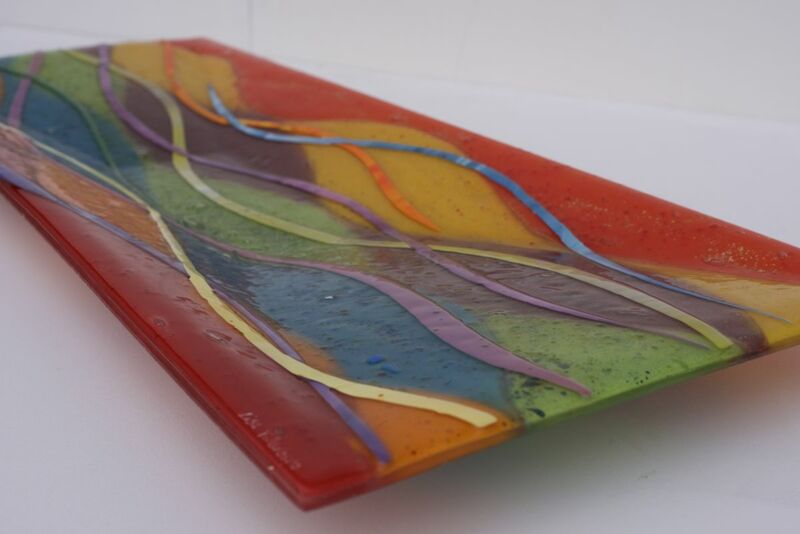 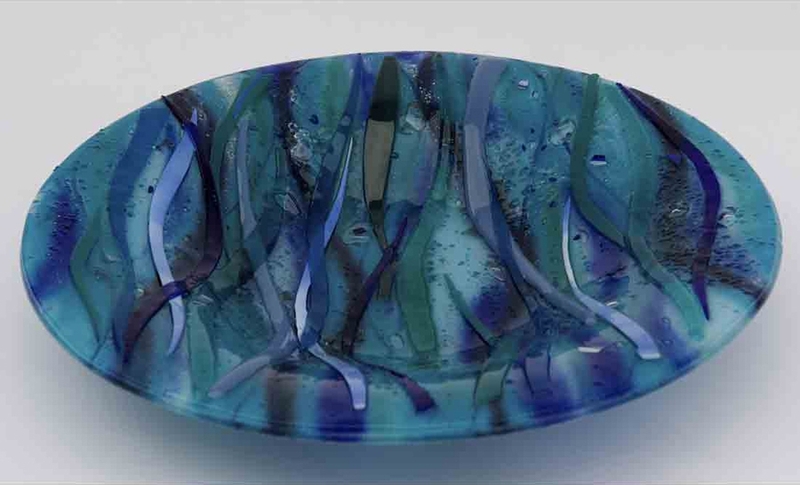 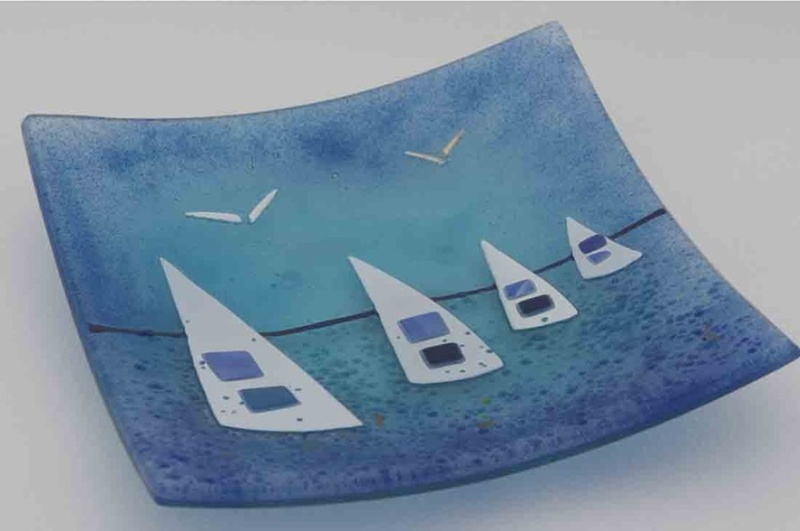 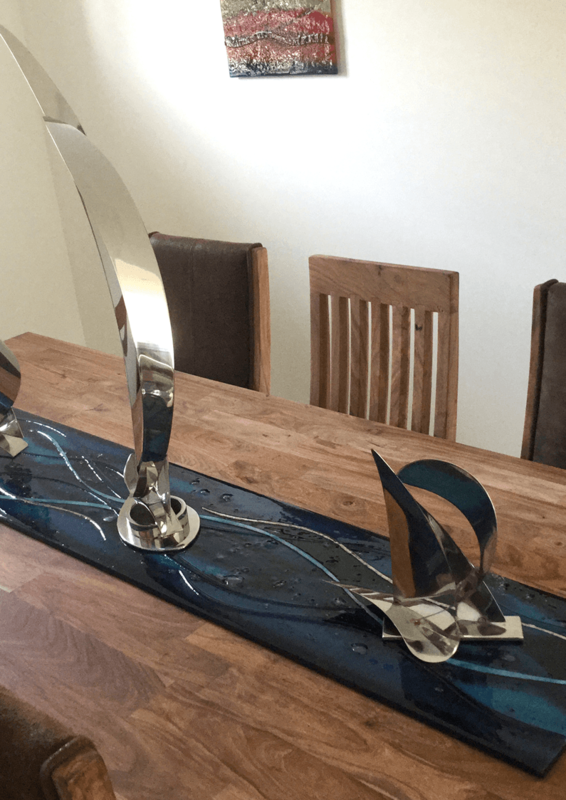 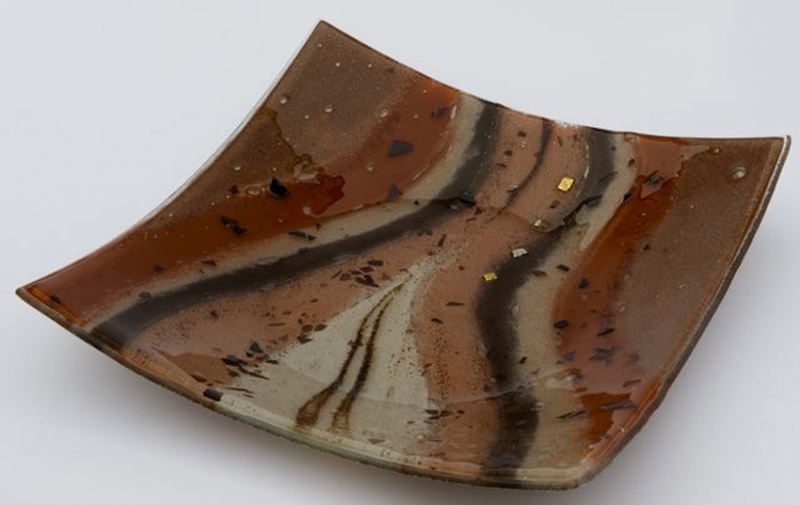 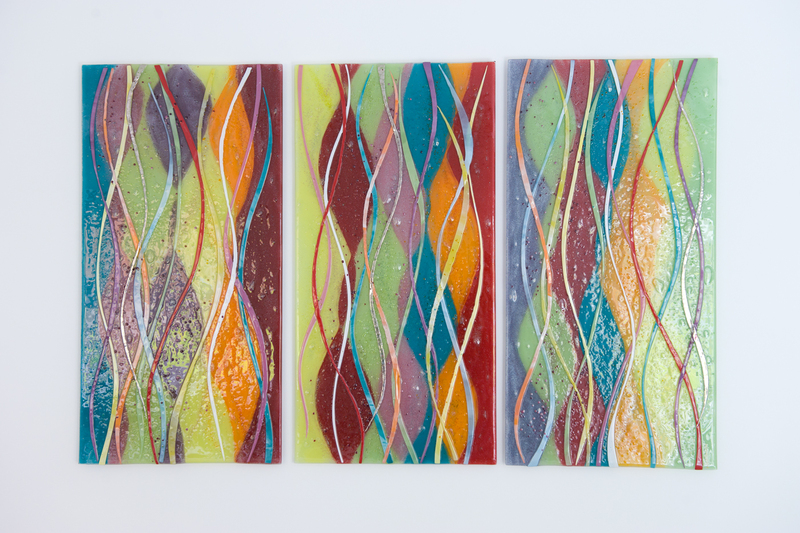 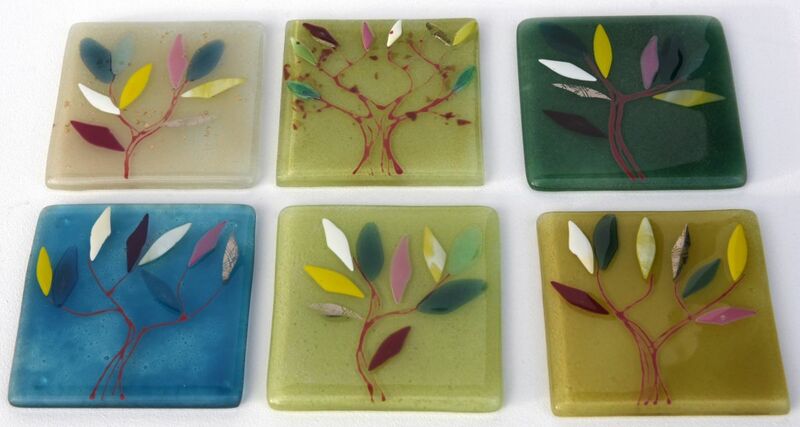 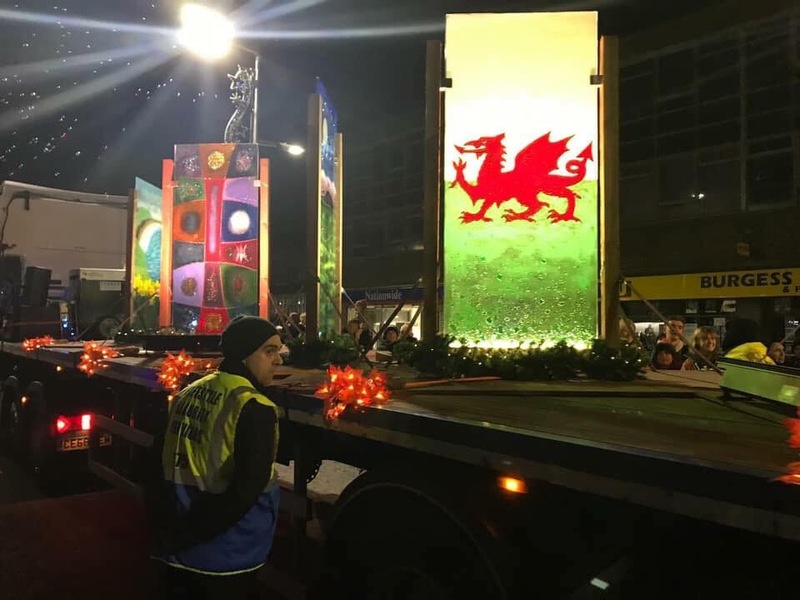 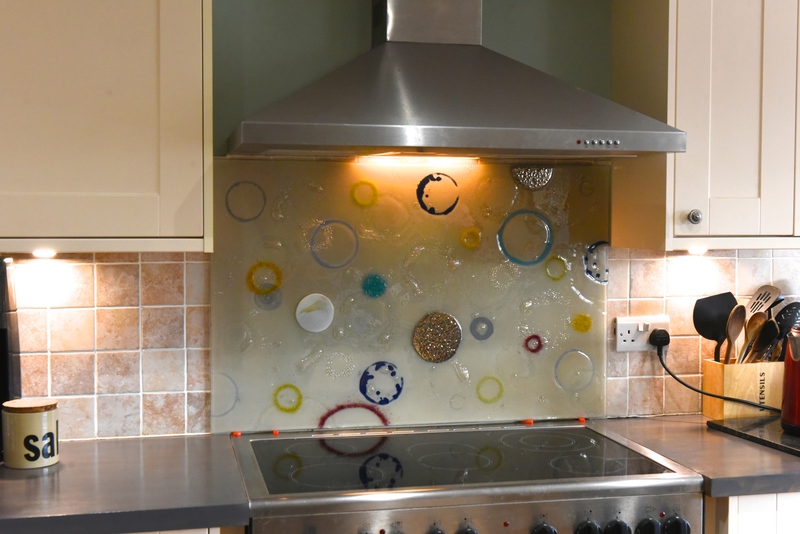 We just had to show it off in today’s blog, as it’s the perfect piece to showcase how much you can do with fused glass when you’re looking to have a less colourful design. 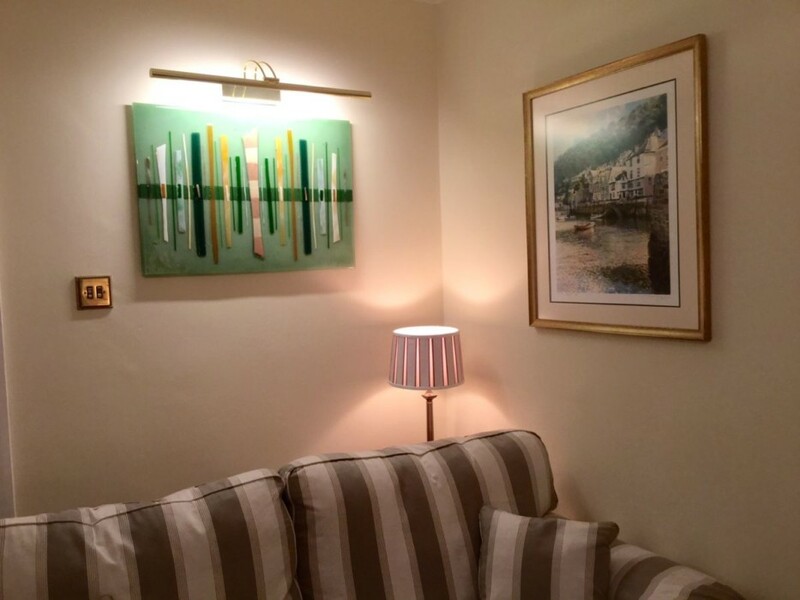 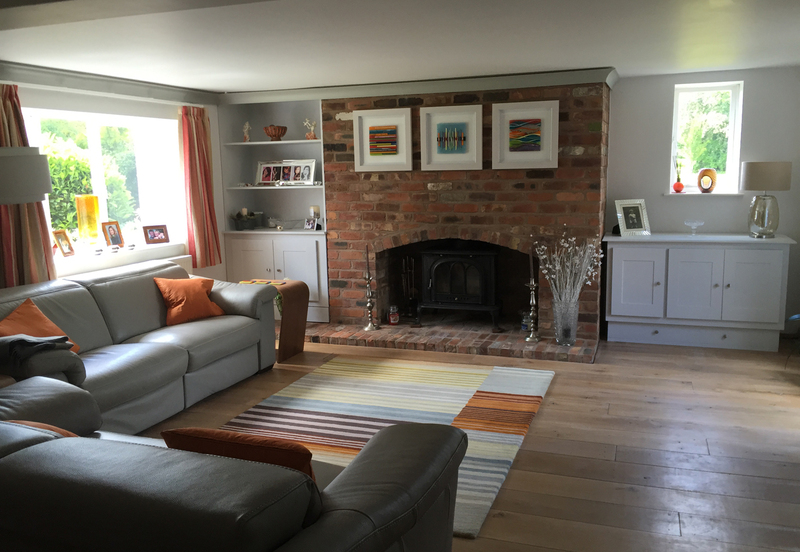 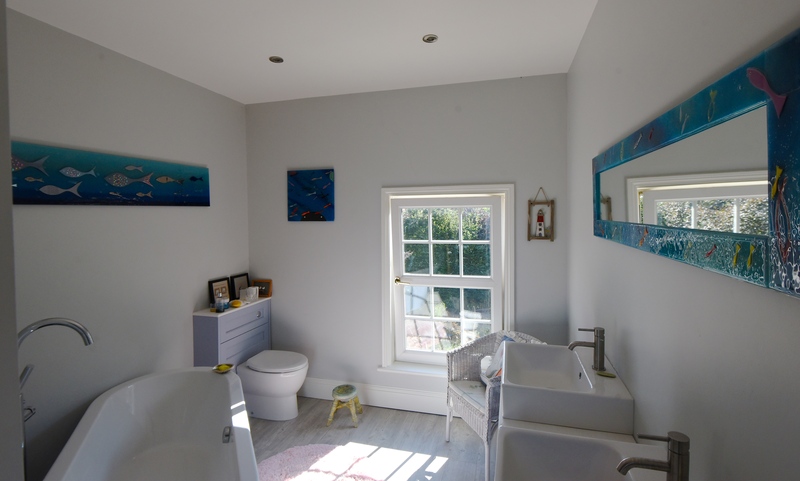 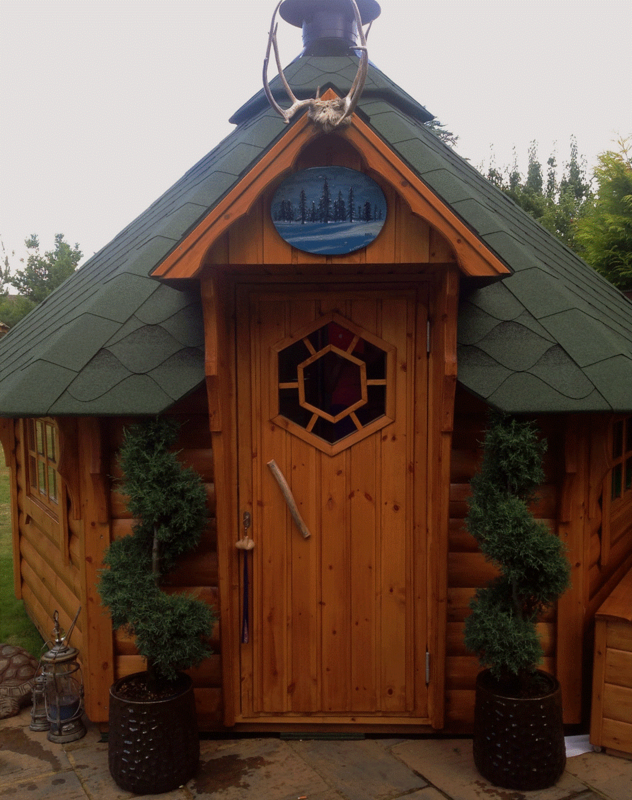 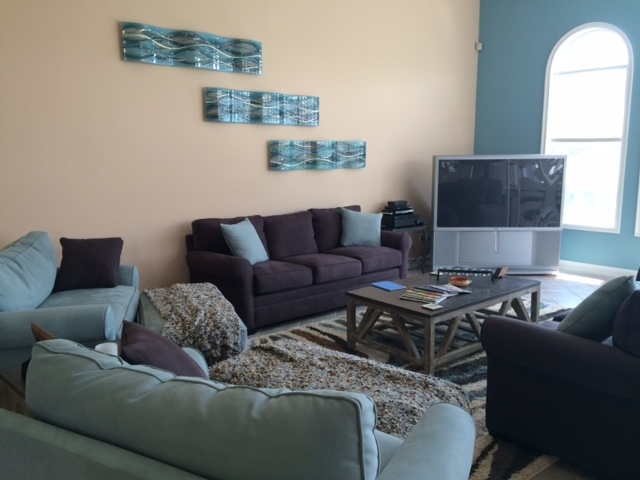 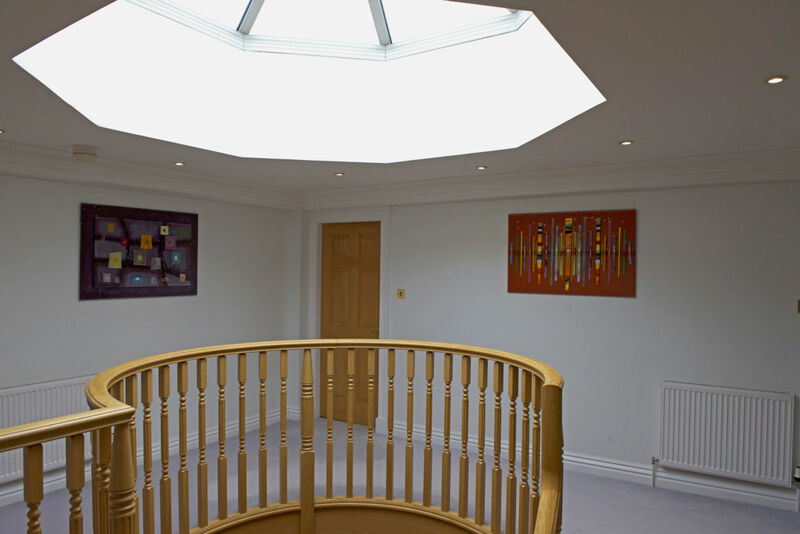 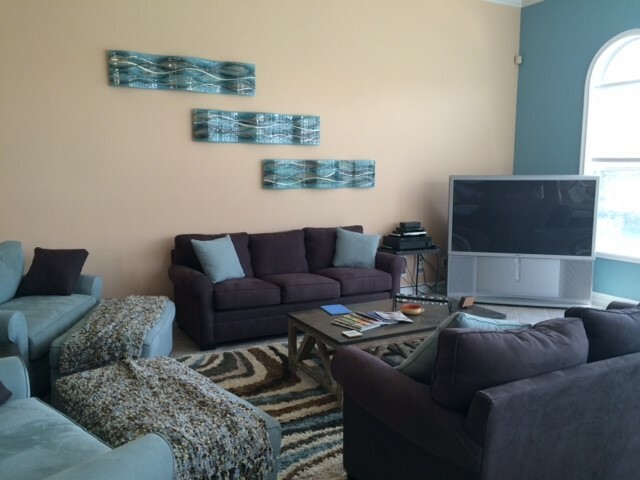 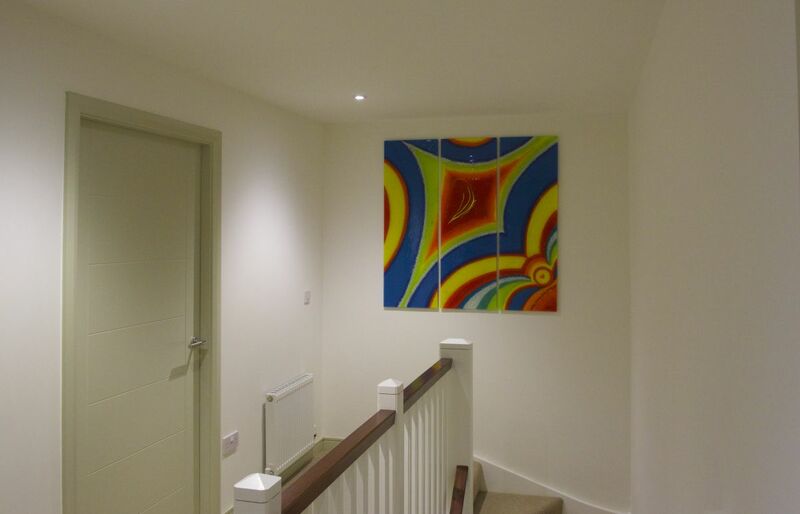 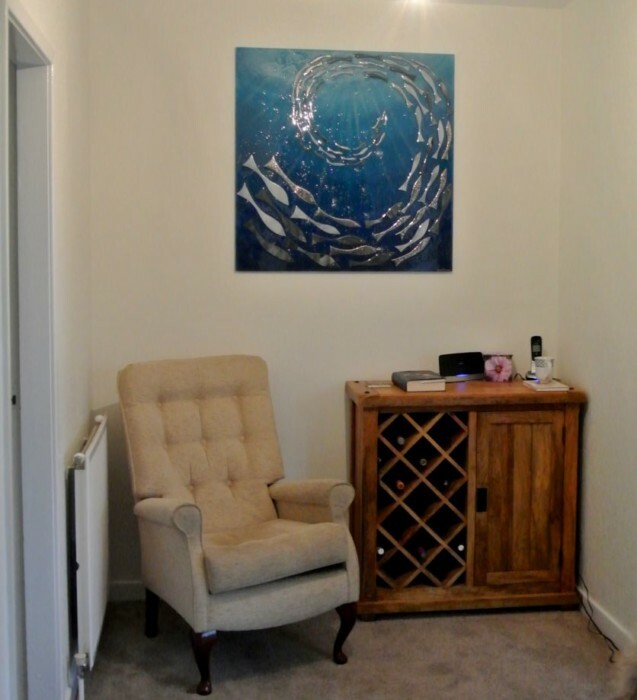 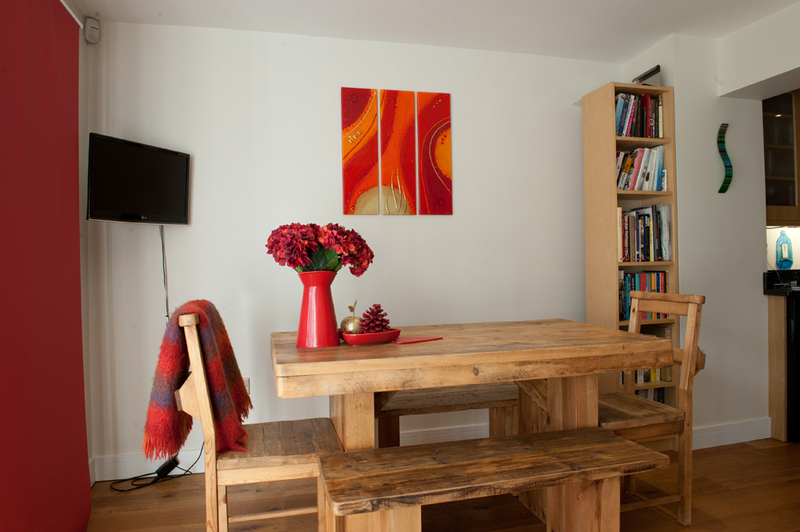 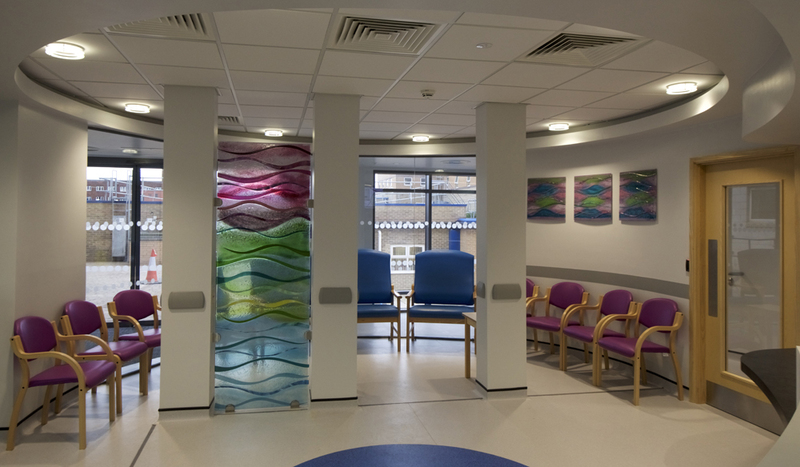 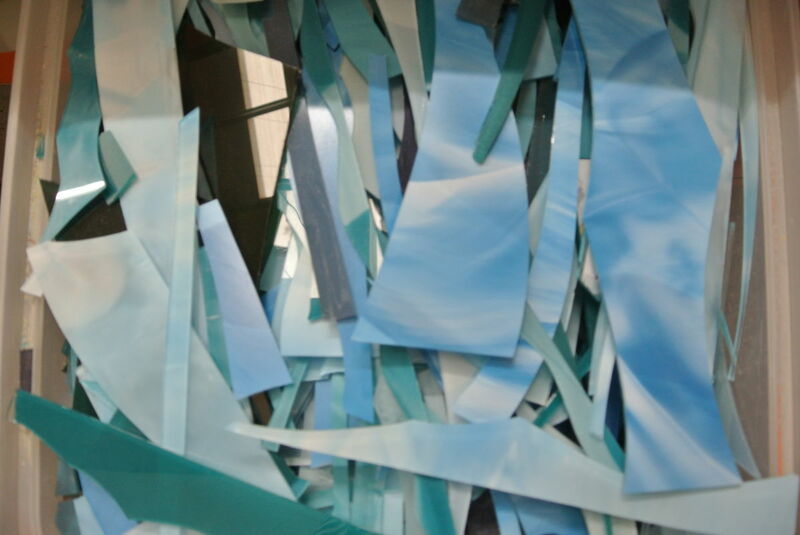 You can see the finished product in situ, pictured above. 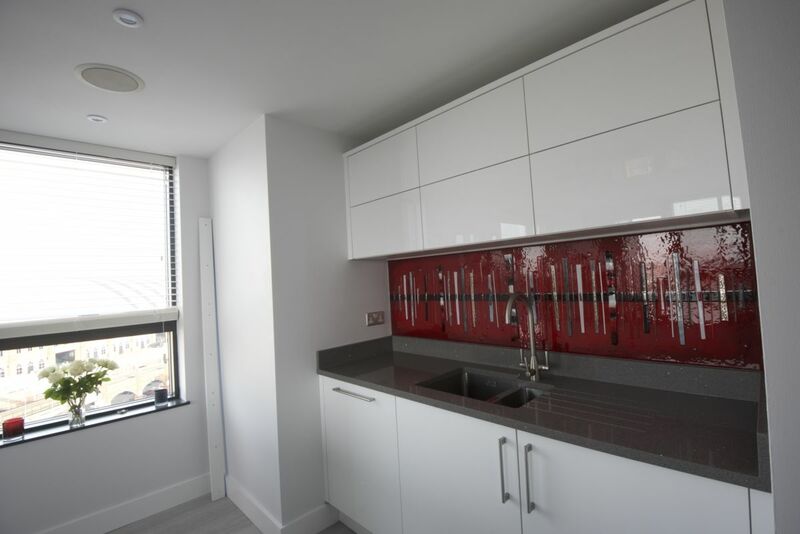 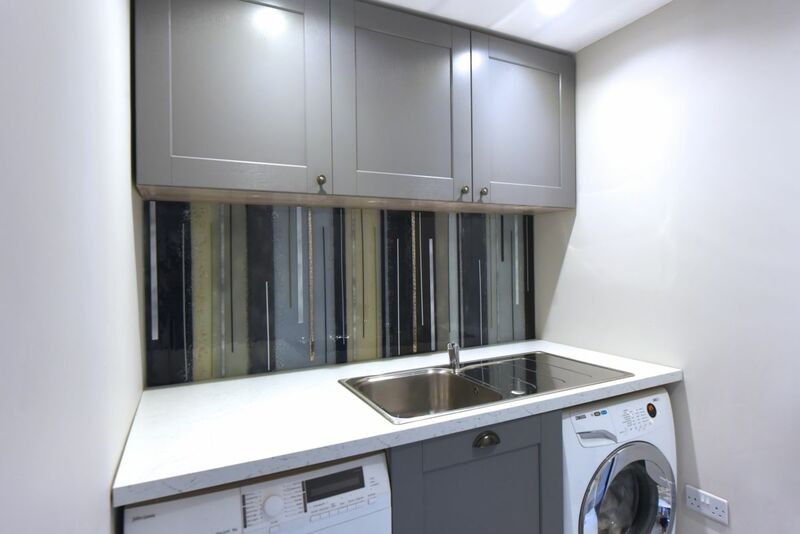 We absolutely love how the utility room has been put together, with the extremely clean lines and modern décor making a huge impact. 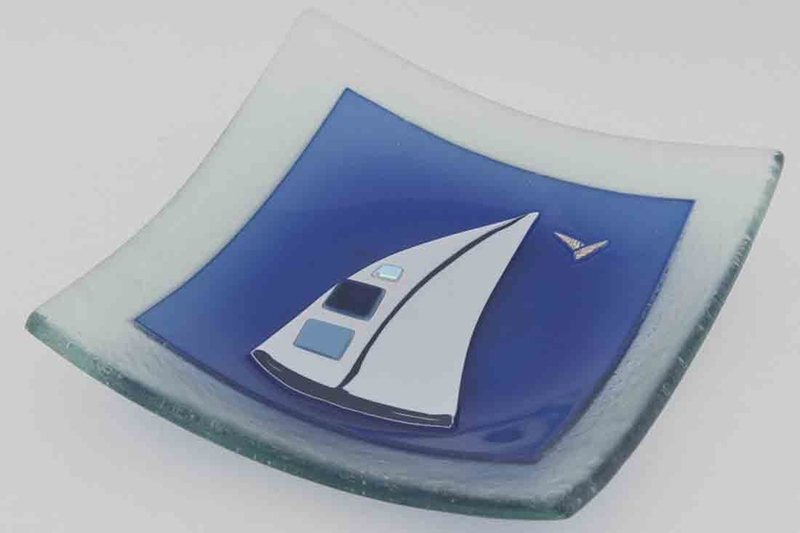 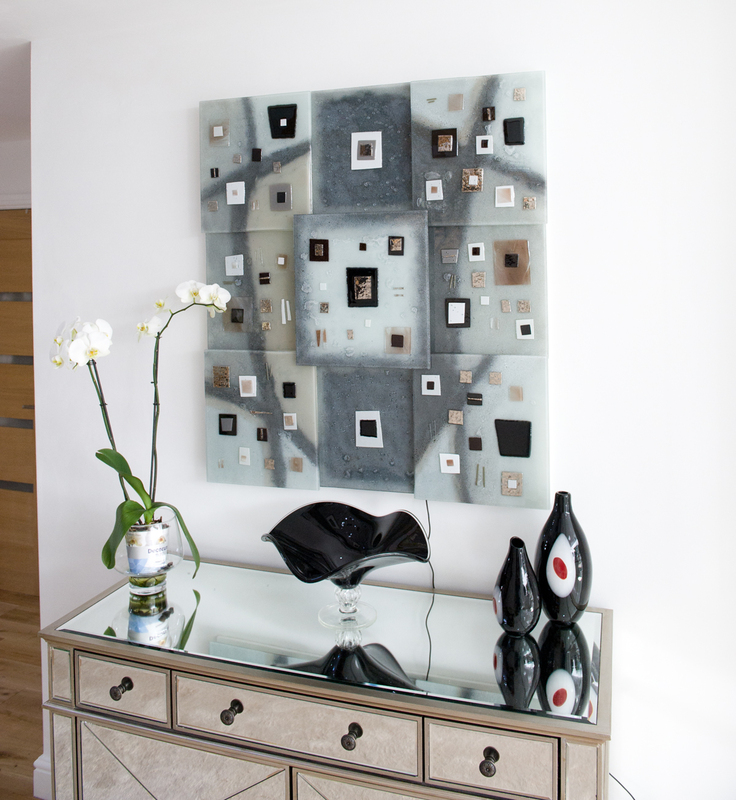 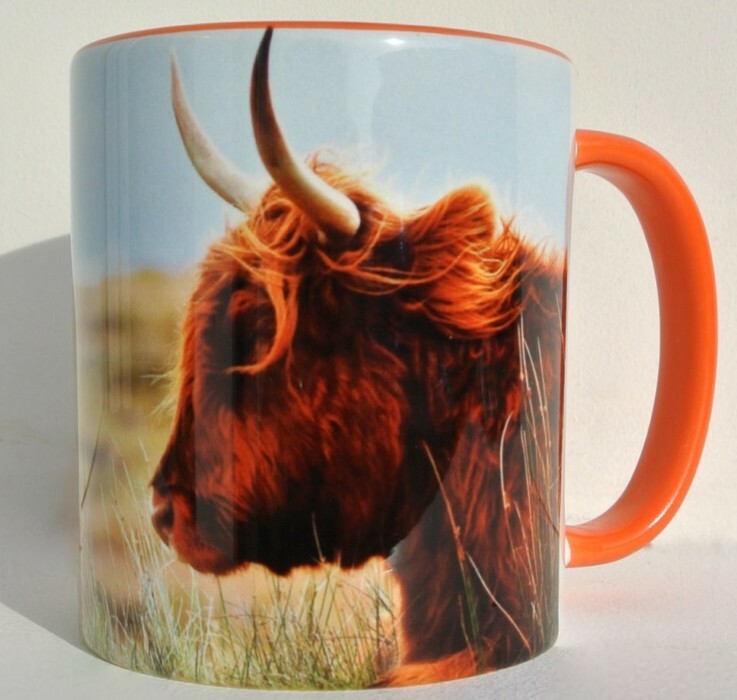 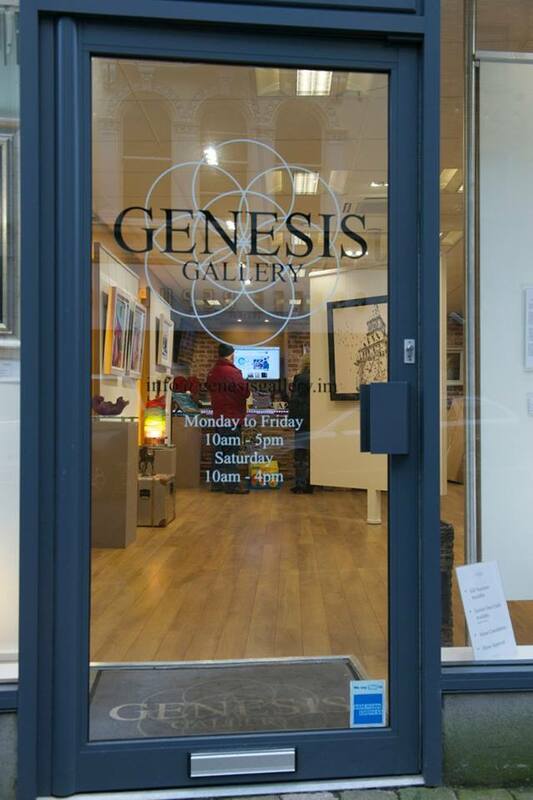 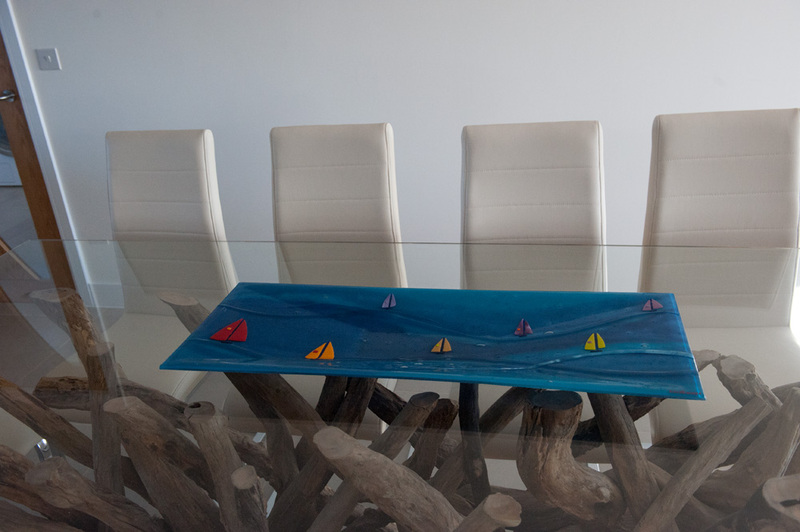 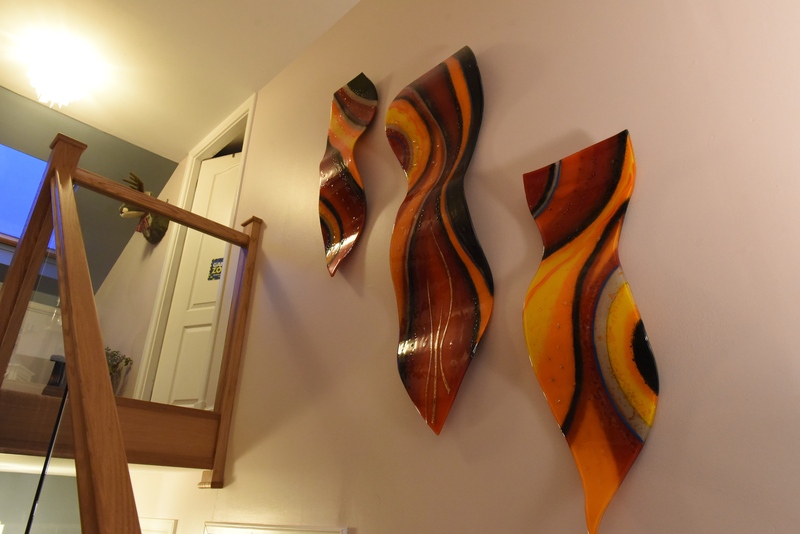 It looks incredibly sleek and sharp, and made for a great sight even before the addition of our fused glass art. 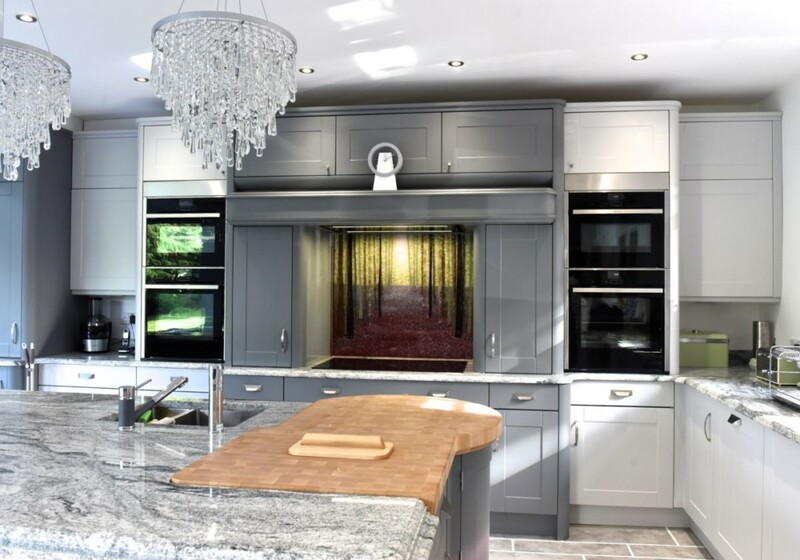 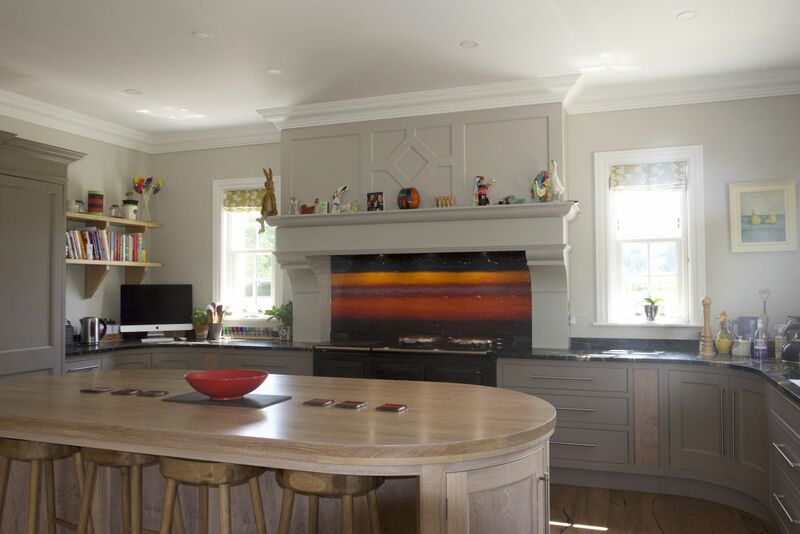 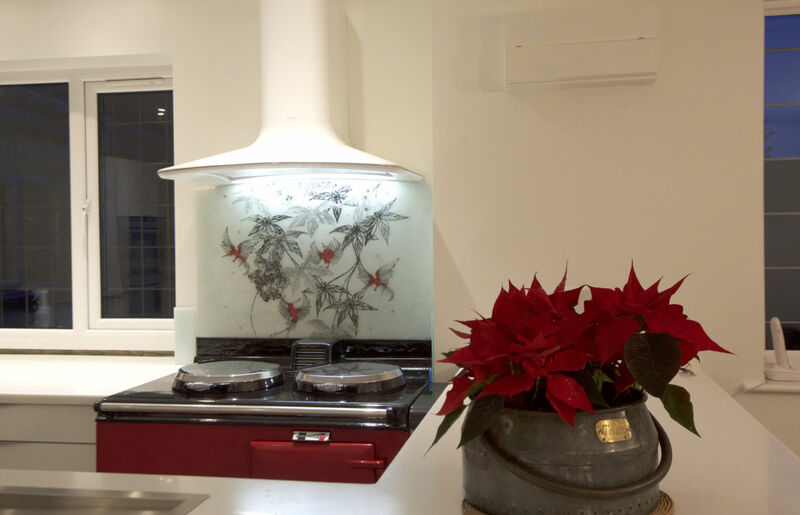 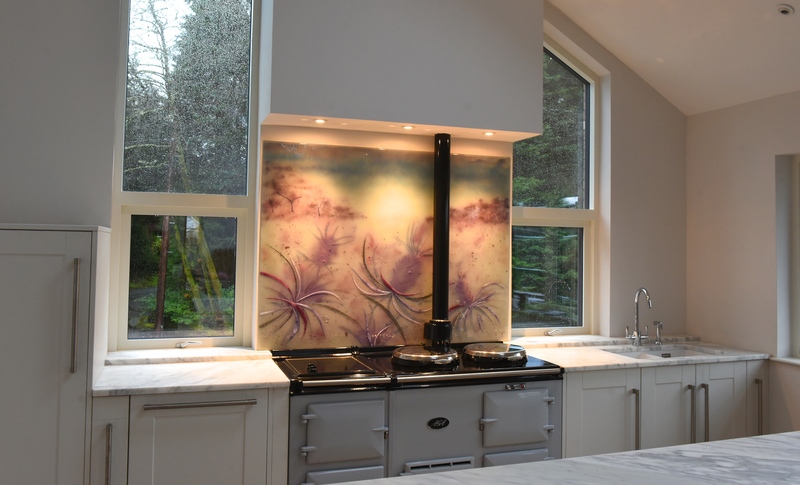 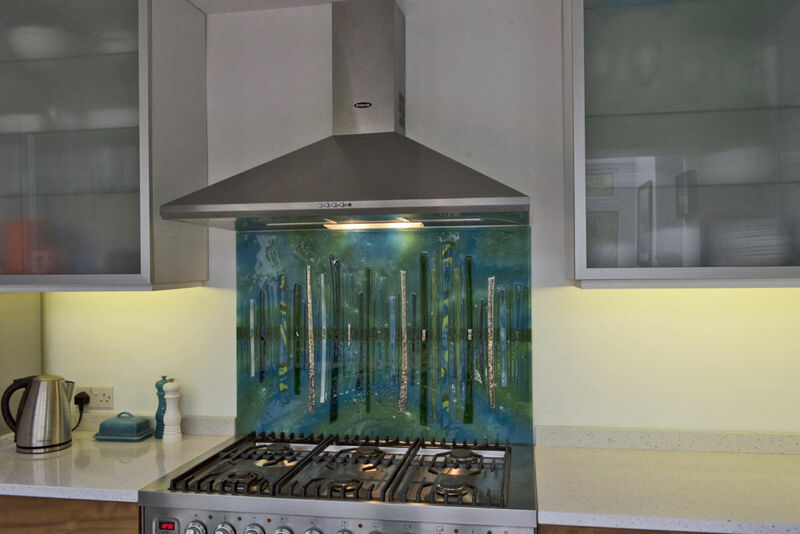 The gorgeous glass splashback that takes the stage front and centre, however, really takes the decoration in this room to the next level and completely transforms the atmosphere. 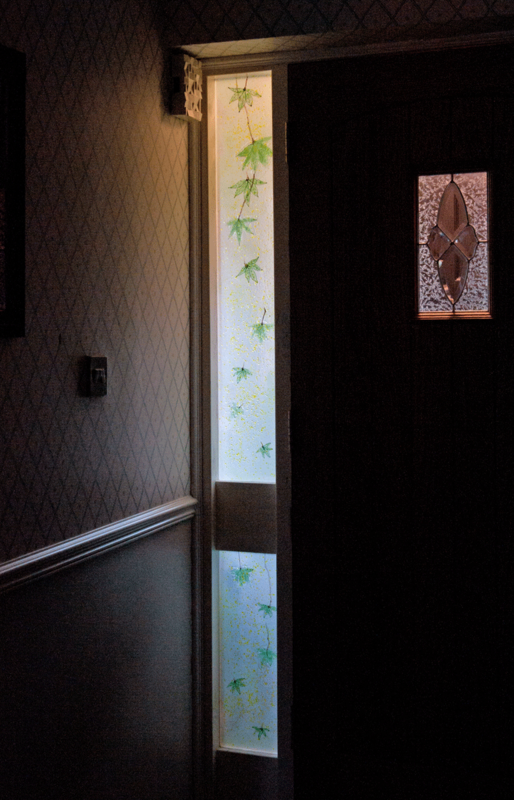 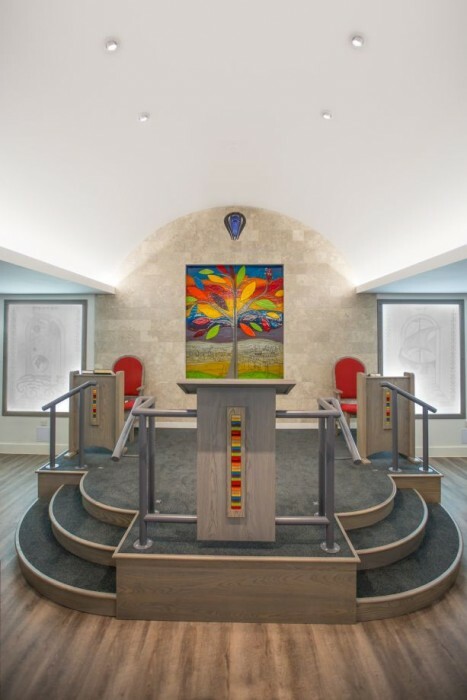 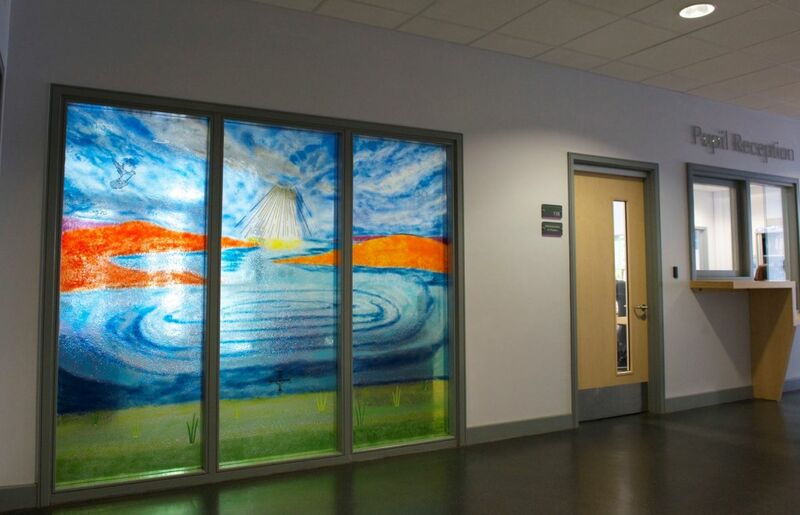 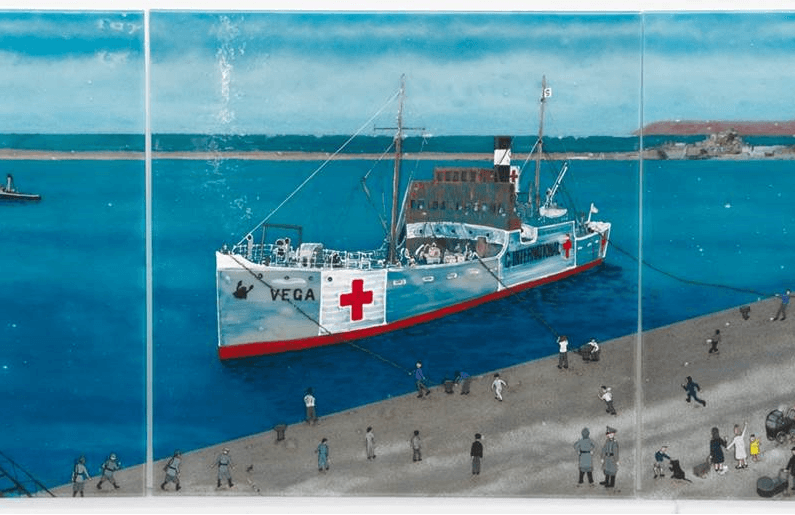 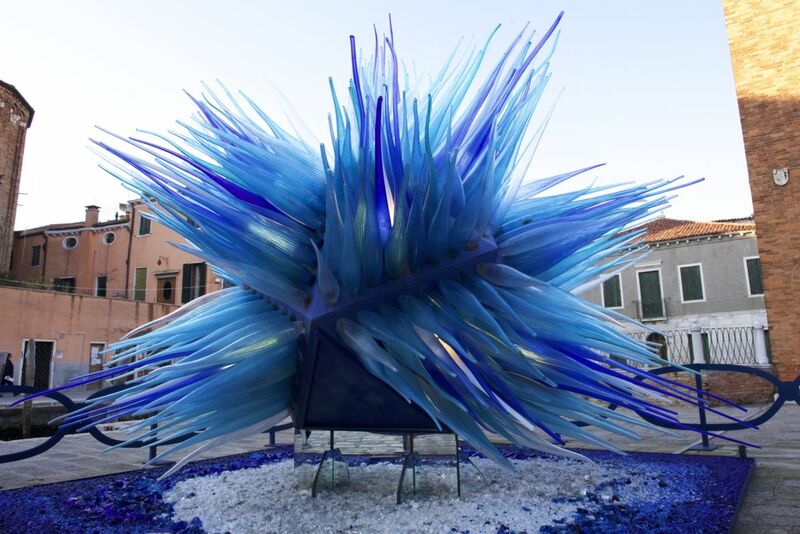 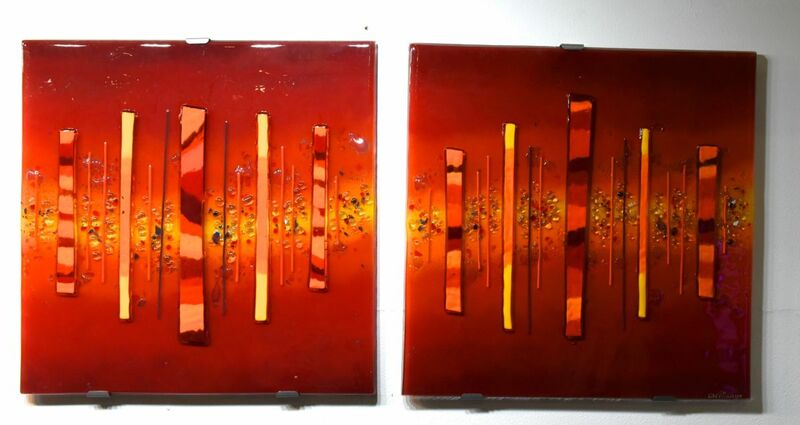 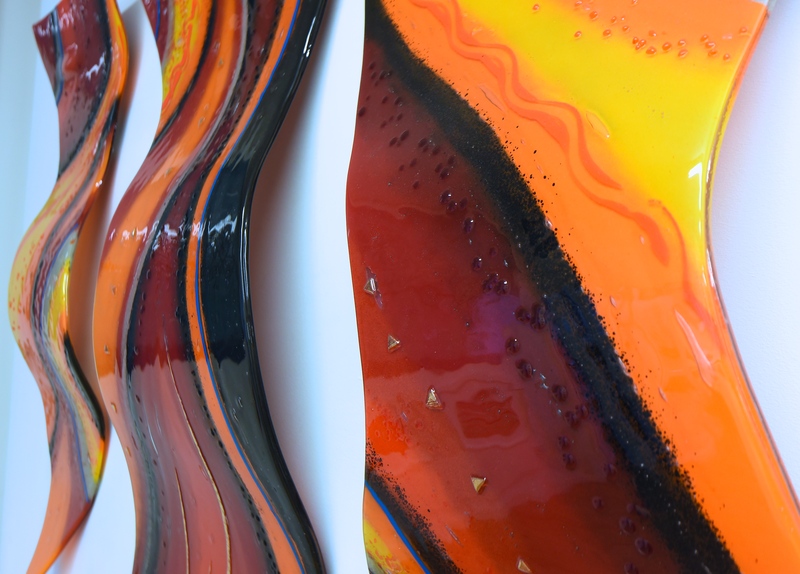 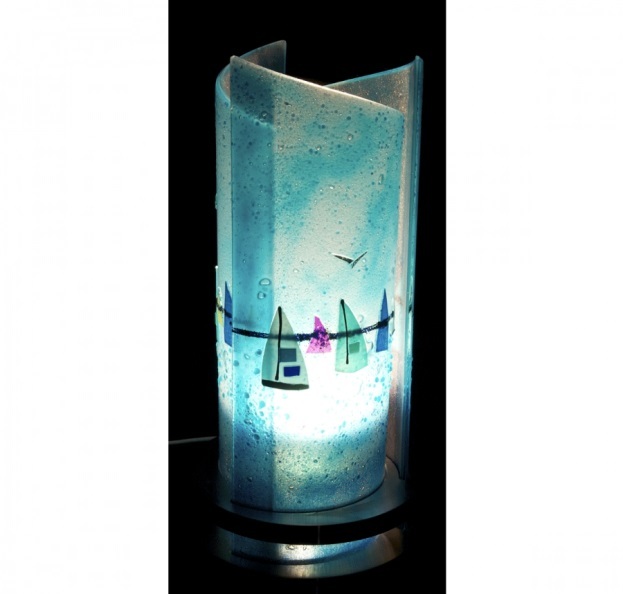 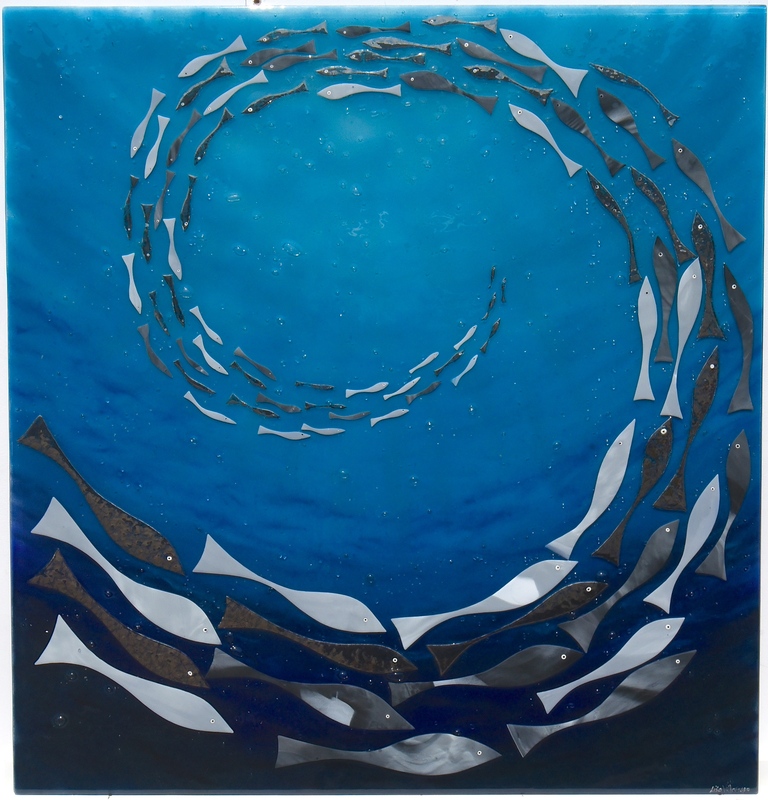 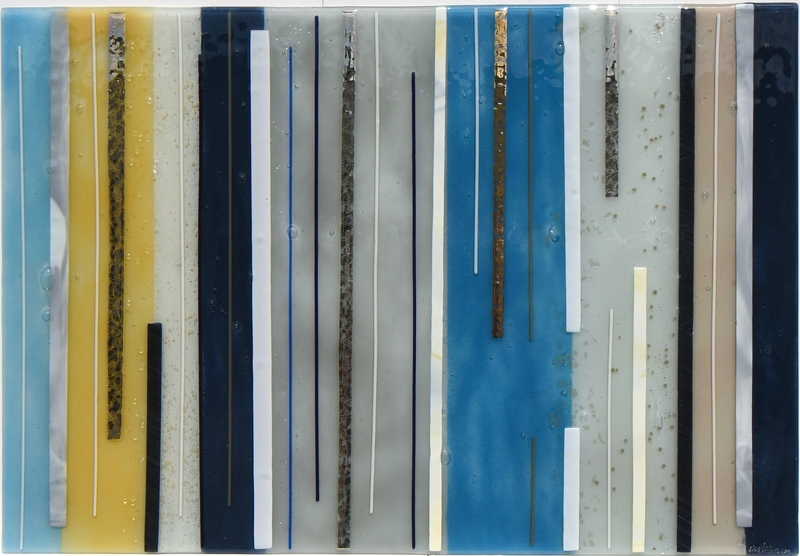 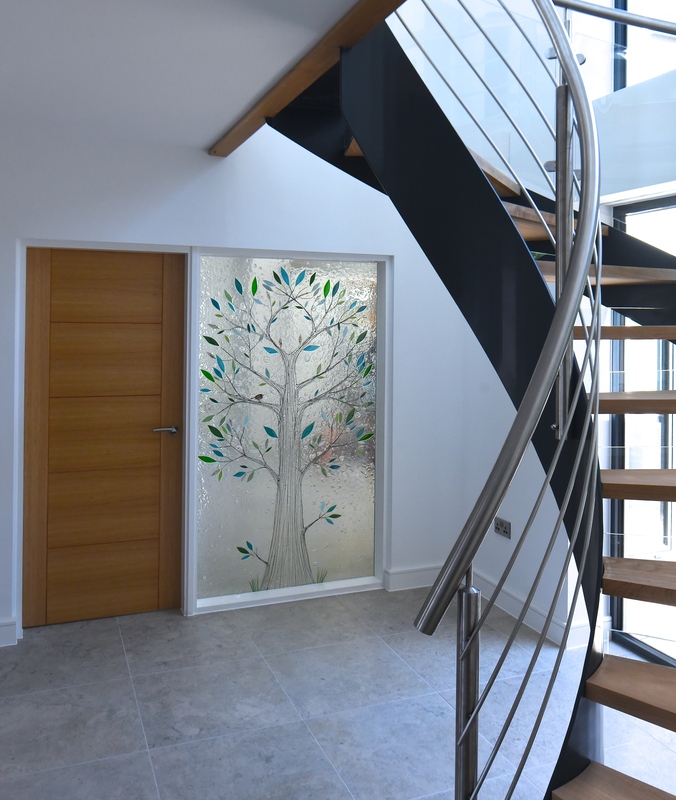 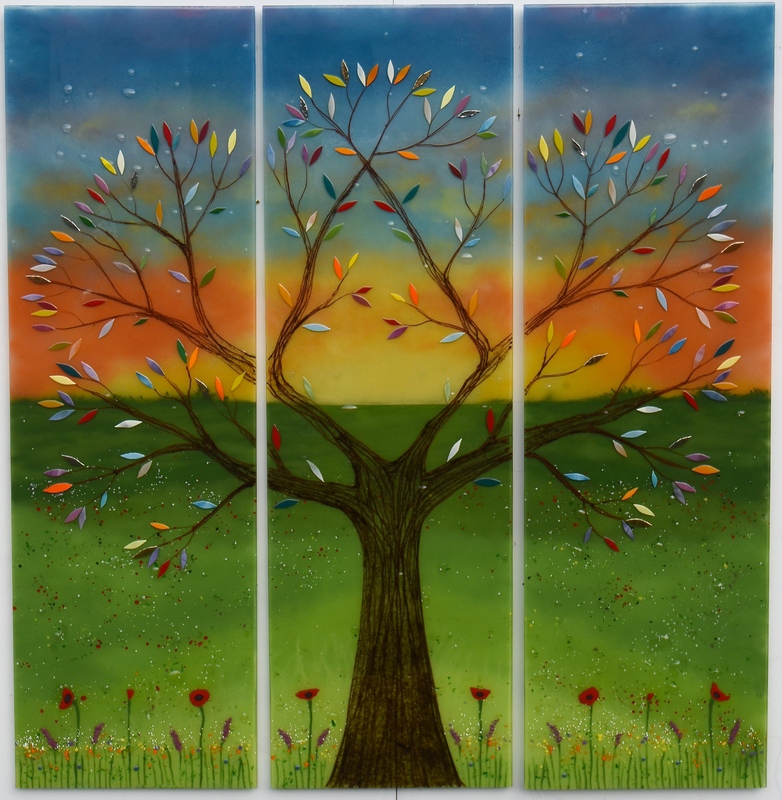 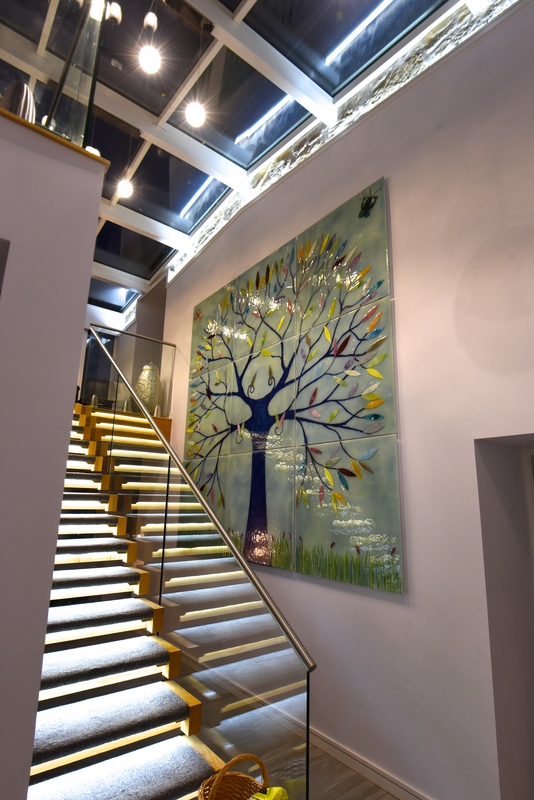 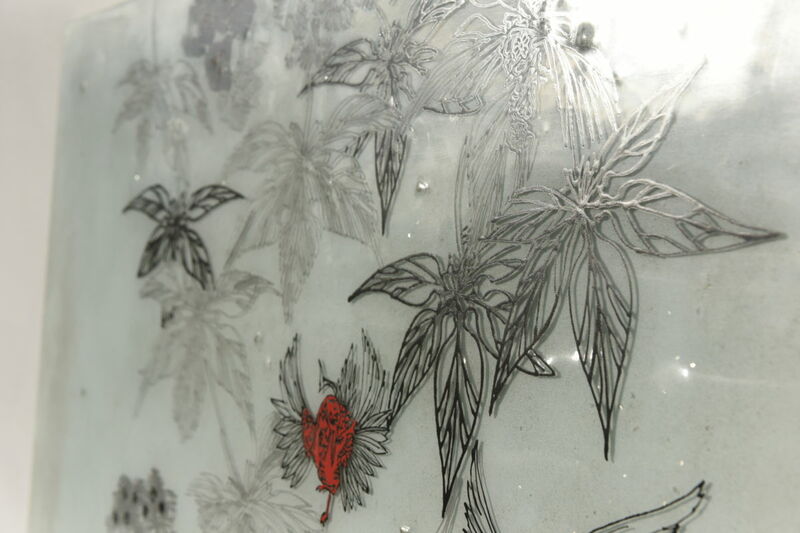 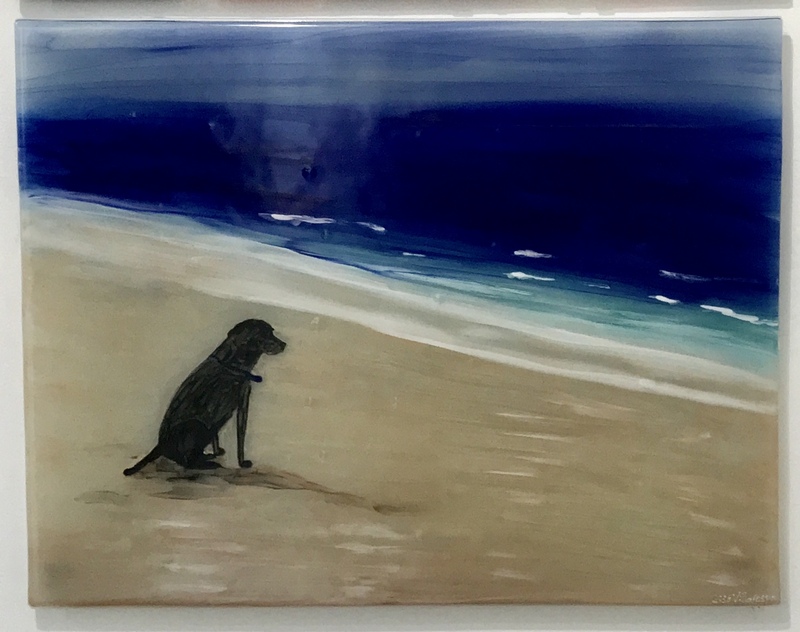 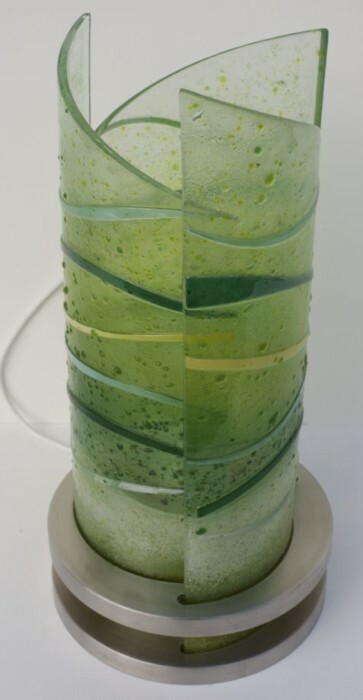 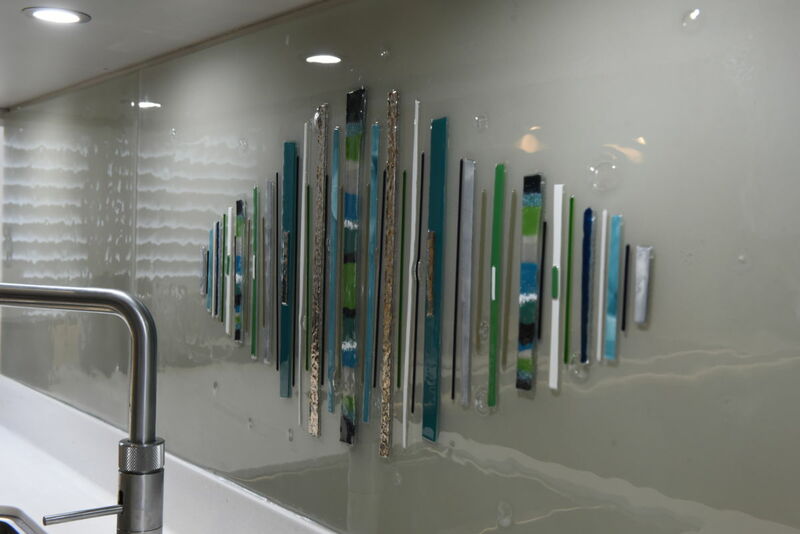 The design of the glass is themed around vertical bars that run from top to bottom throughout the piece, both in the background and foreground of the piece. 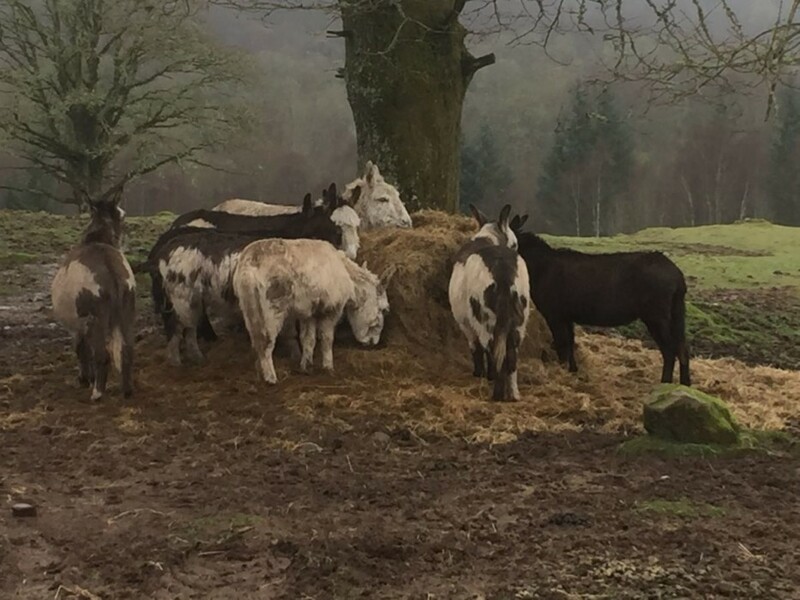 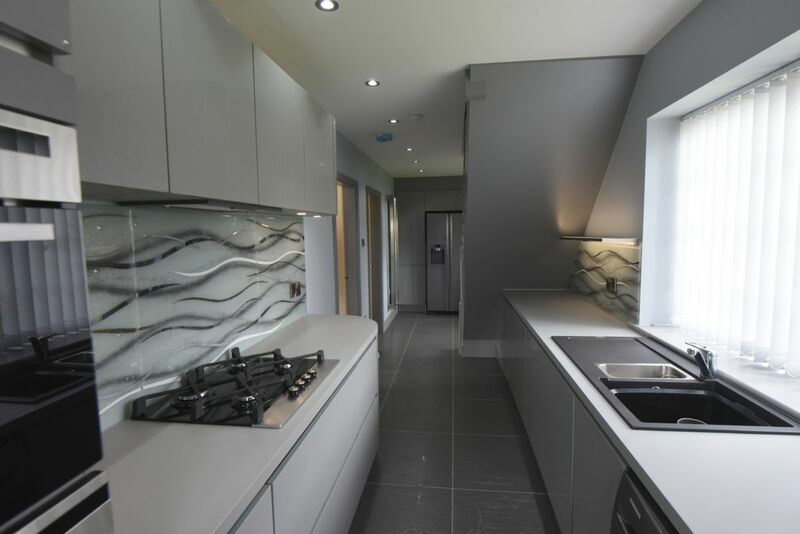 A tremendous range of shades and contrast really bring everything to life, utilising just about every shade in between black and white to create a real feast for the eyes. 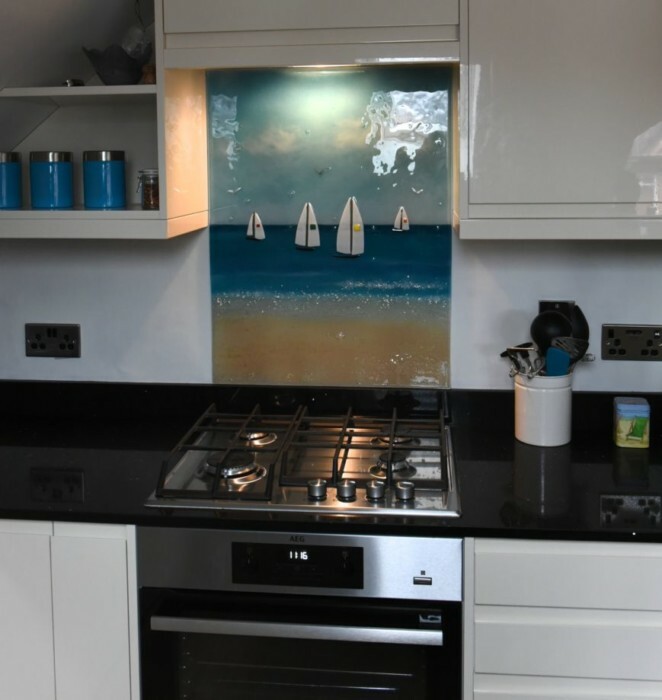 Truth be told, you’ll be able to find subtle bands of navy, grey and stone colours, but they give the impression of a beautifully muted monochrome panel. 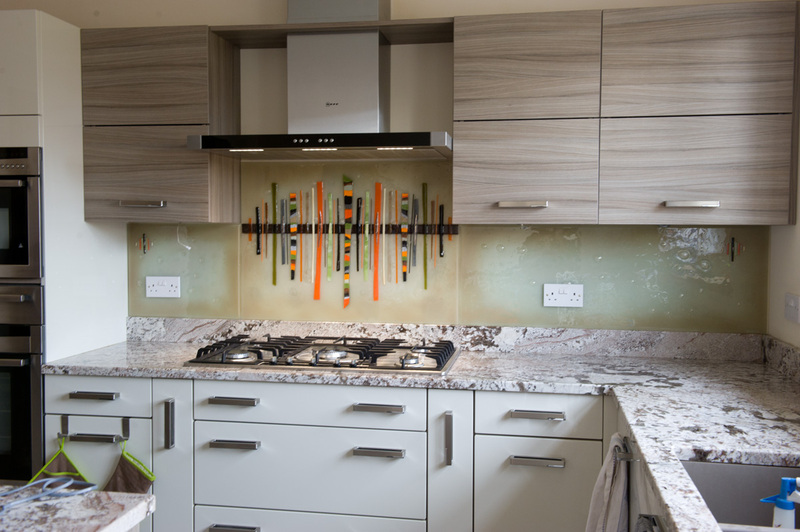 Sprinkle in some metallic accents and a dash of complementary cream, and the end result is of course very lovely to look at. 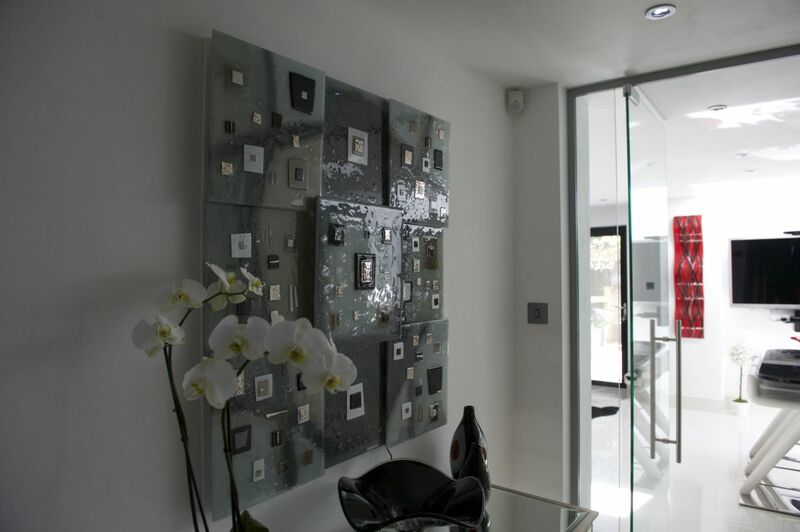 The piece and its surroundings make a perfect match for one another, showcasing how powerful fully bespoke design can be. 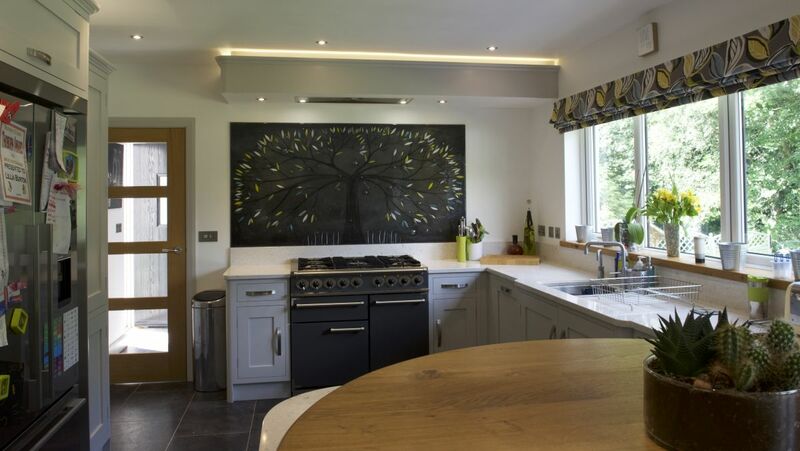 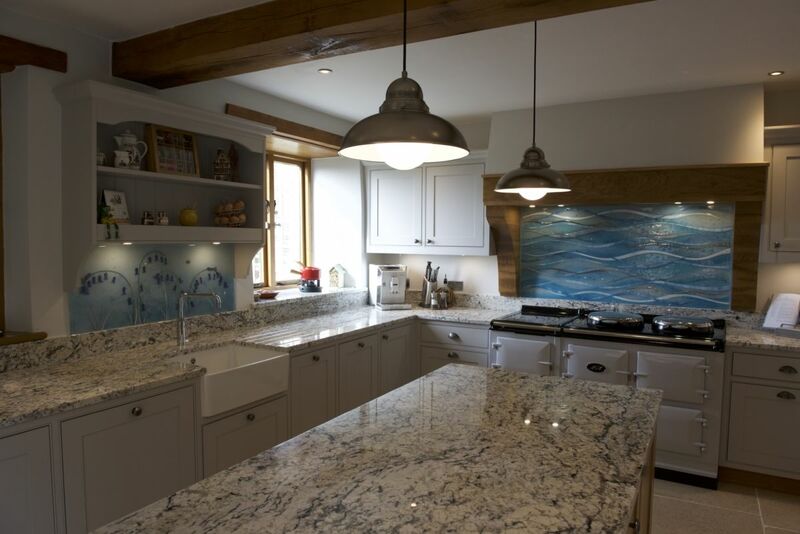 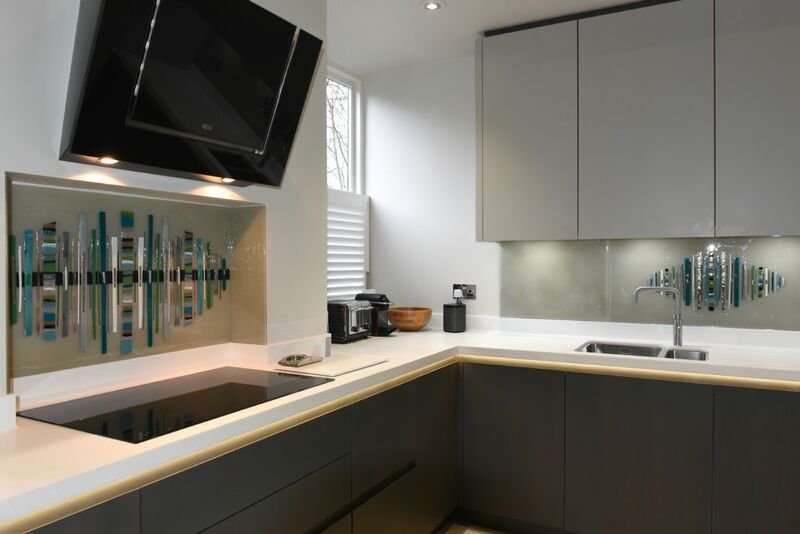 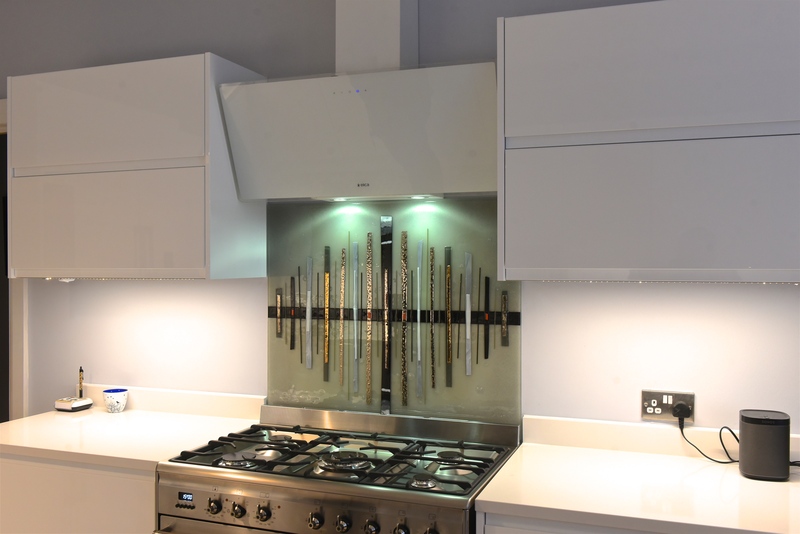 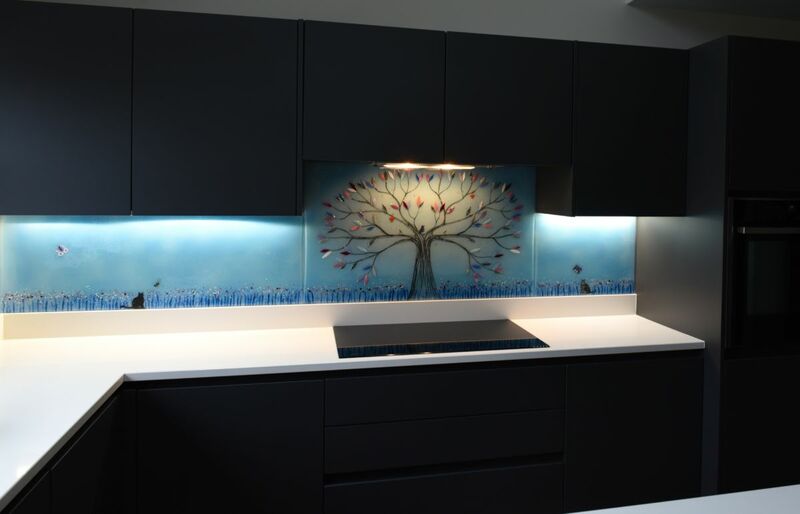 There’s also very little colour to be found in this room save for the little streaks of complementary cream on the fused glass splashback, but the entire space still looks absolutely breathtaking and shines bright through pure contrast. 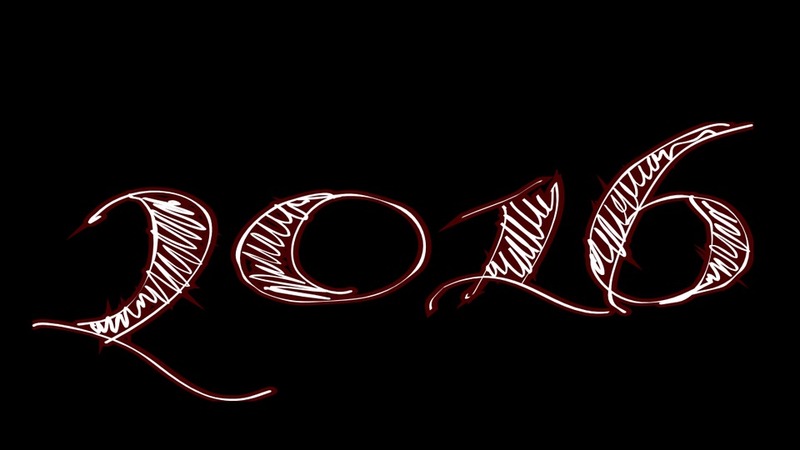 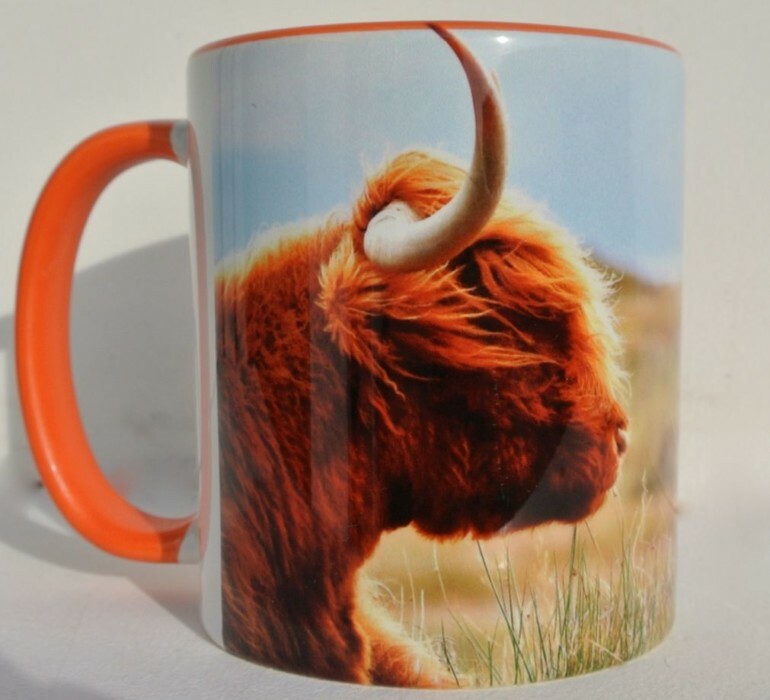 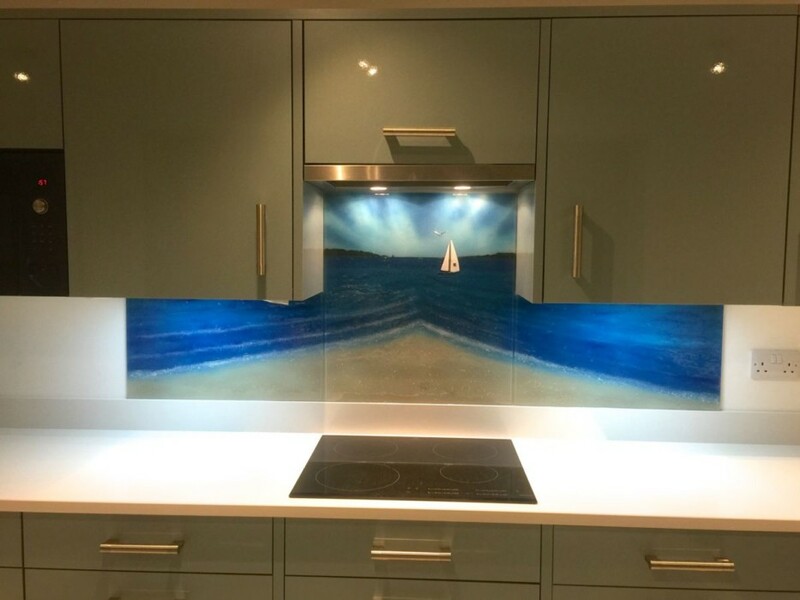 If this is a trend that’s about to take off big time, we’re fully on board! 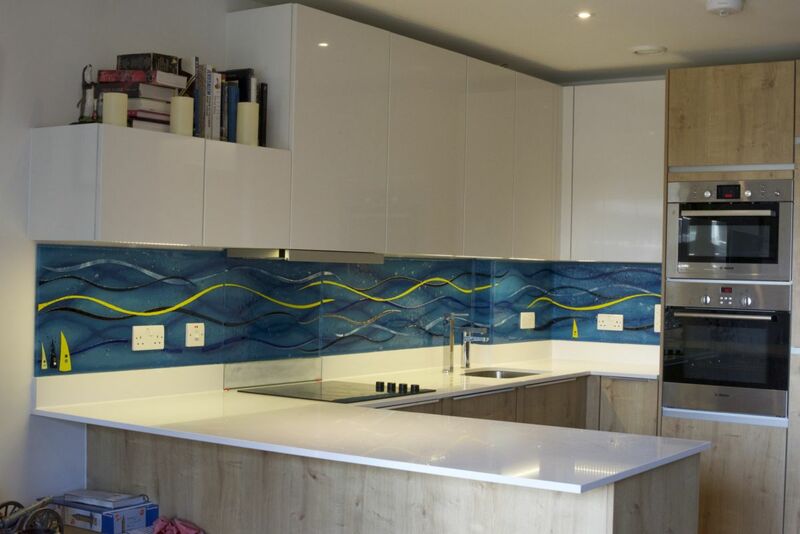 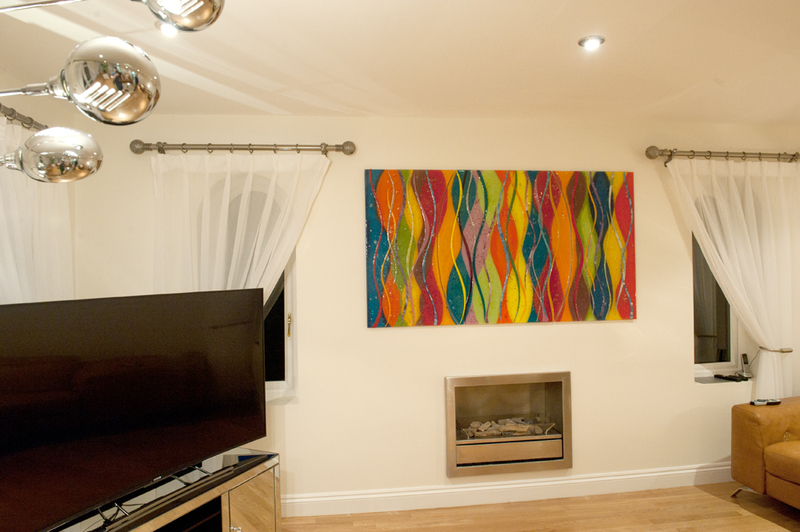 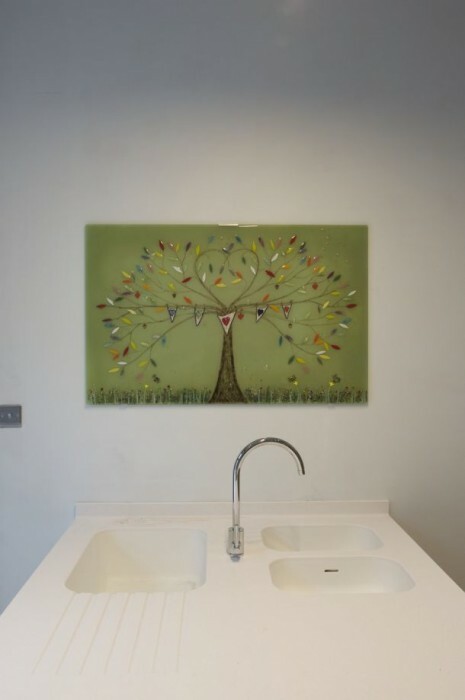 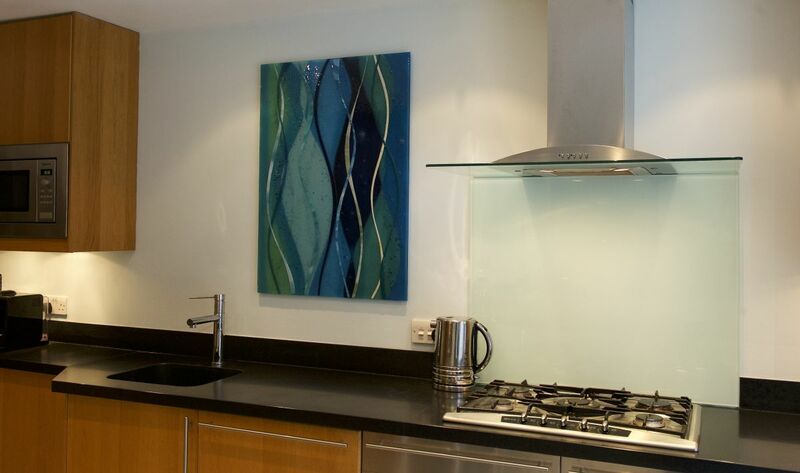 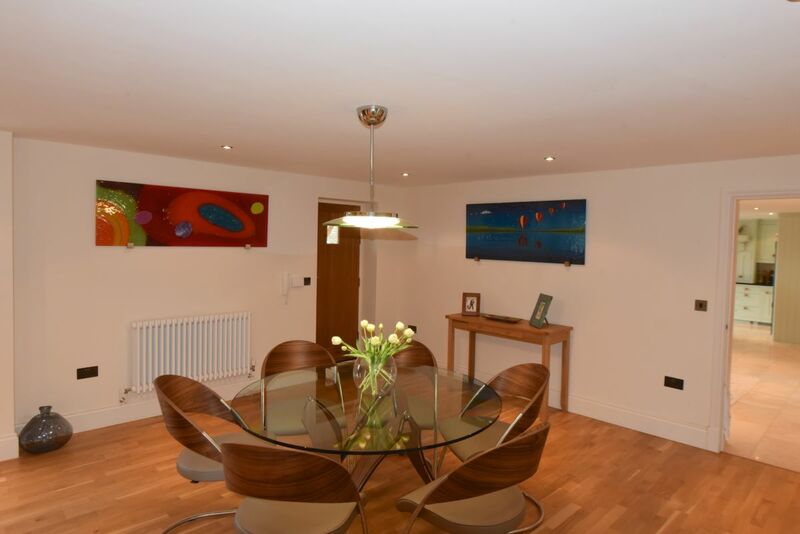 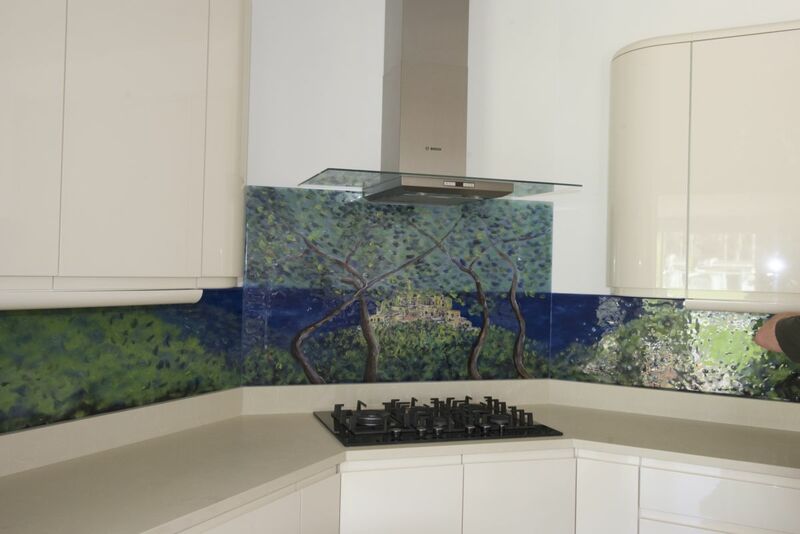 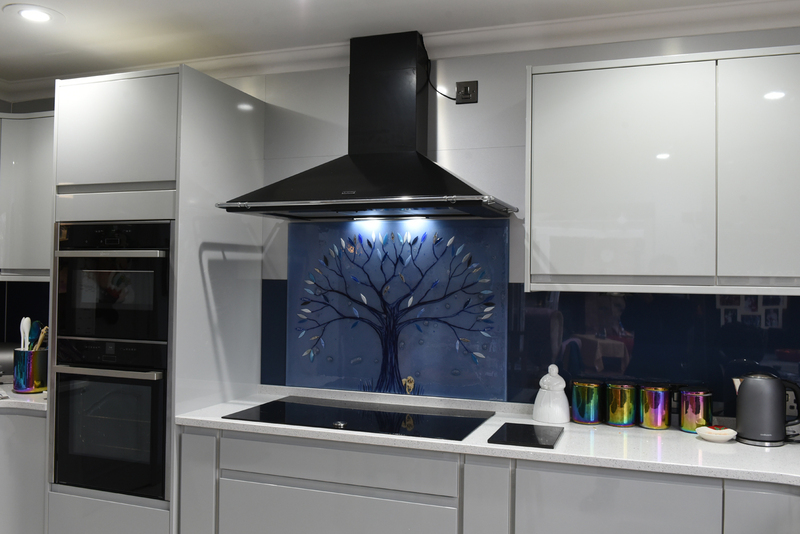 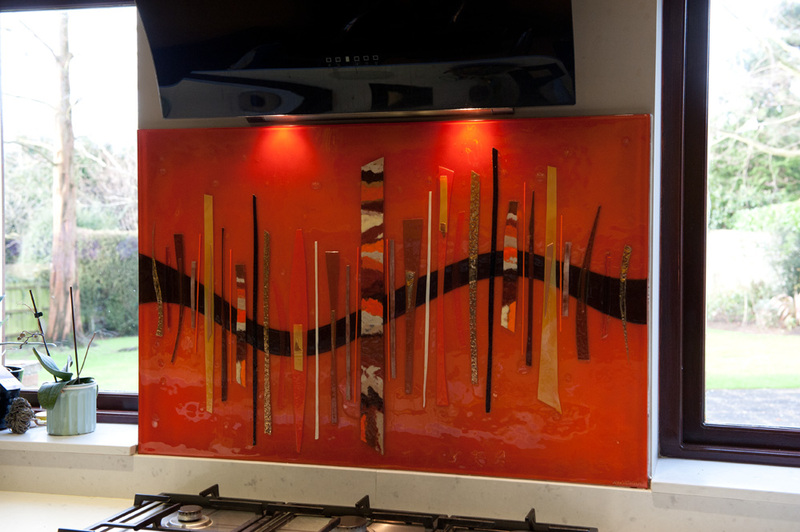 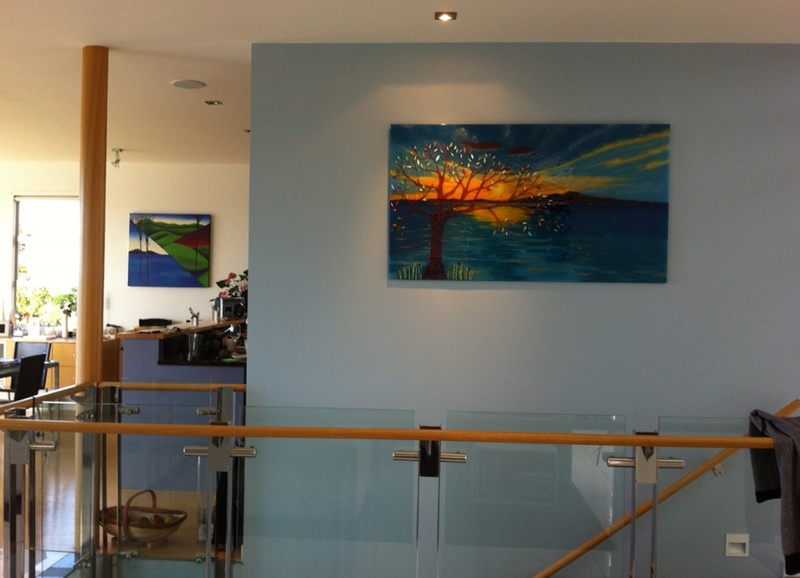 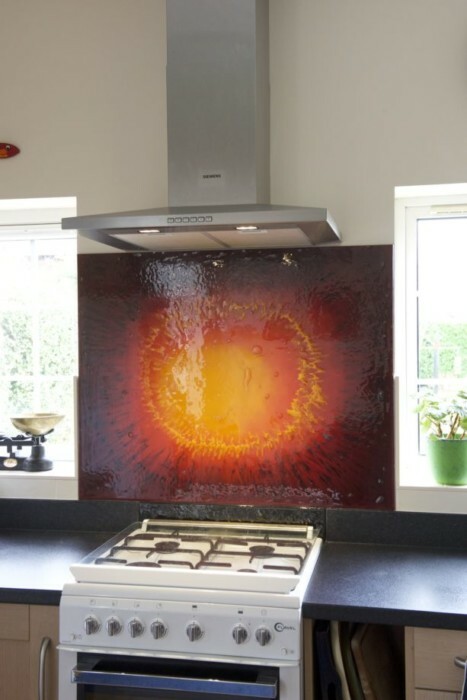 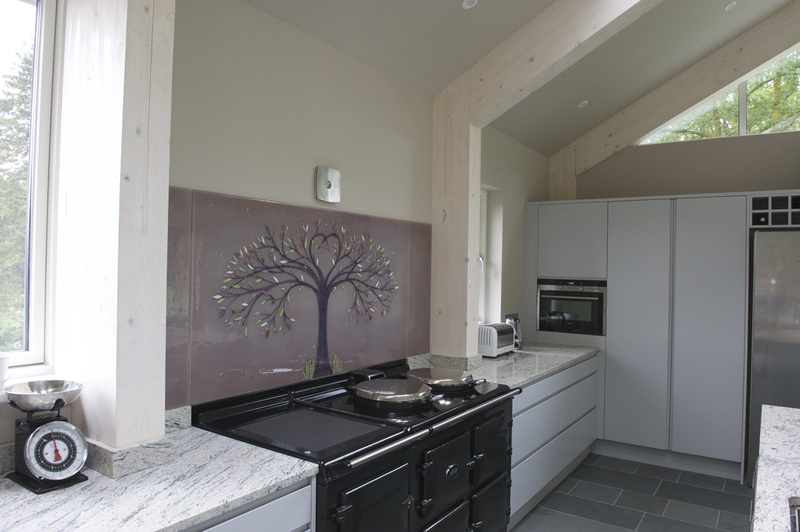 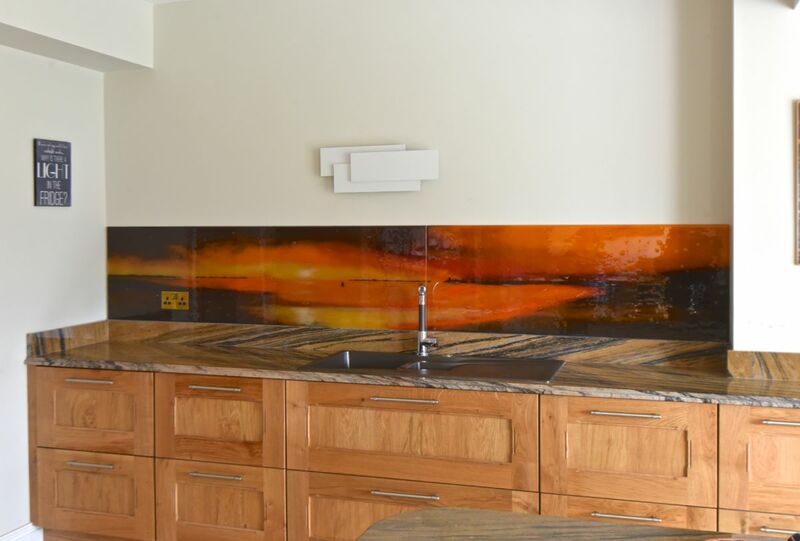 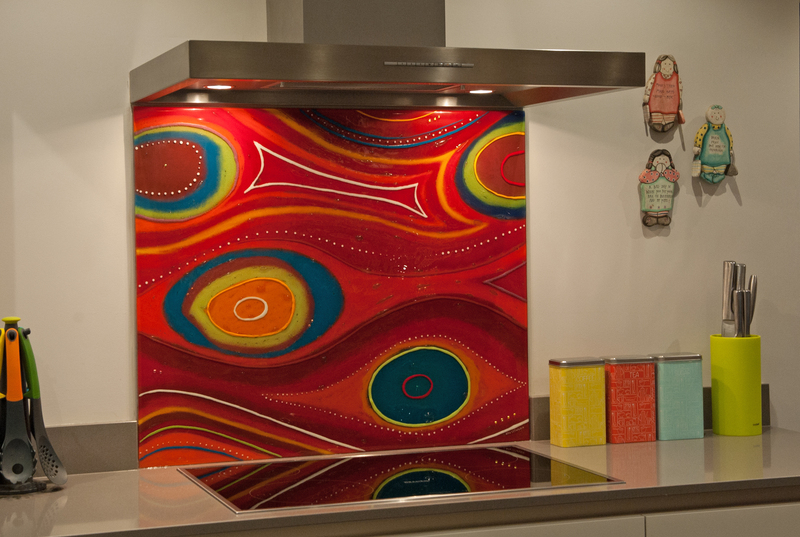 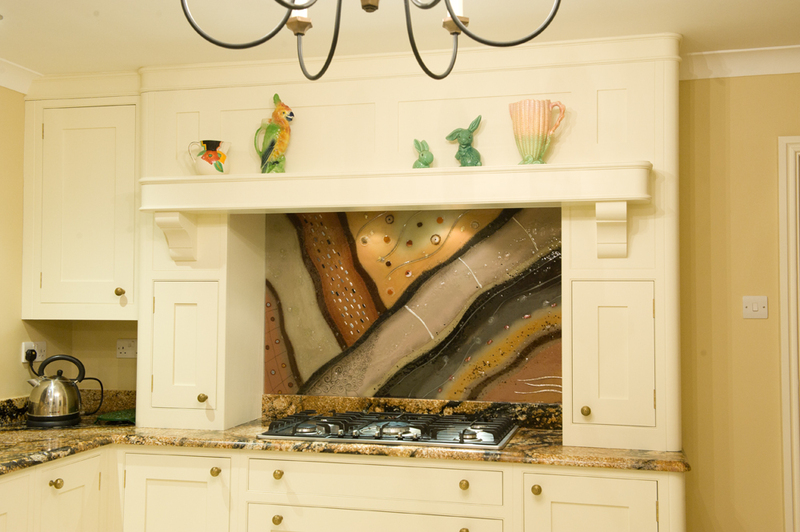 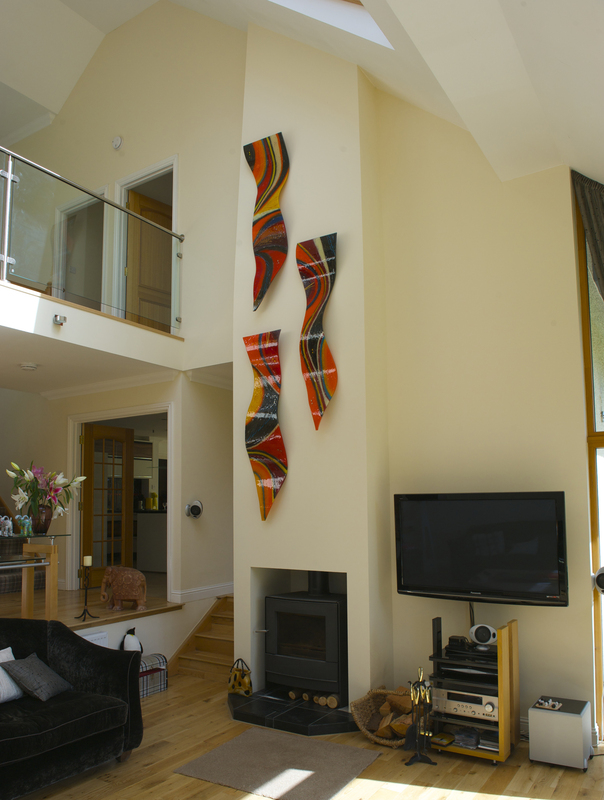 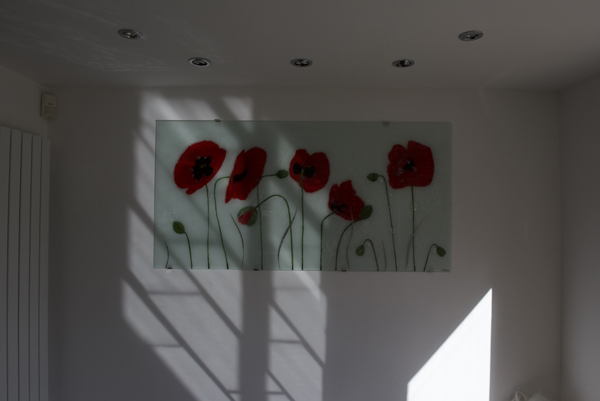 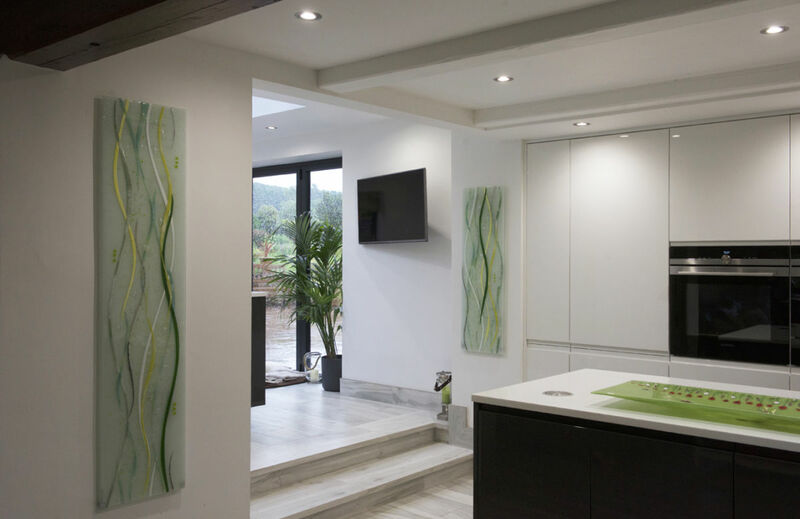 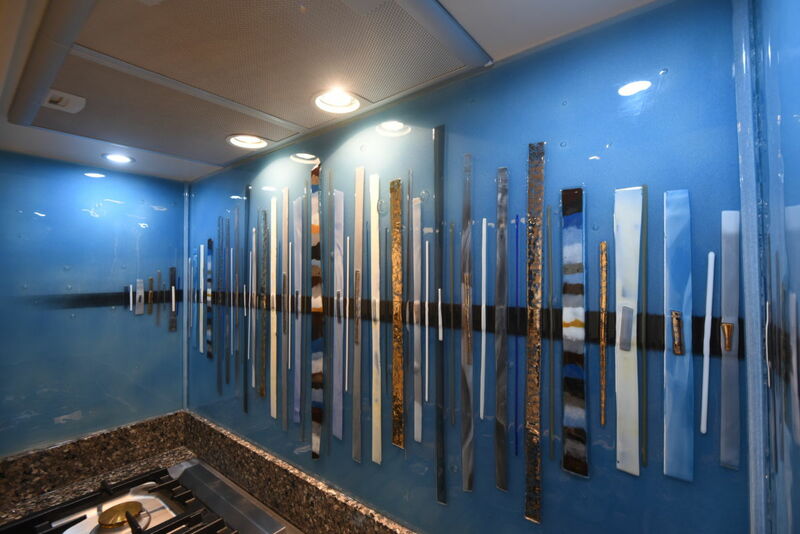 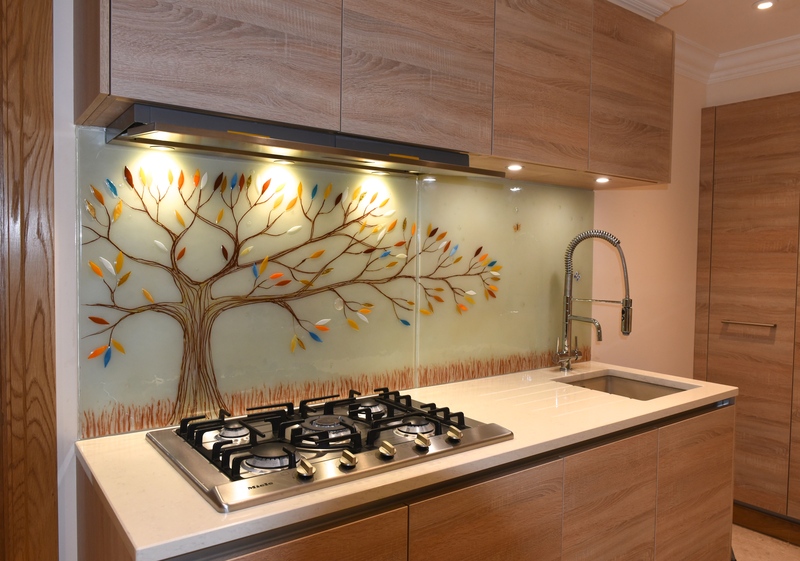 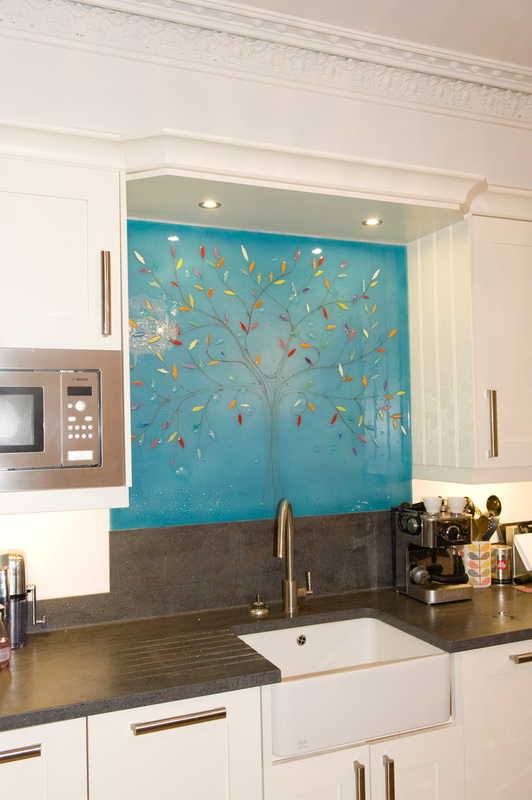 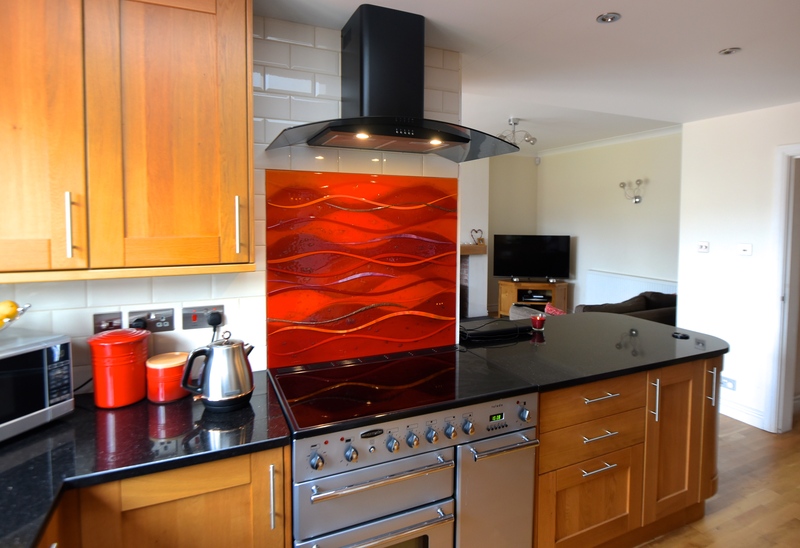 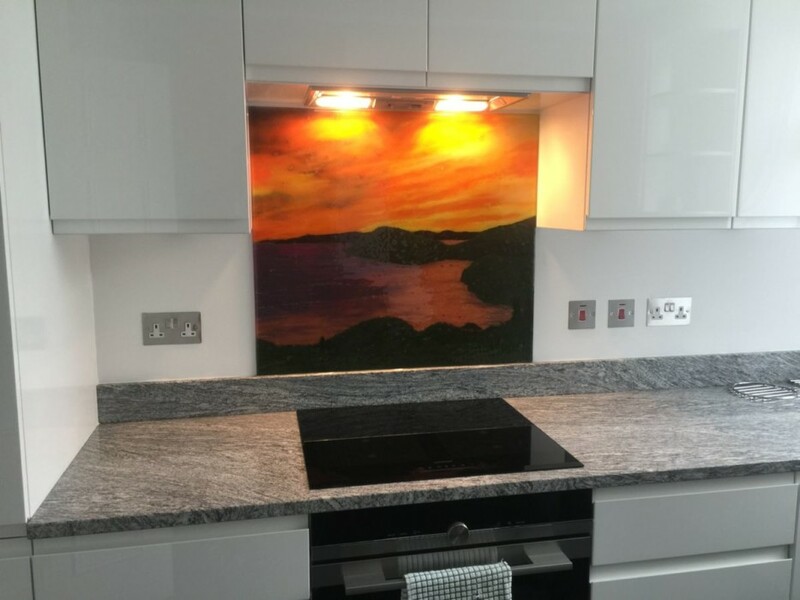 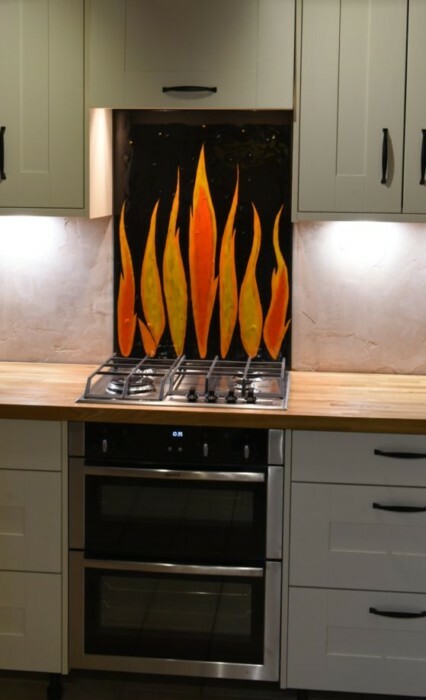 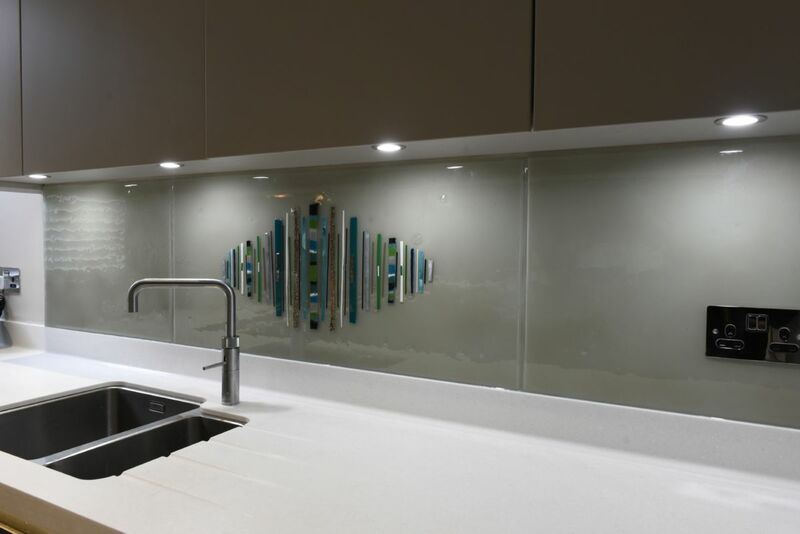 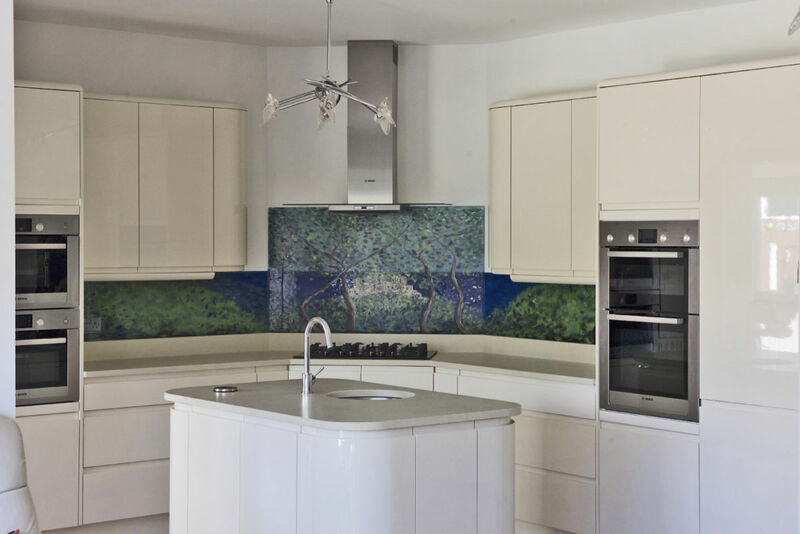 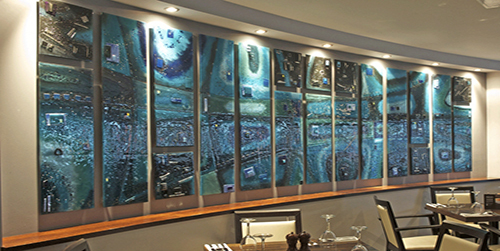 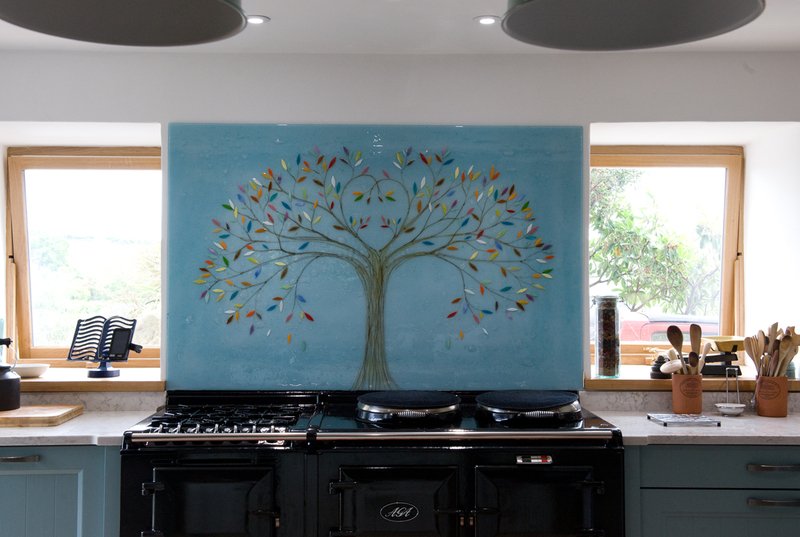 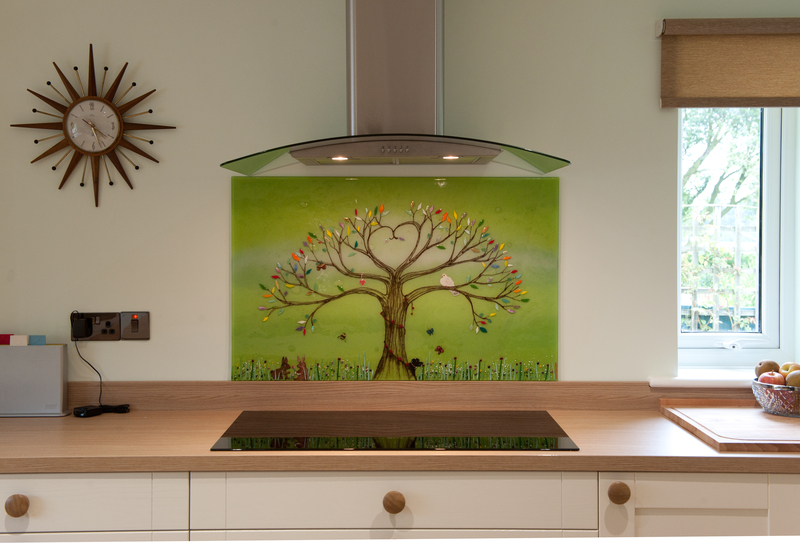 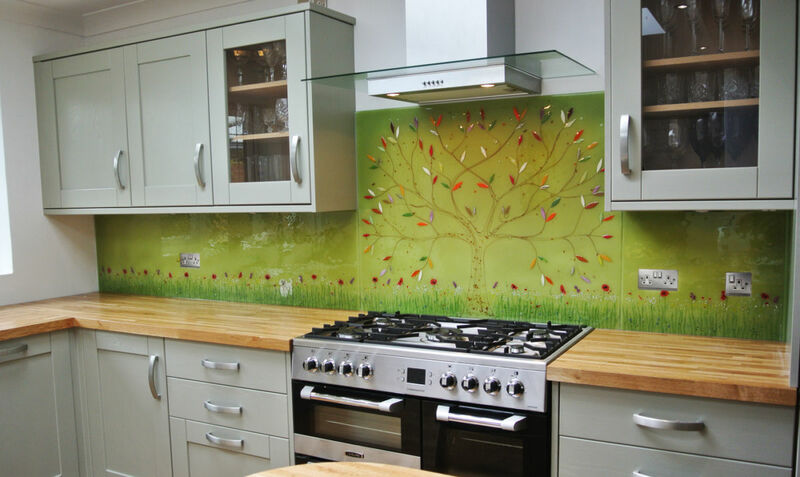 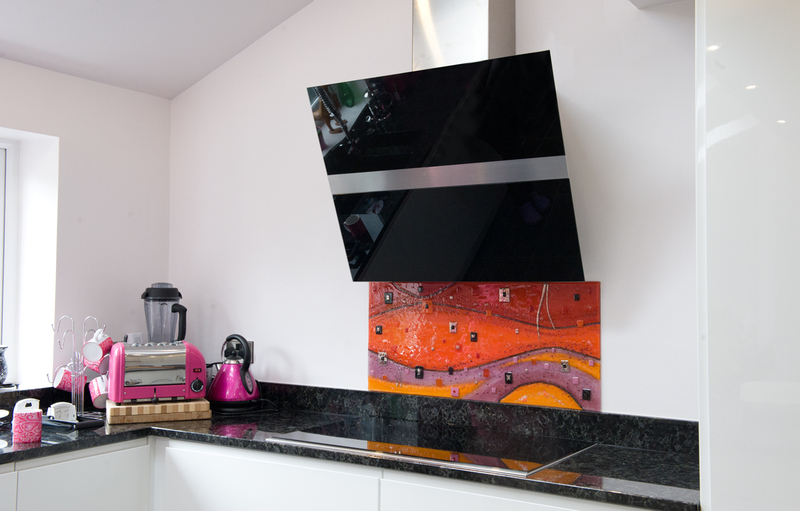 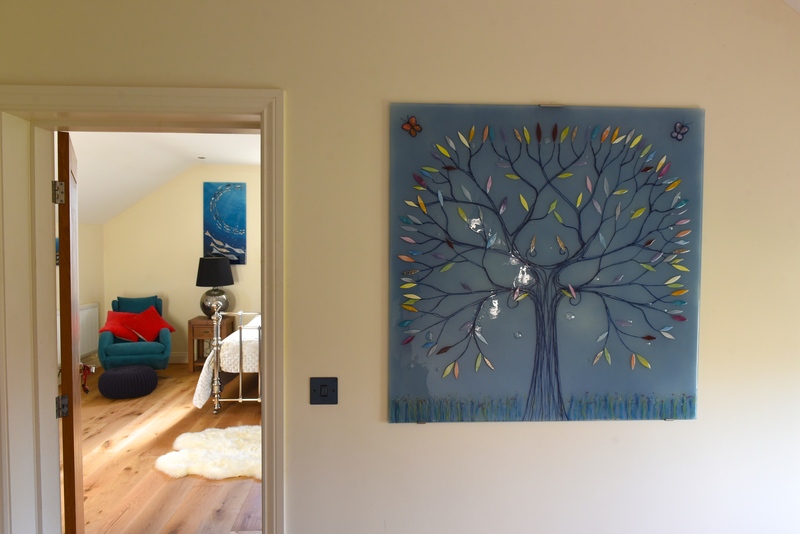 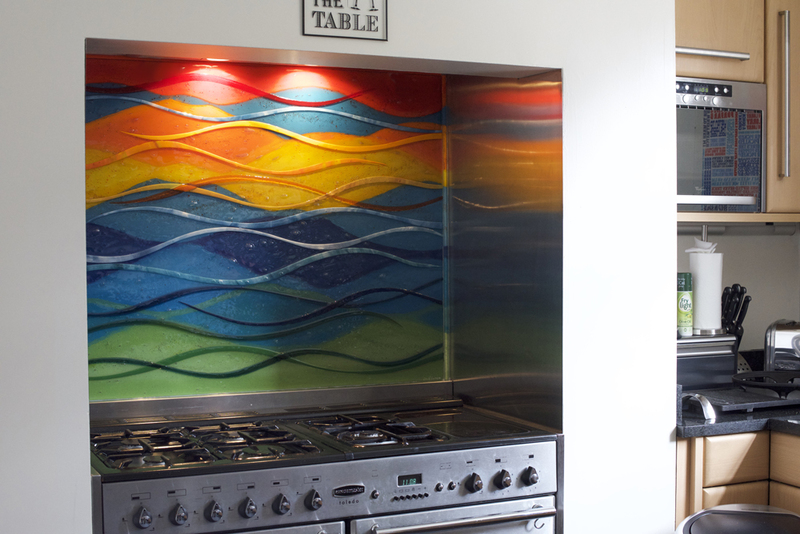 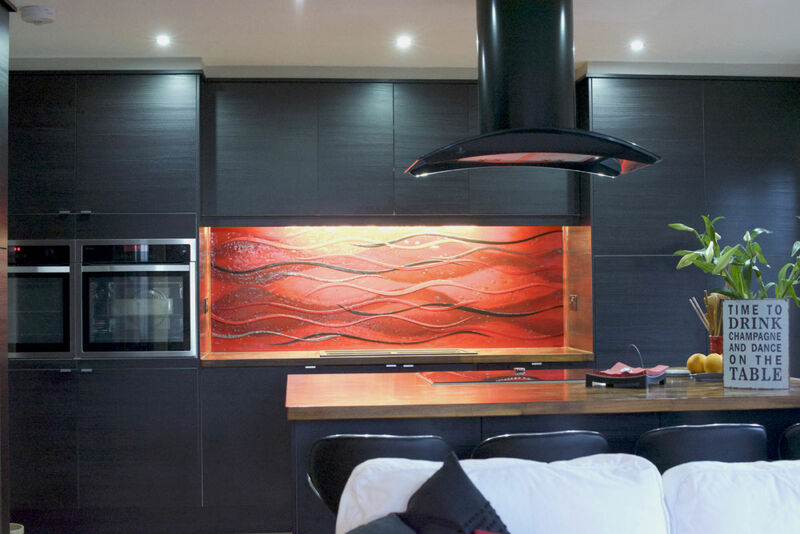 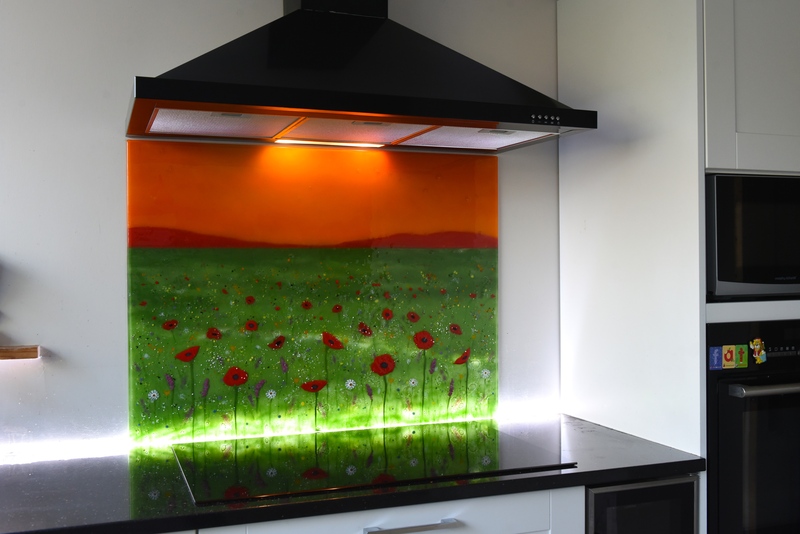 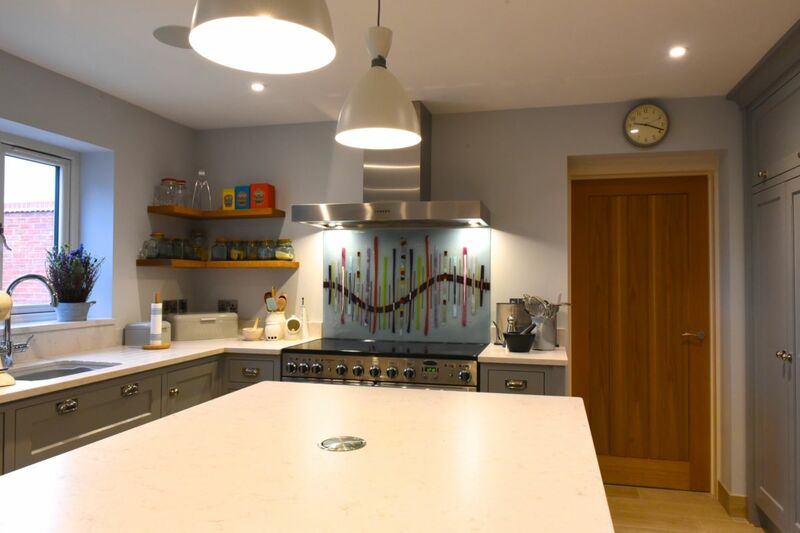 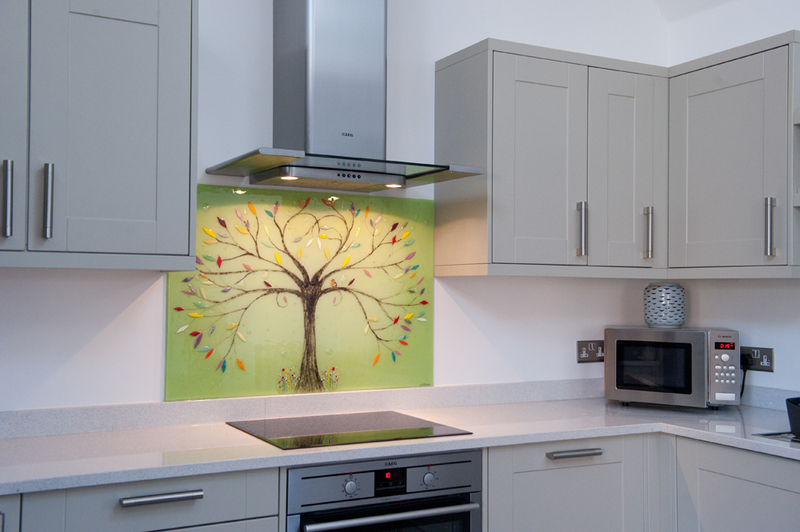 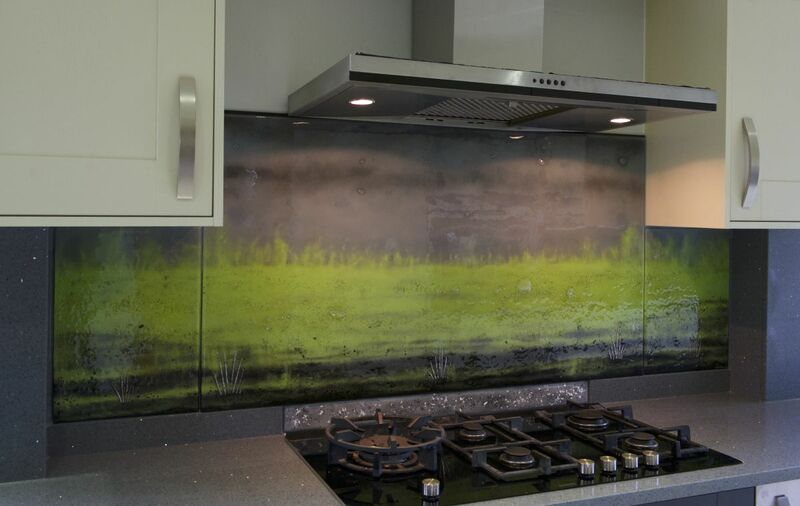 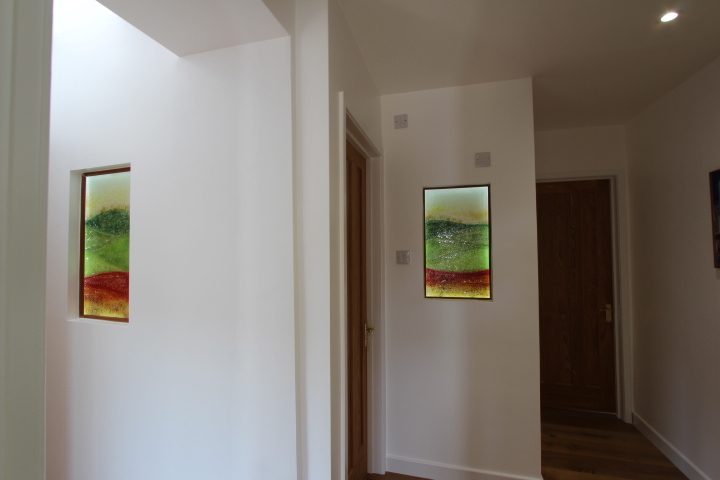 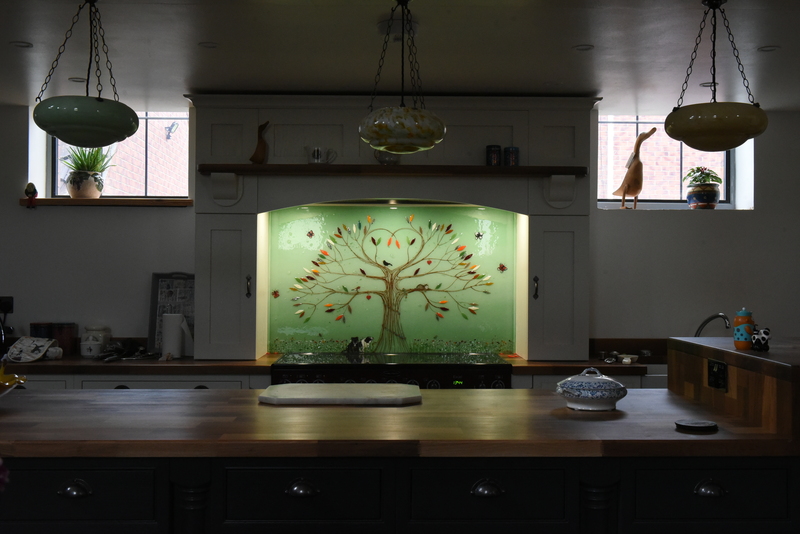 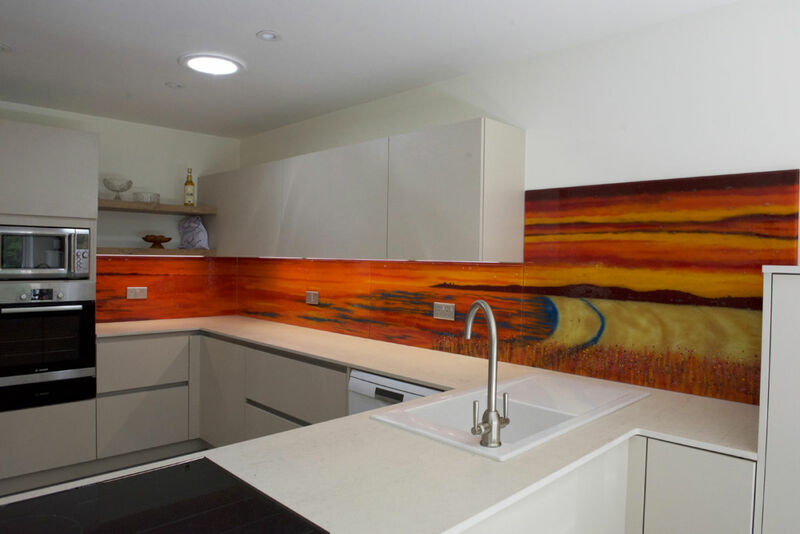 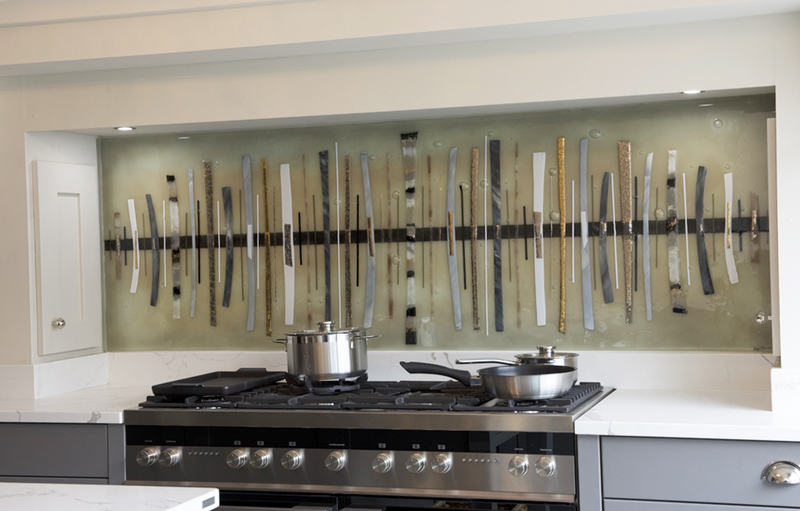 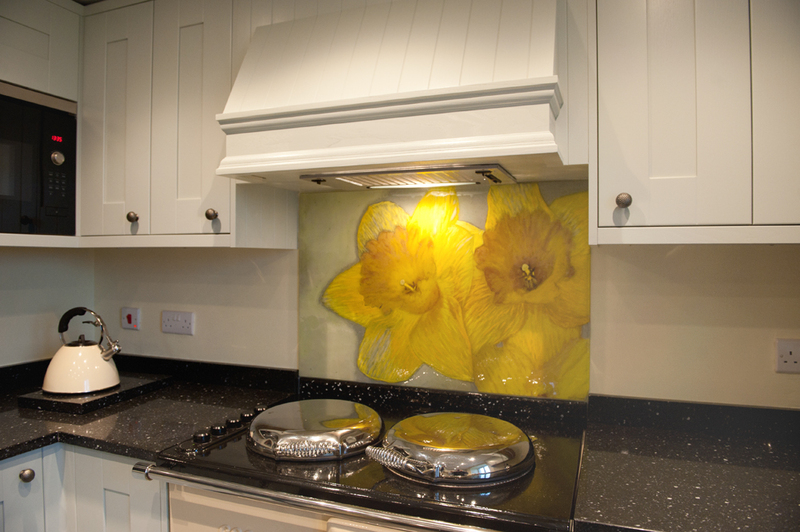 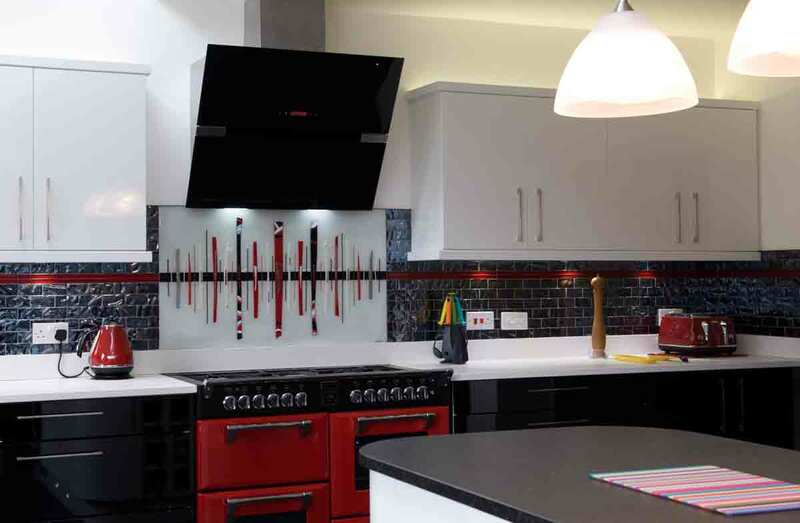 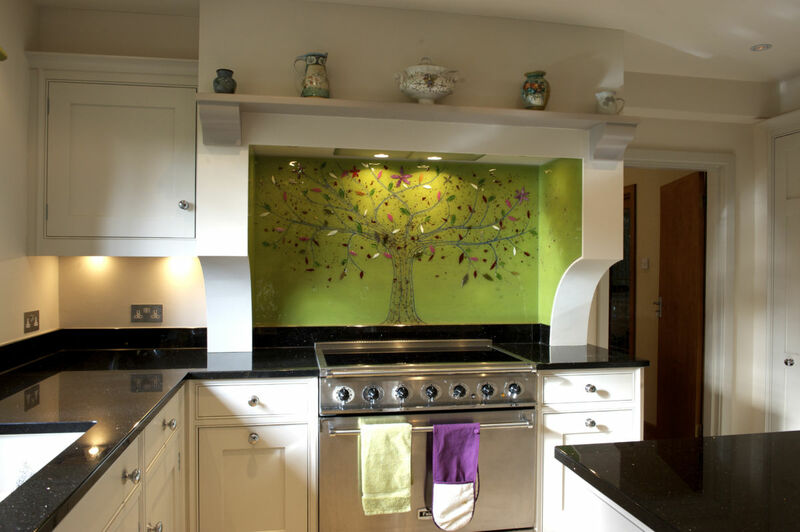 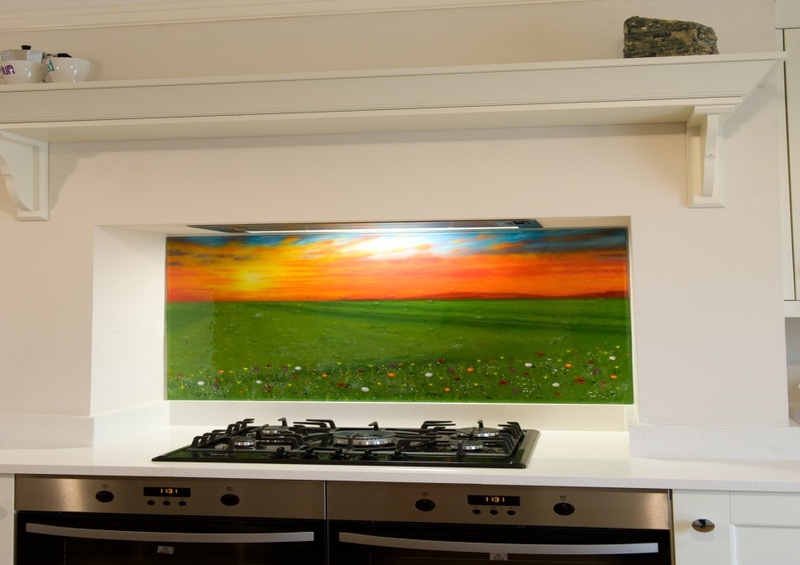 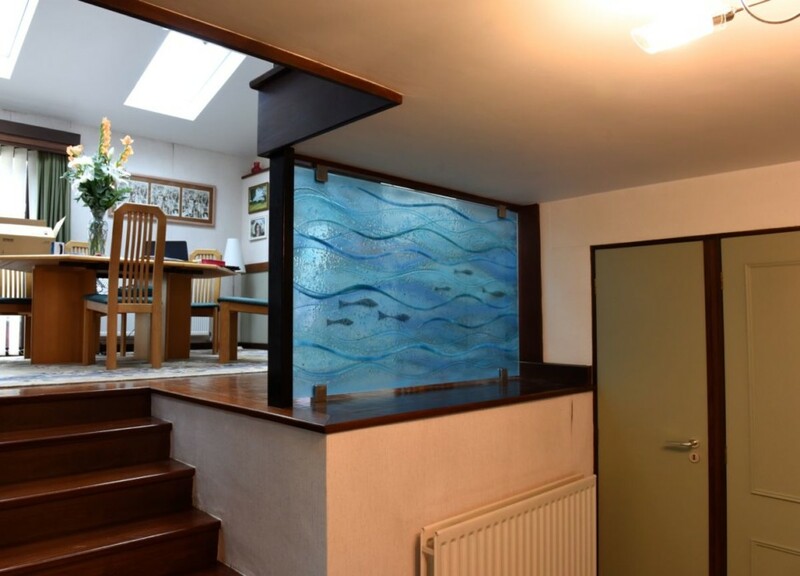 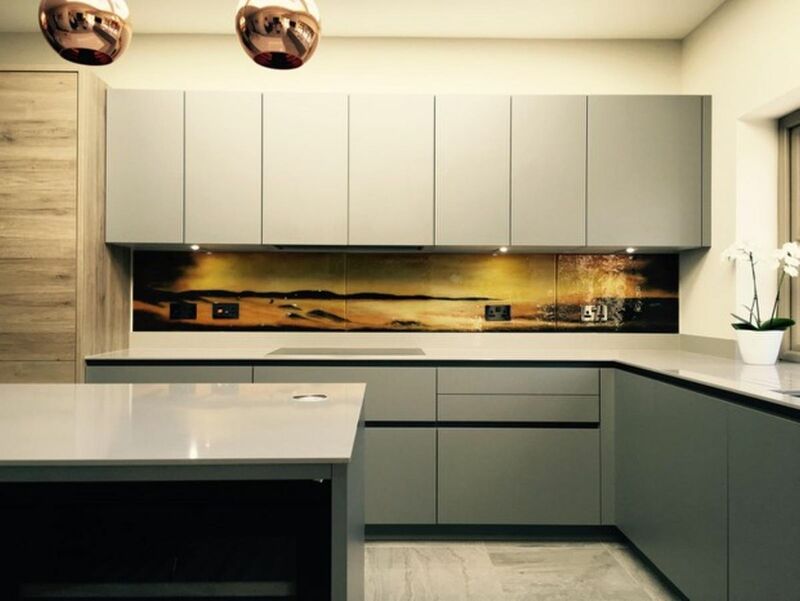 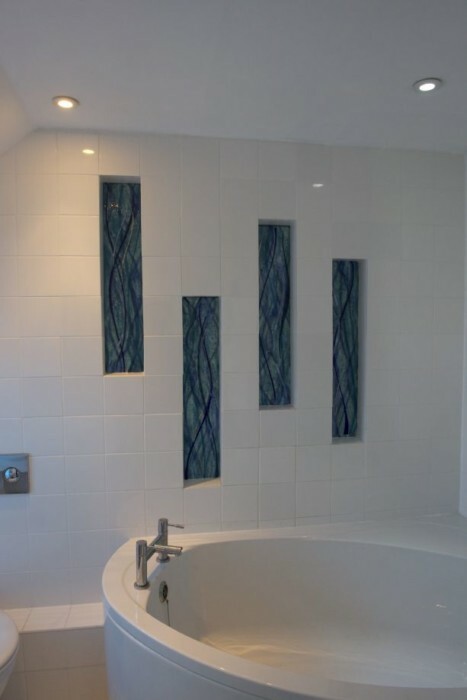 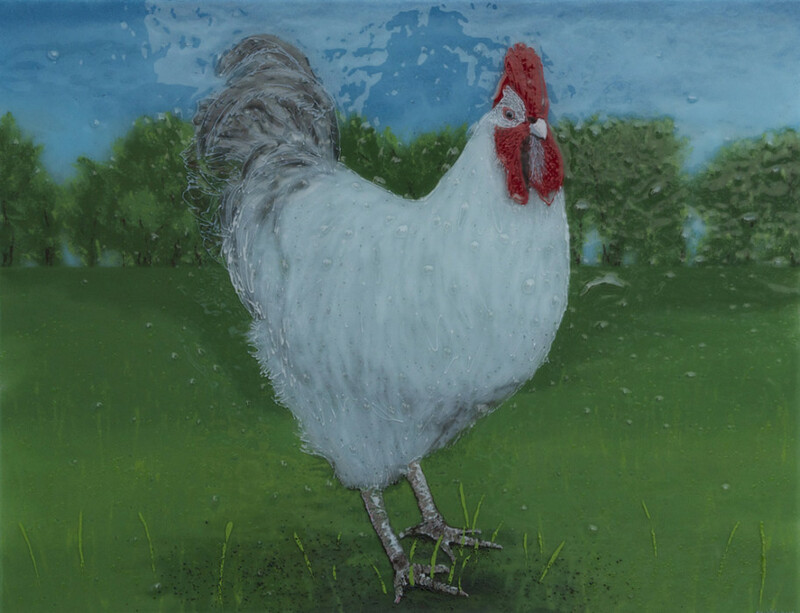 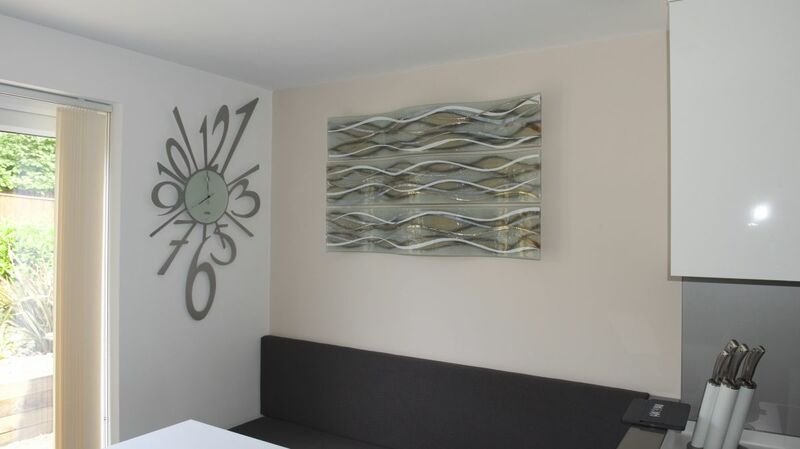 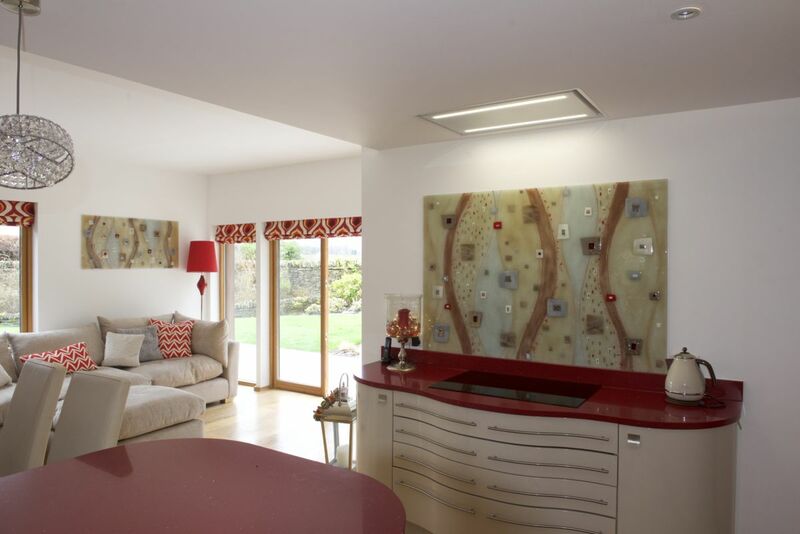 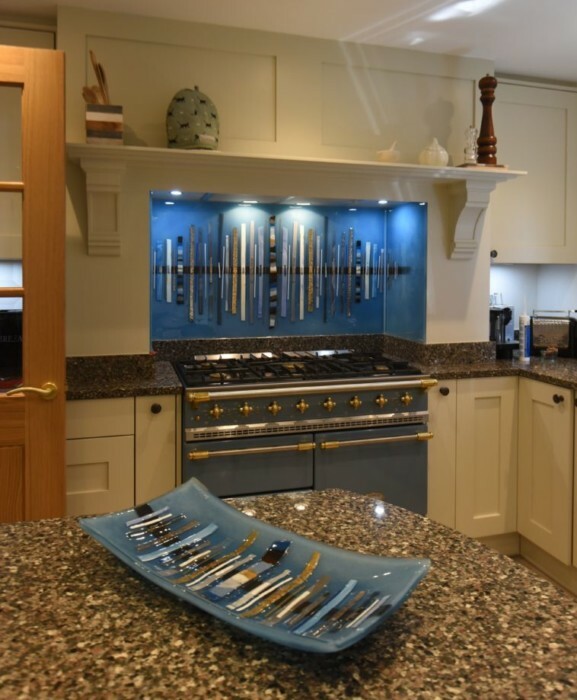 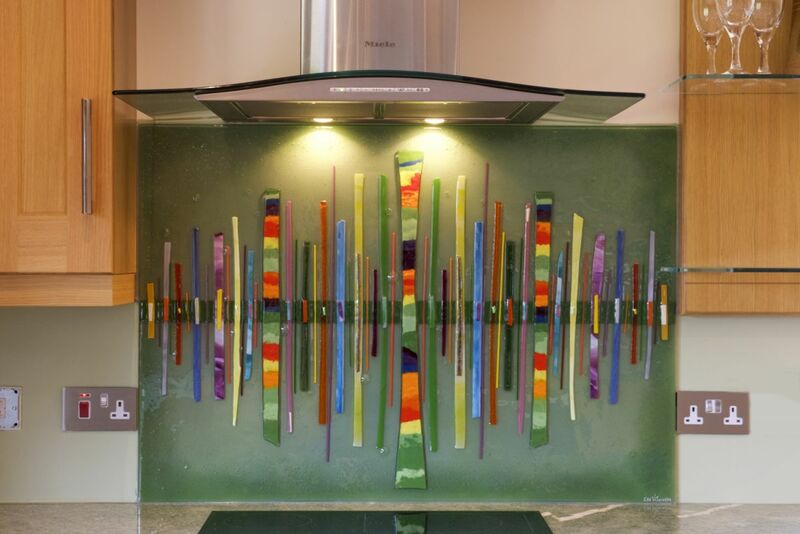 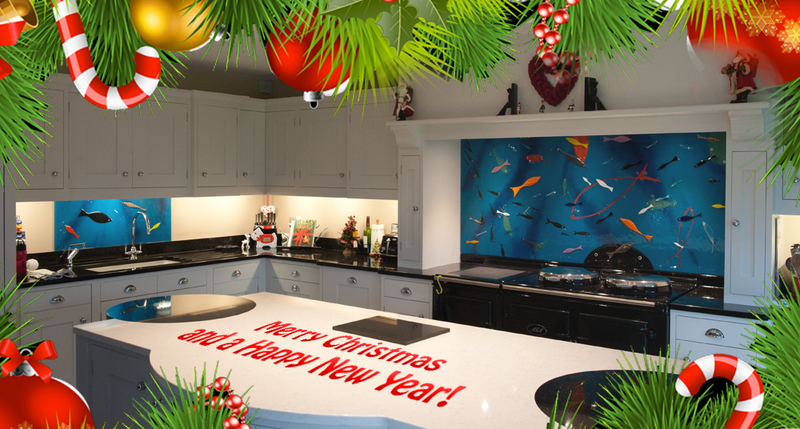 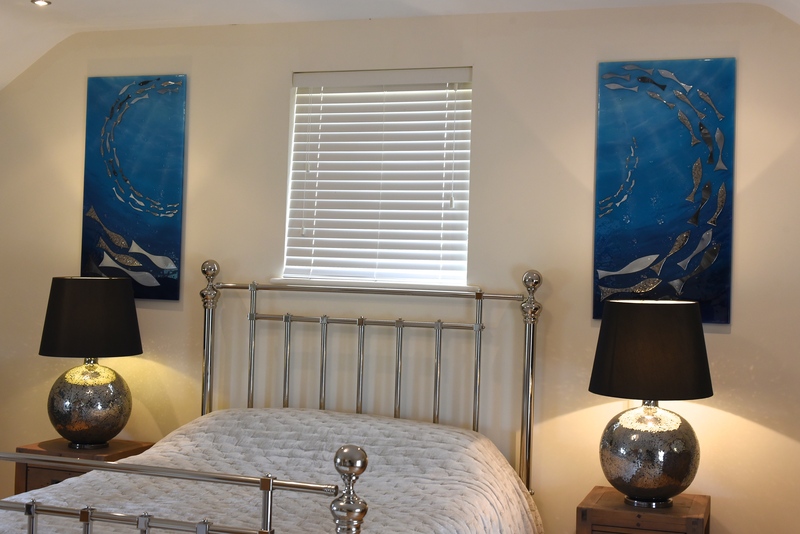 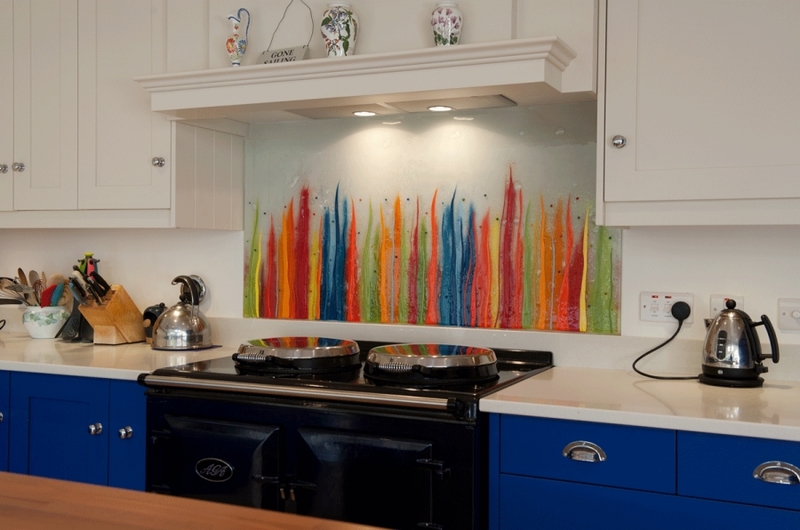 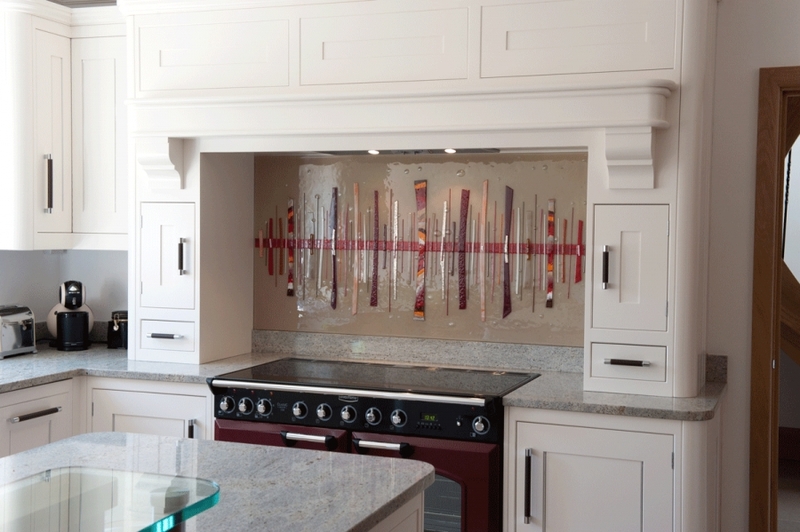 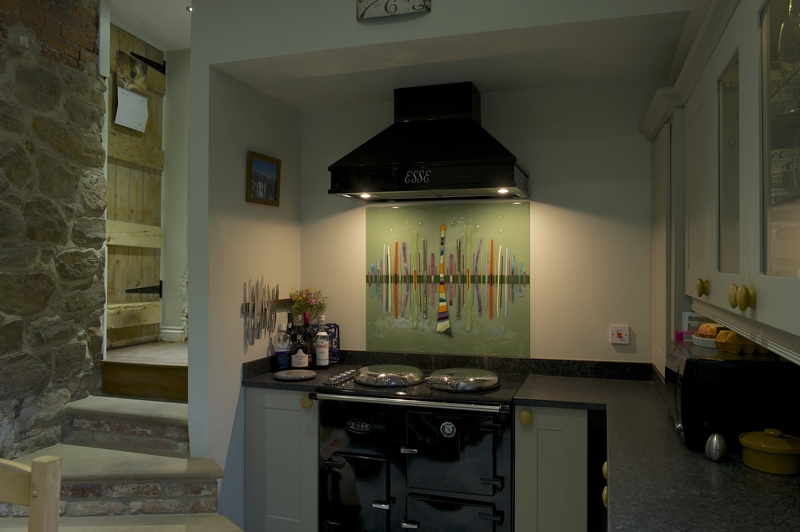 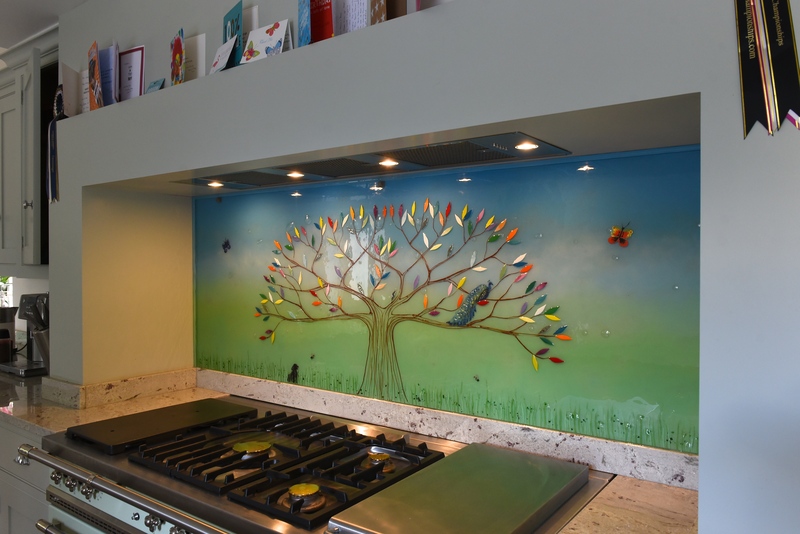 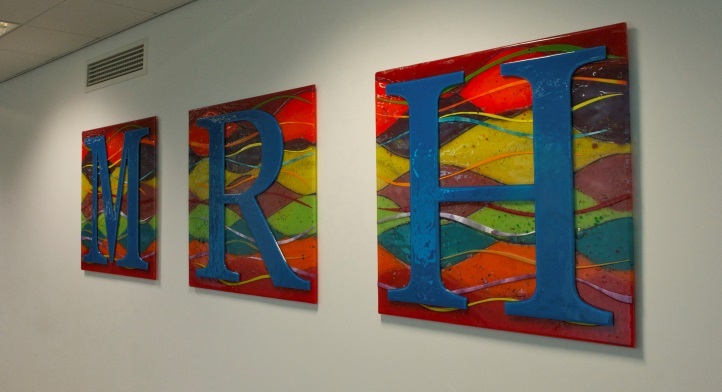 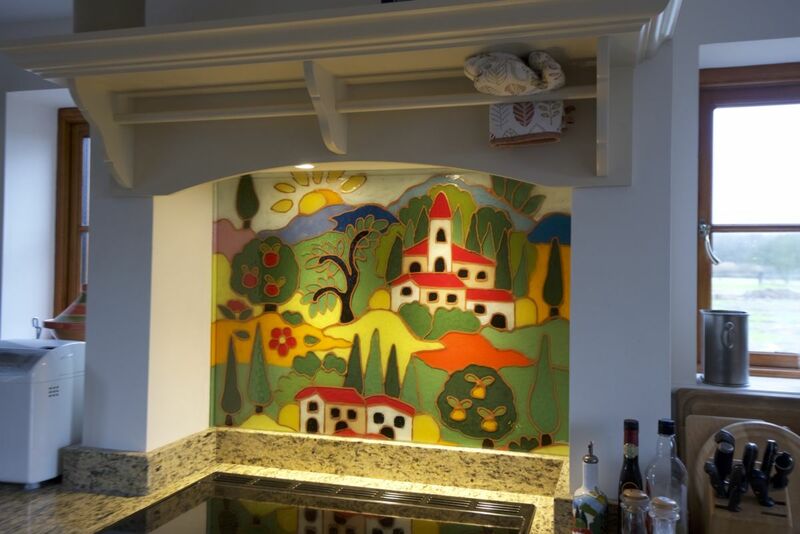 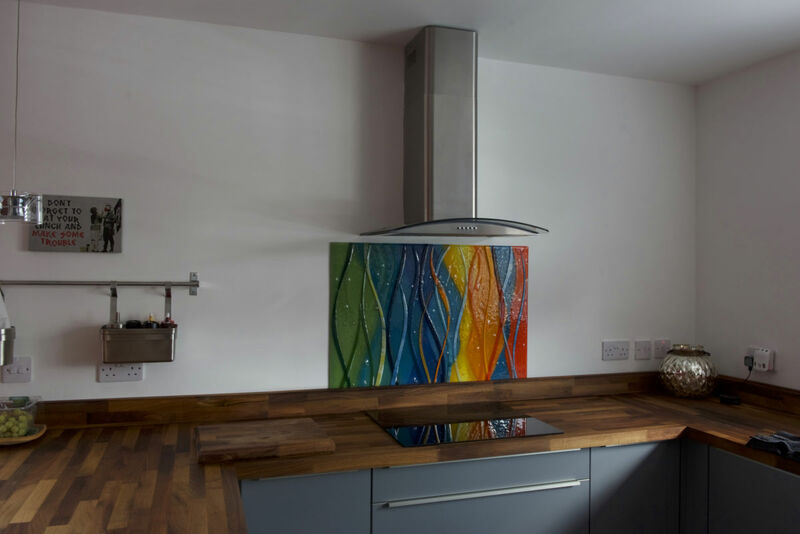 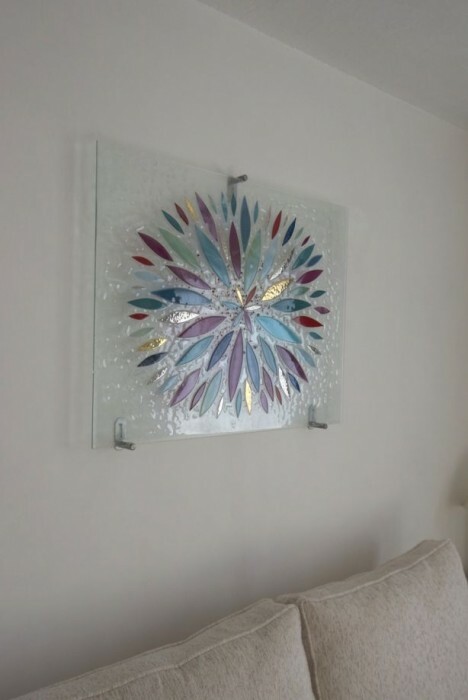 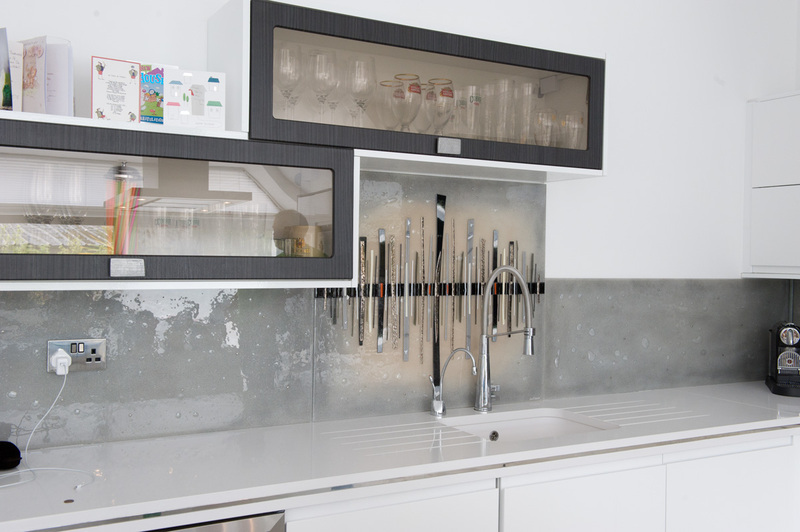 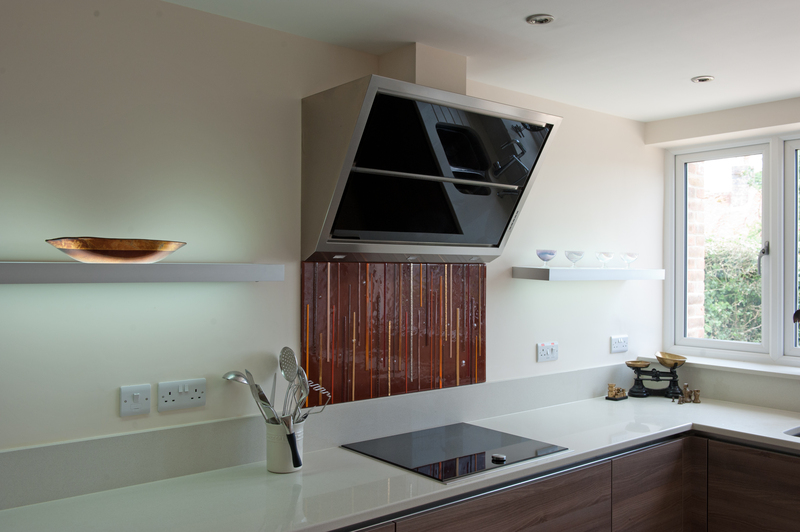 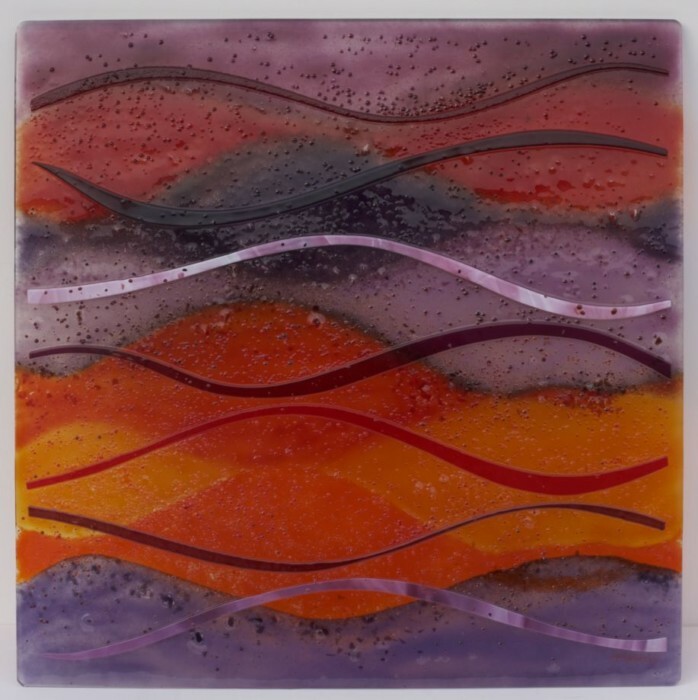 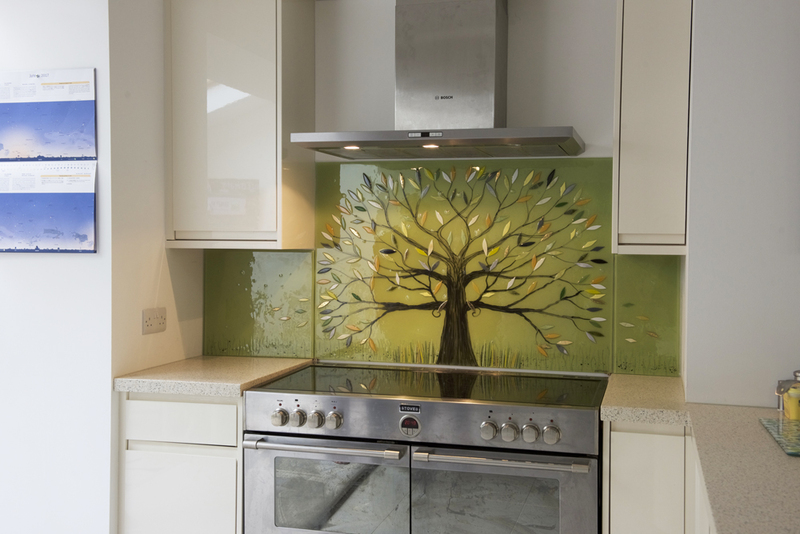 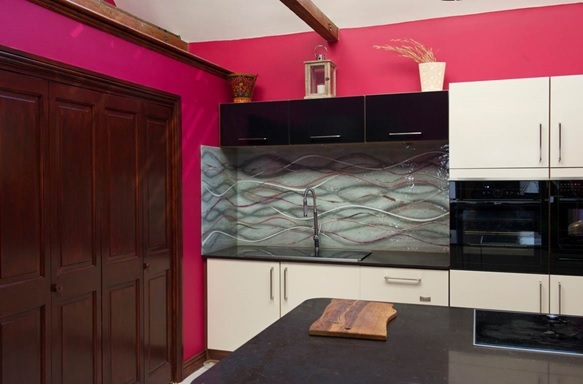 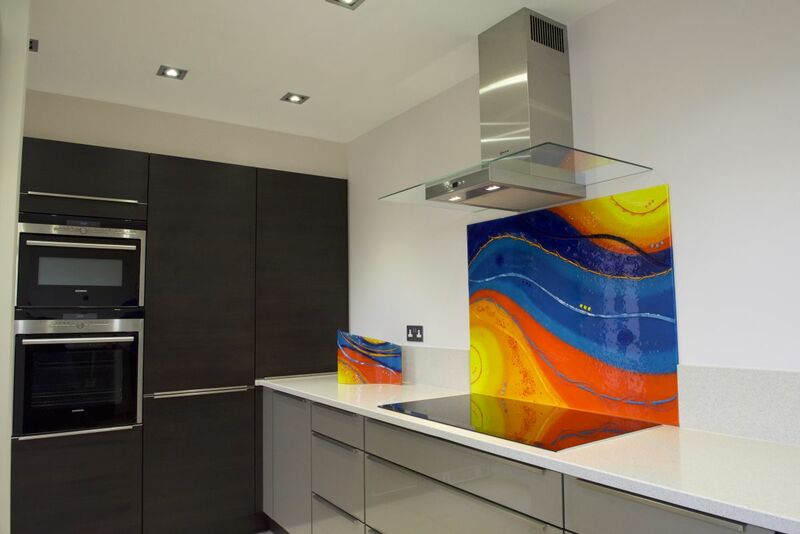 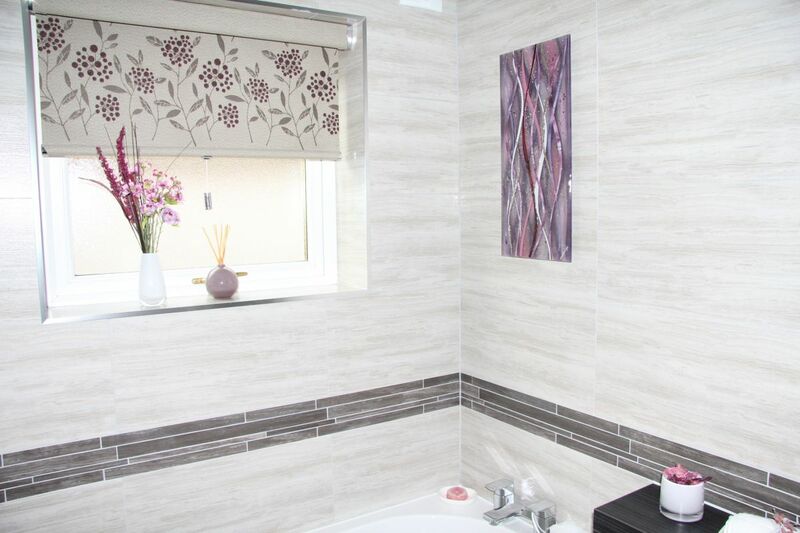 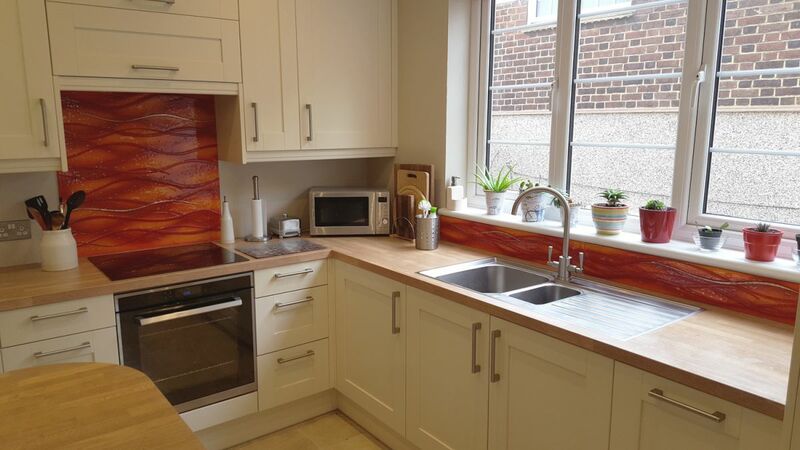 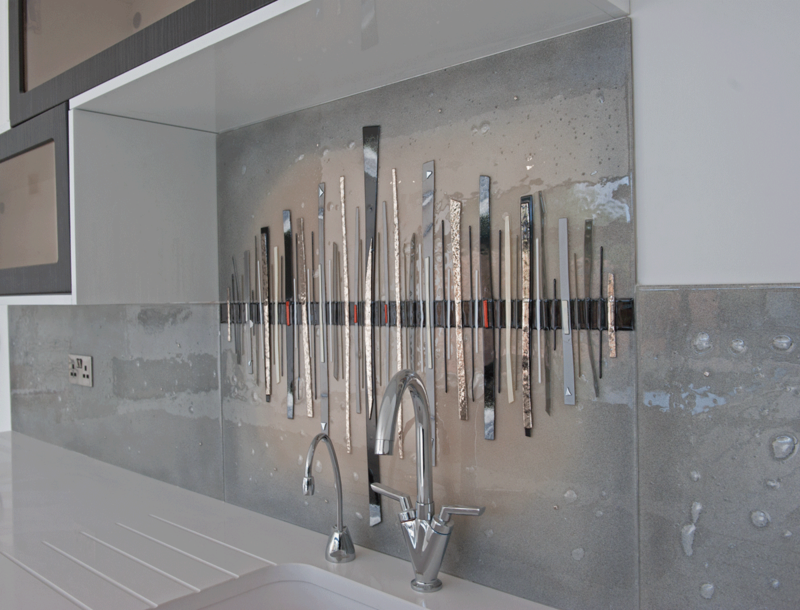 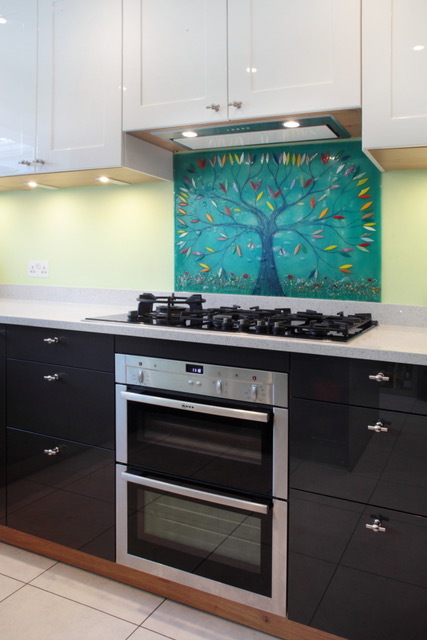 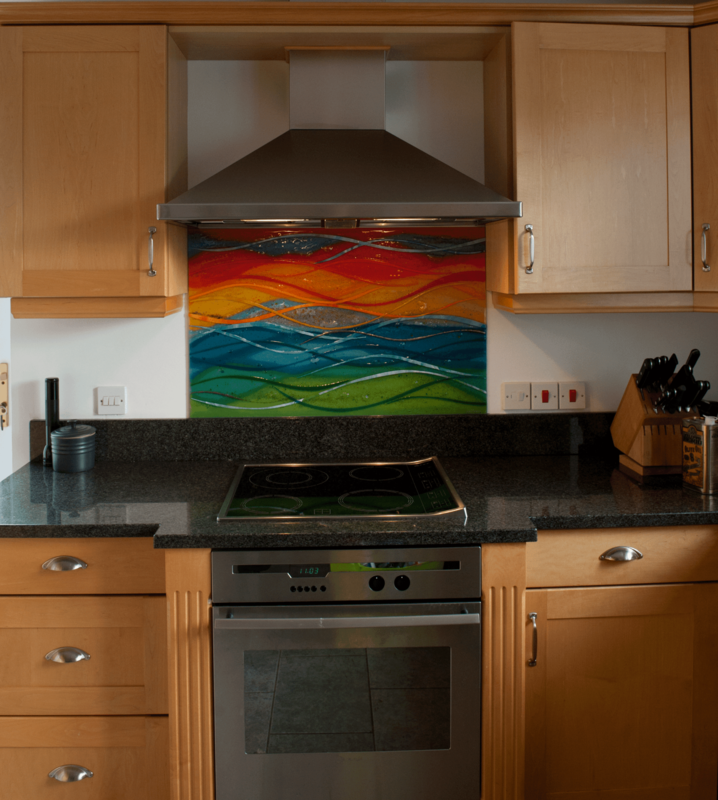 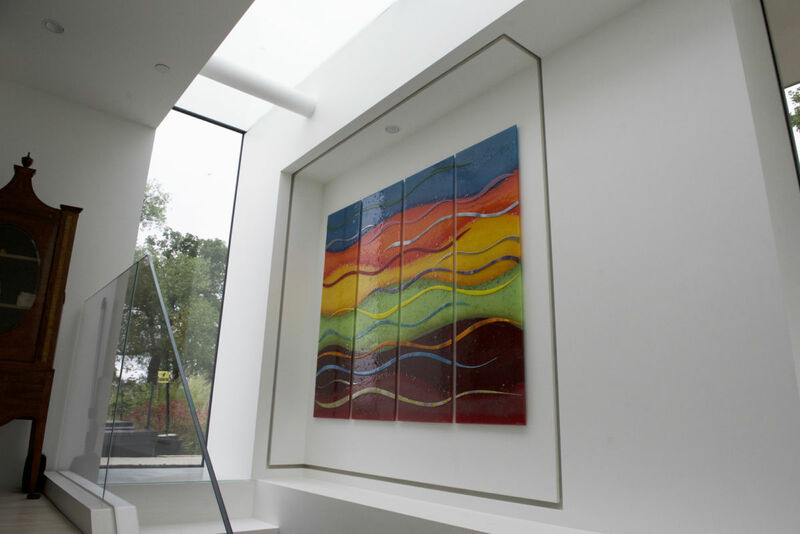 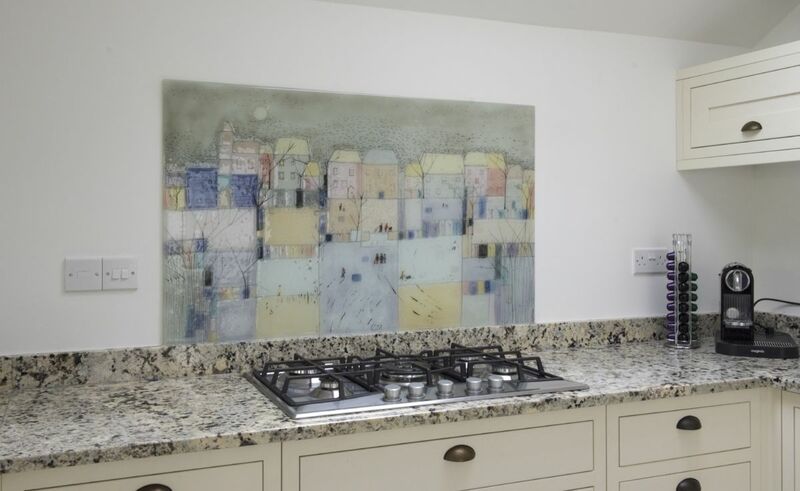 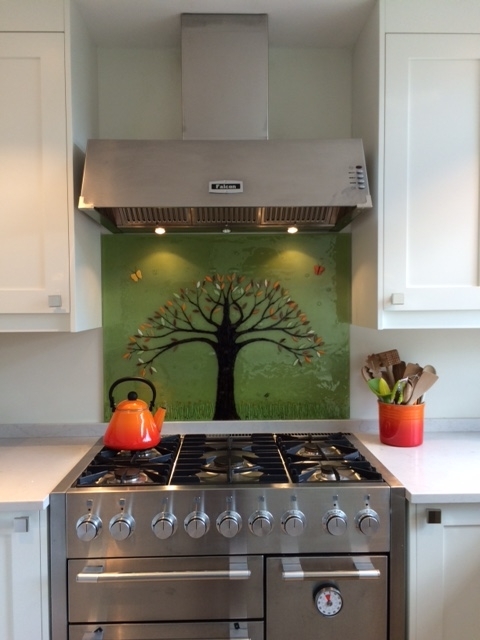 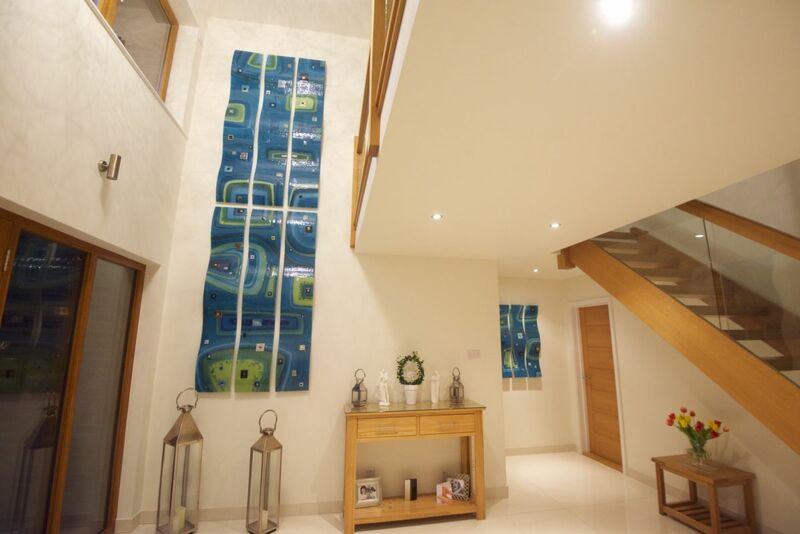 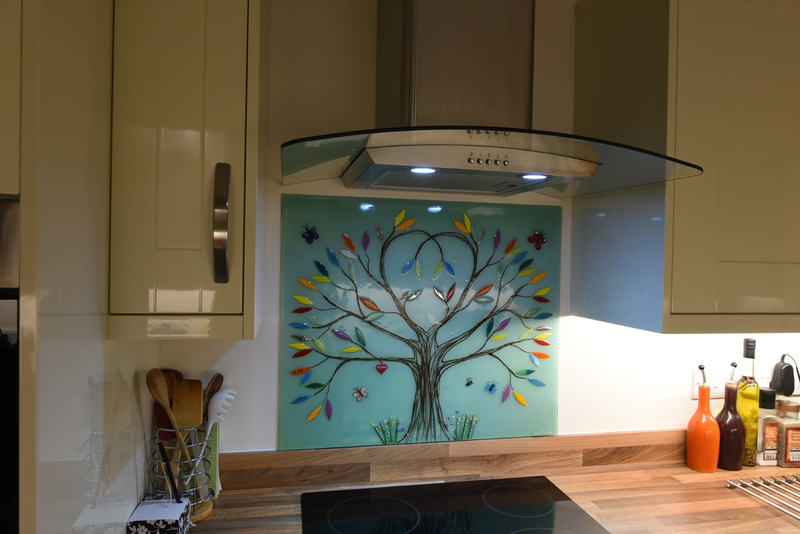 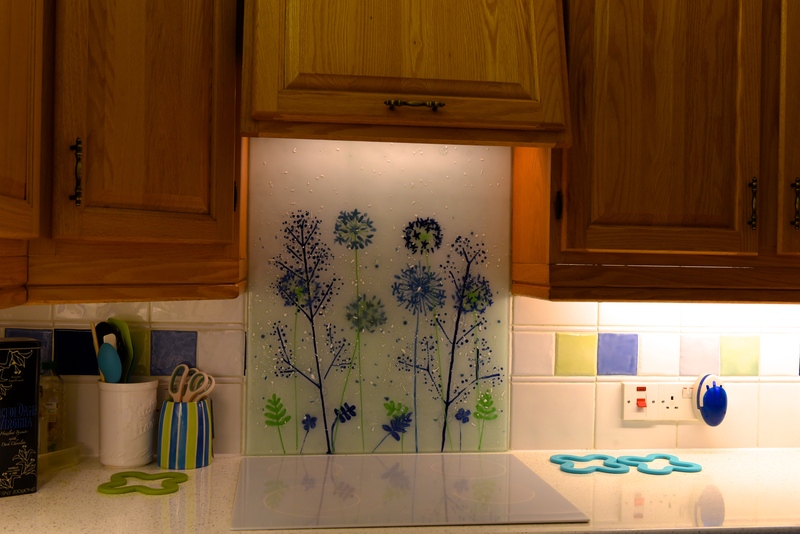 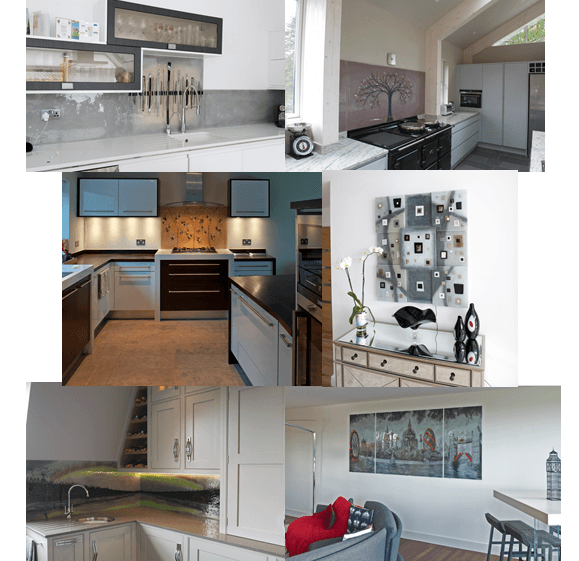 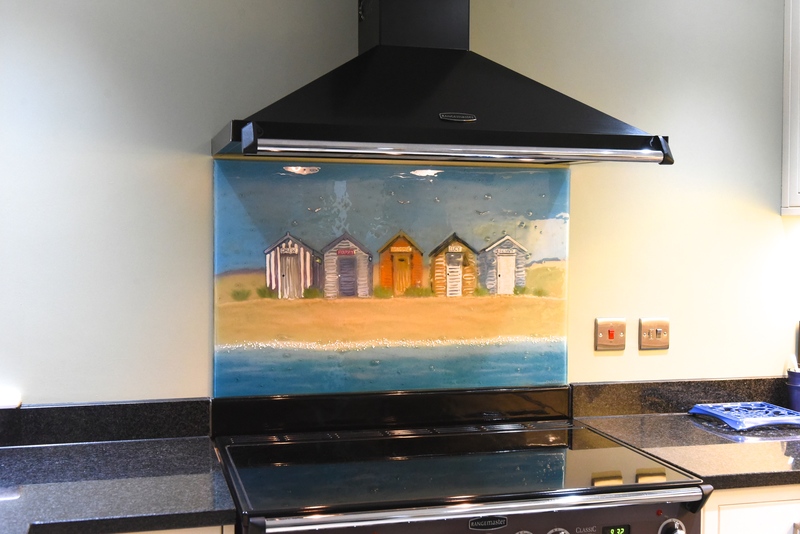 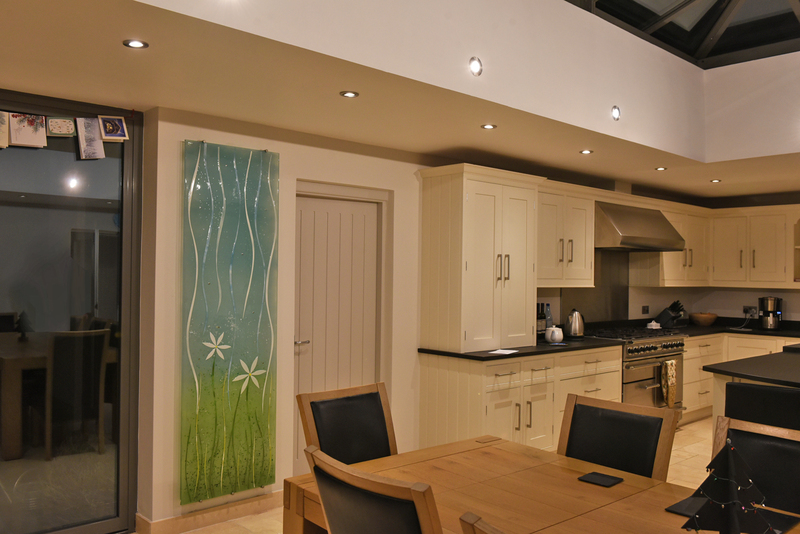 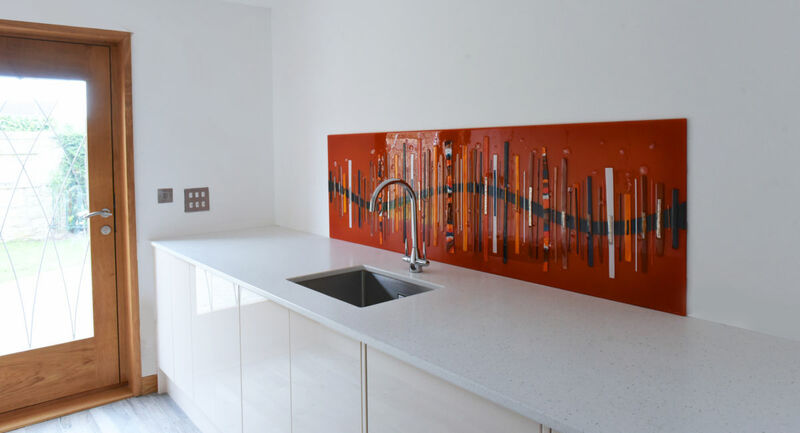 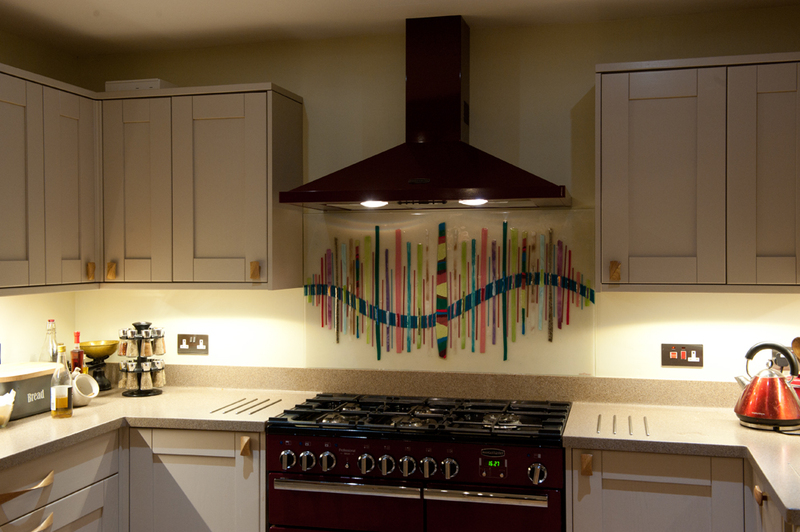 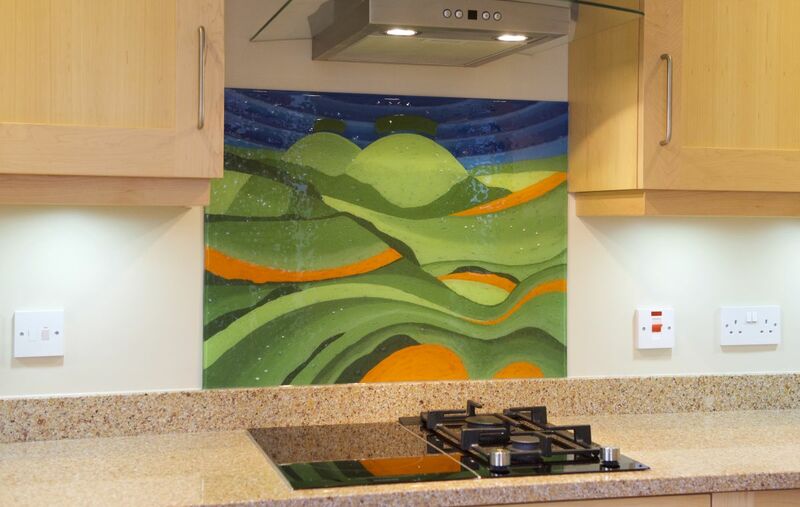 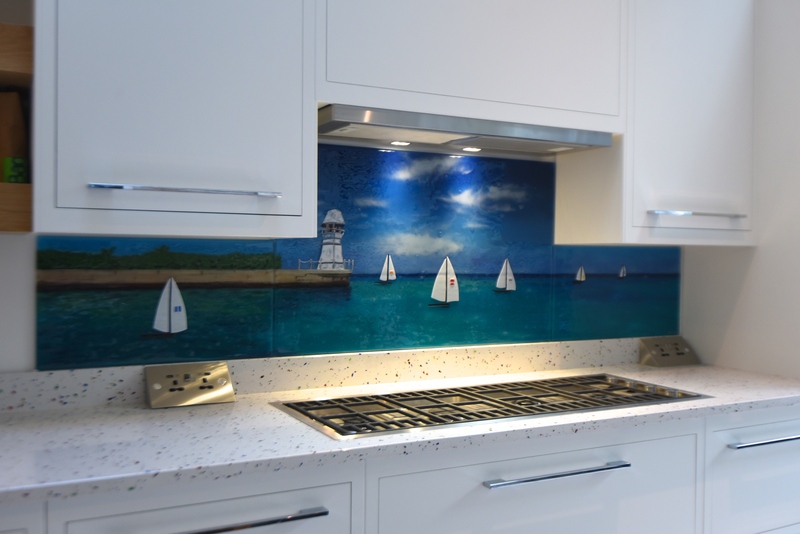 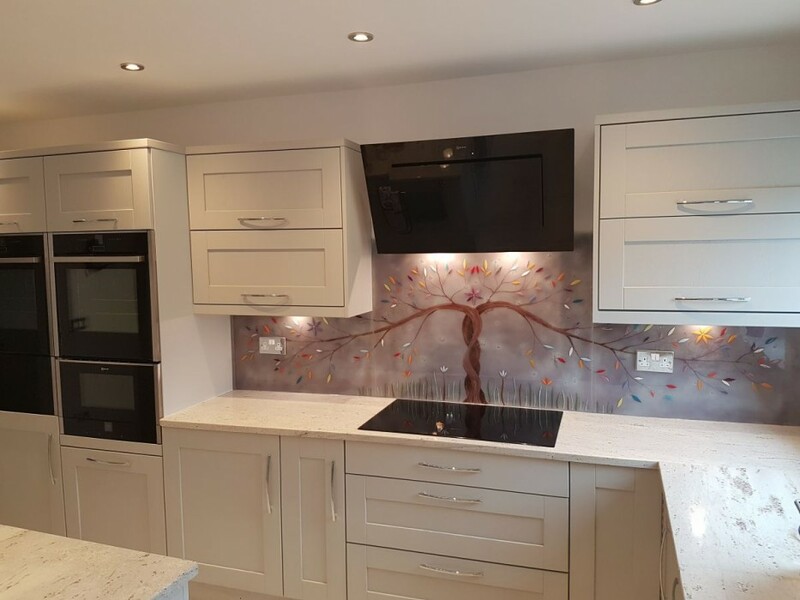 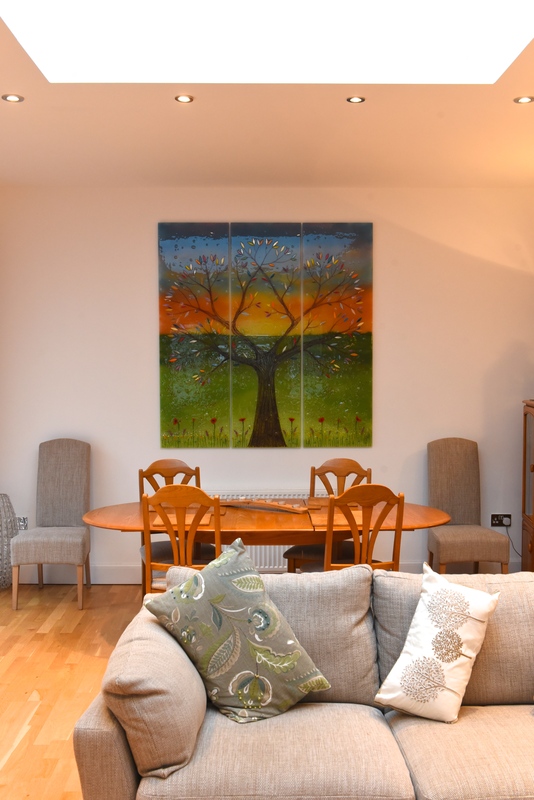 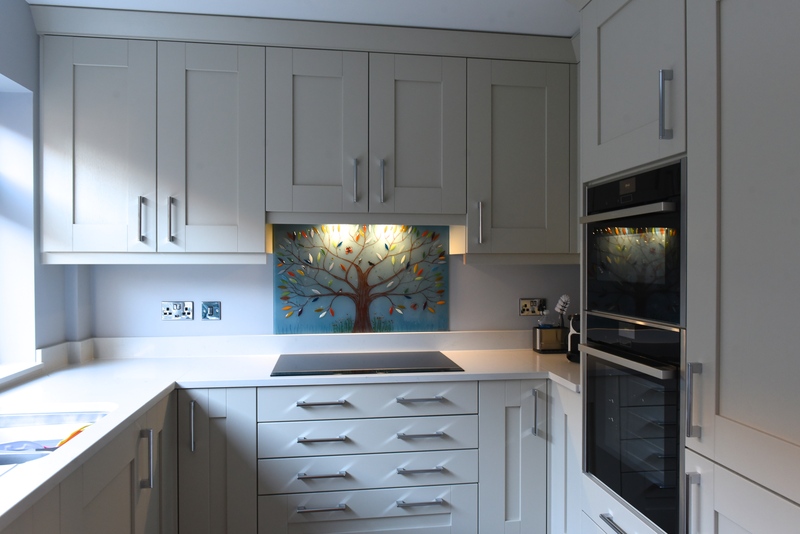 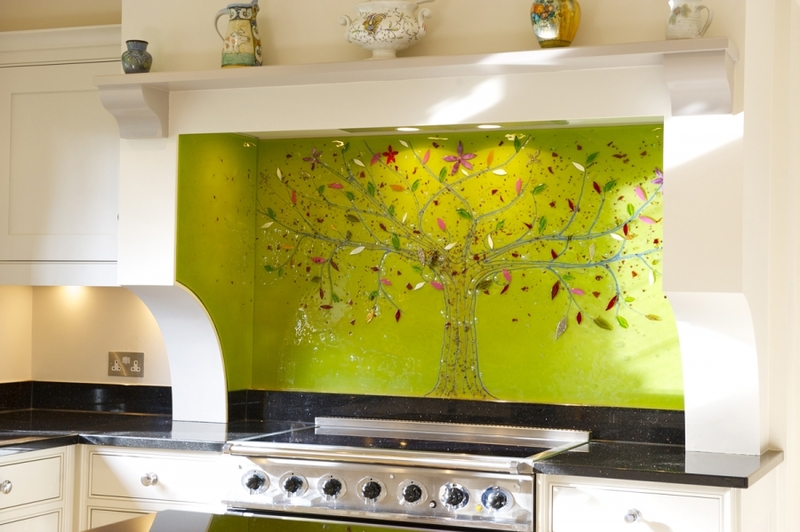 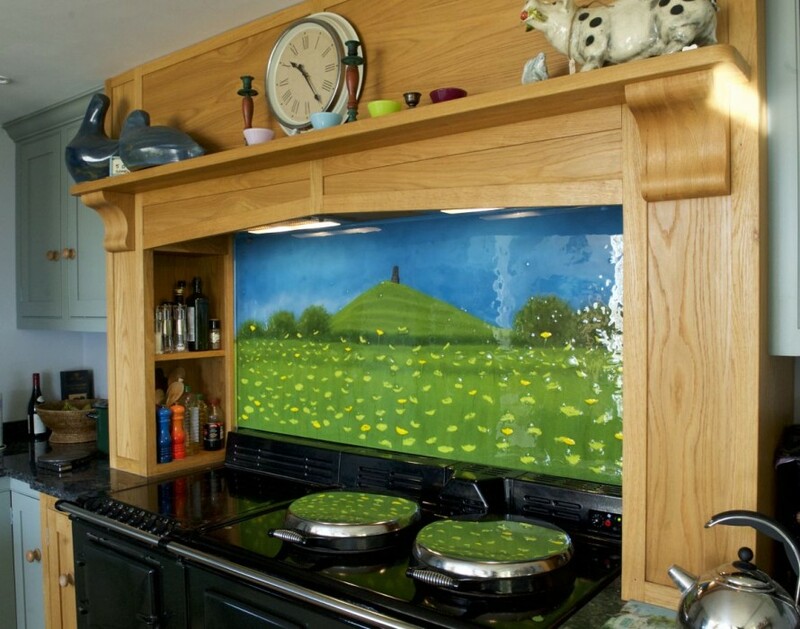 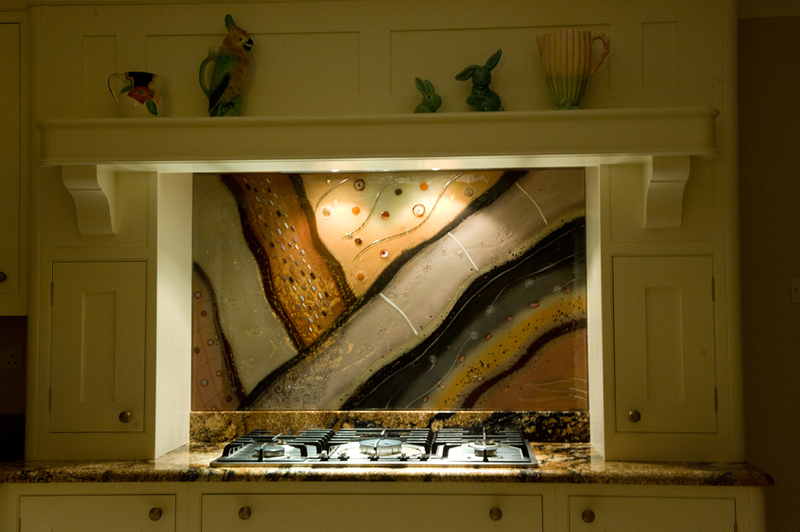 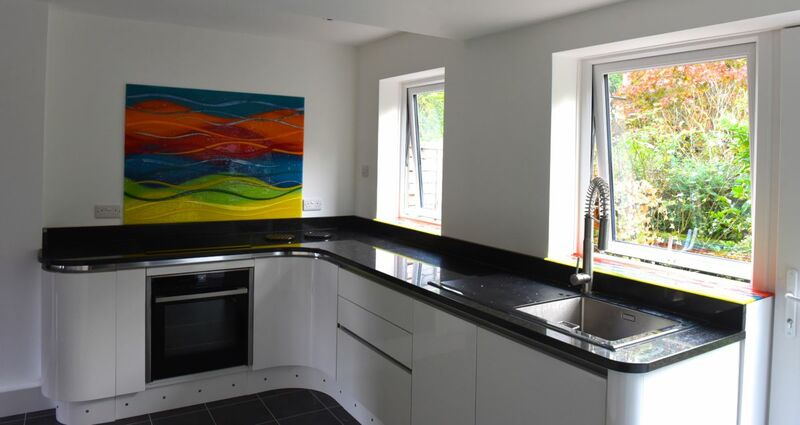 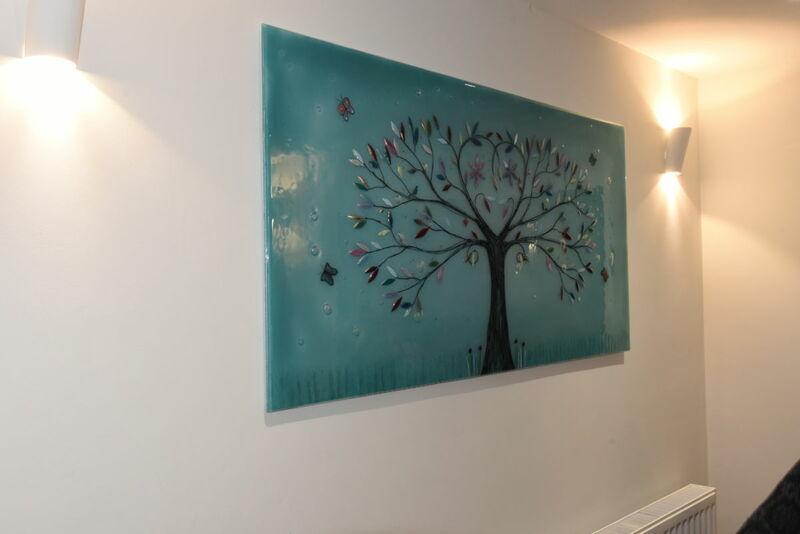 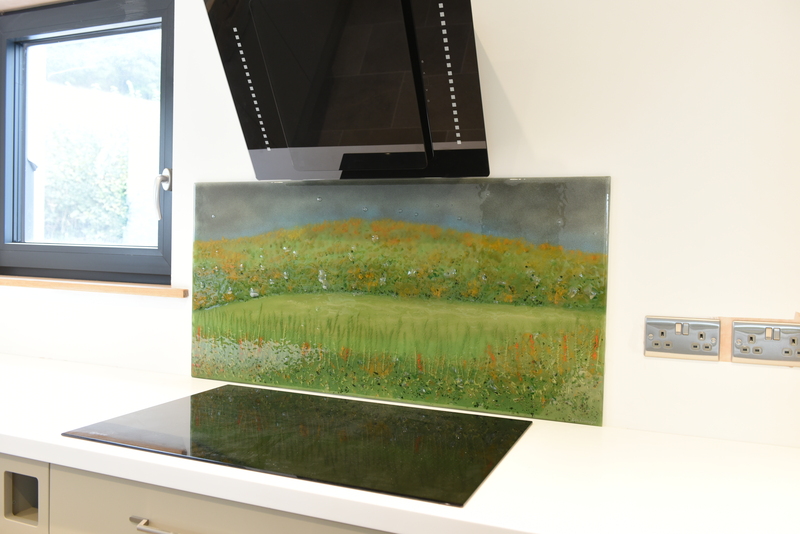 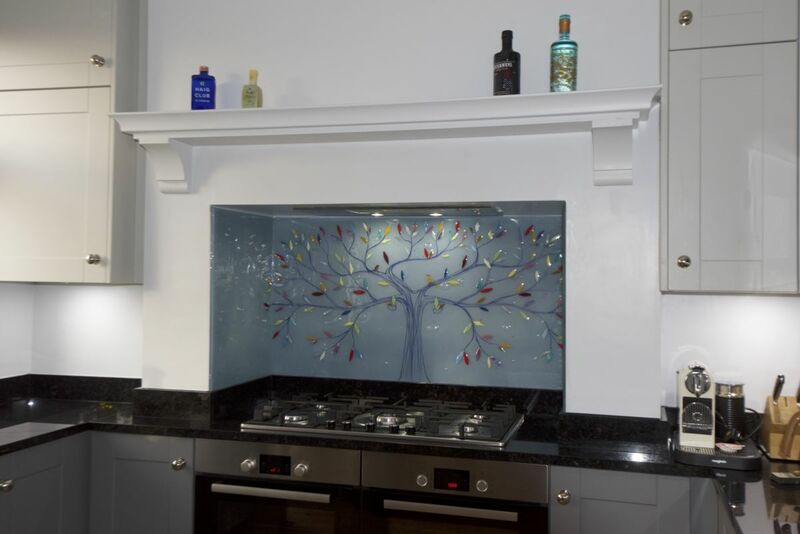 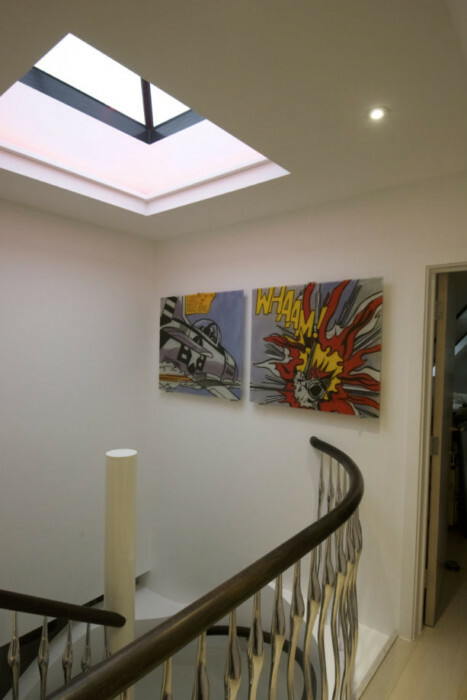 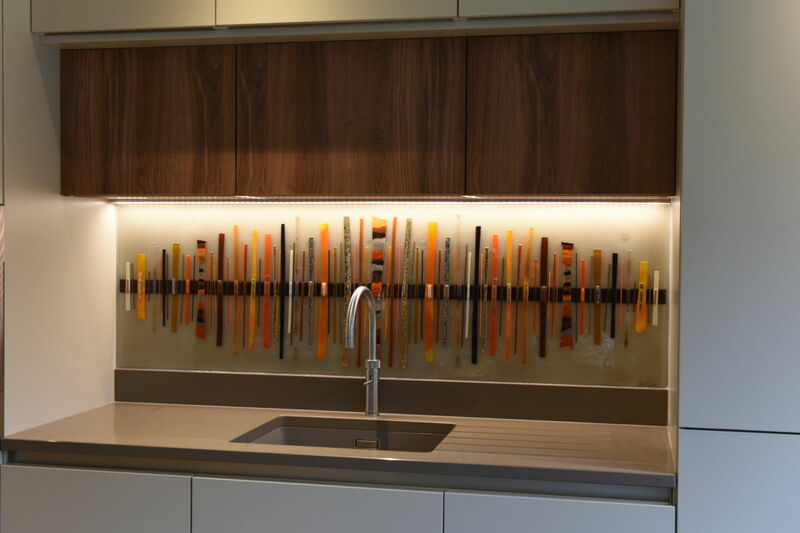 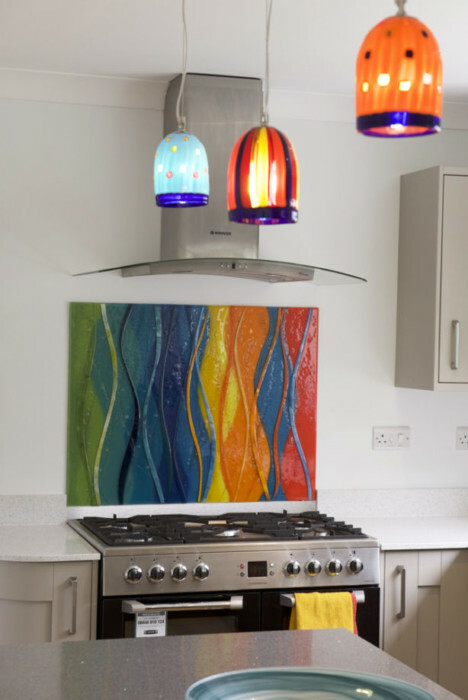 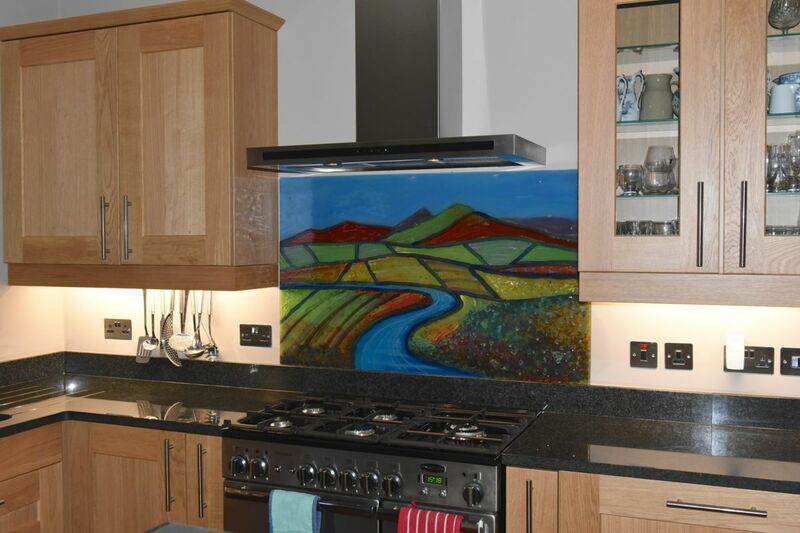 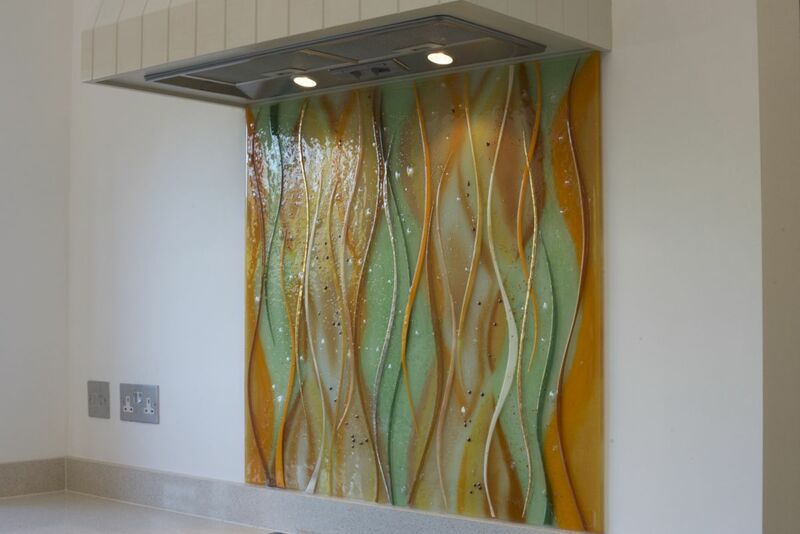 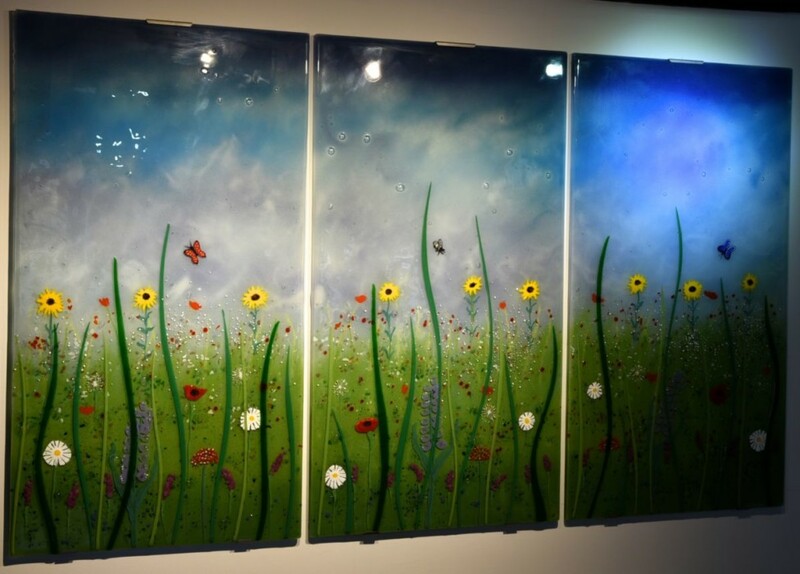 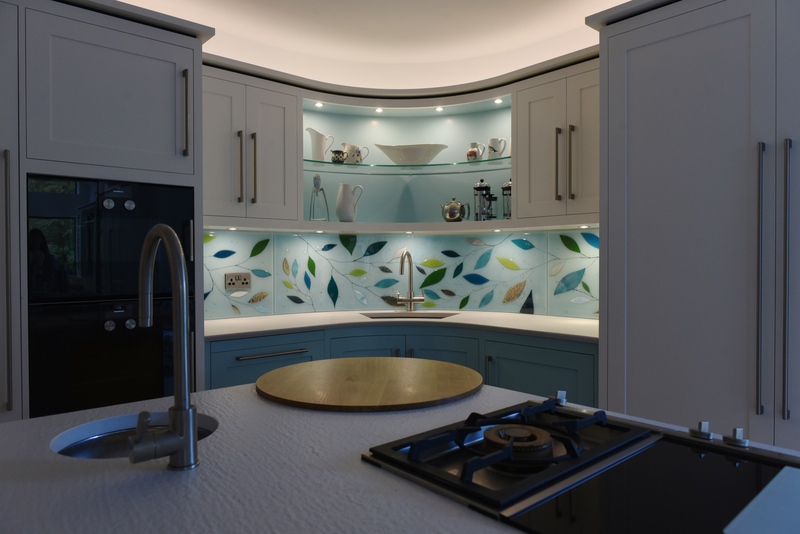 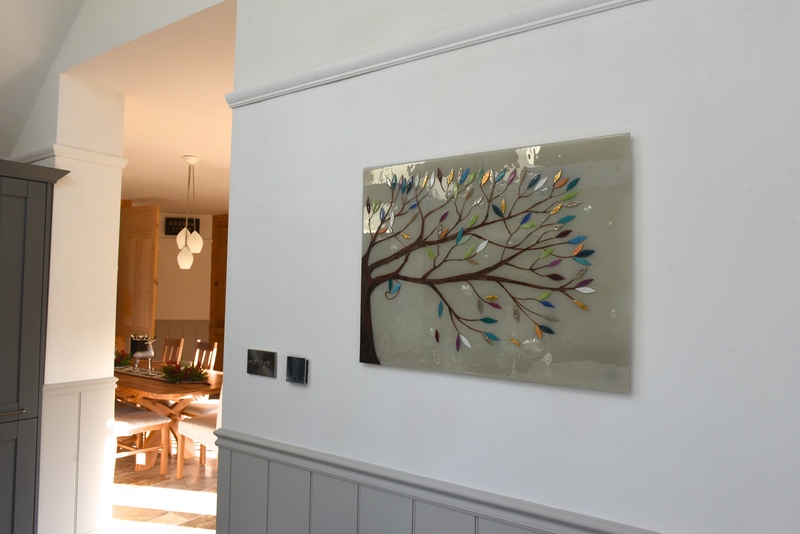 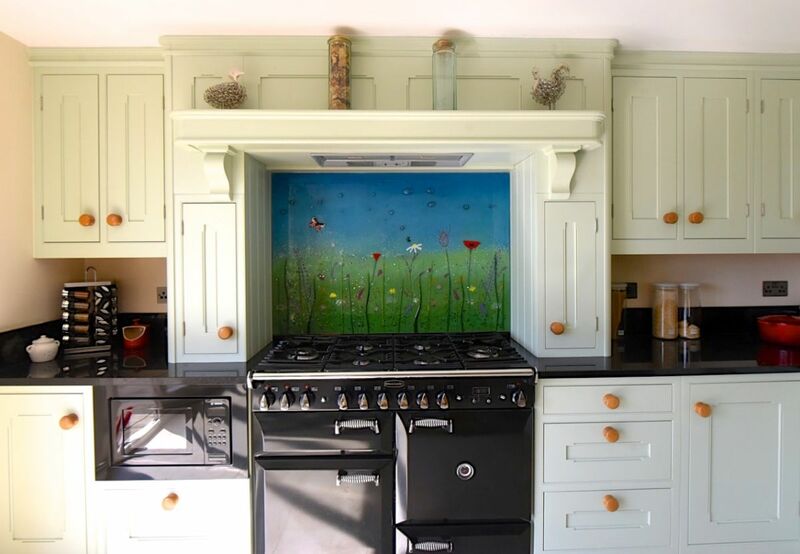 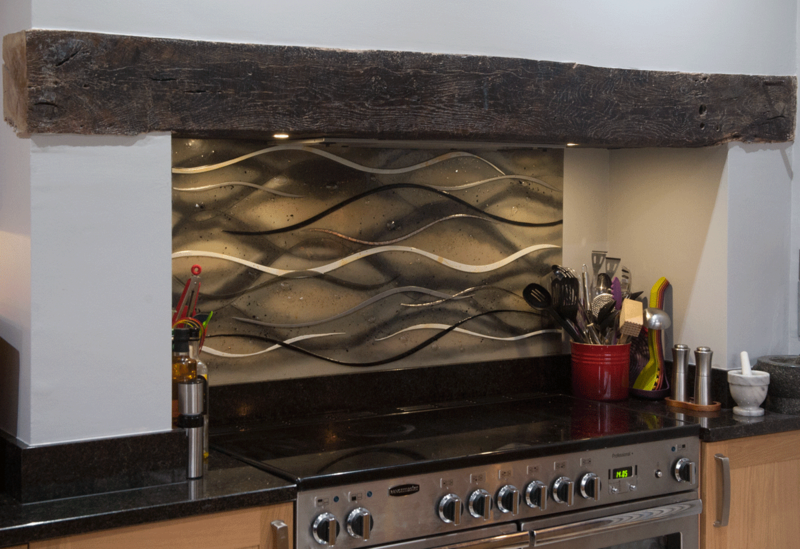 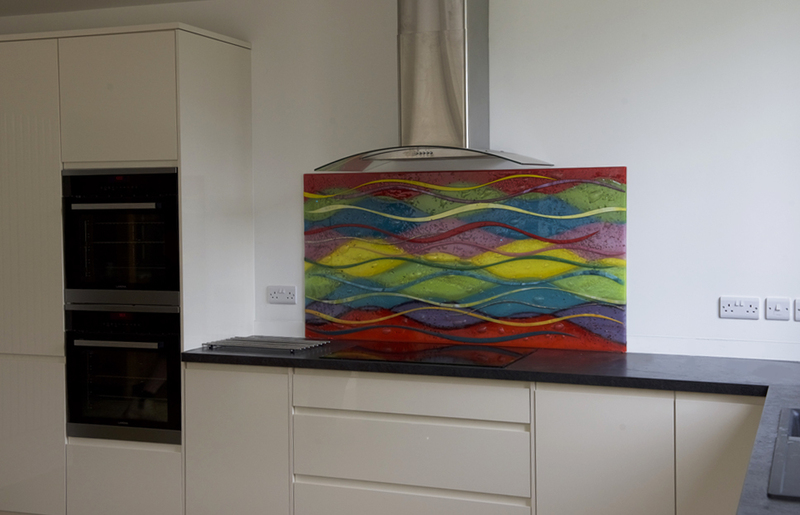 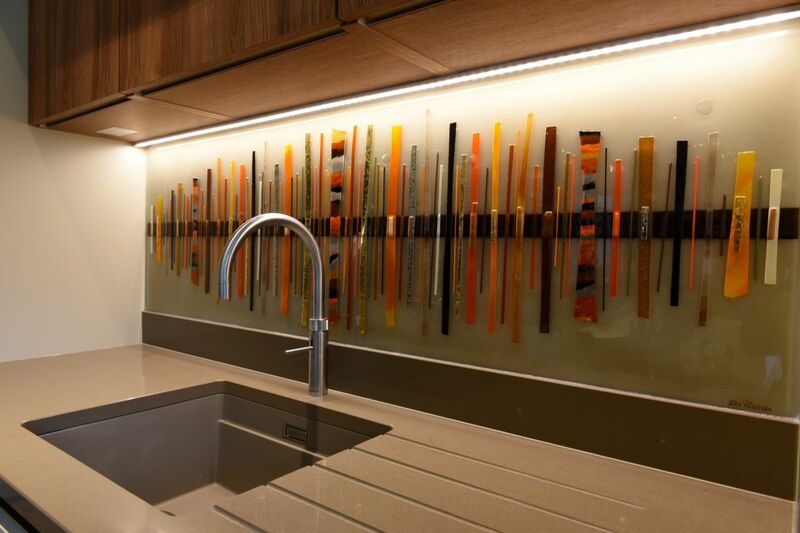 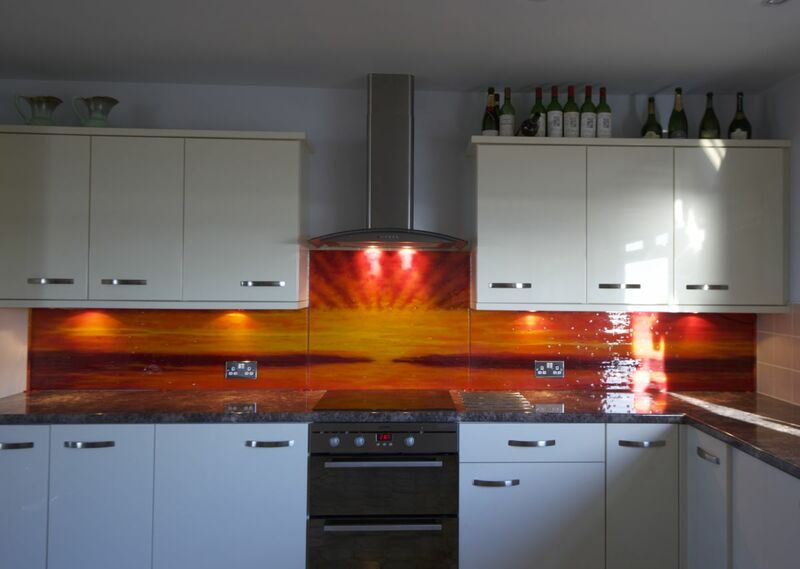 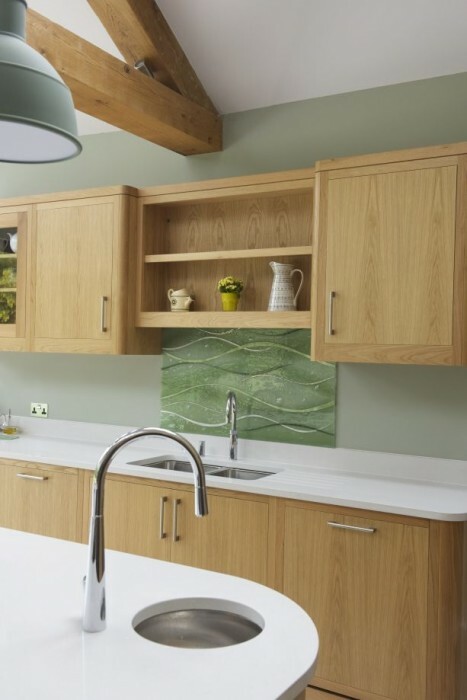 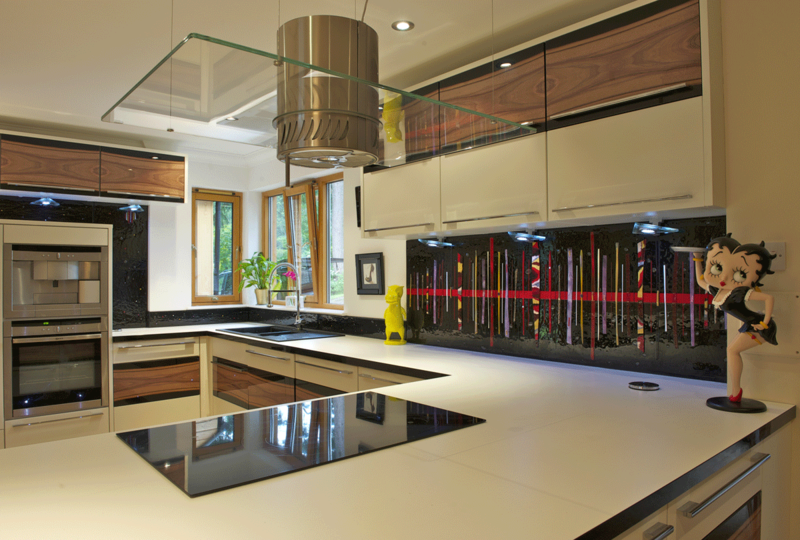 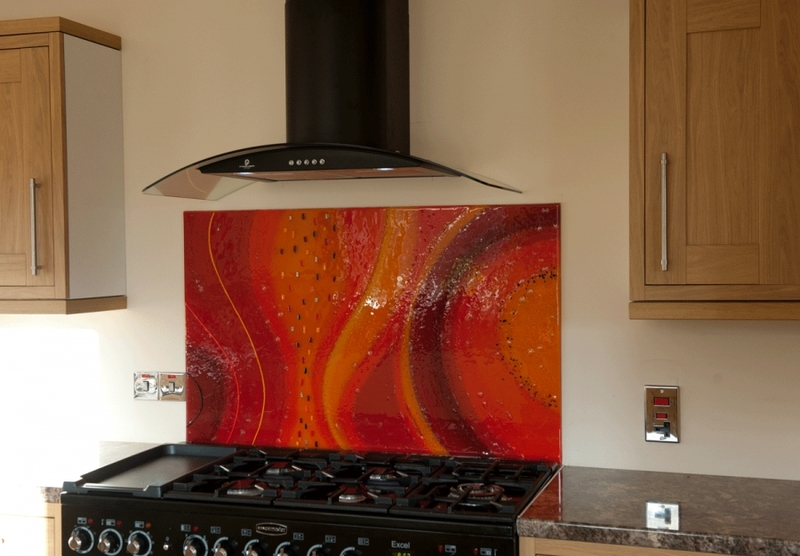 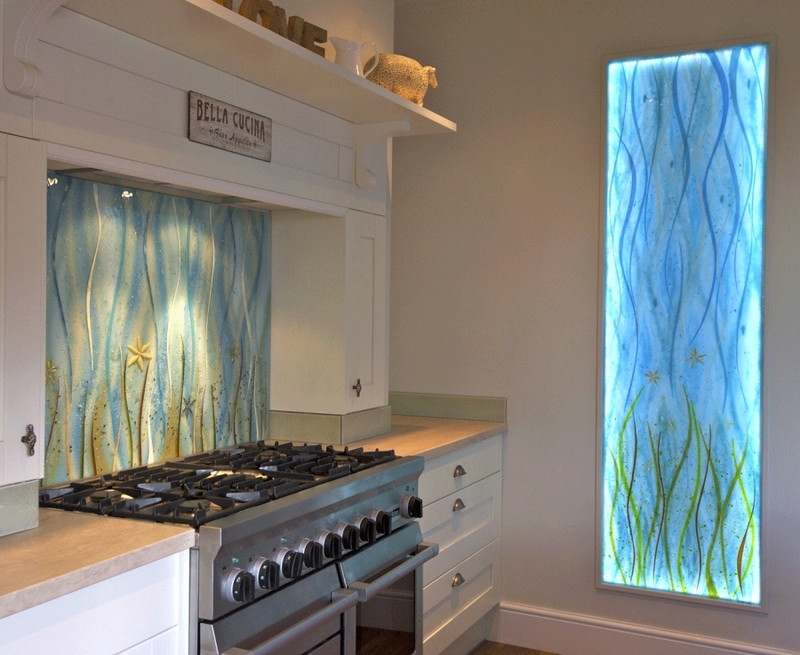 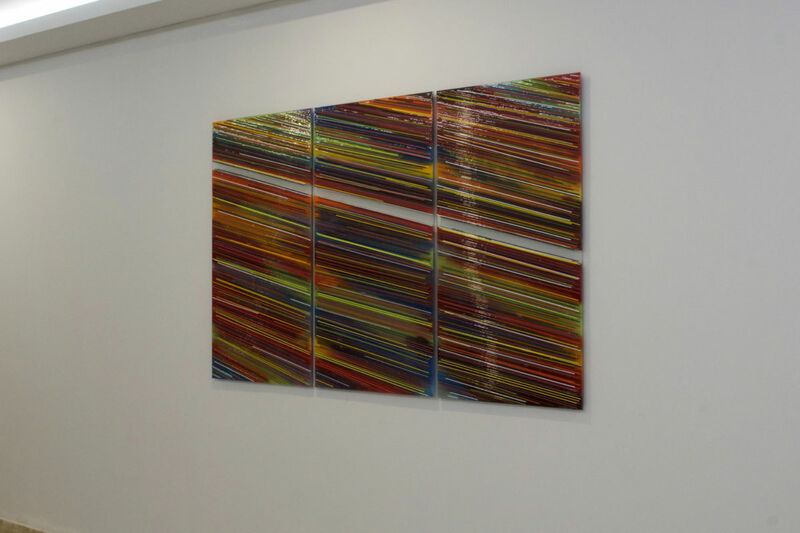 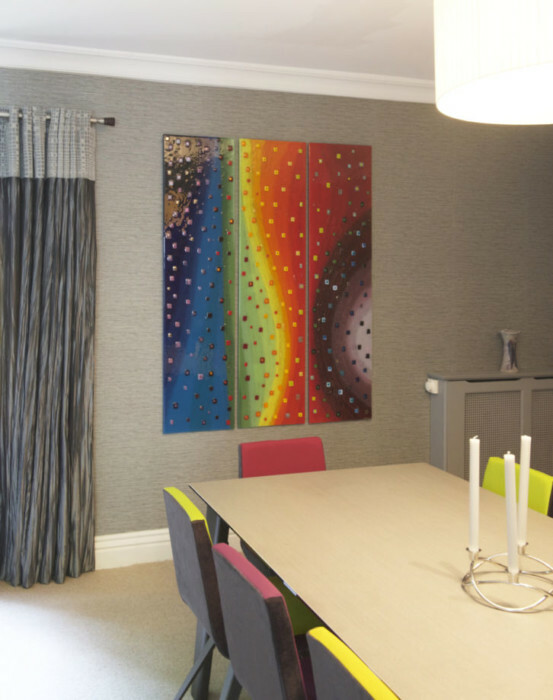 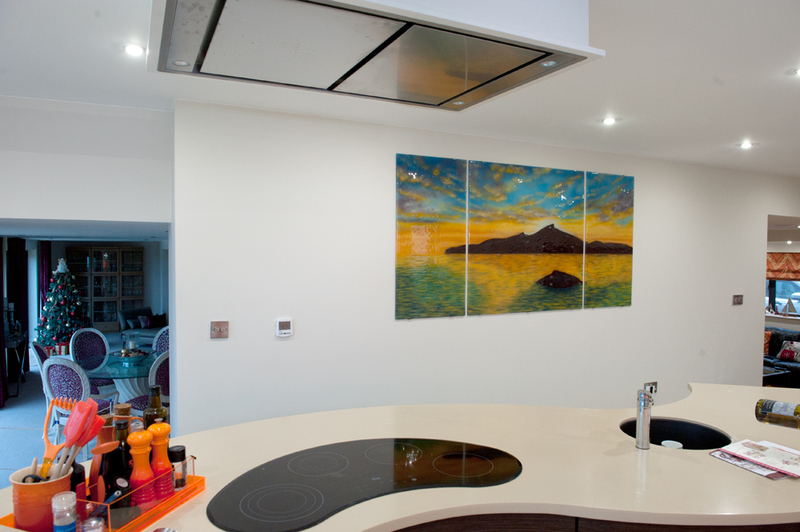 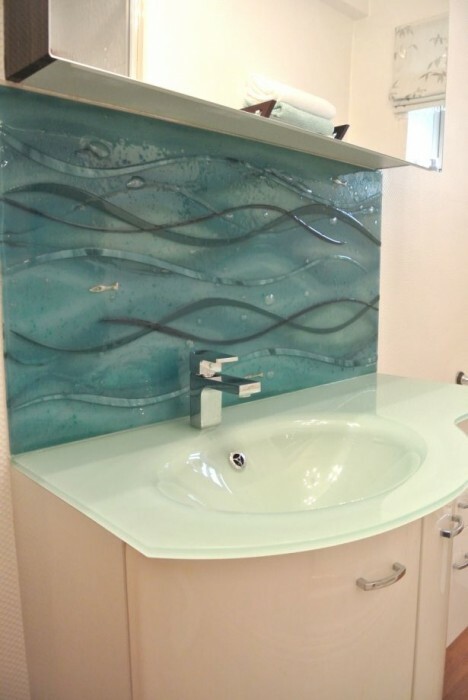 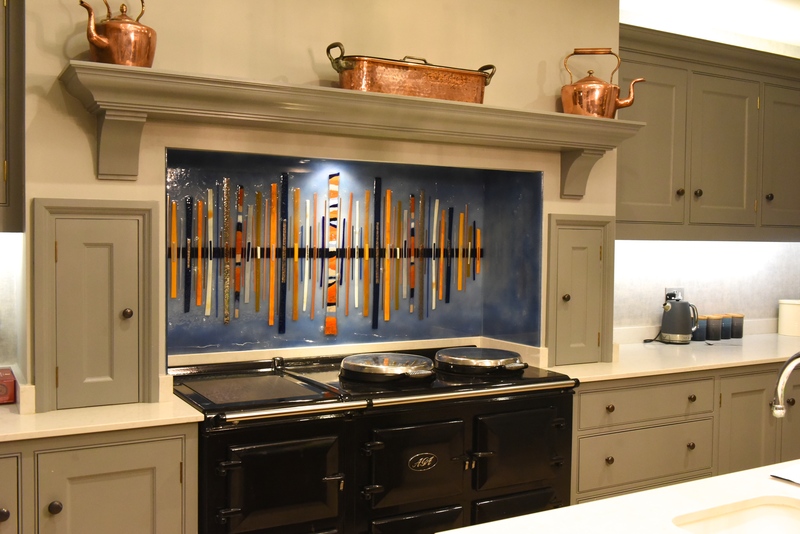 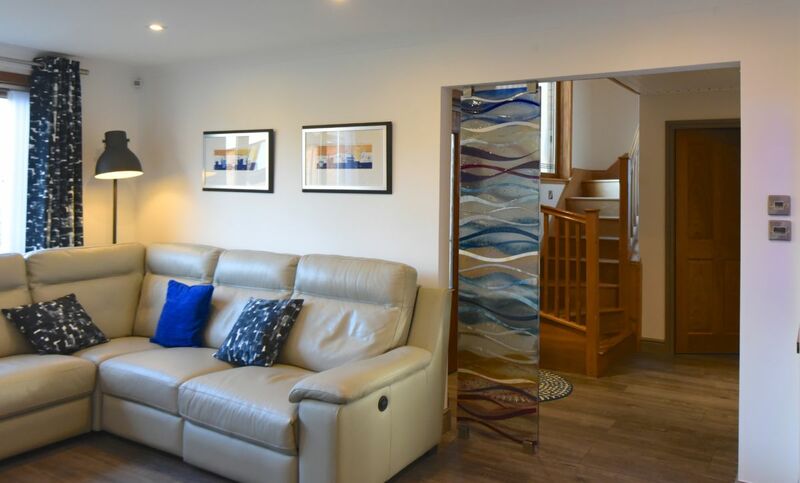 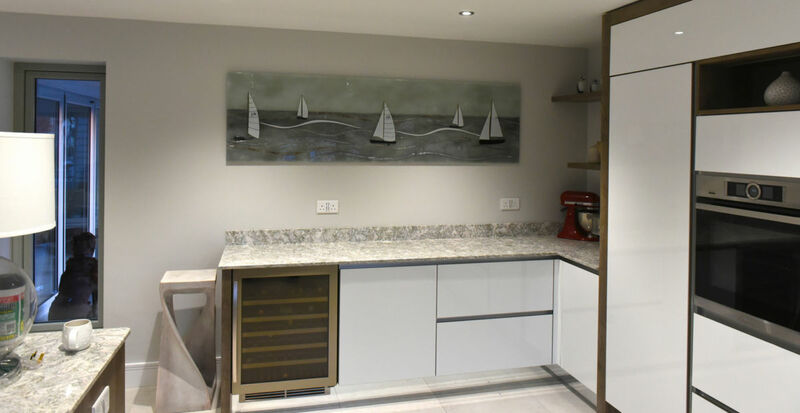 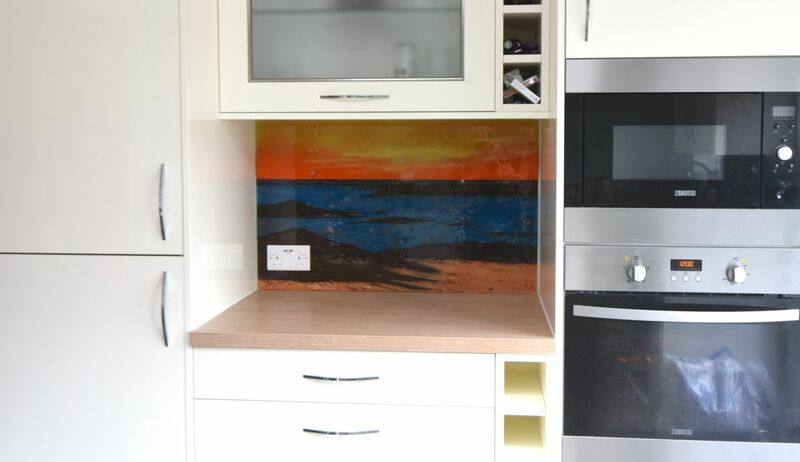 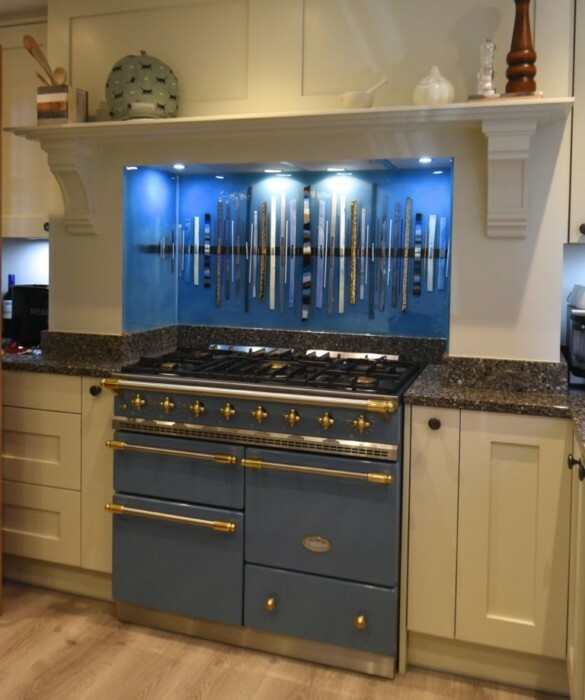 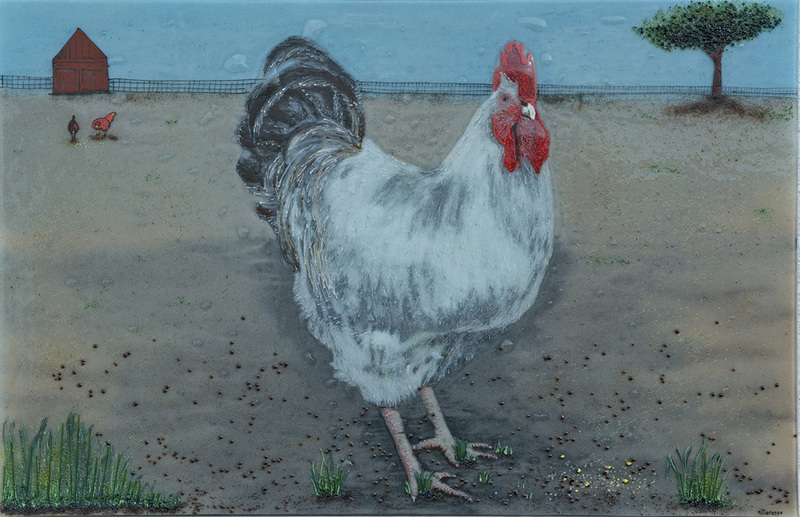 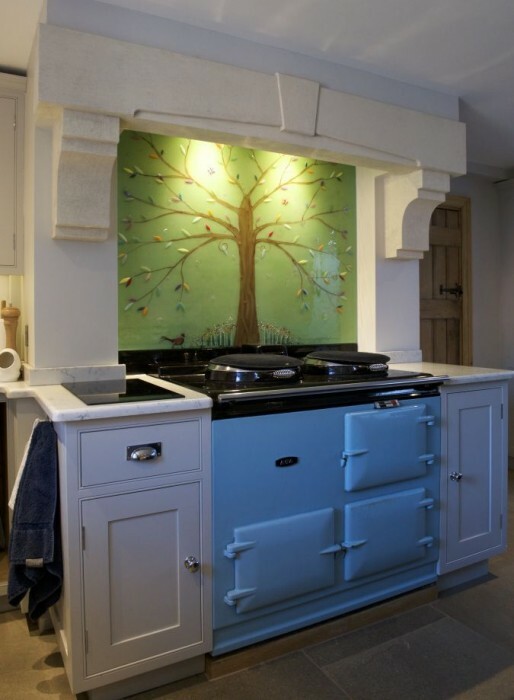 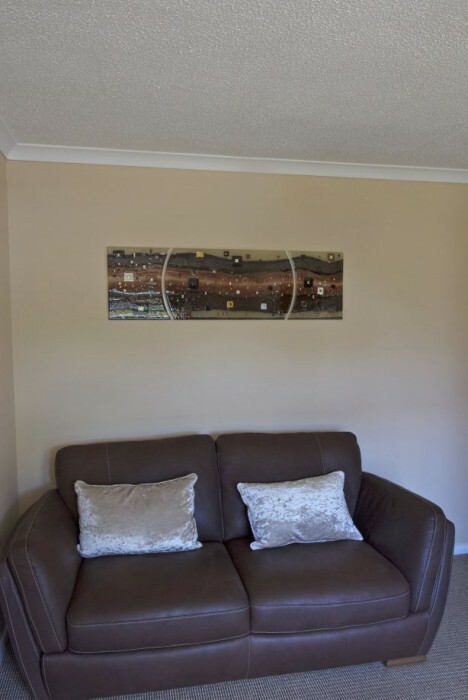 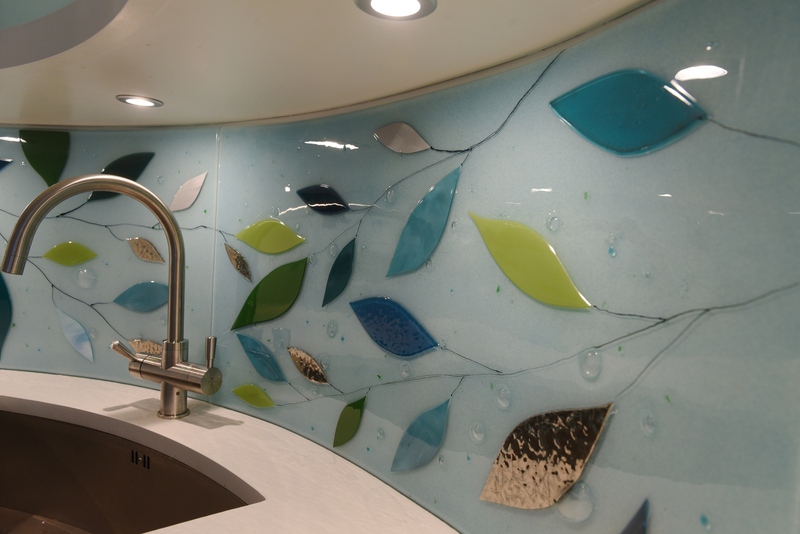 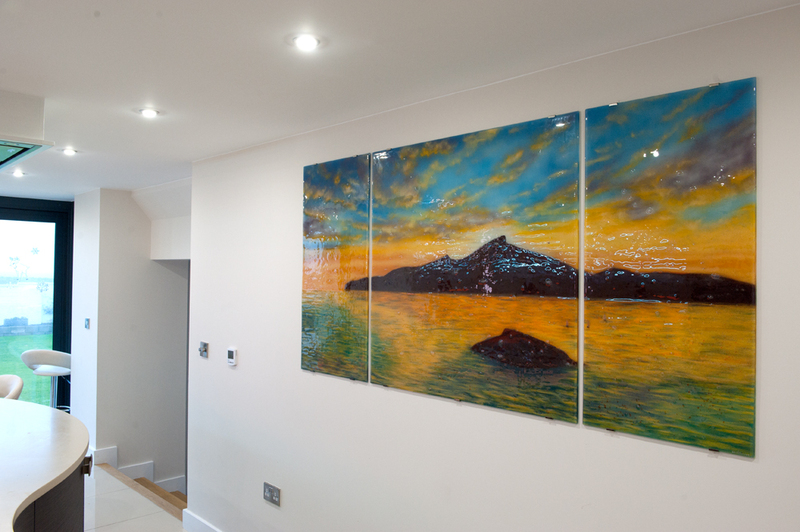 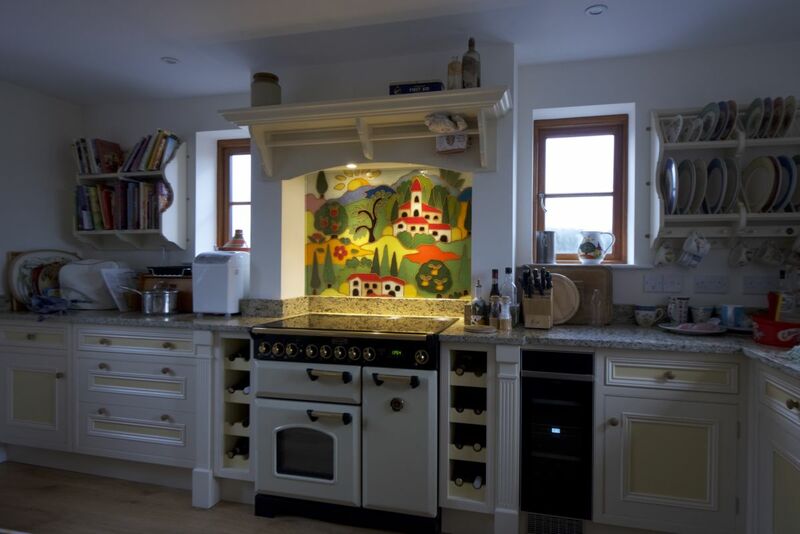 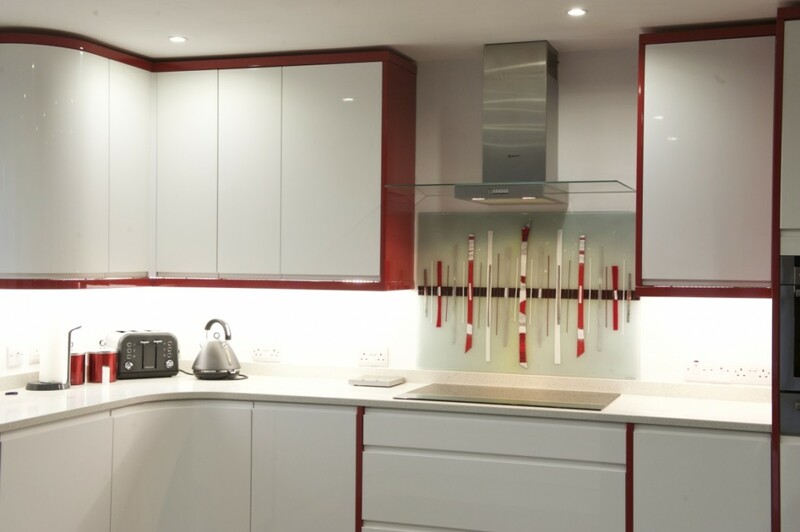 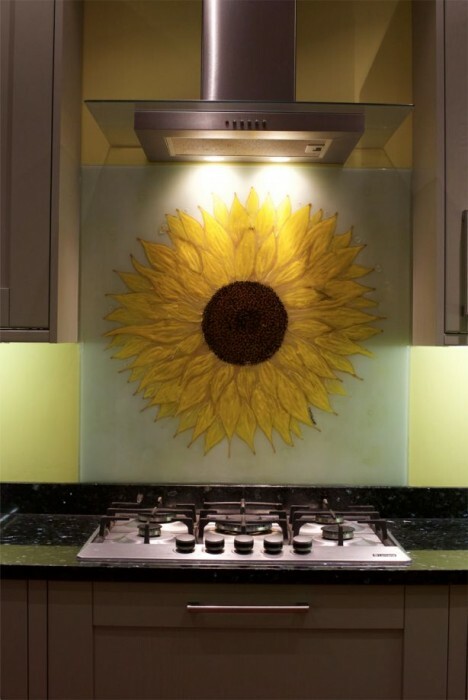 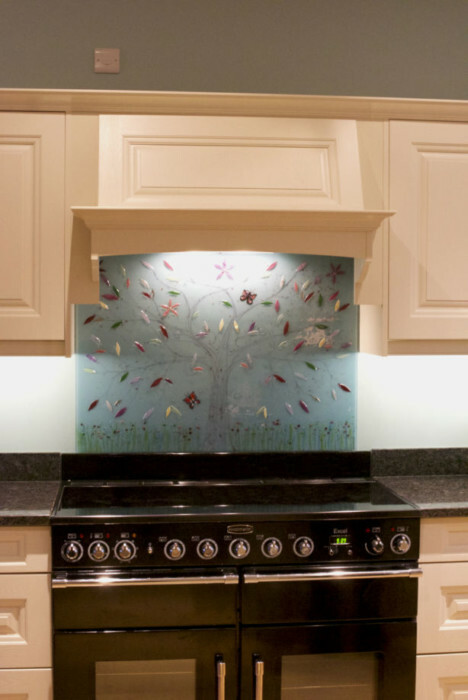 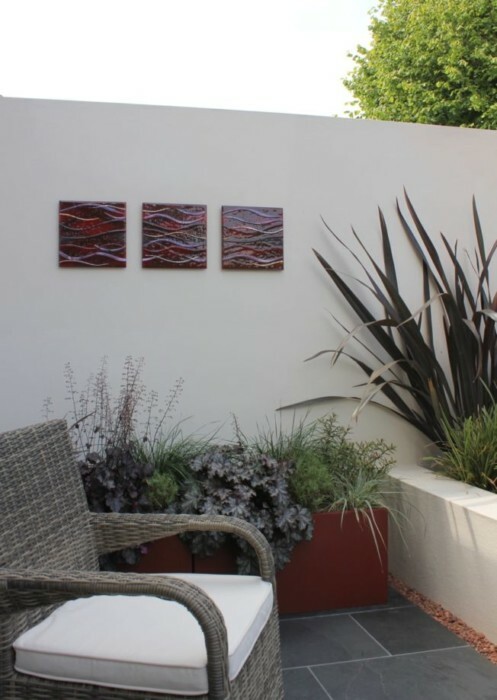 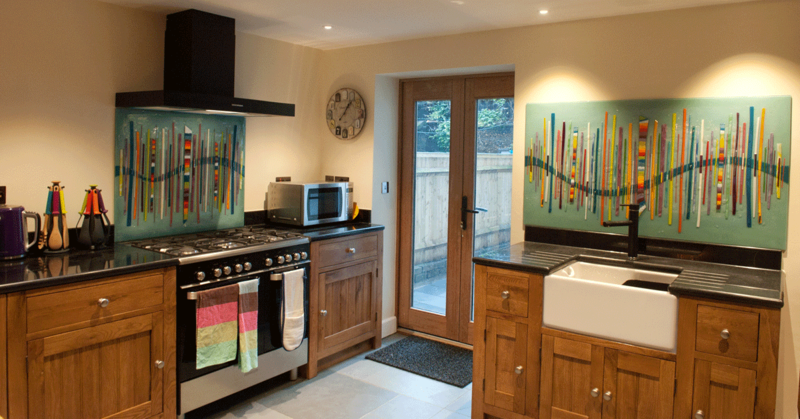 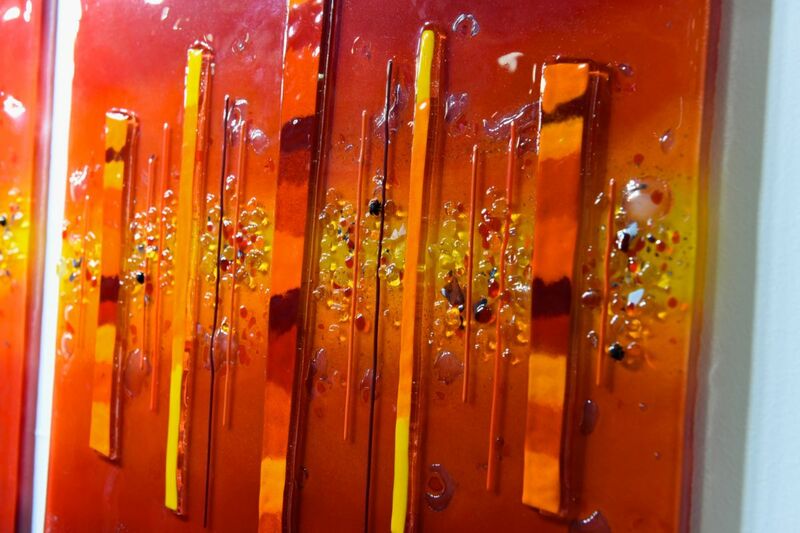 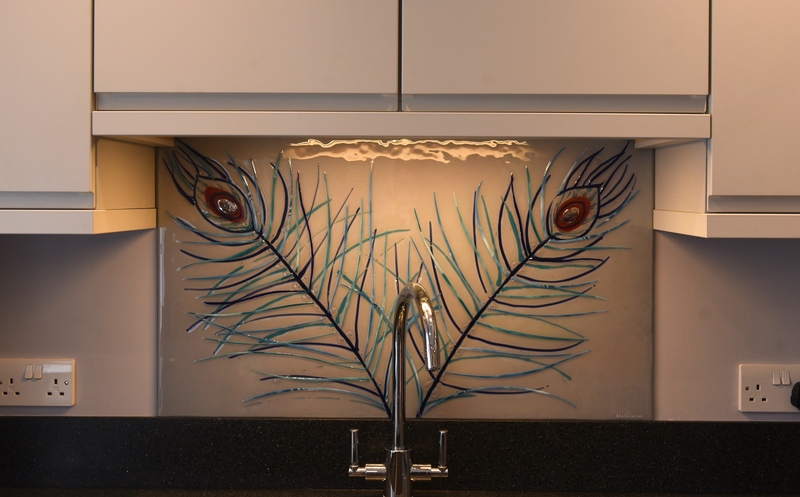 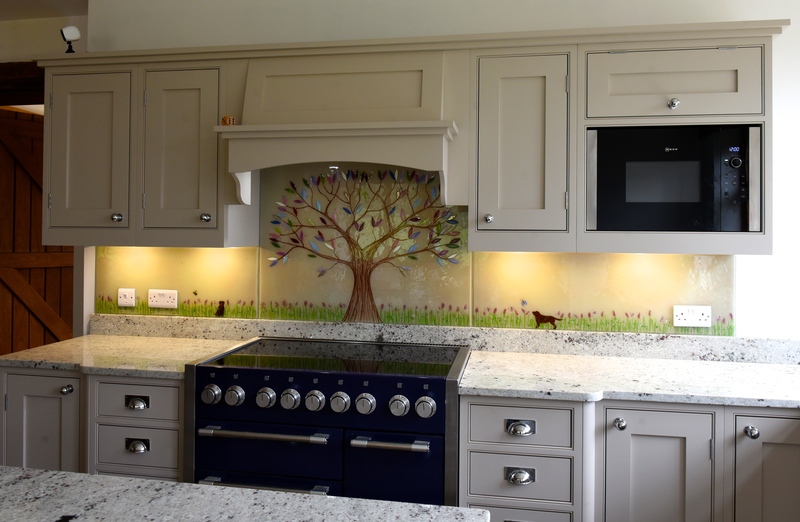 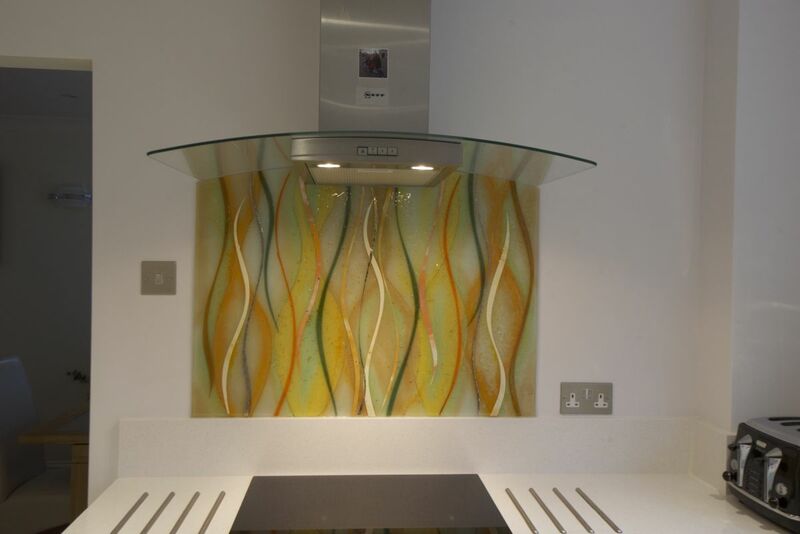 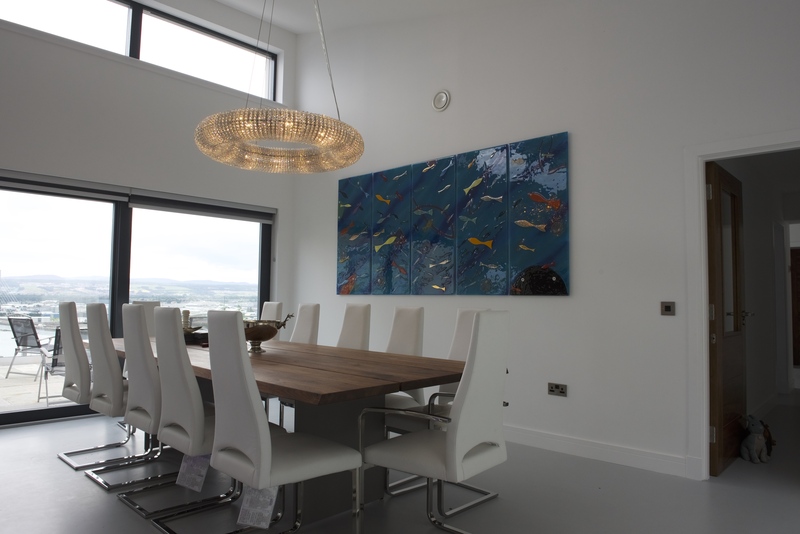 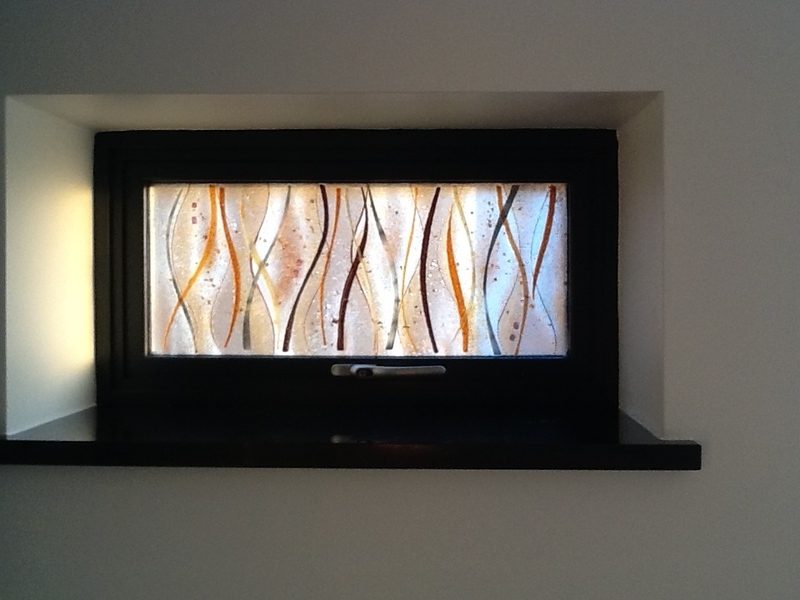 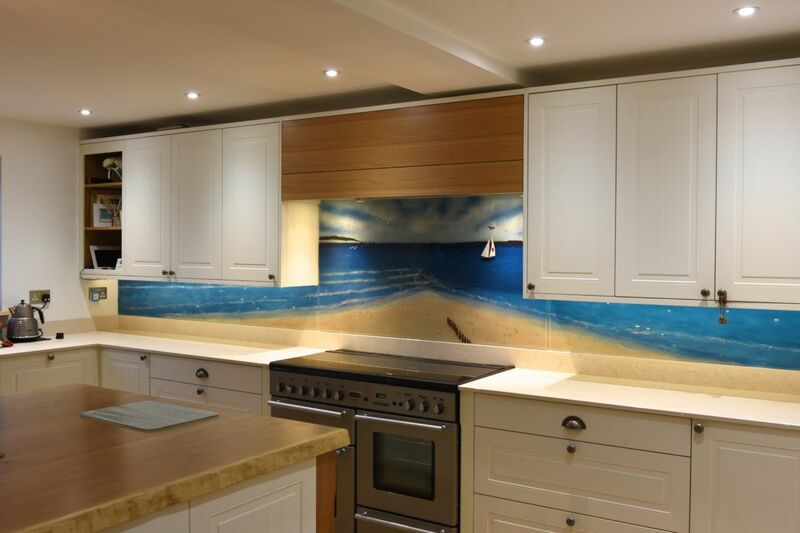 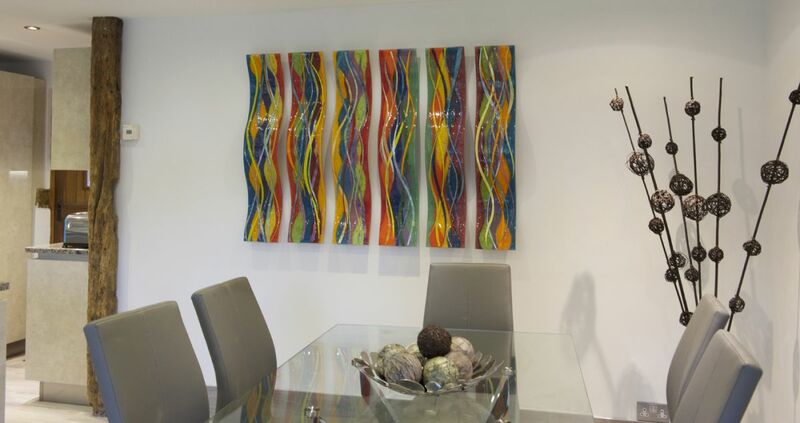 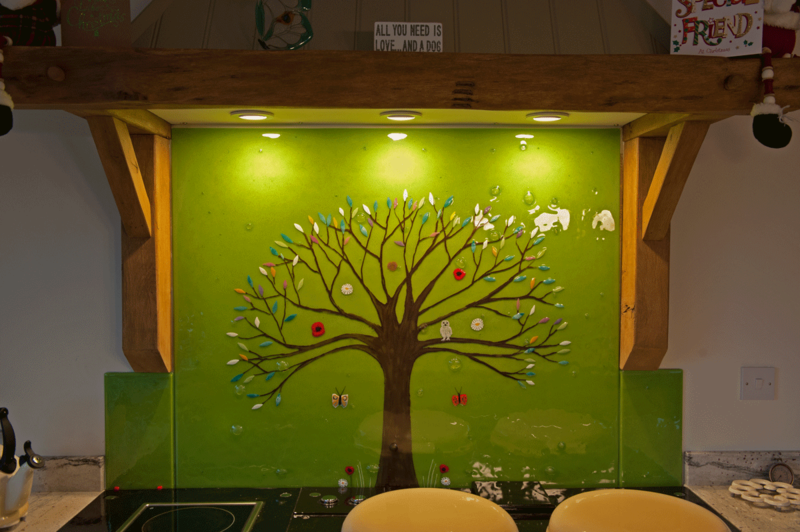 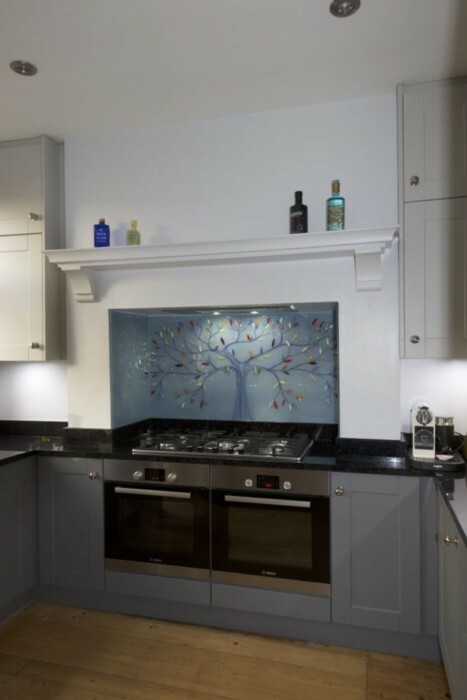 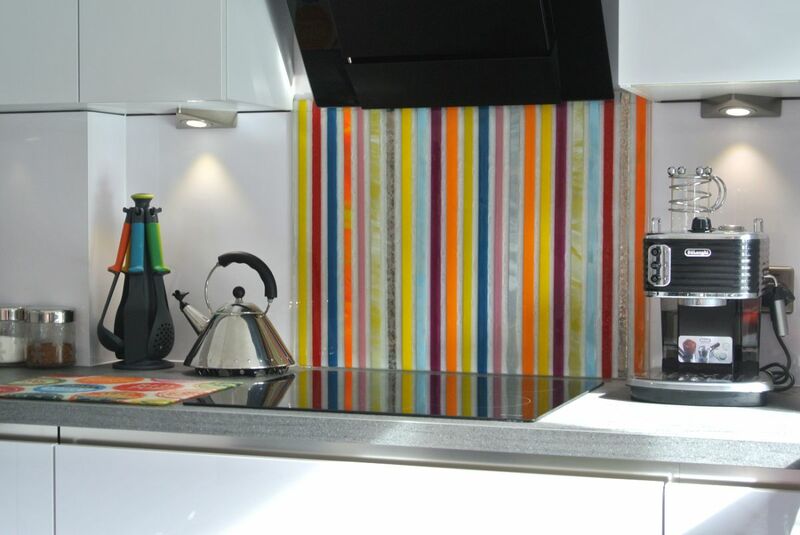 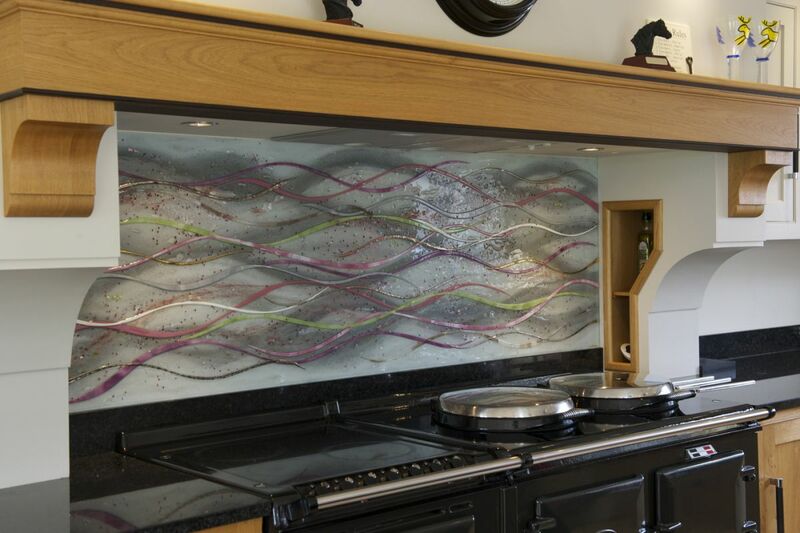 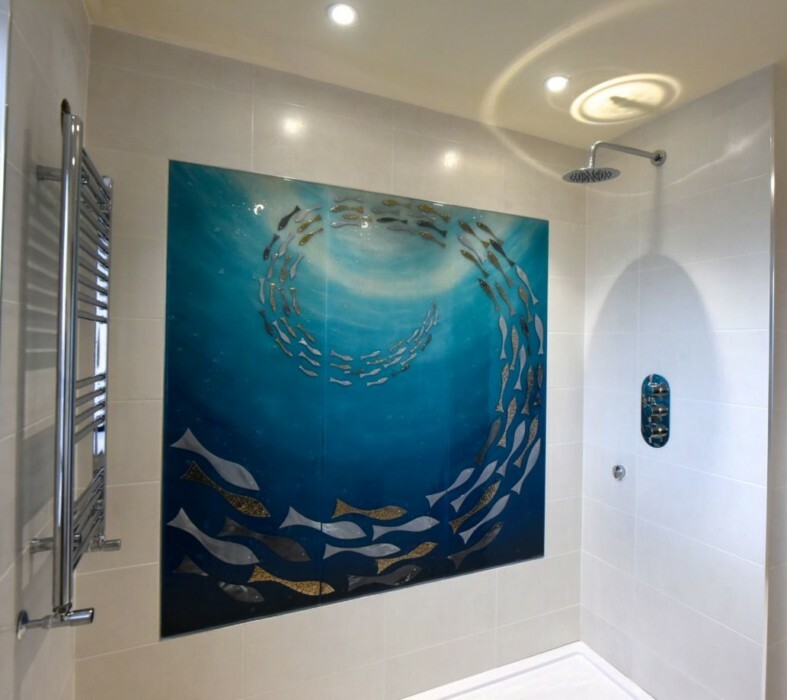 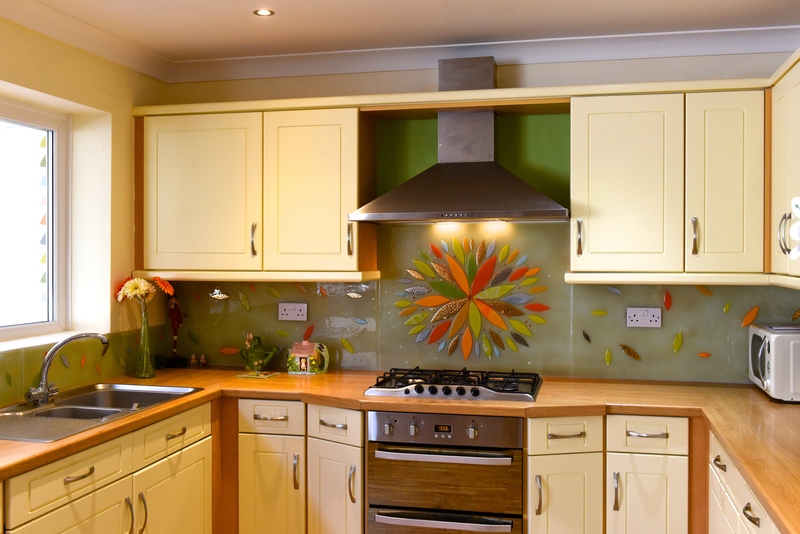 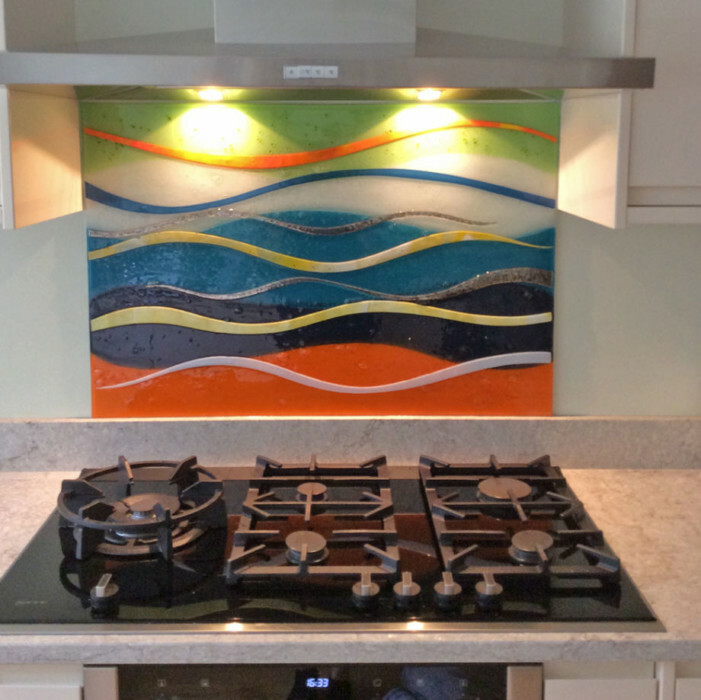 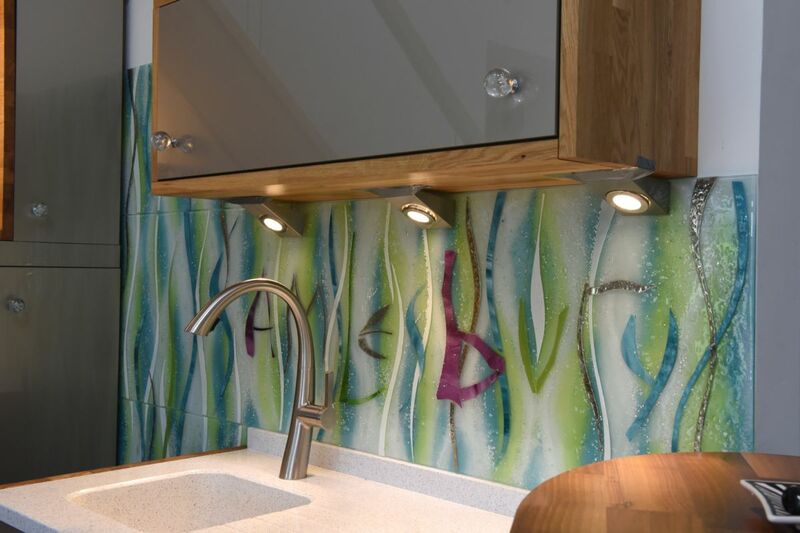 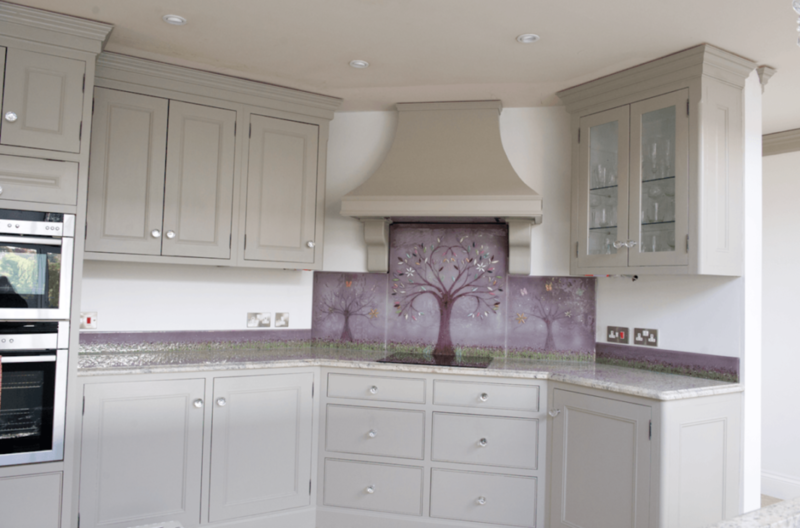 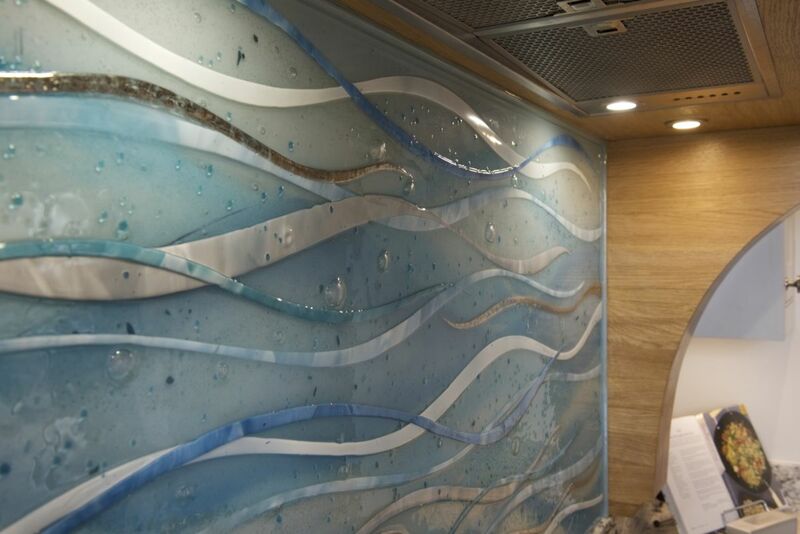 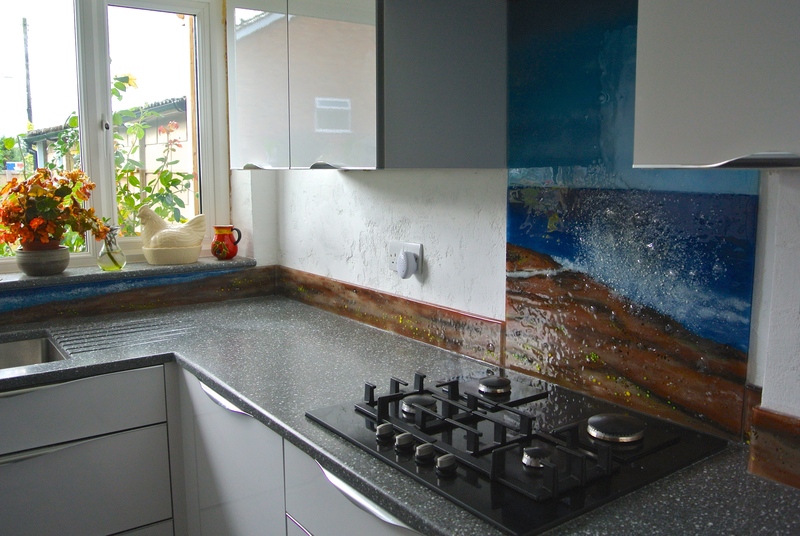 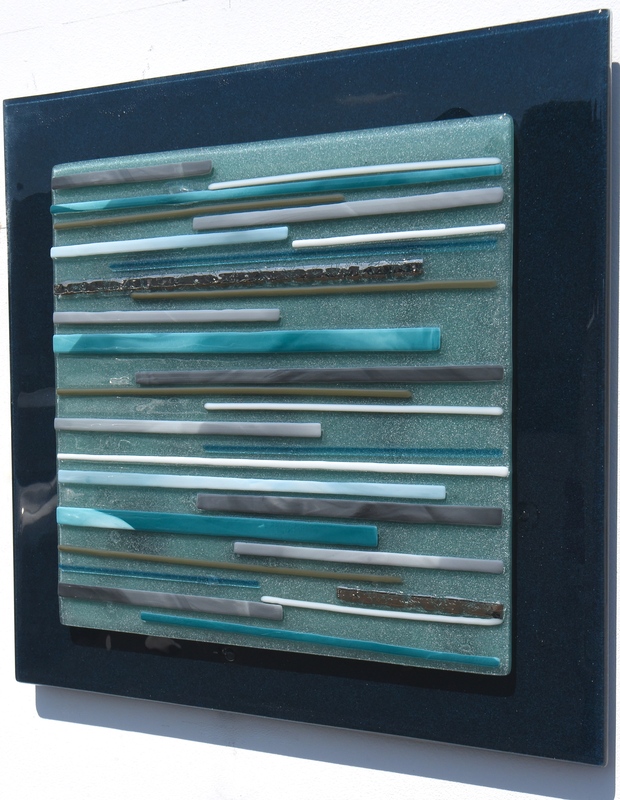 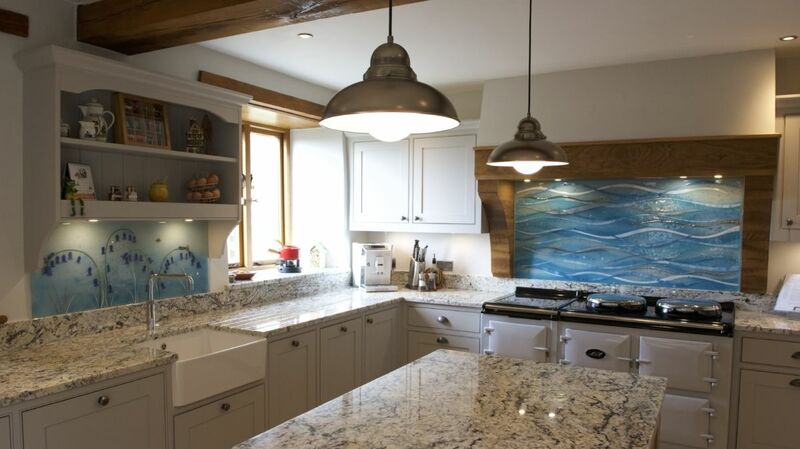 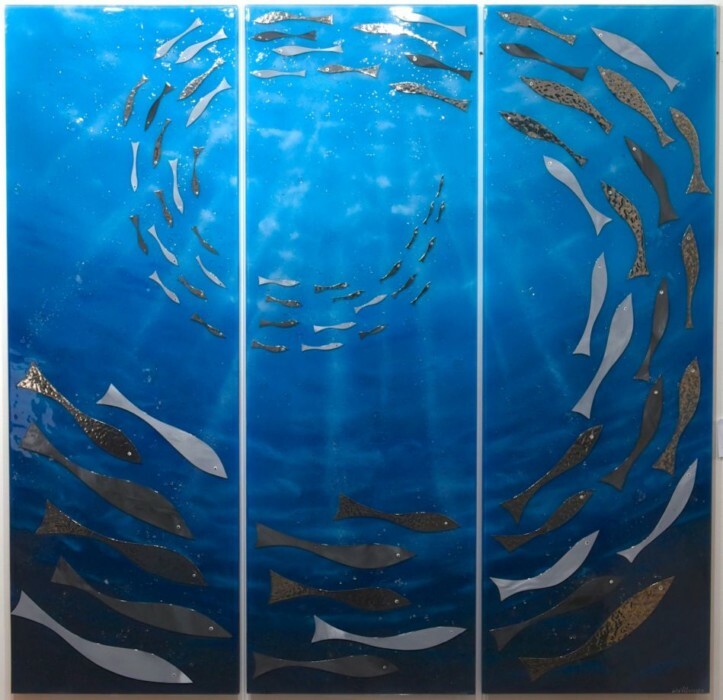 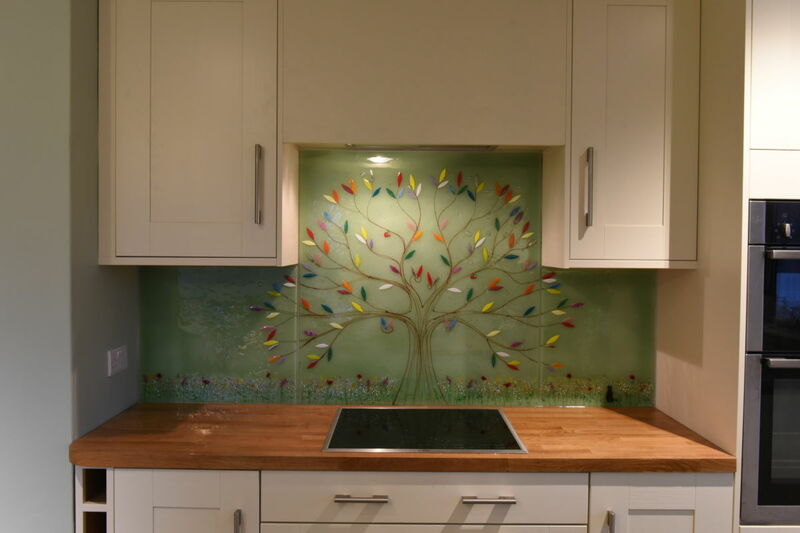 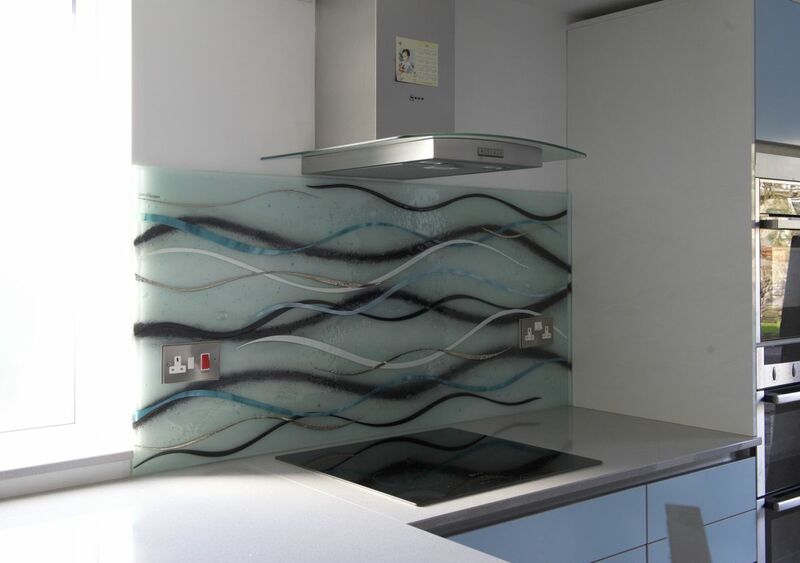 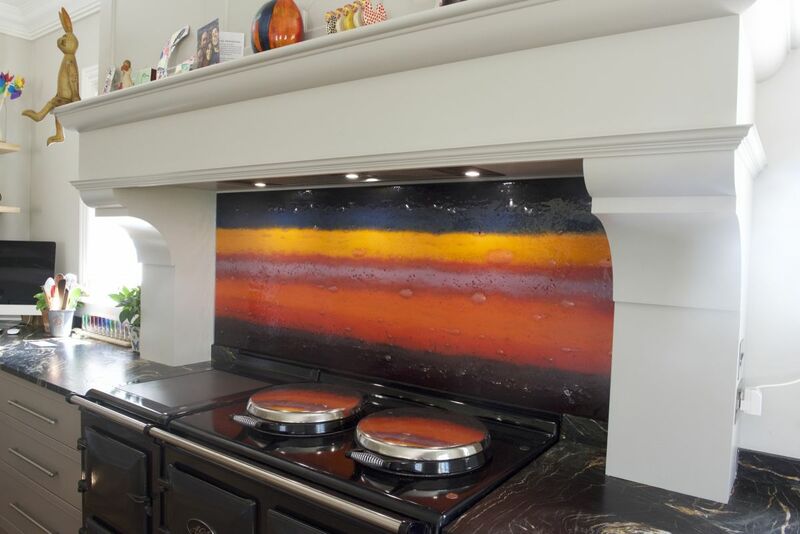 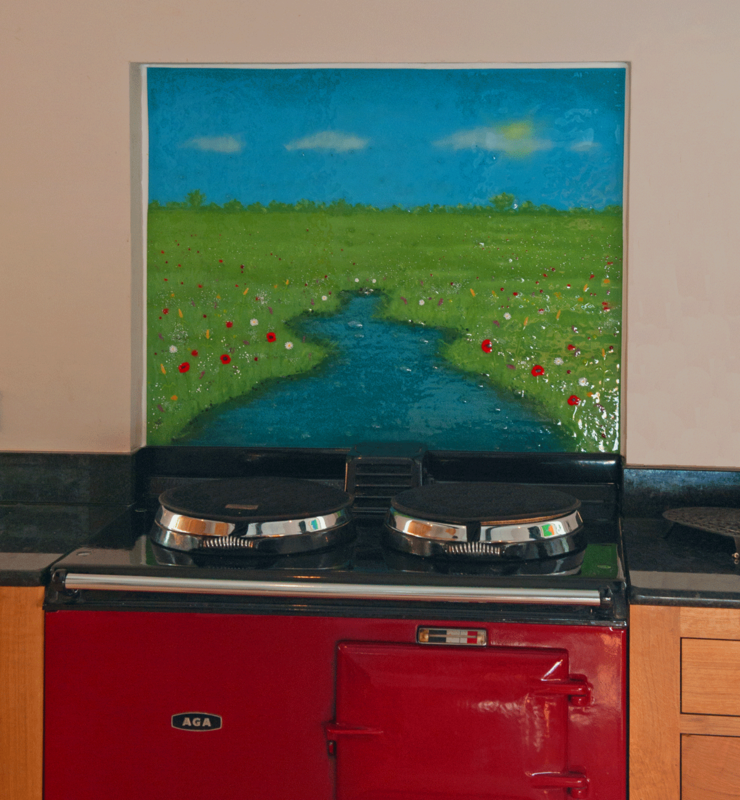 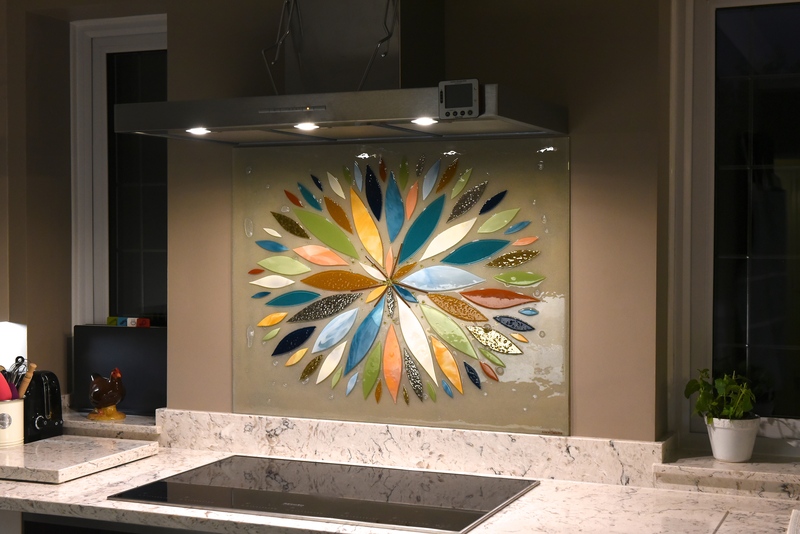 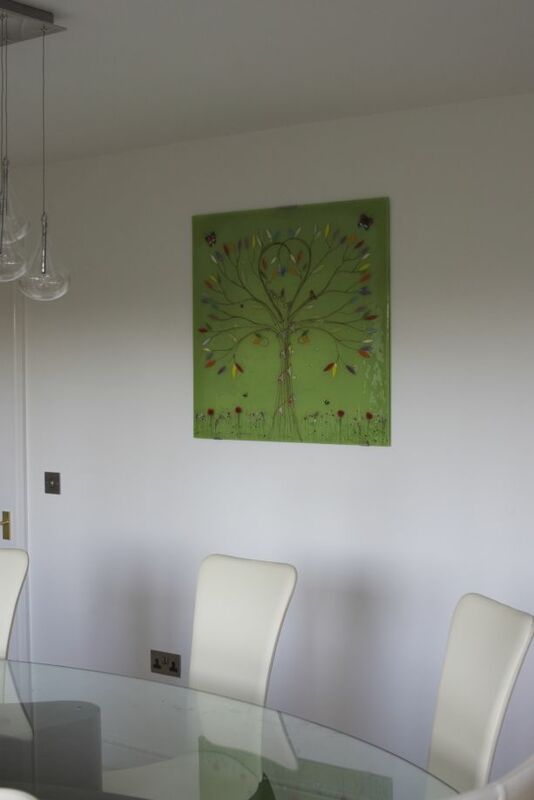 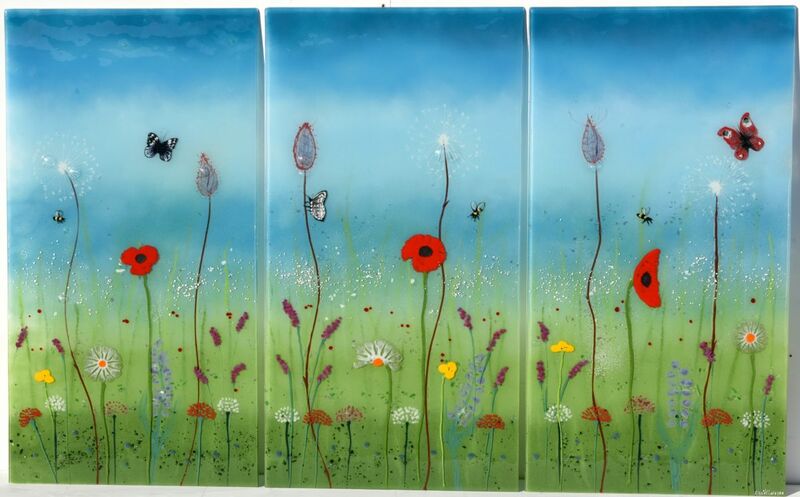 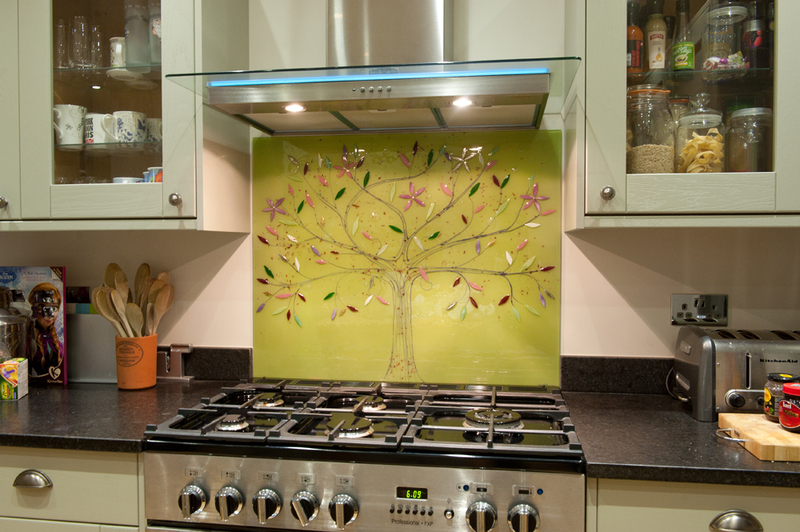 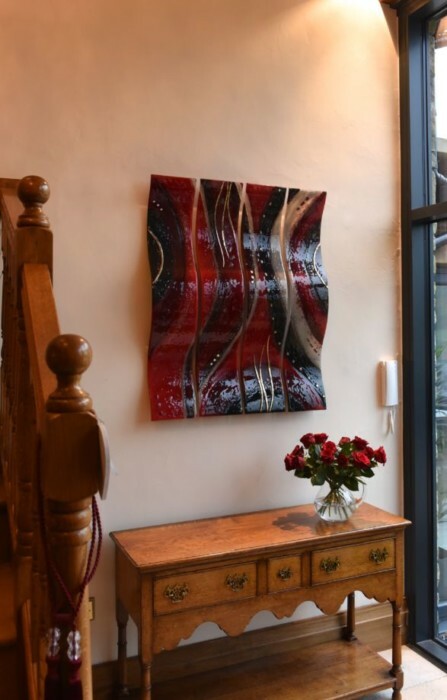 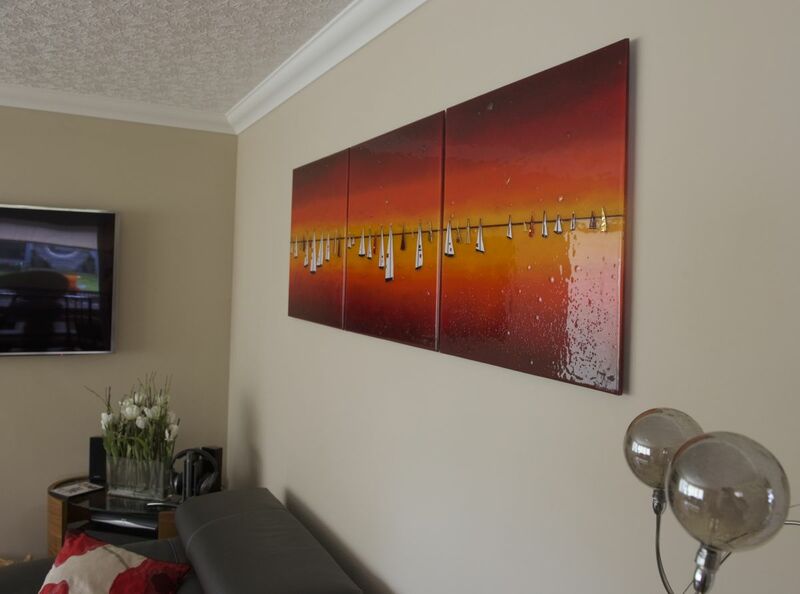 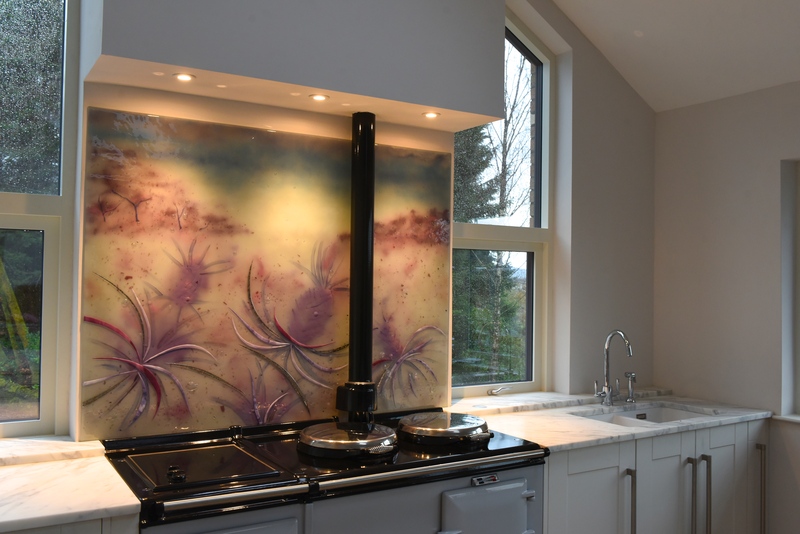 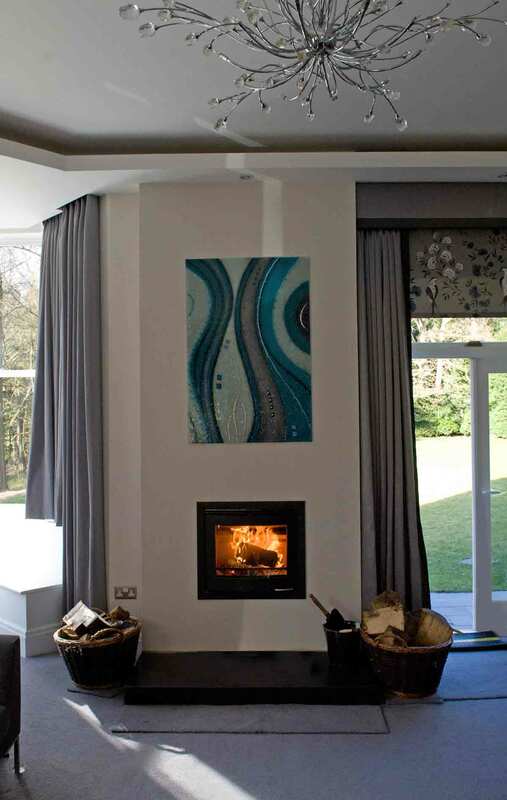 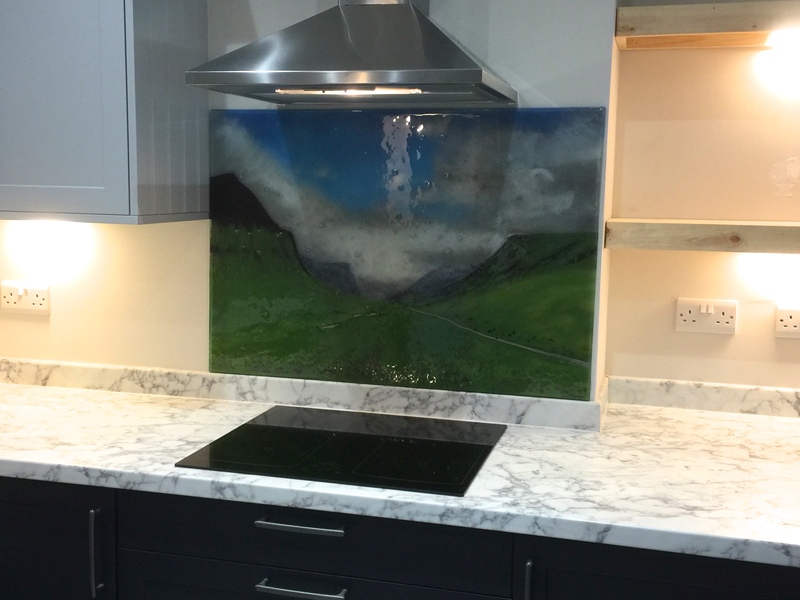 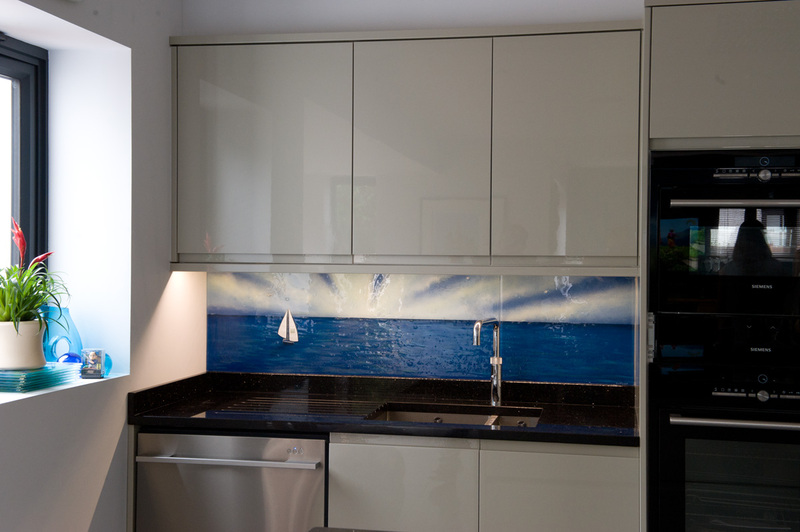 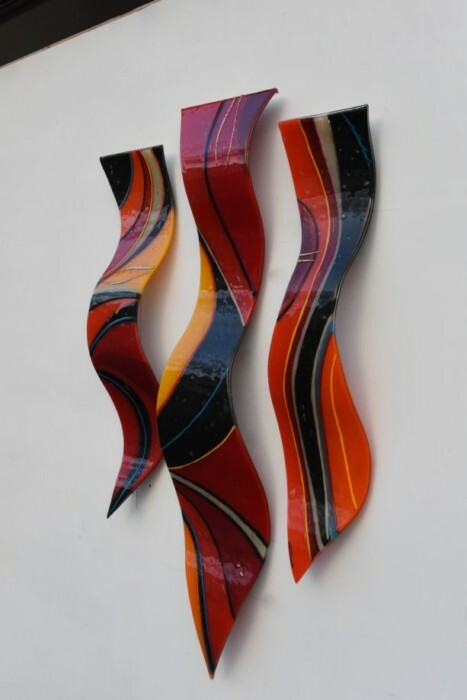 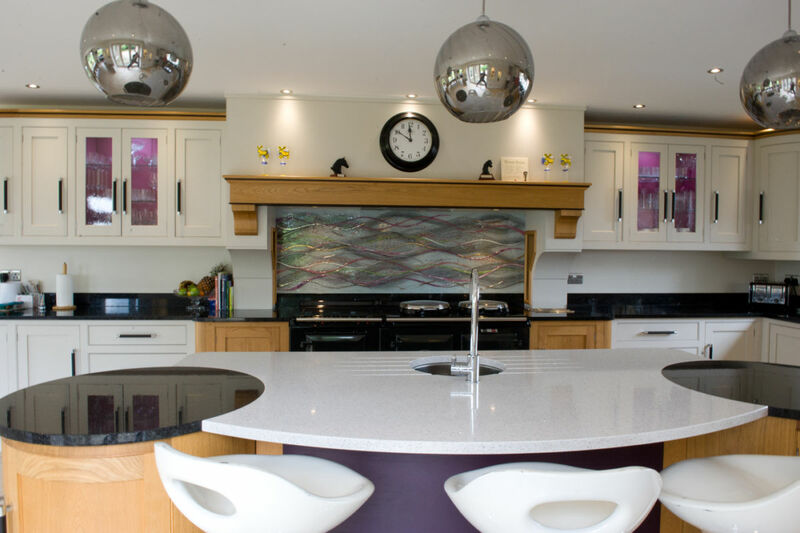 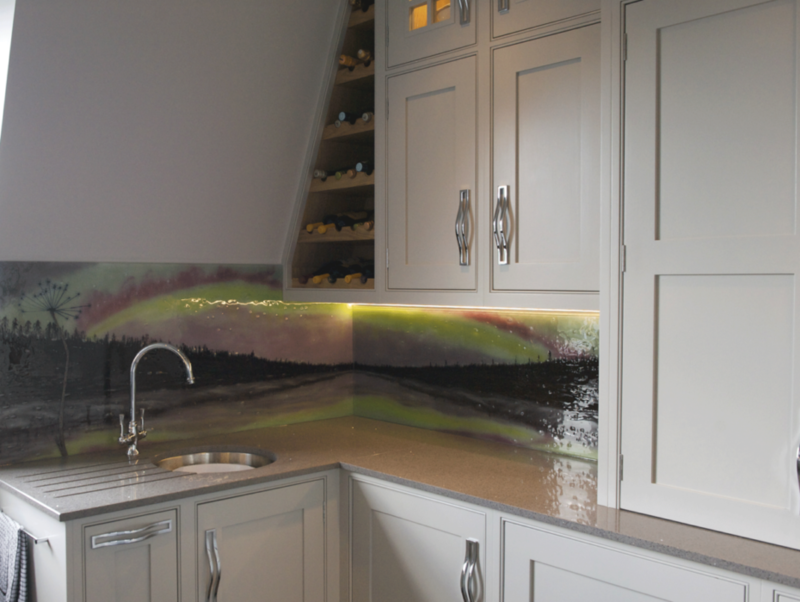 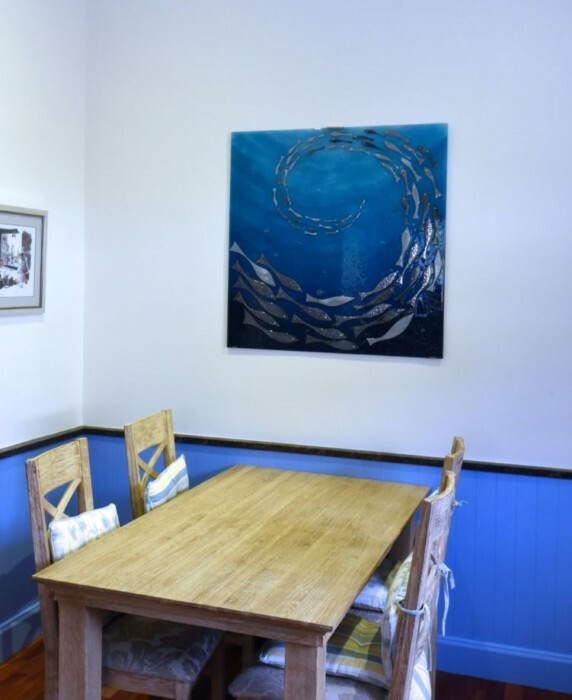 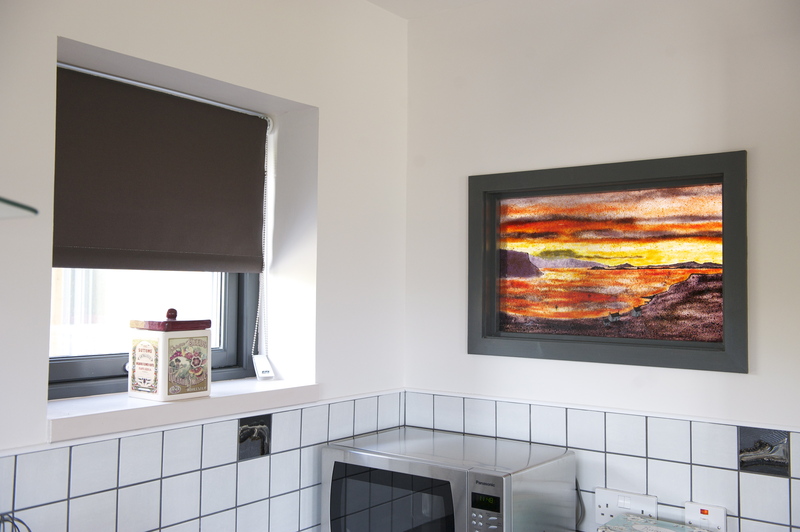 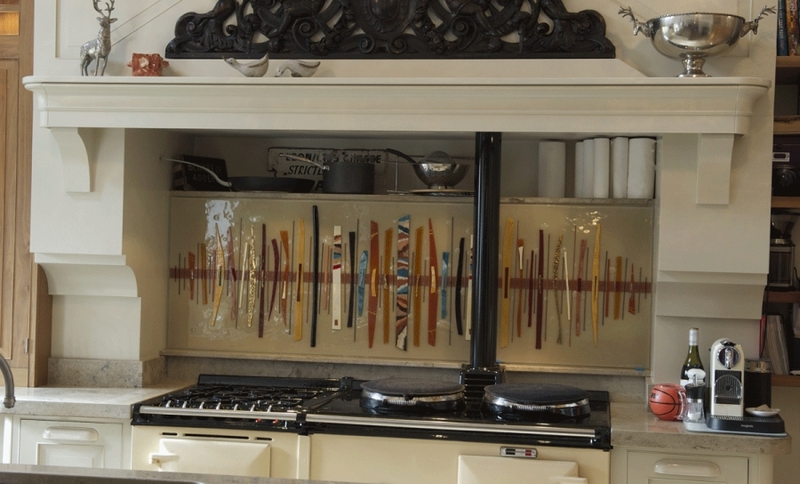 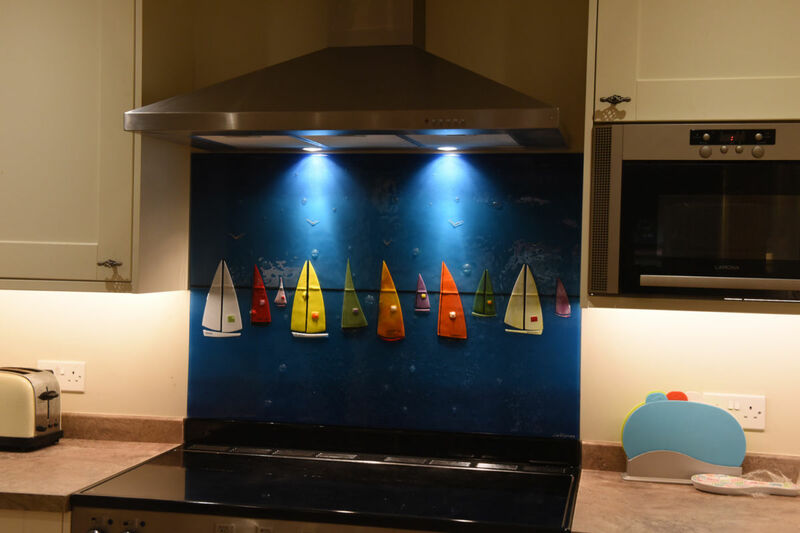 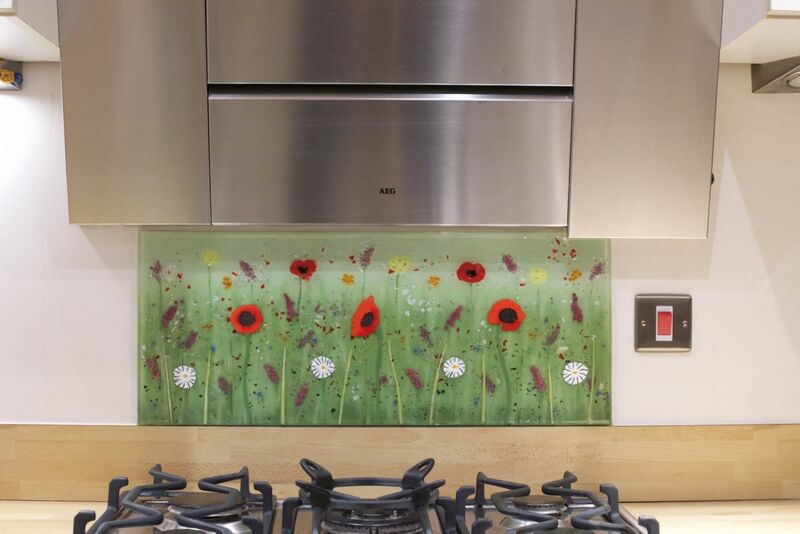 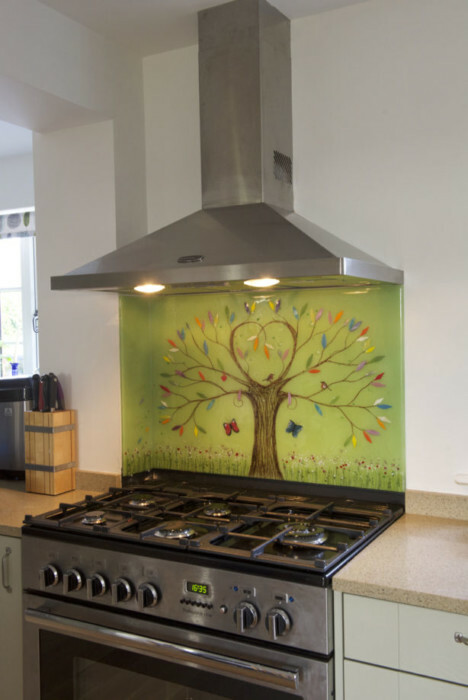 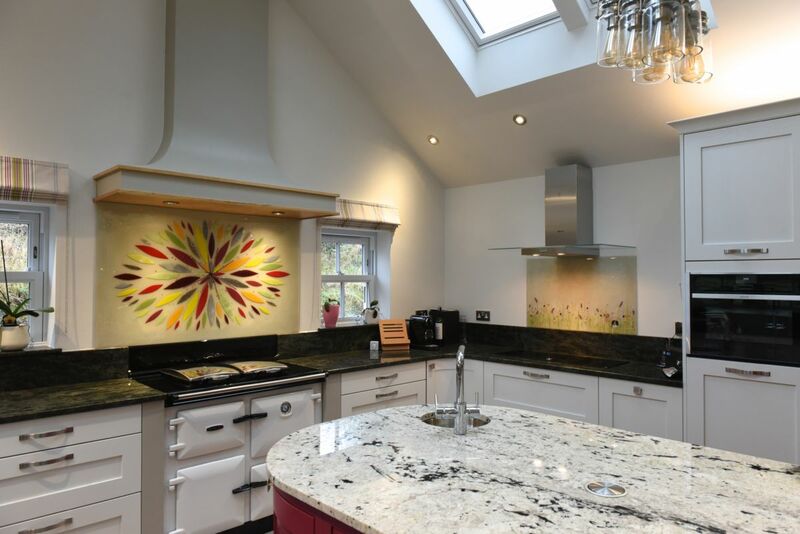 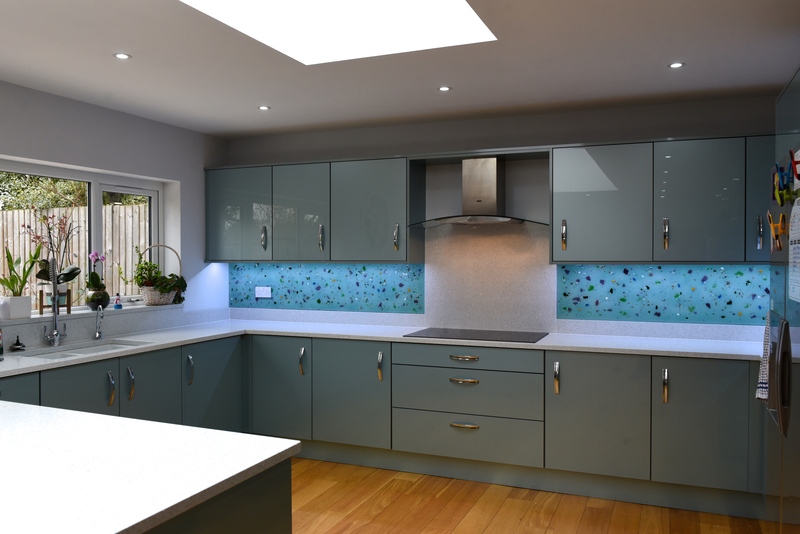 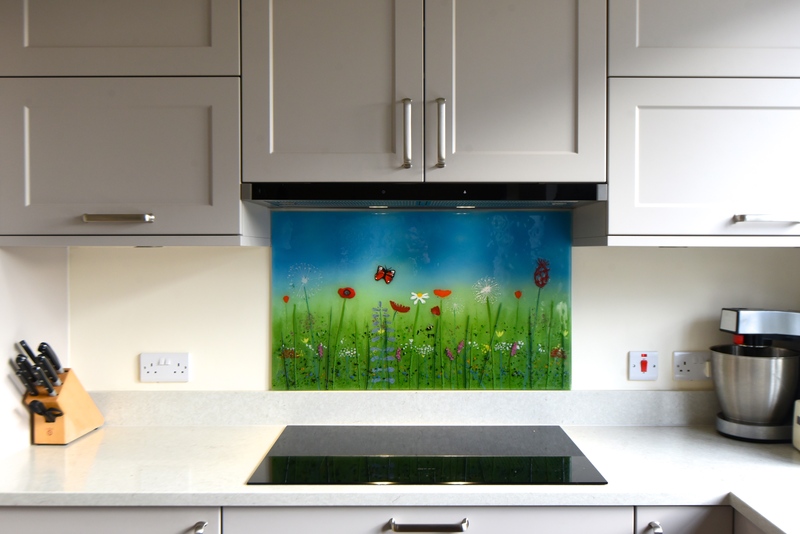 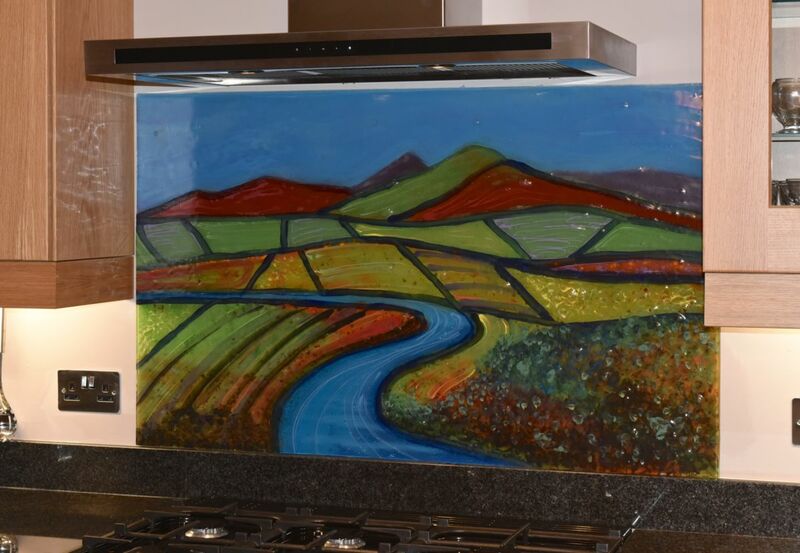 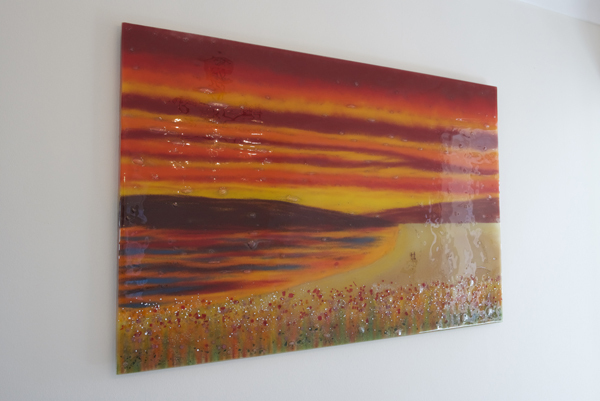 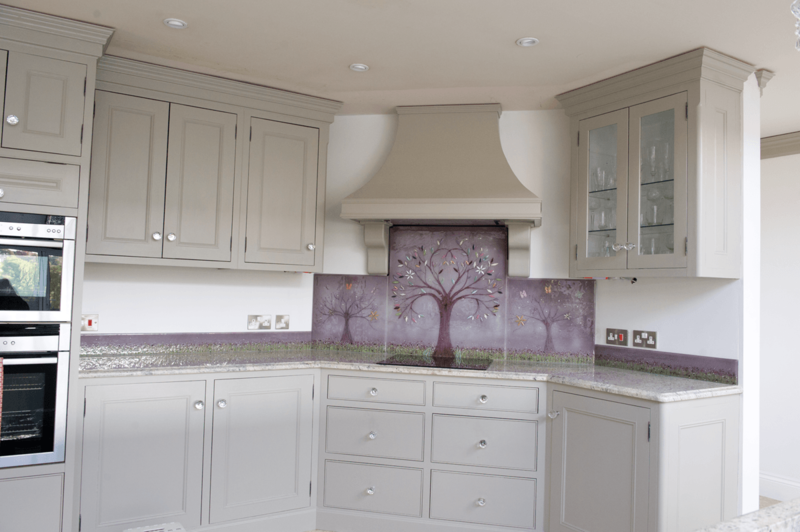 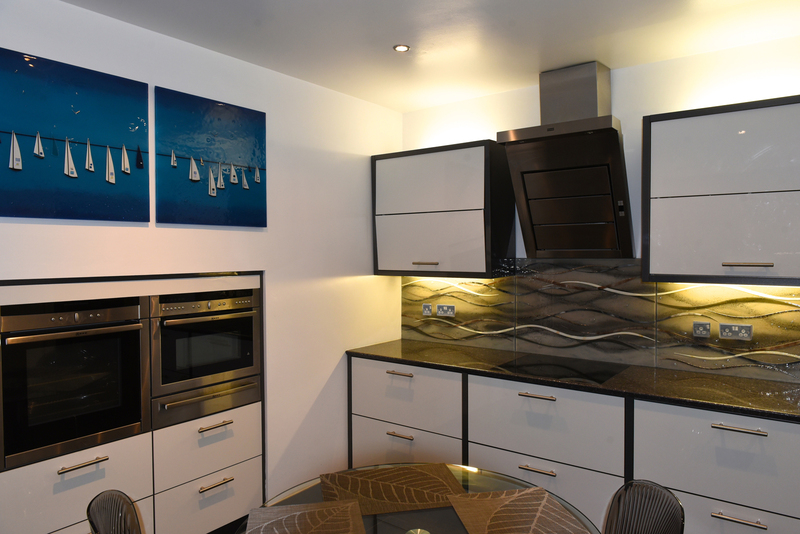 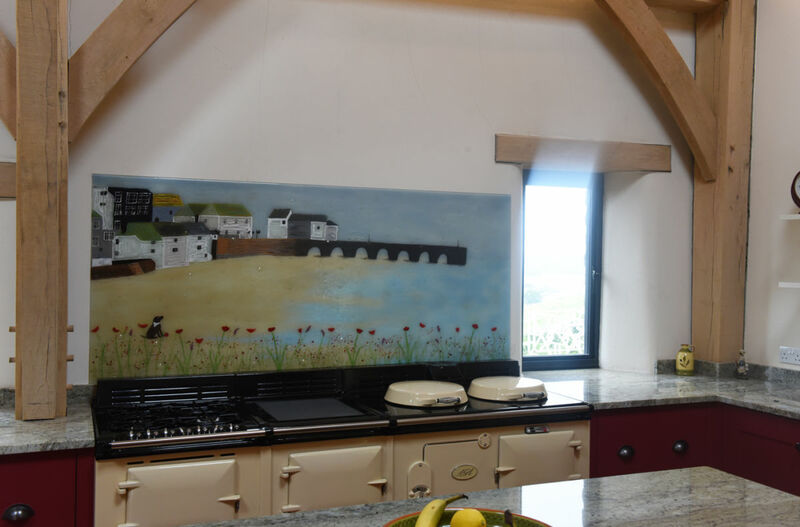 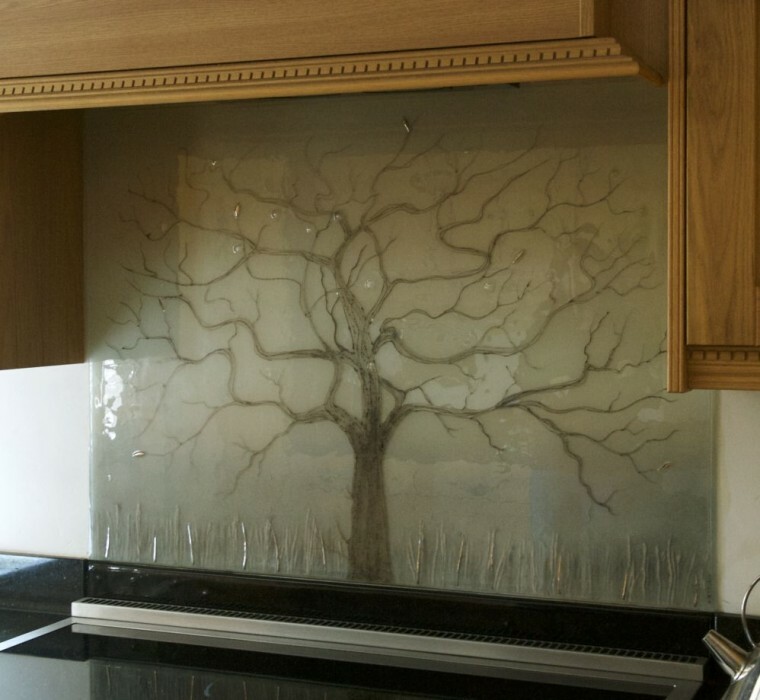 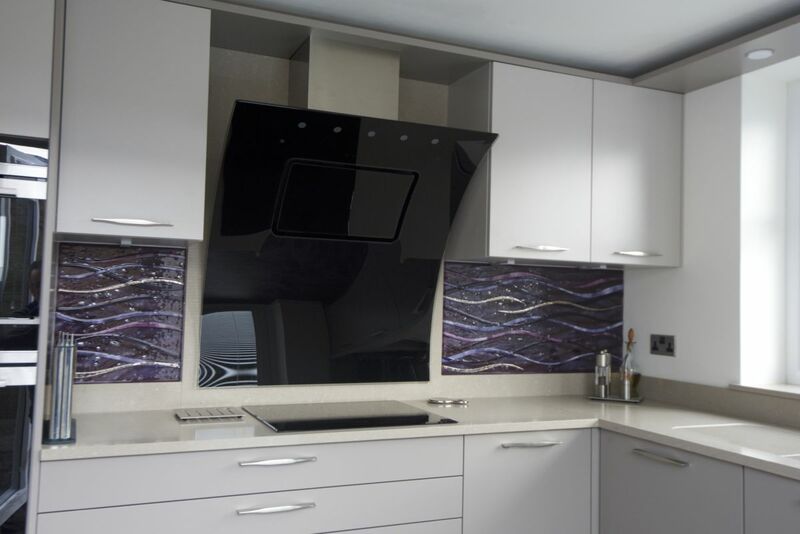 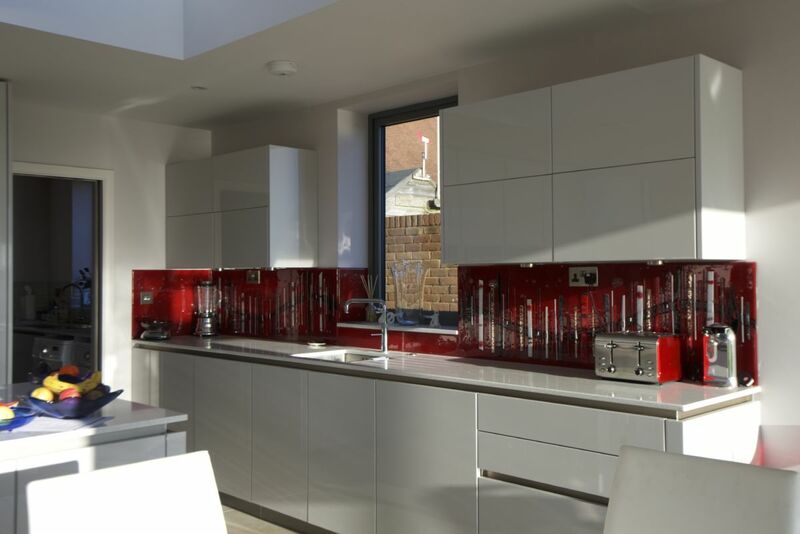 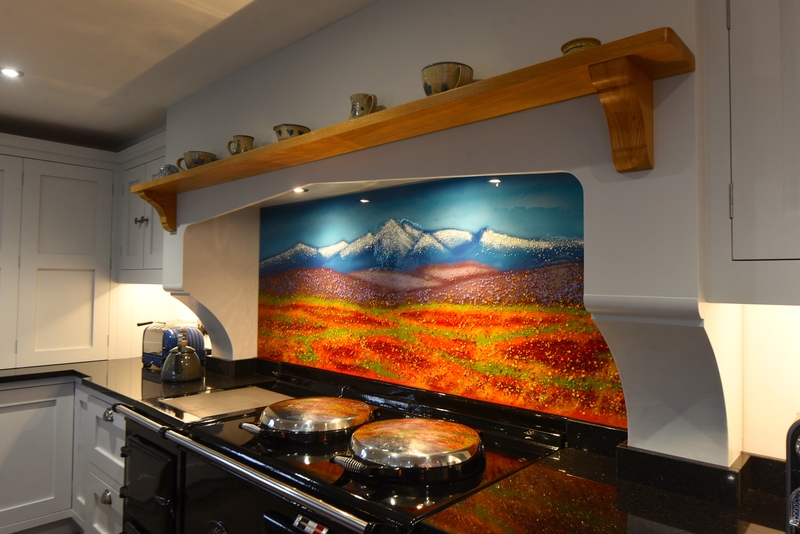 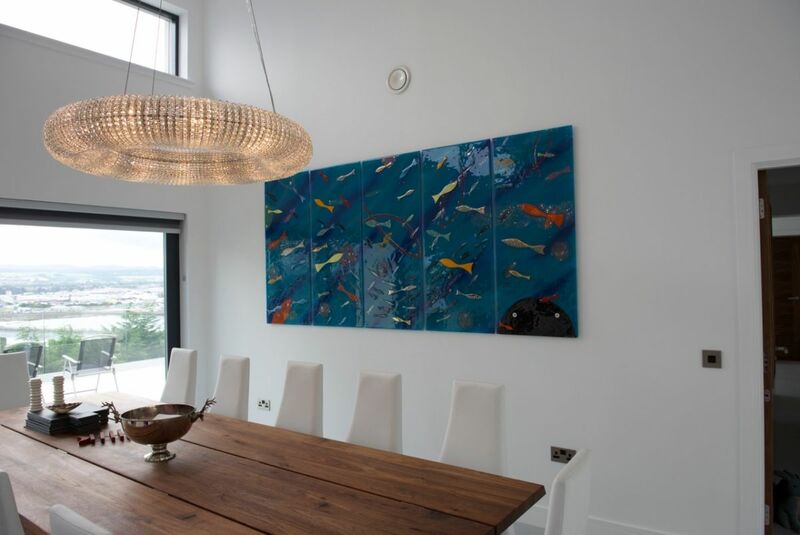 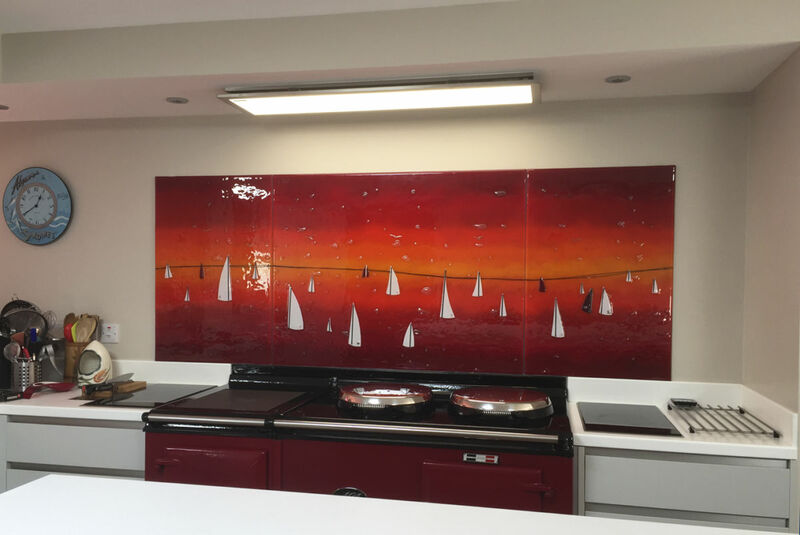 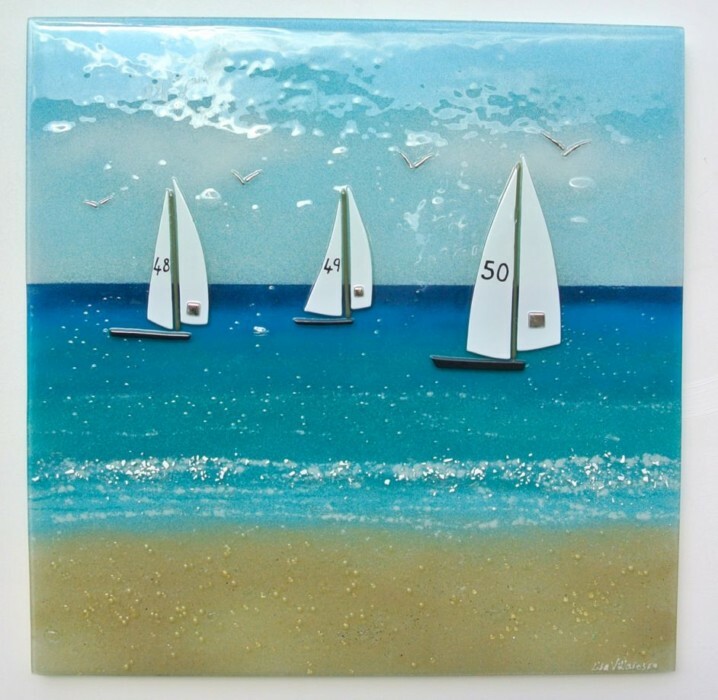 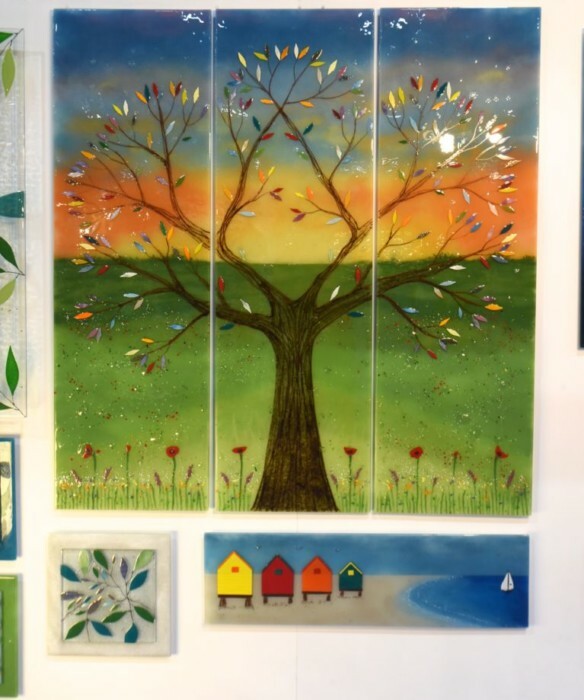 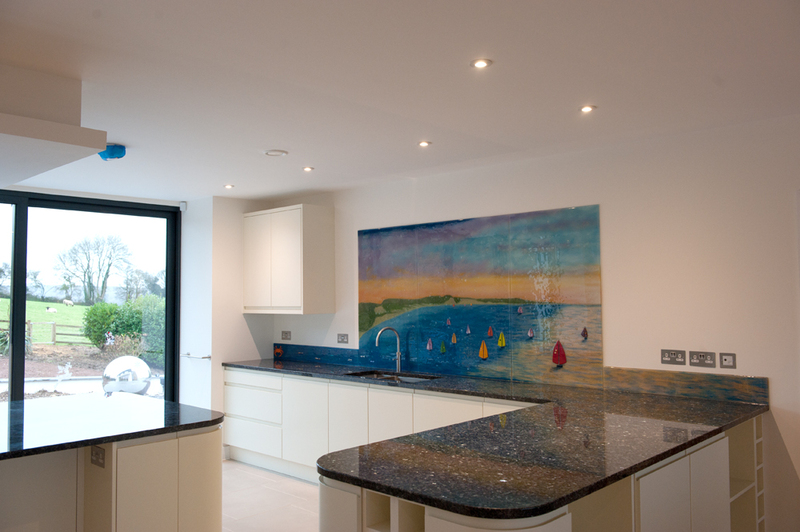 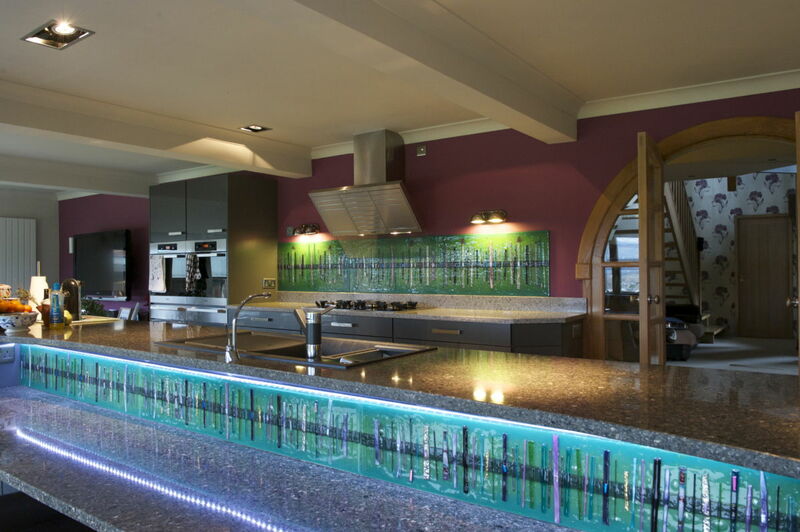 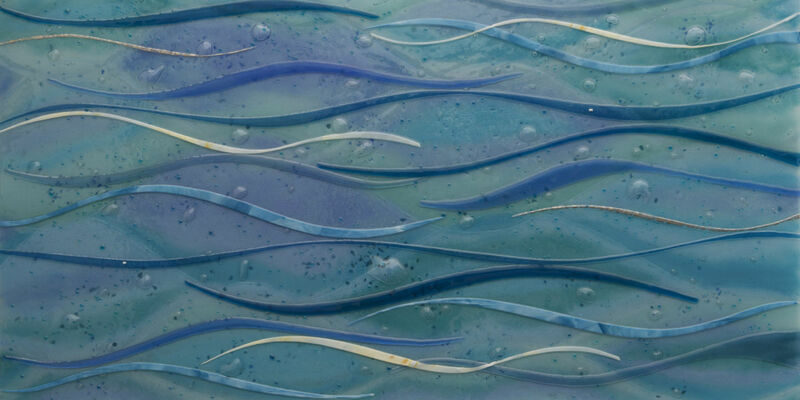 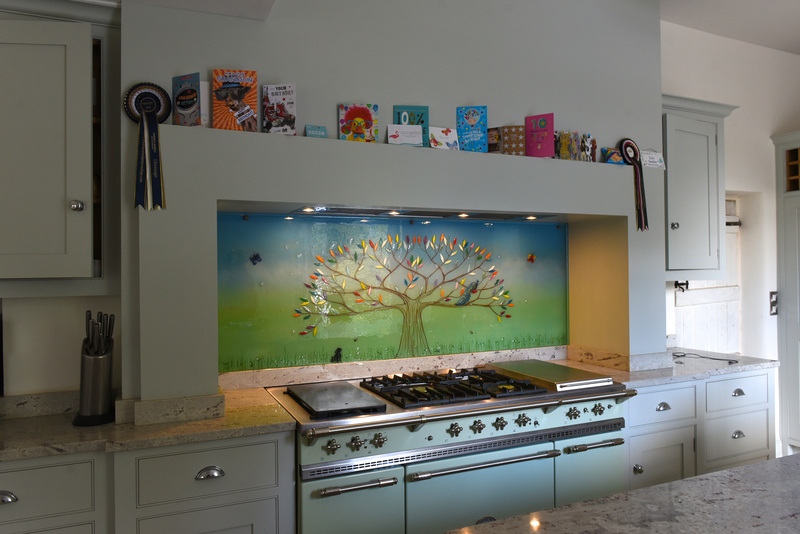 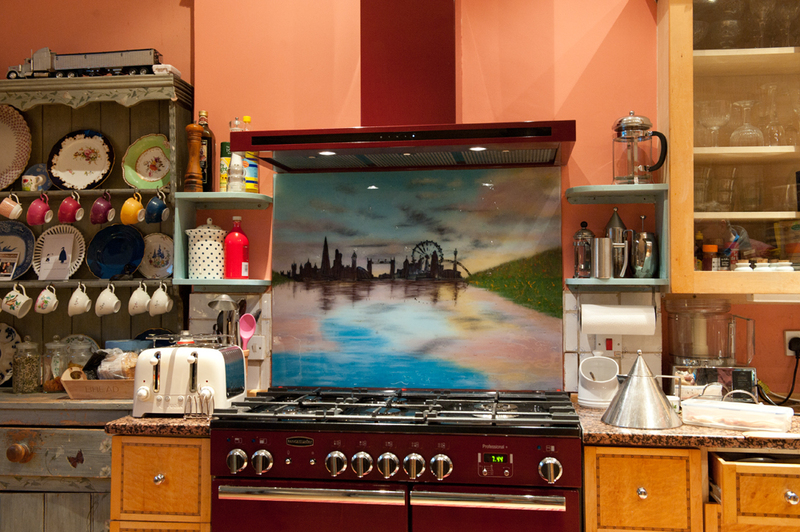 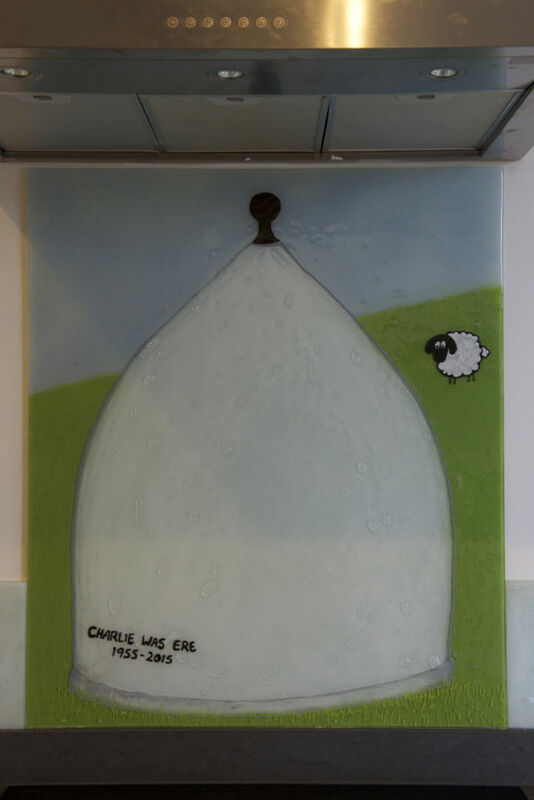 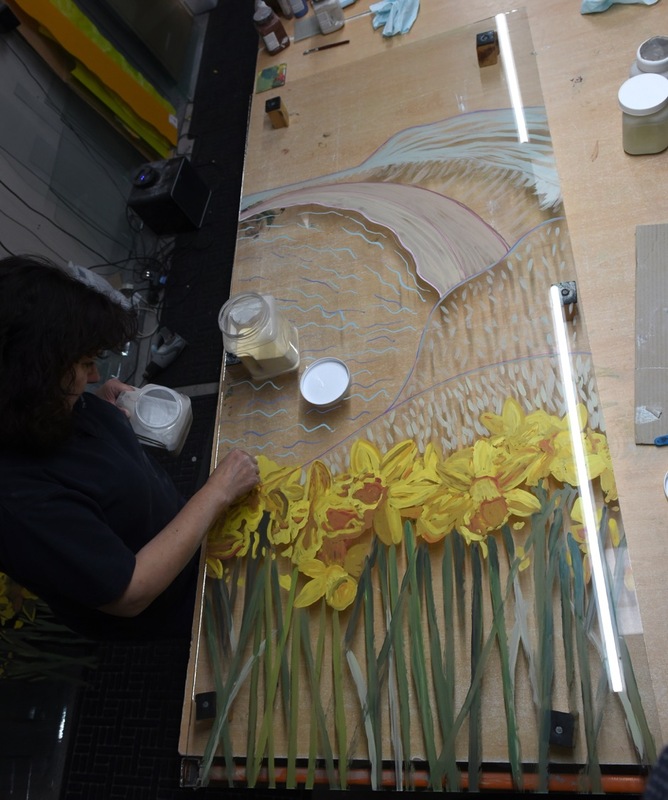 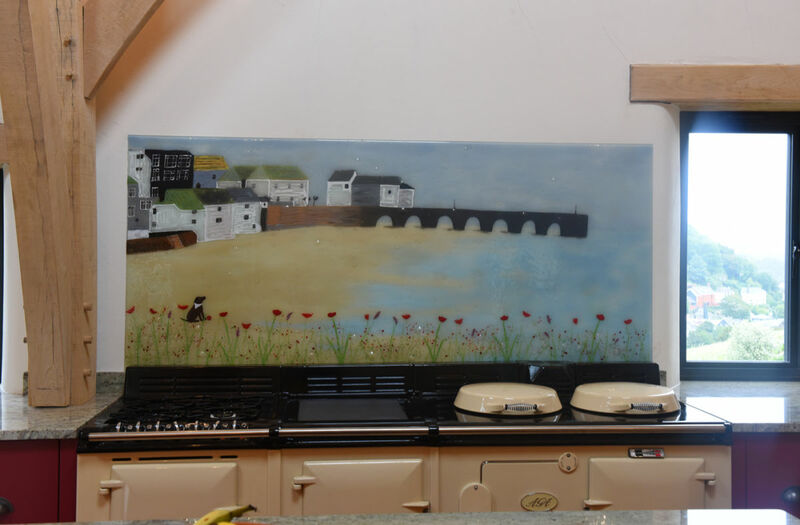 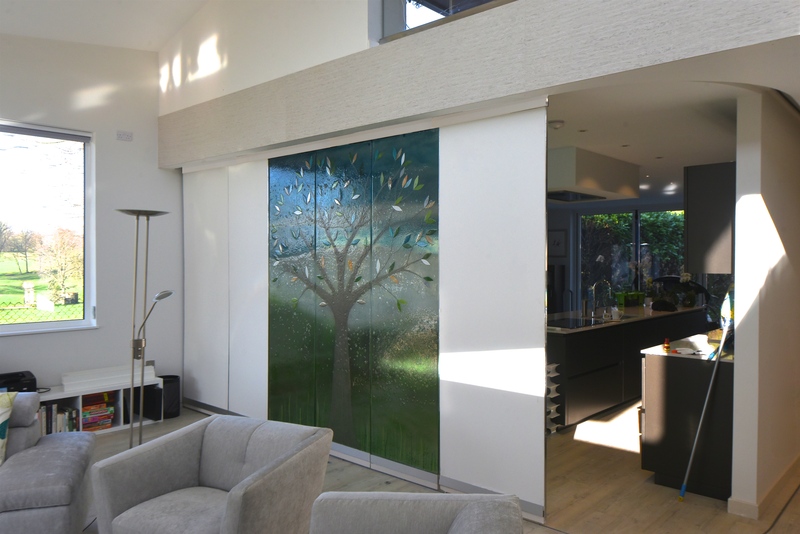 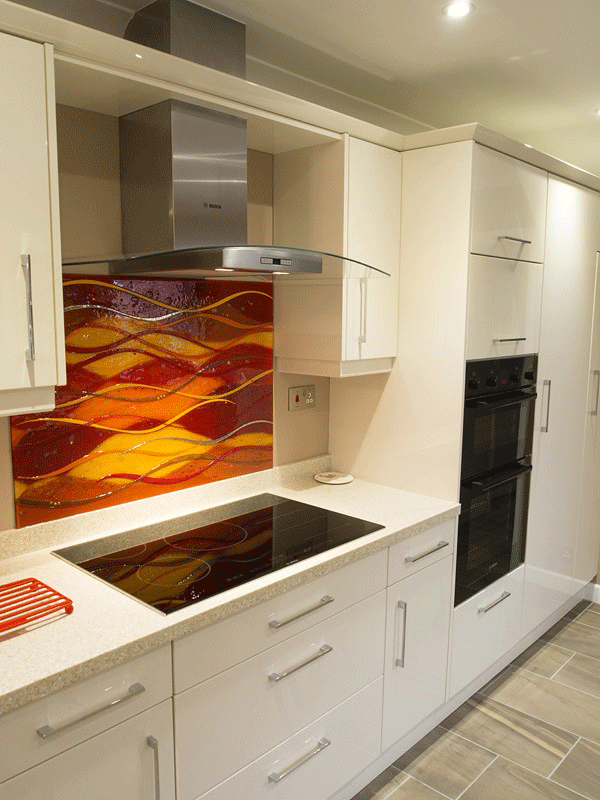 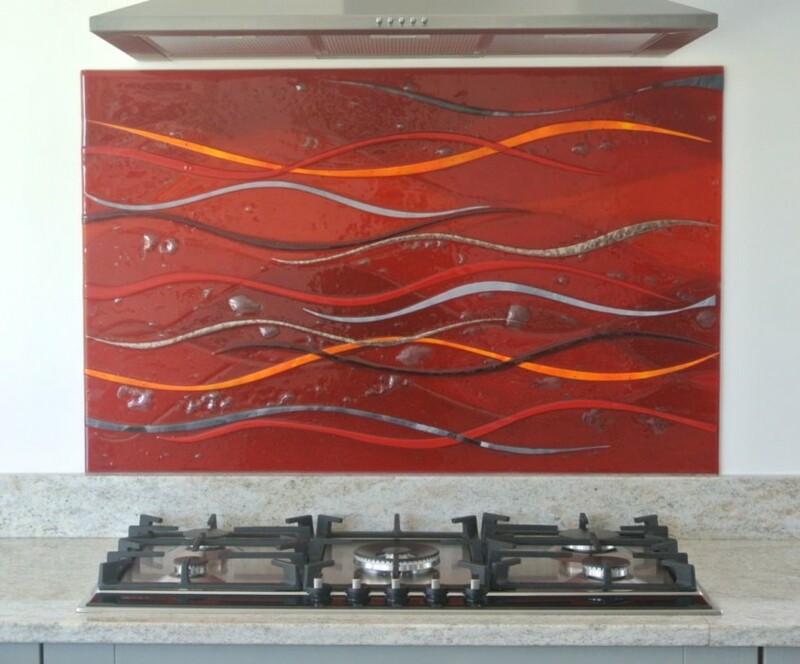 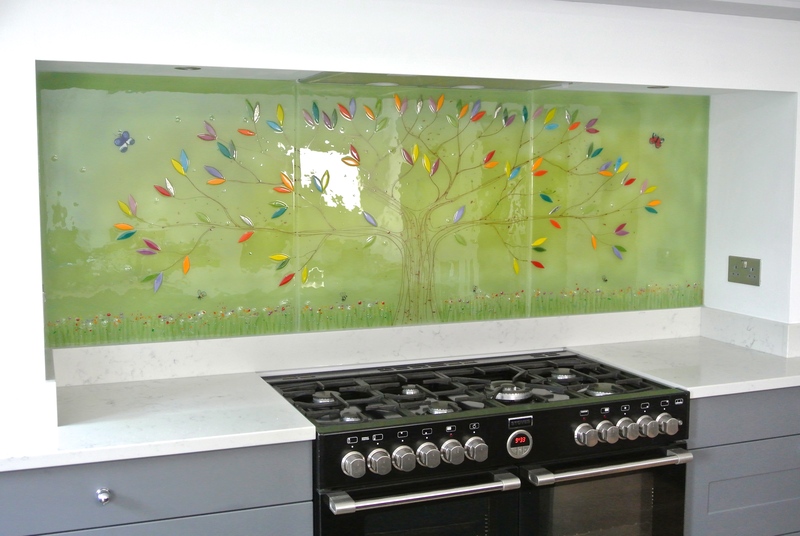 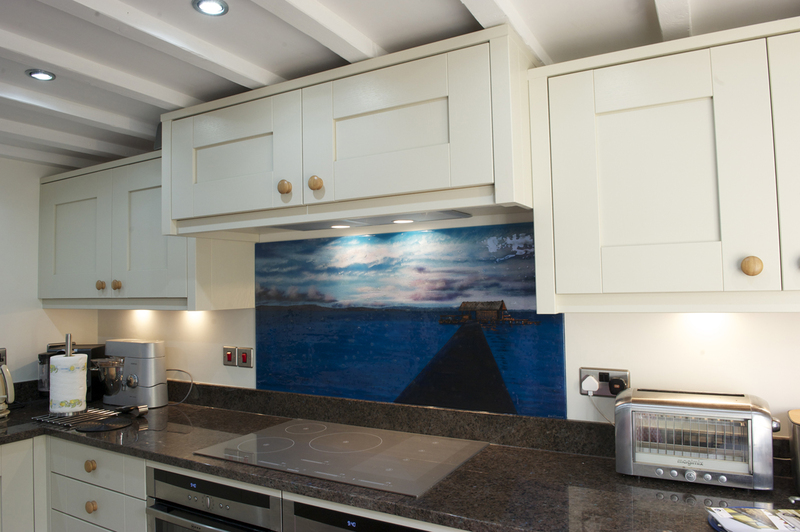 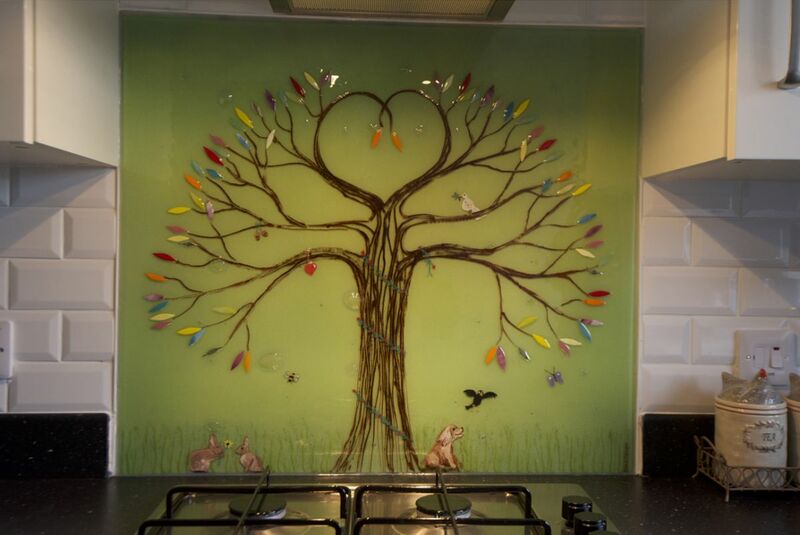 If you’re in the market for a gorgeous piece of fused glass art, then why not make it one of our incredible glass splashbacks? 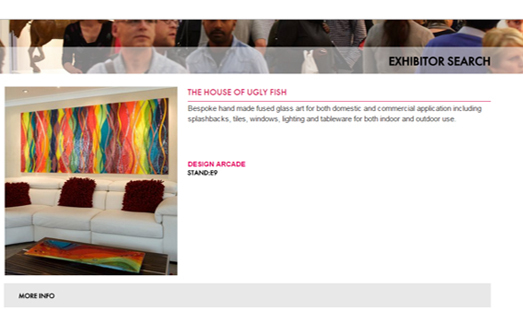 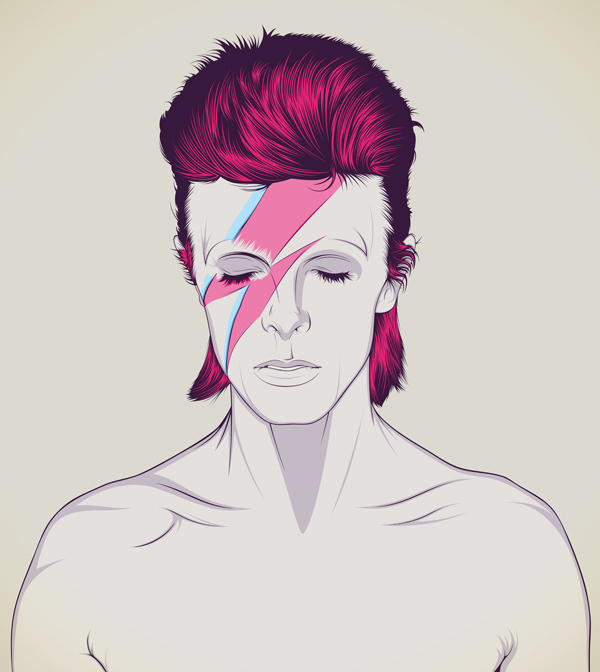 We here at The House of Ugly Fish are always ready and waiting to take on more projects, and we would love nothing more than to create something truly special for you. 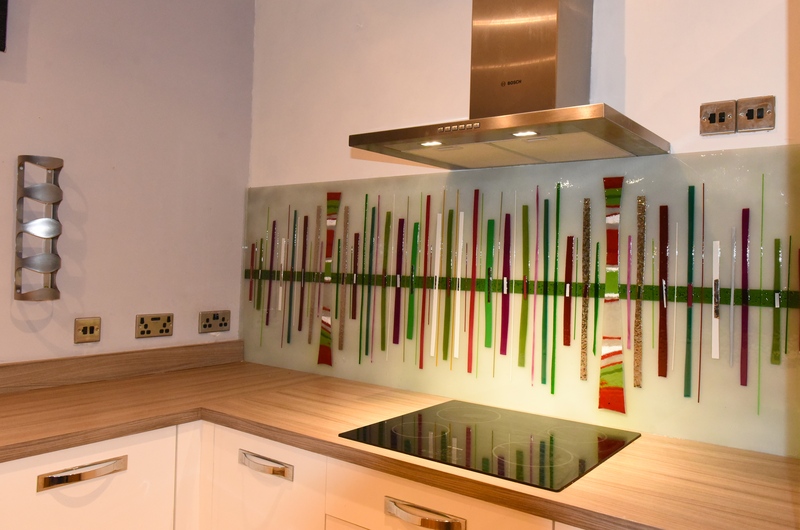 Make sure you pick up the phone or drop us an email as soon as you can, and let us know all about your ideas for the perfect piece of glass. 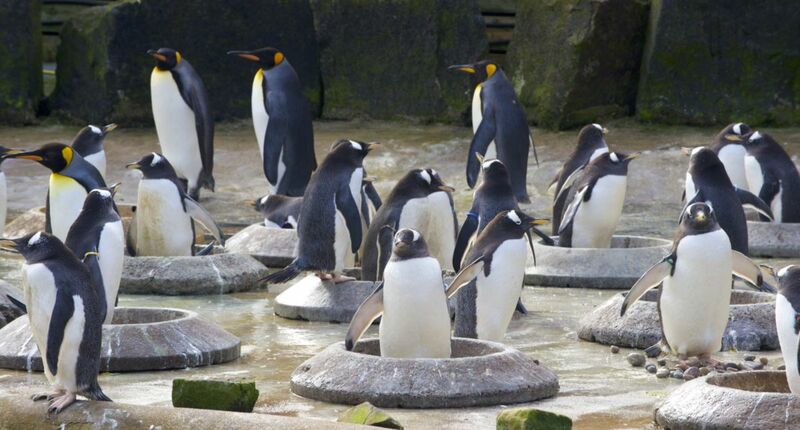 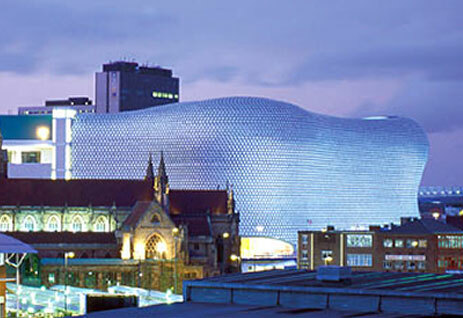 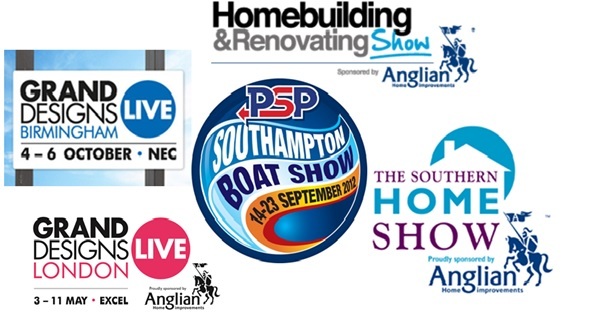 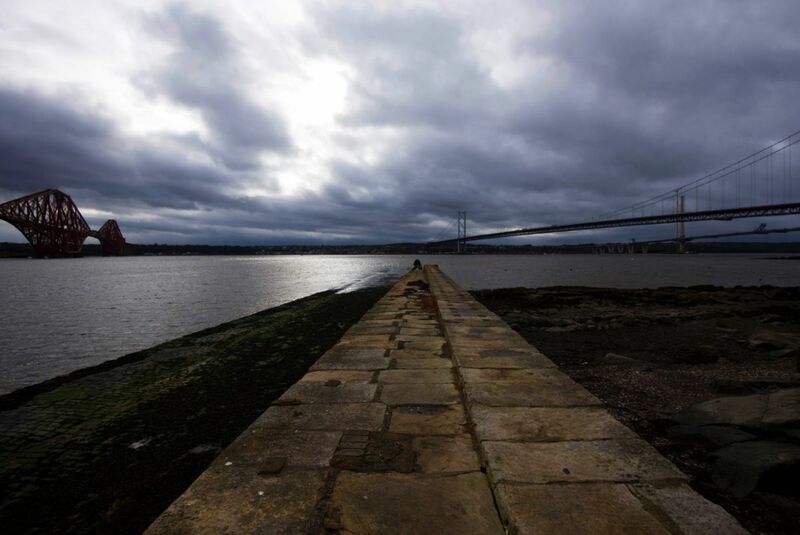 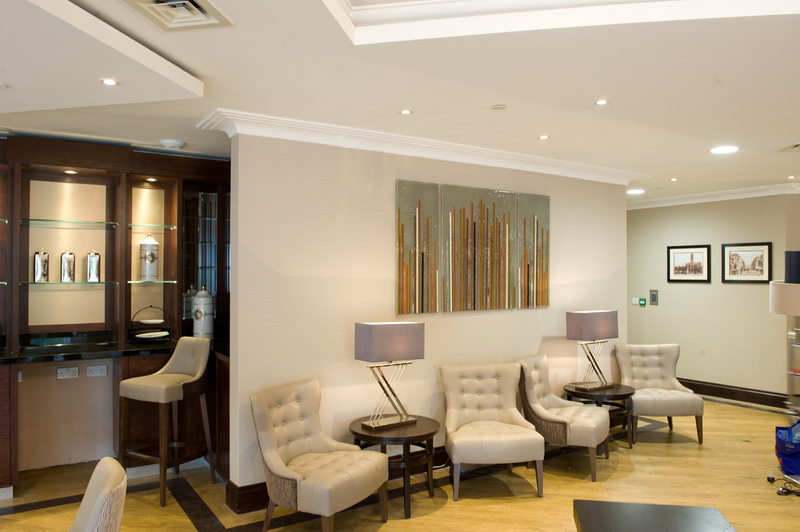 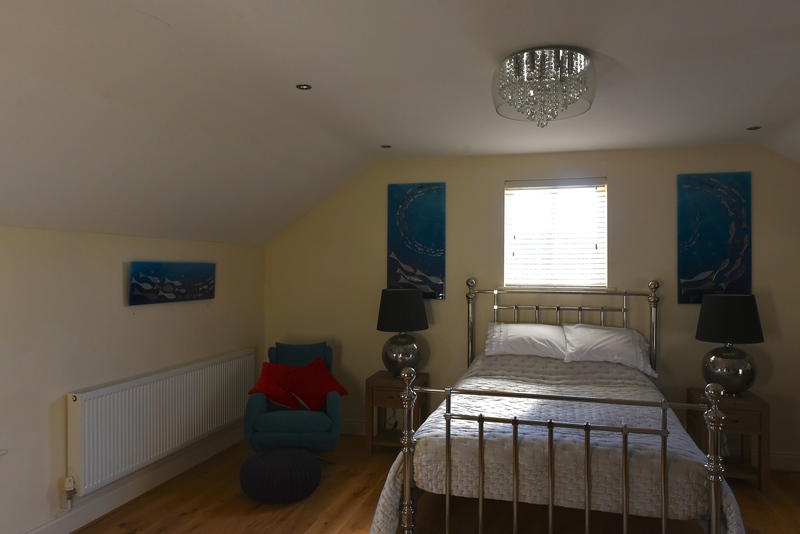 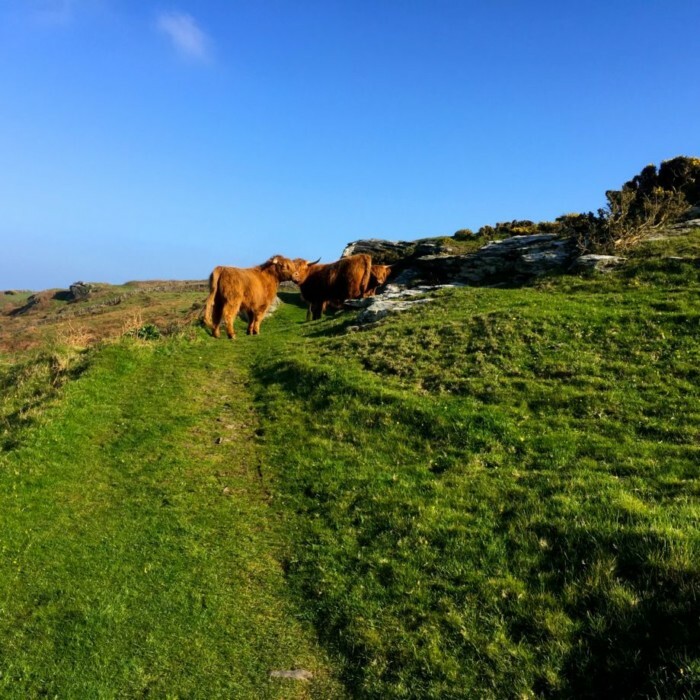 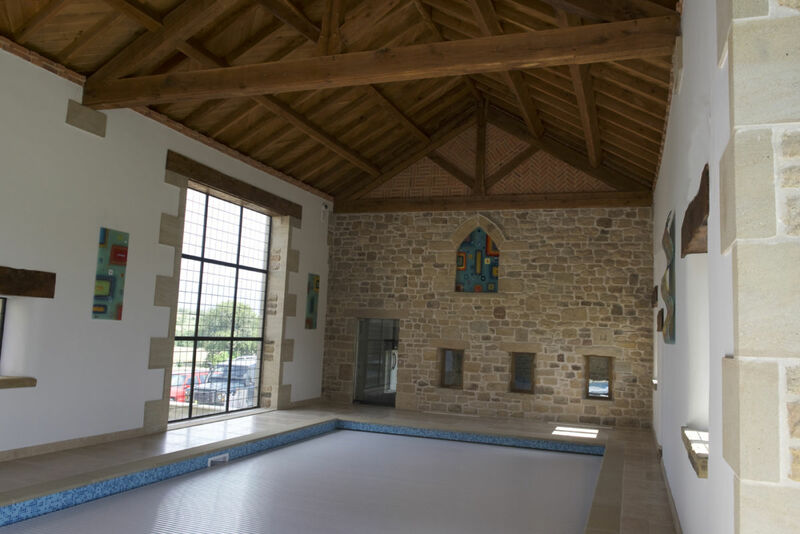 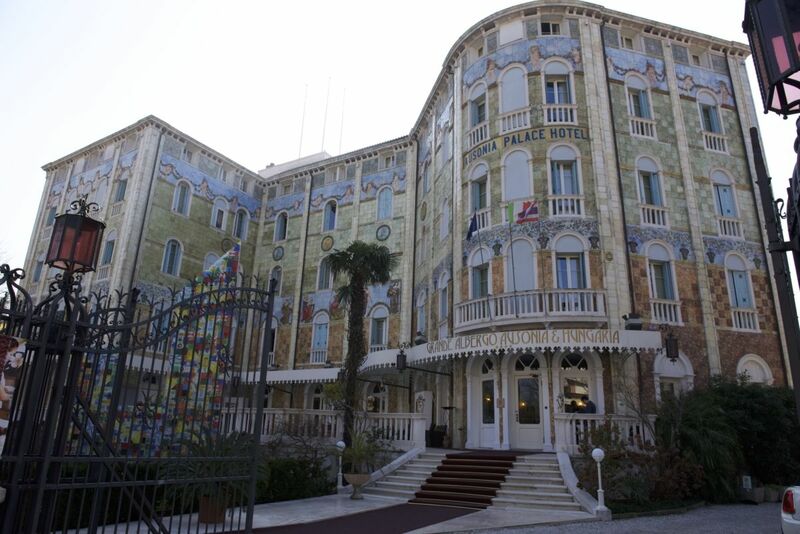 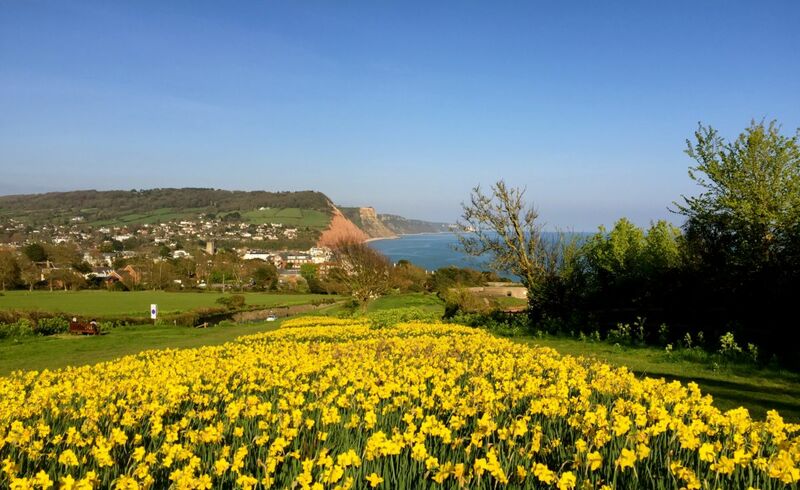 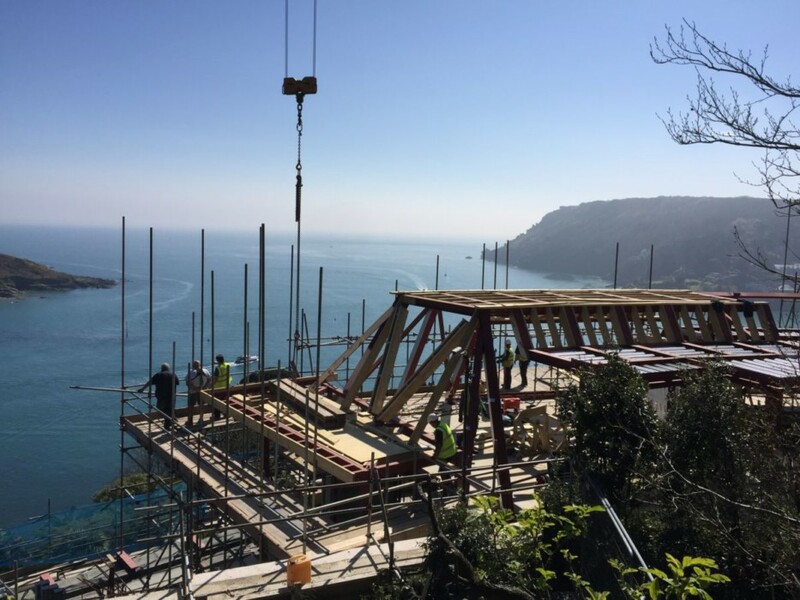 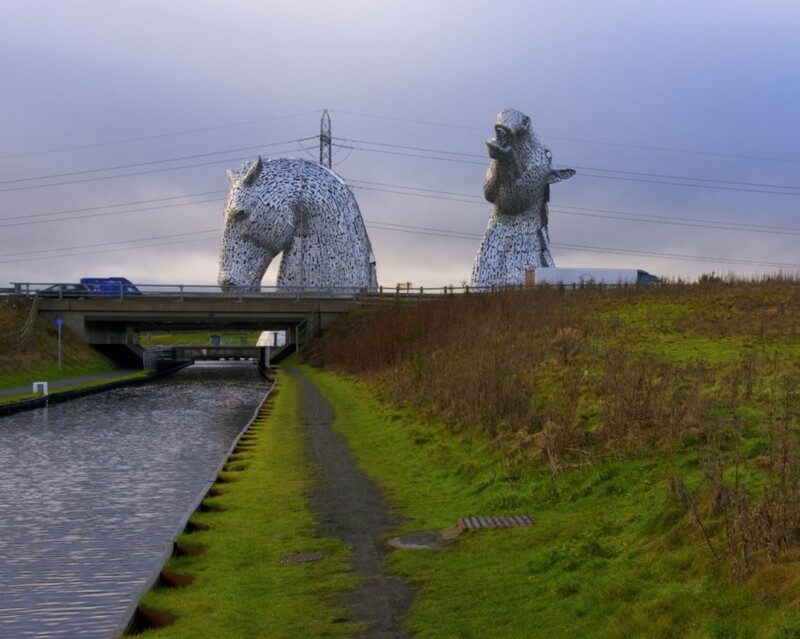 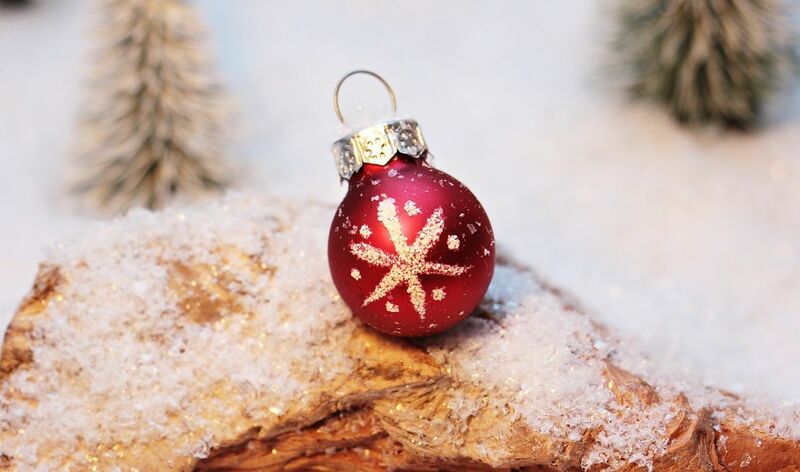 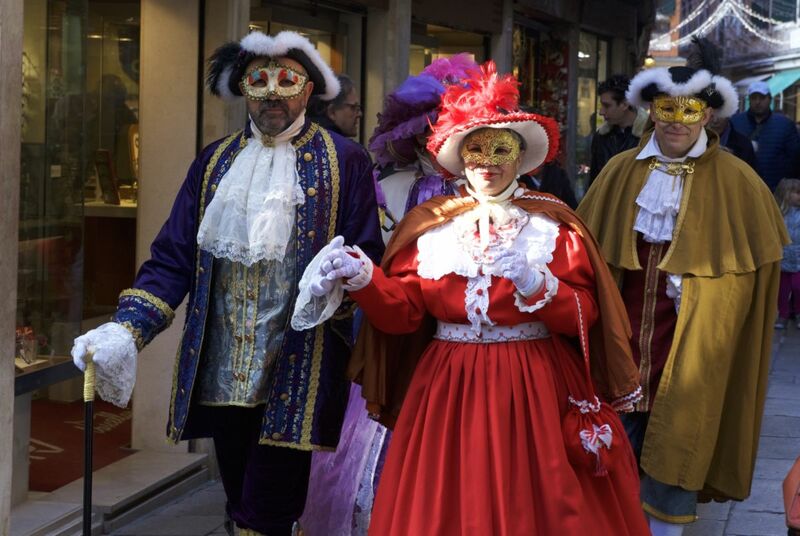 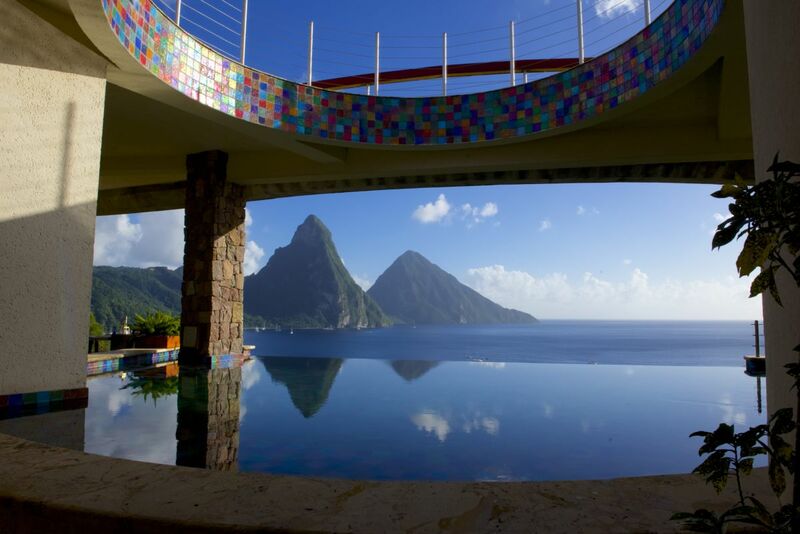 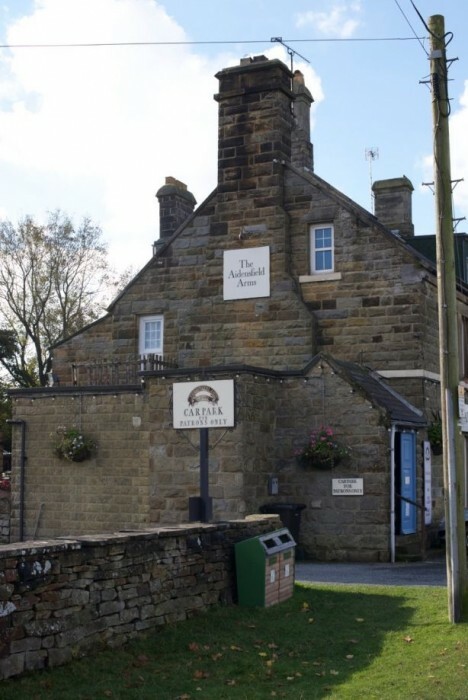 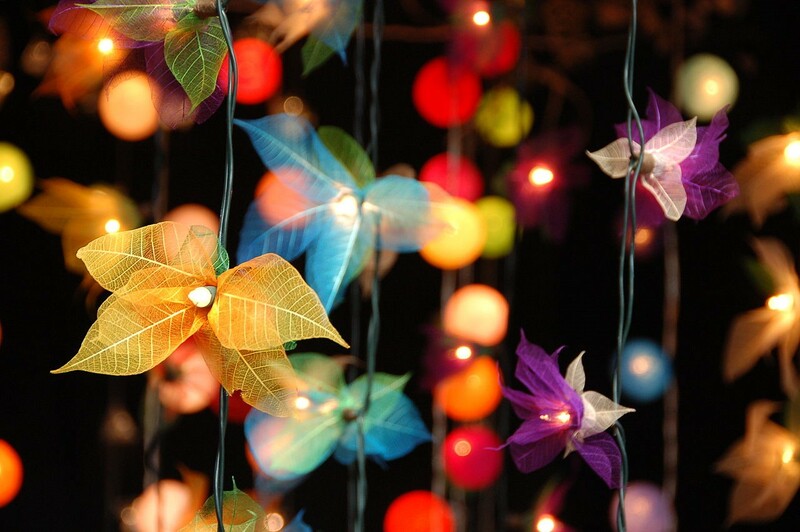 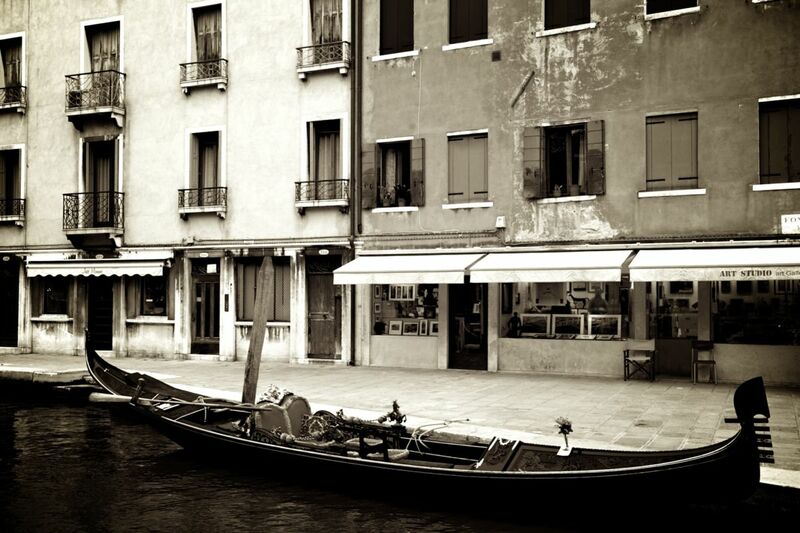 Our full details can be found right here on our website.